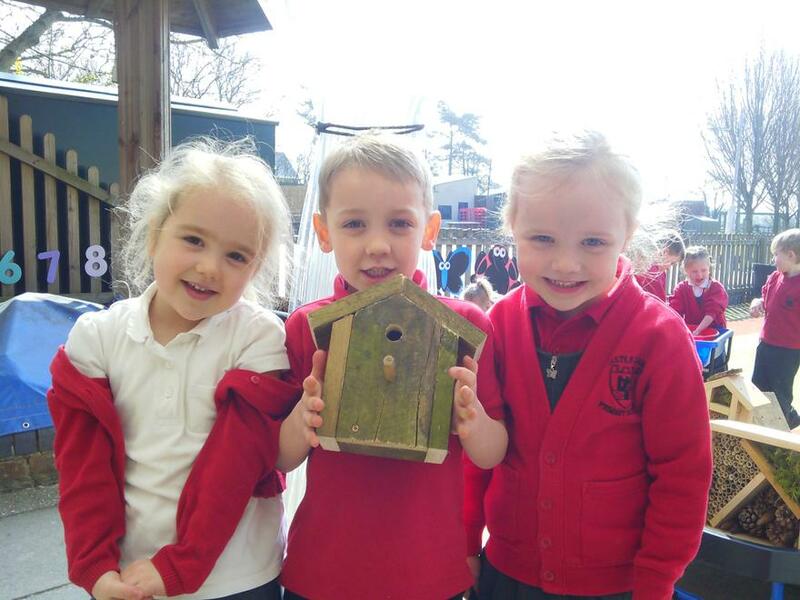 Welcome to the Summer Term where we have lots of new learning opportunities planned and will be making the most of our wonderful school grounds in the warmer weather. 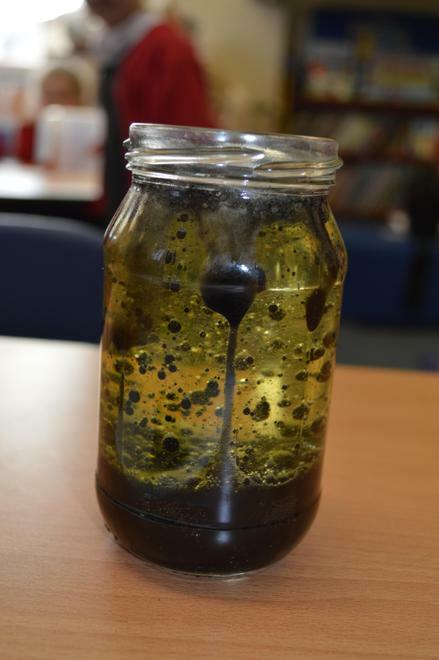 First we hatched chicks, then caterpillars and now we have tadpoles growing into flogs. 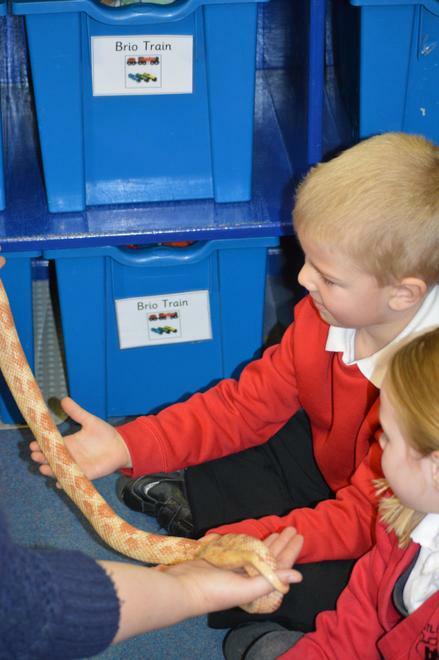 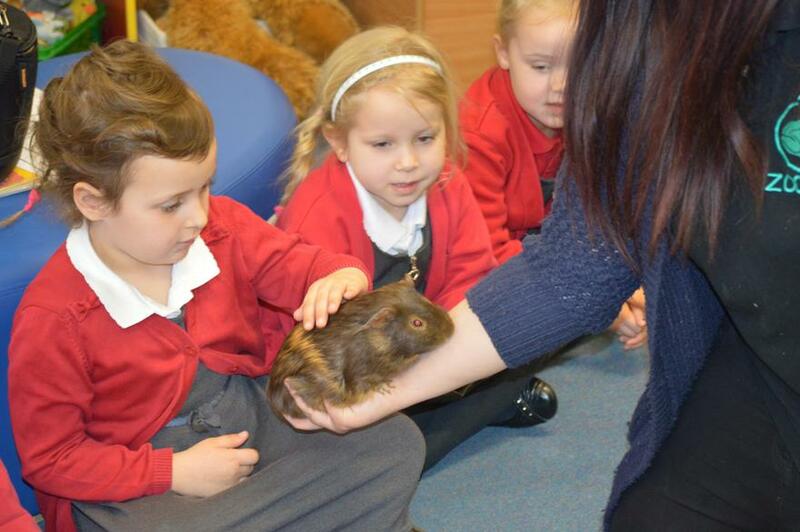 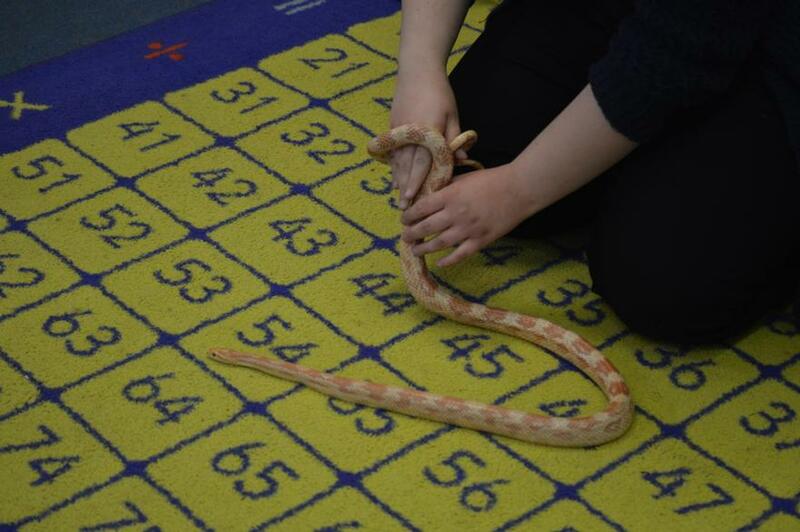 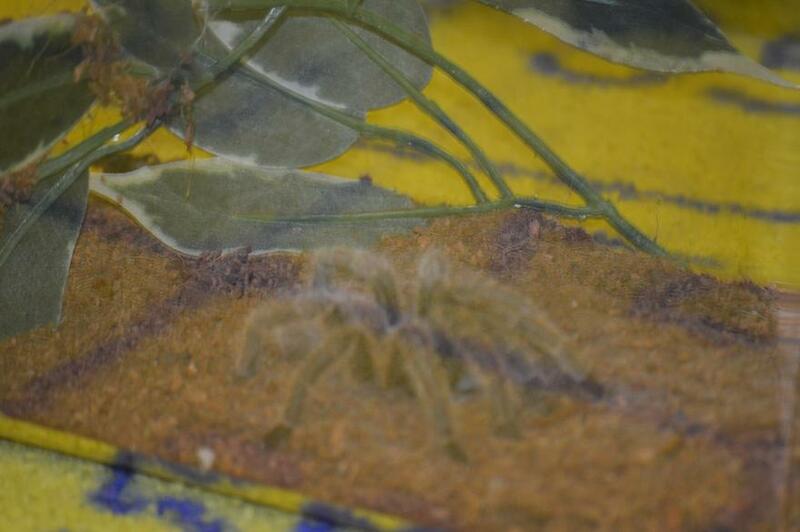 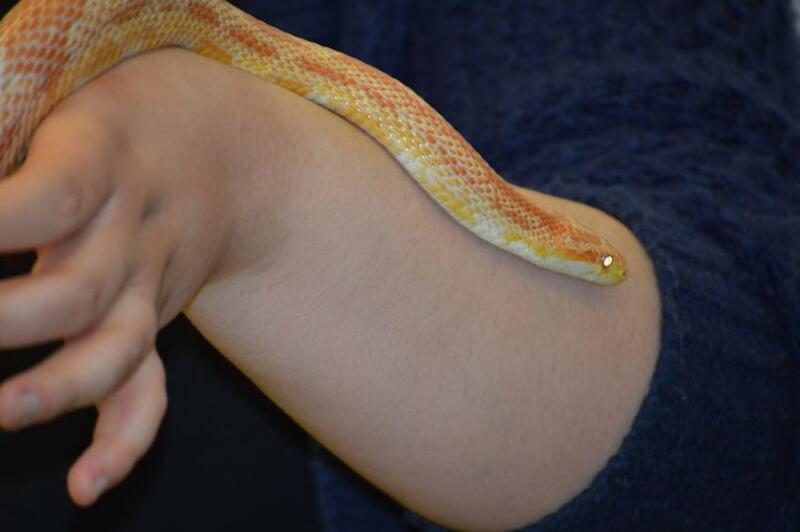 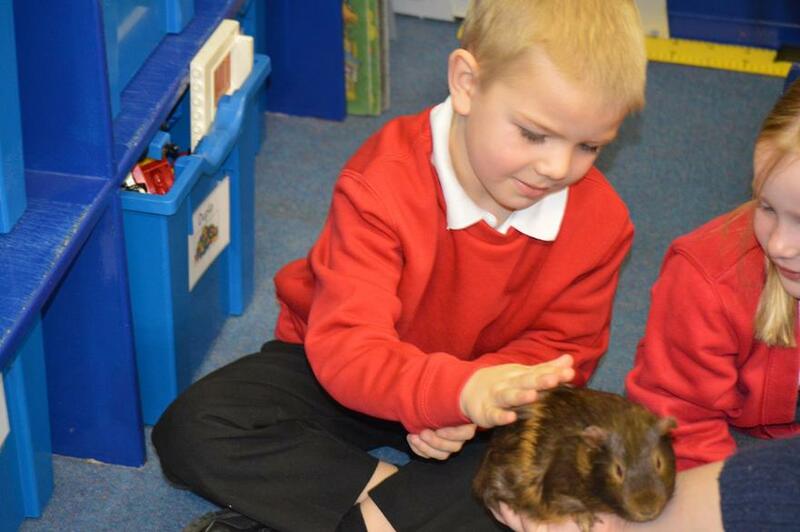 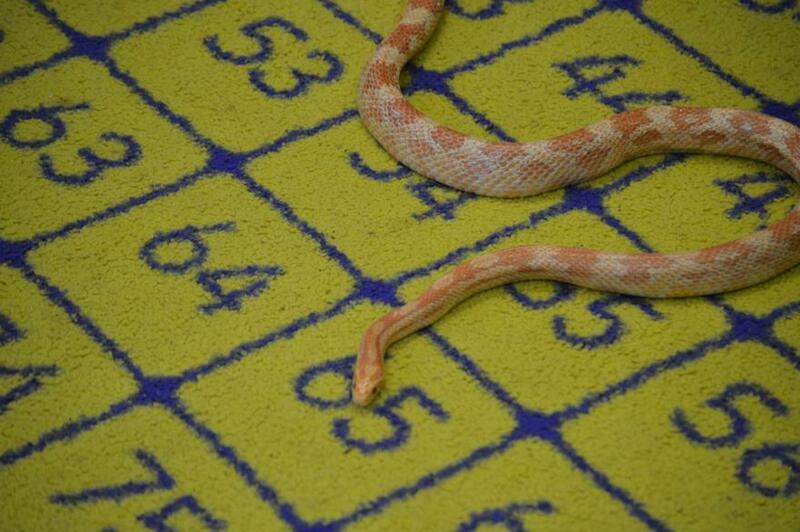 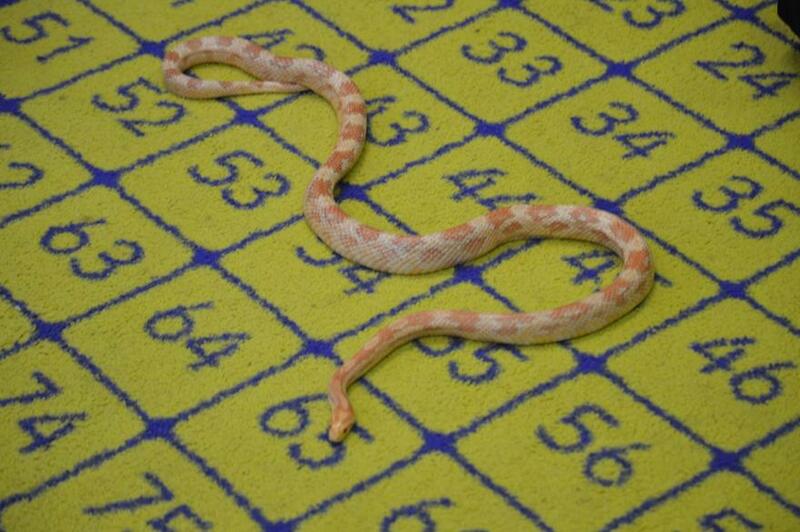 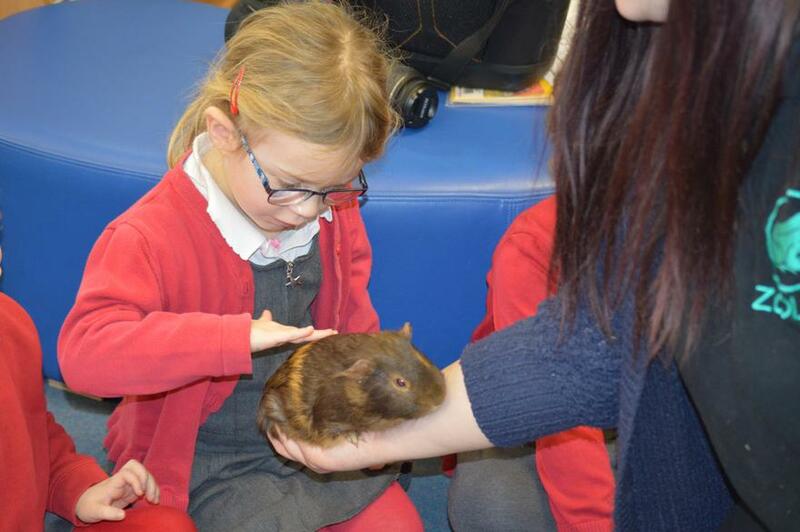 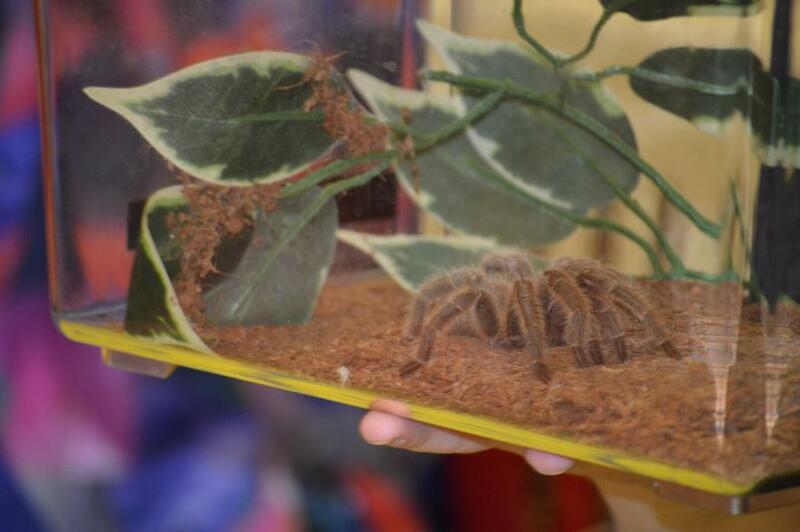 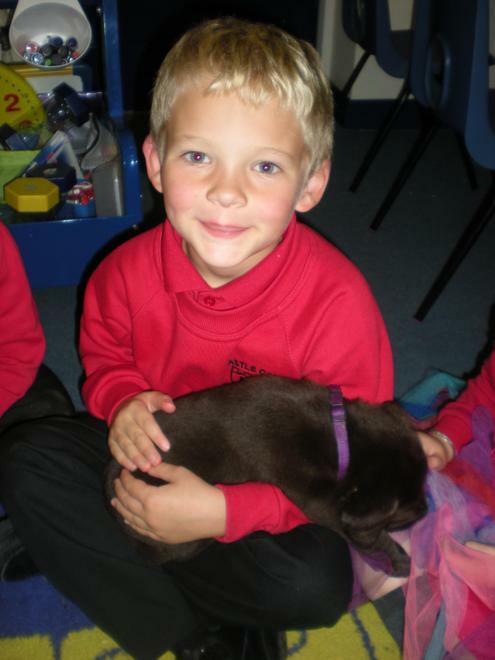 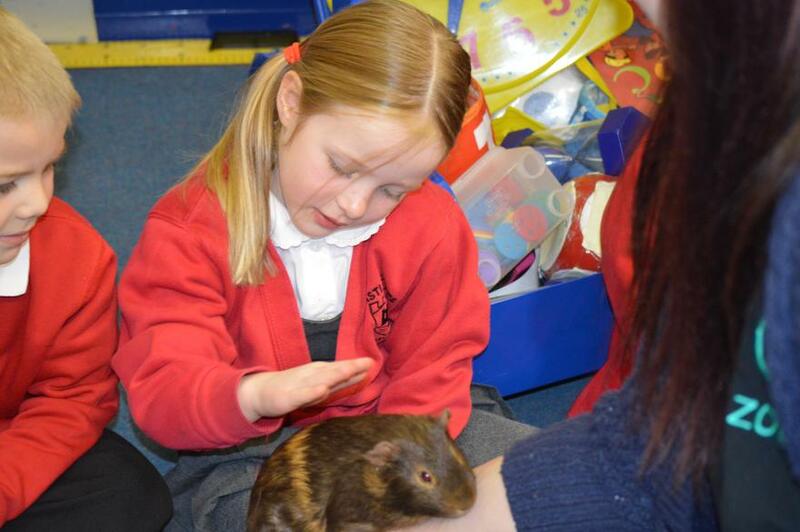 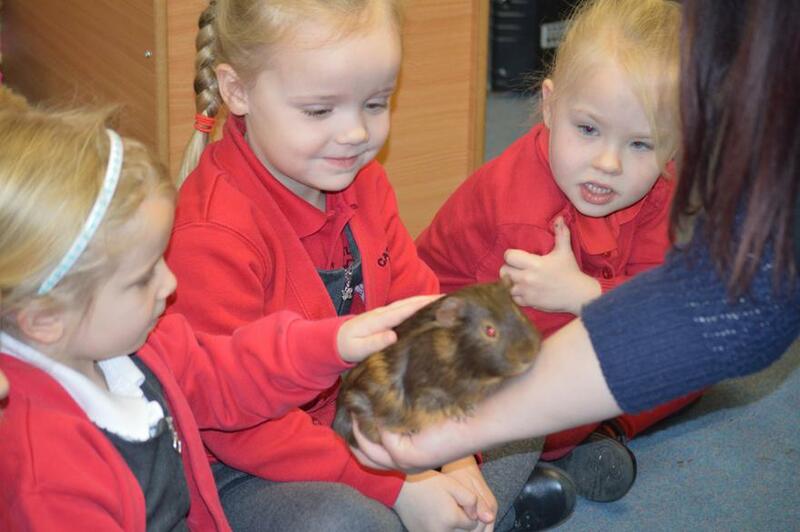 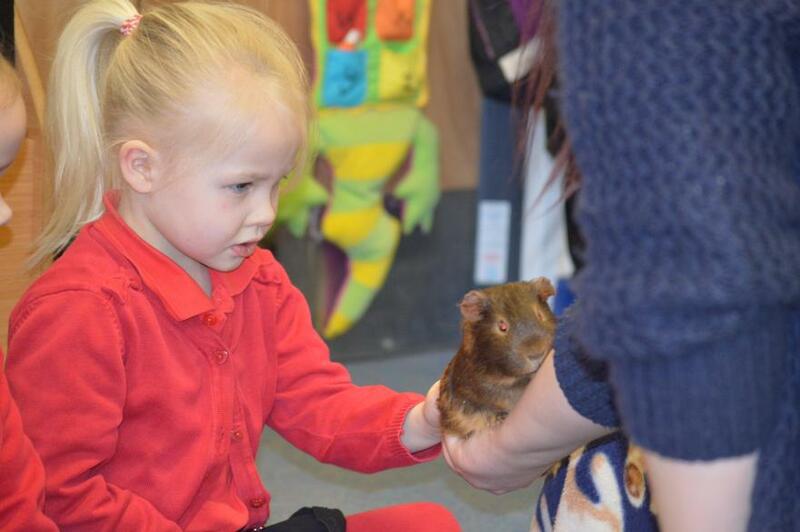 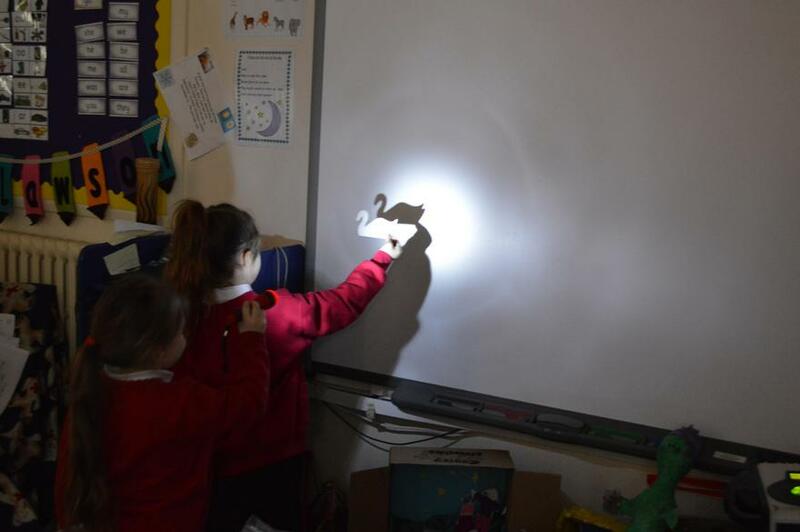 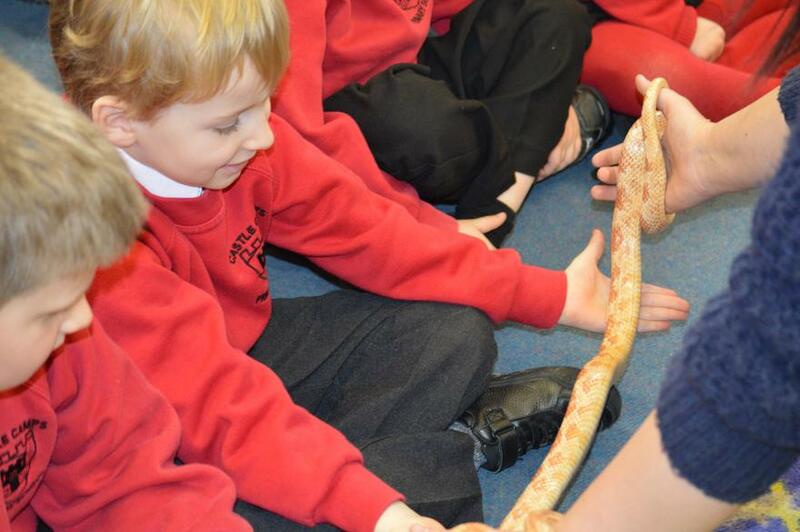 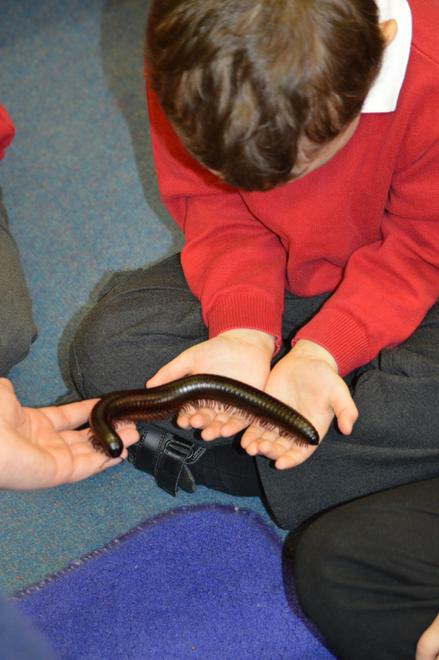 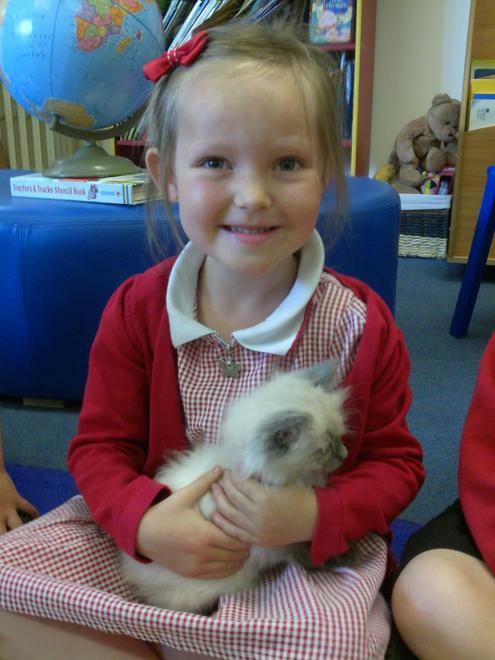 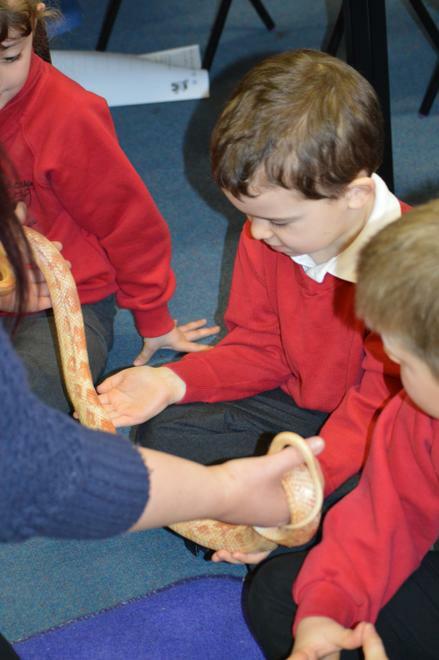 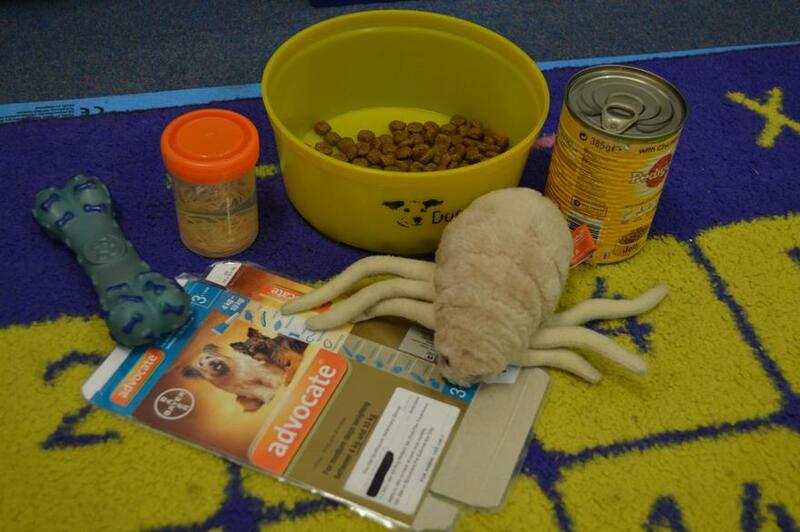 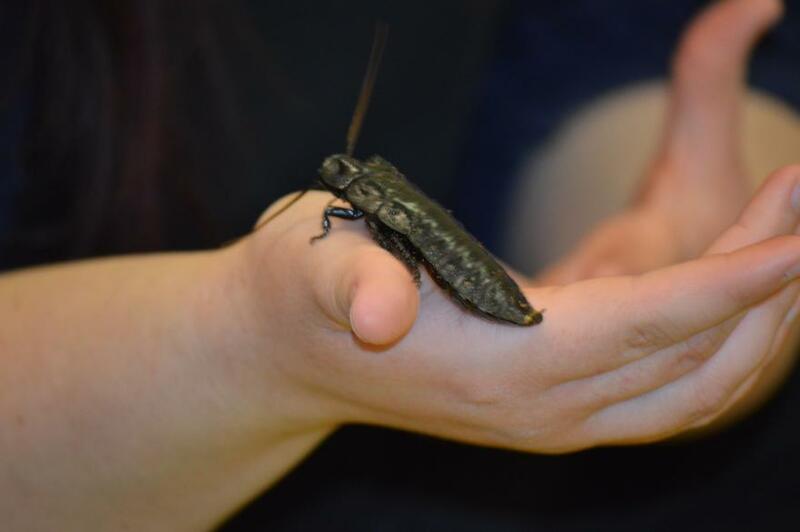 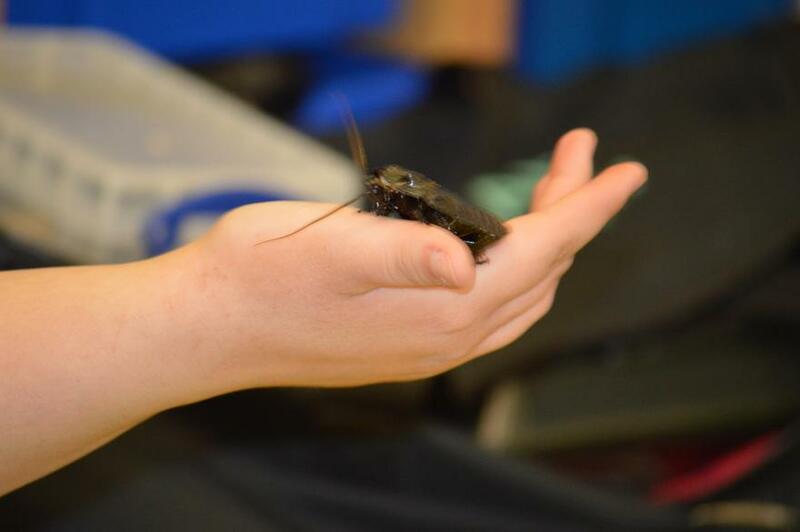 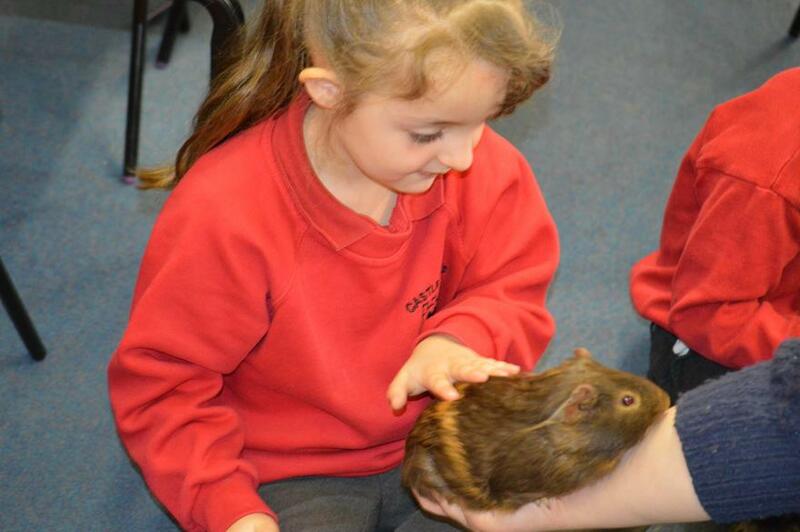 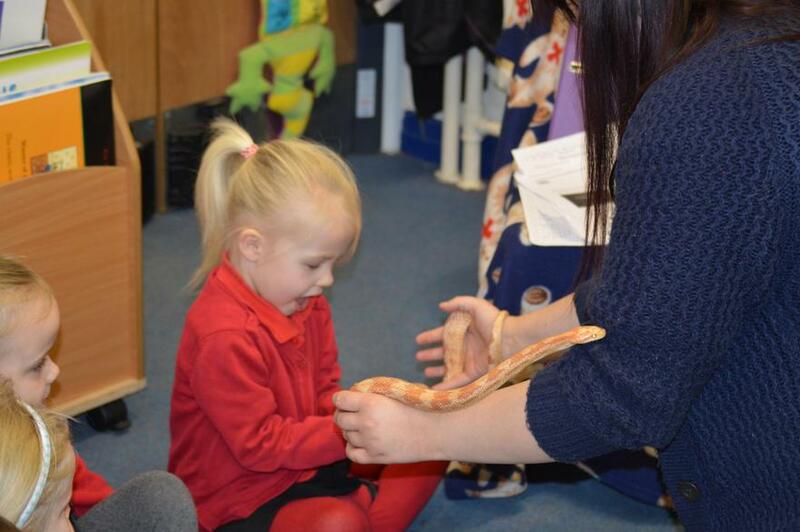 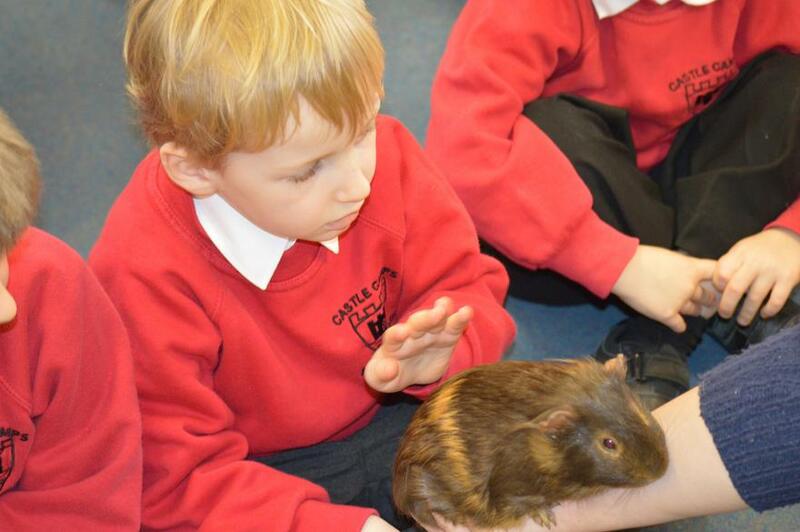 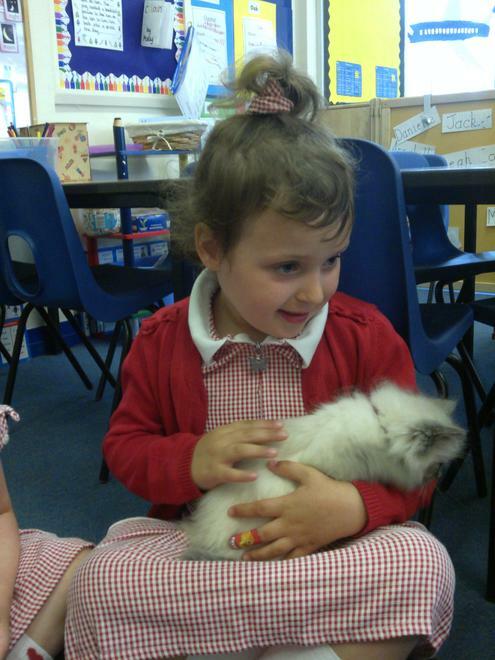 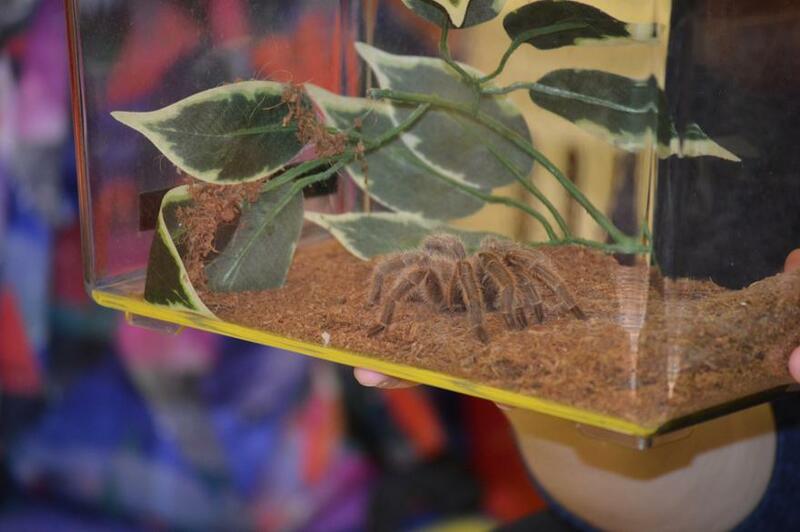 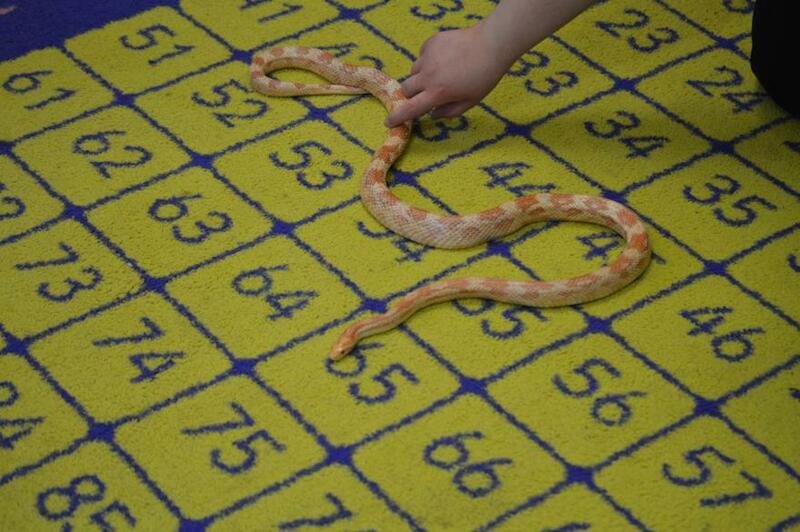 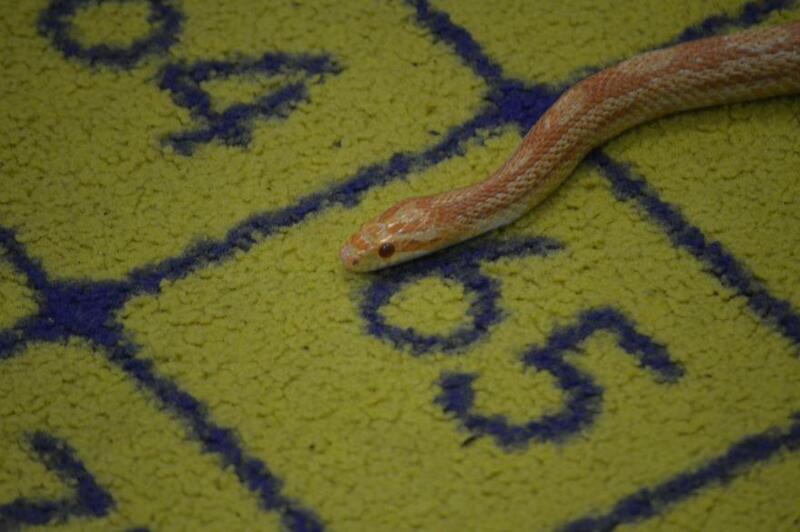 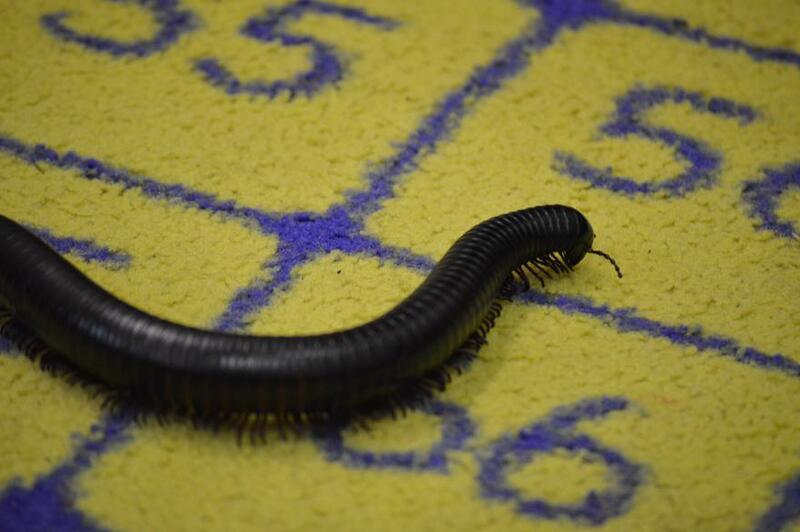 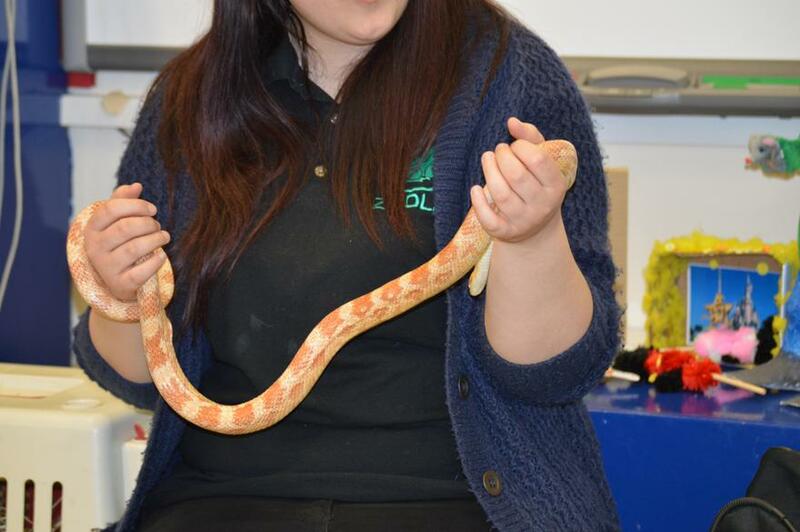 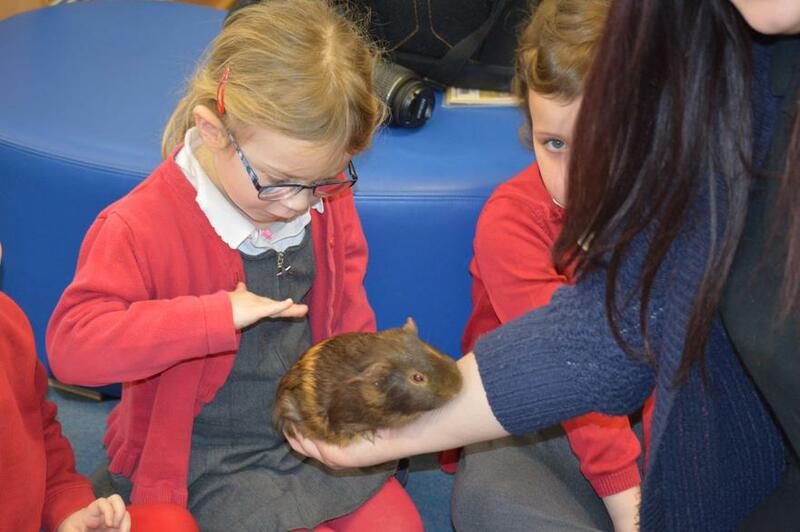 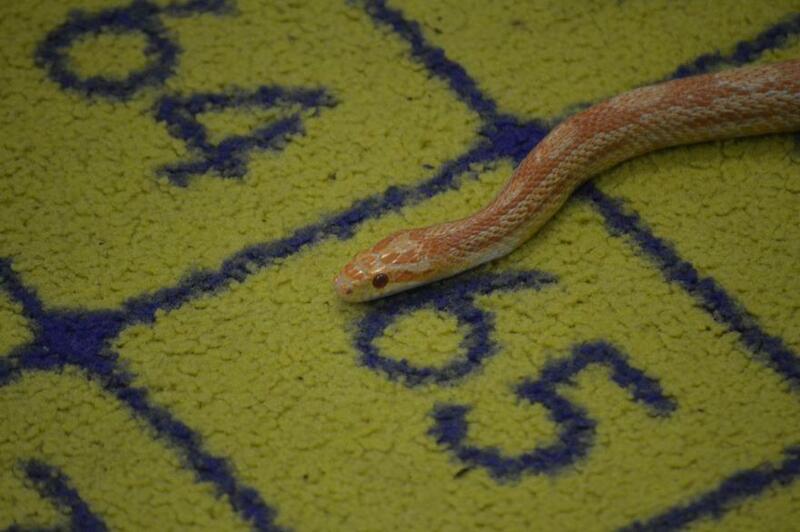 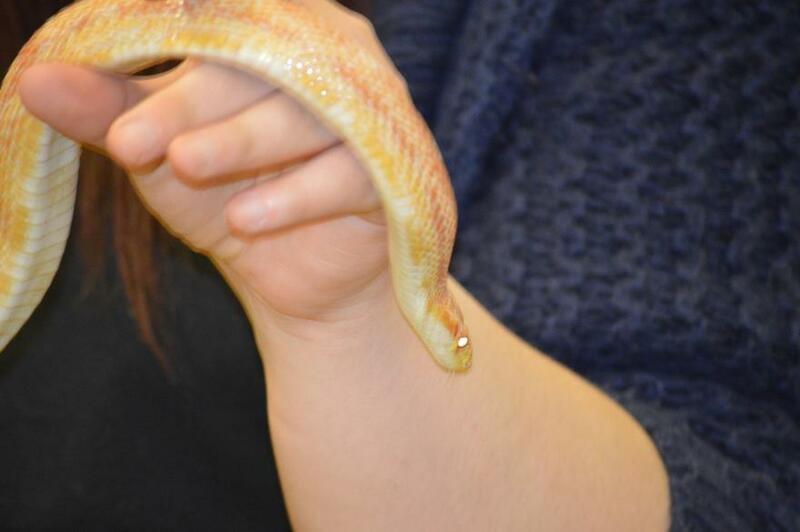 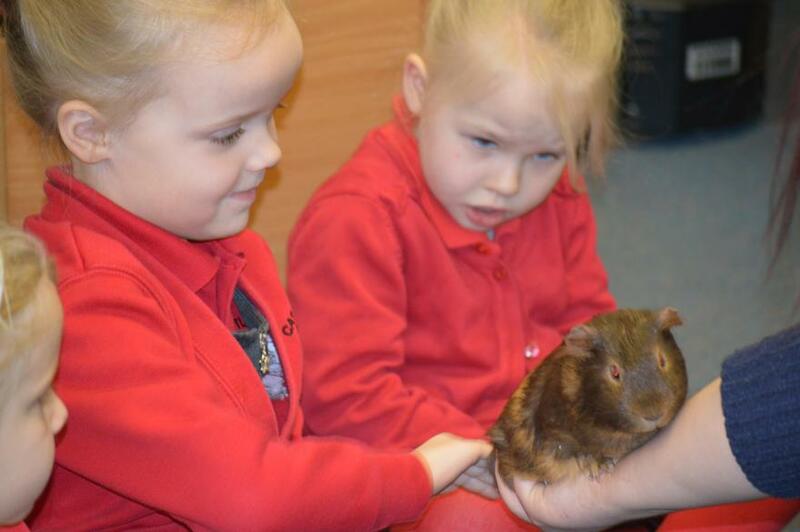 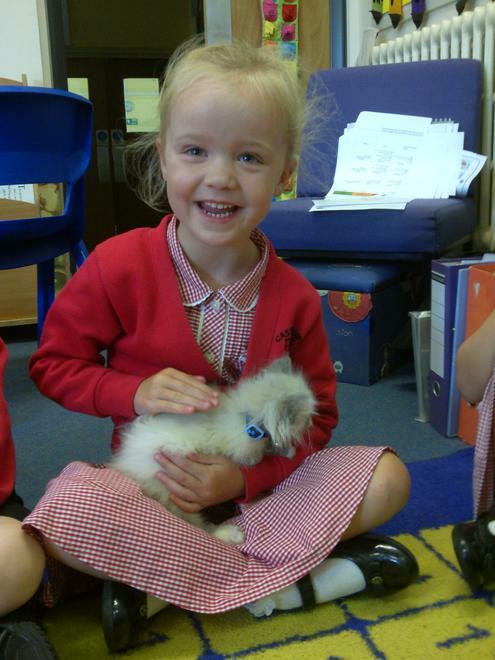 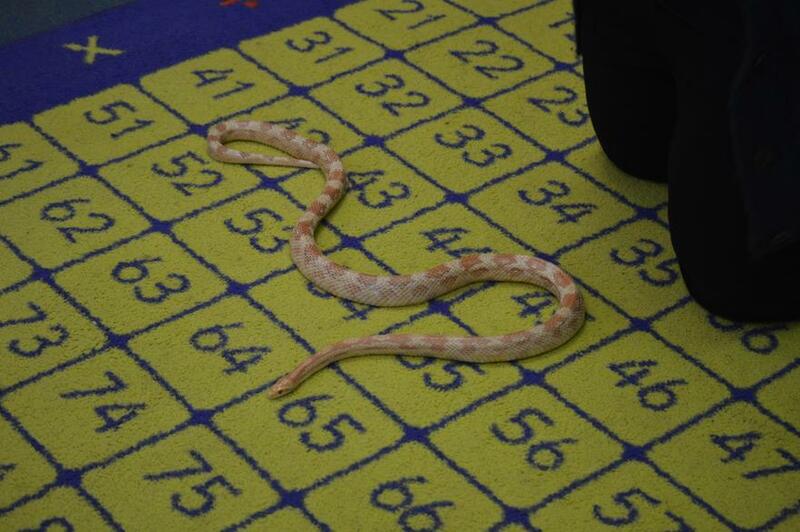 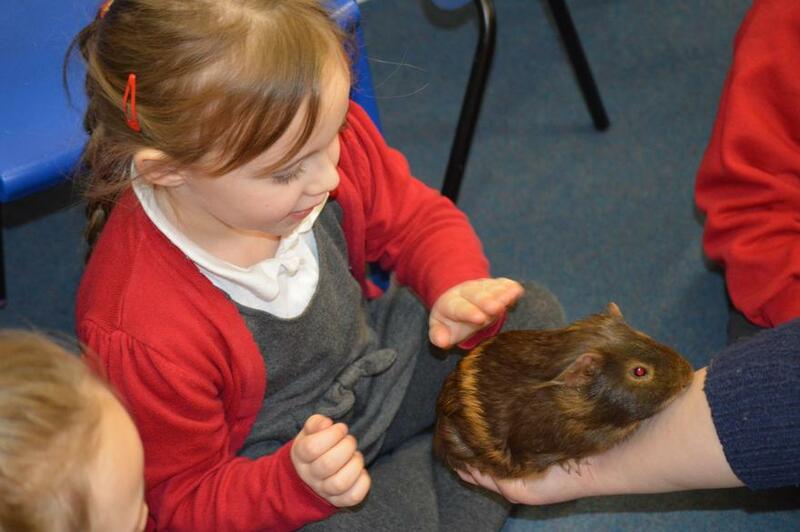 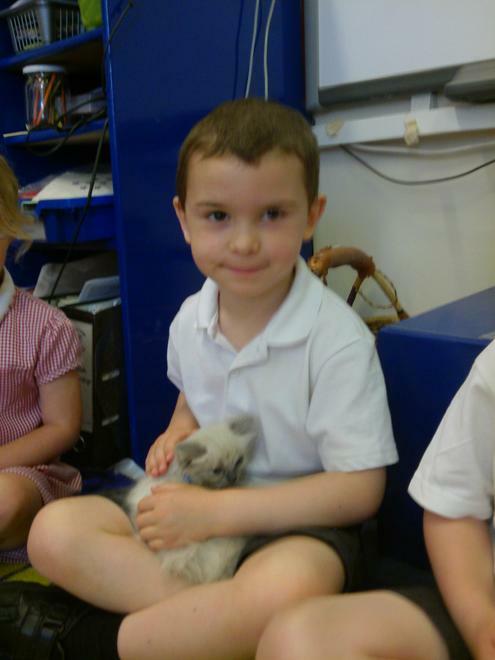 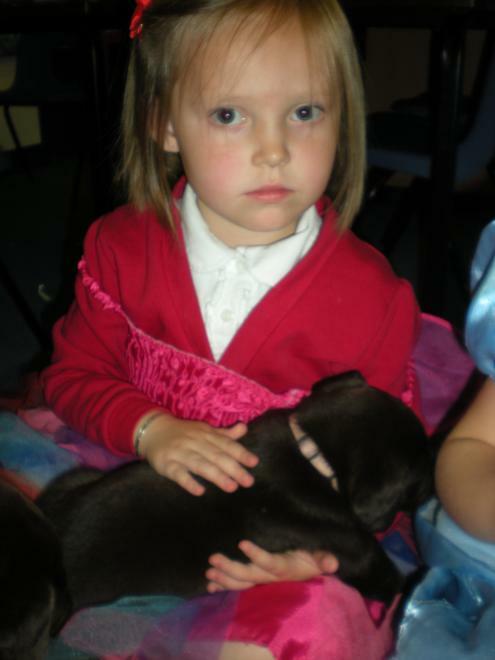 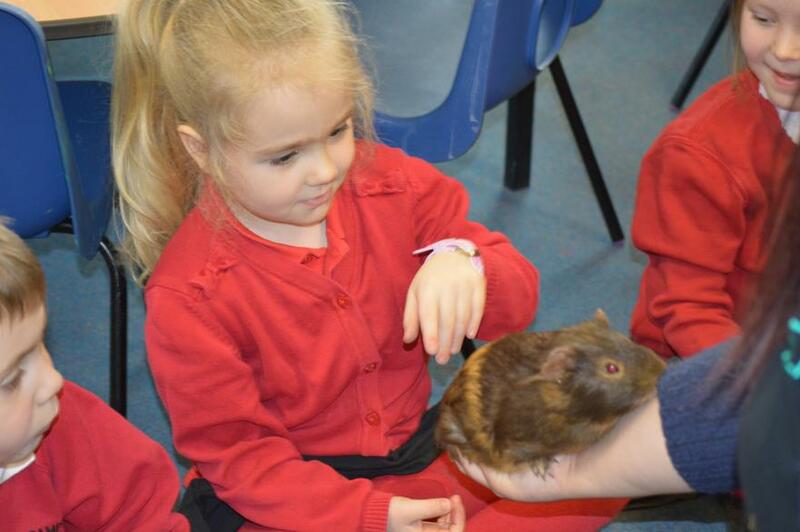 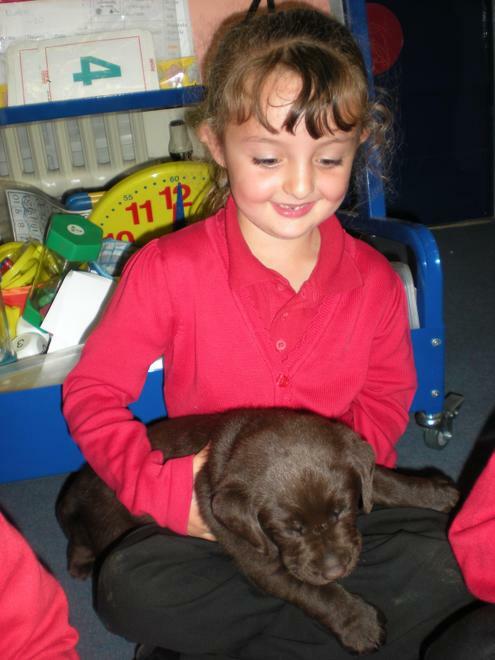 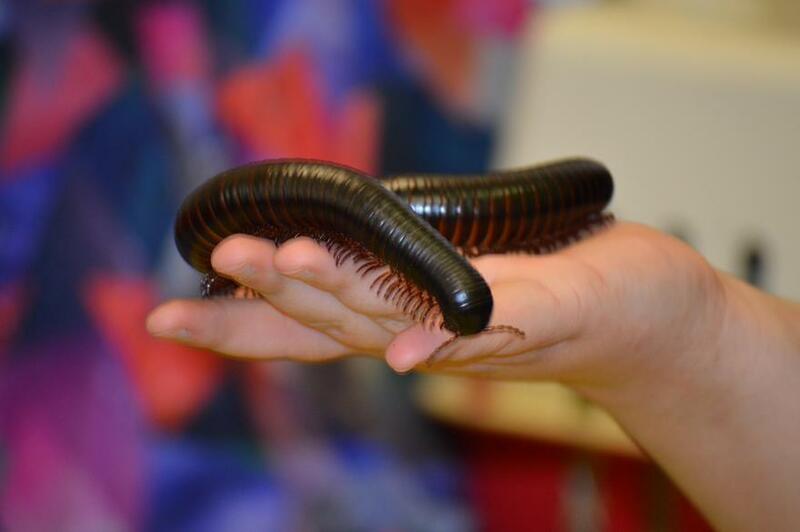 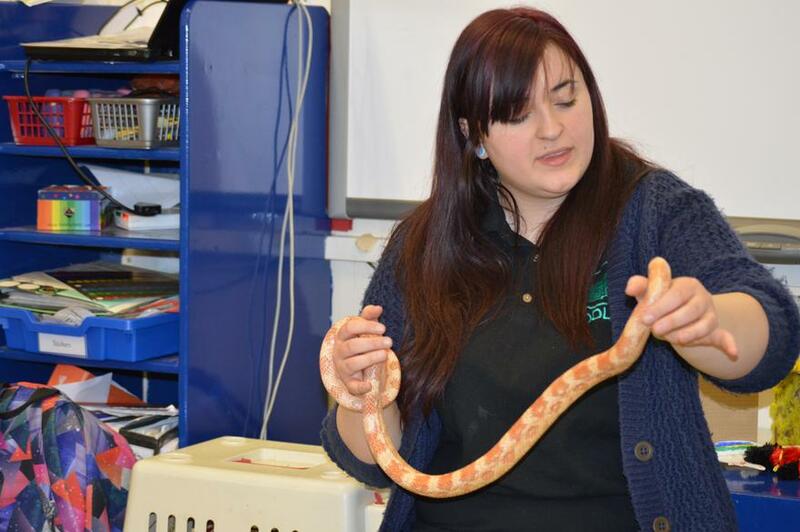 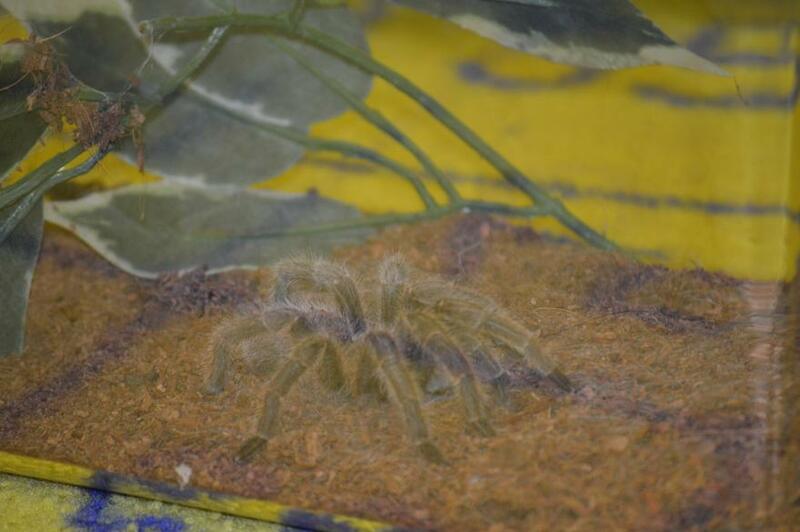 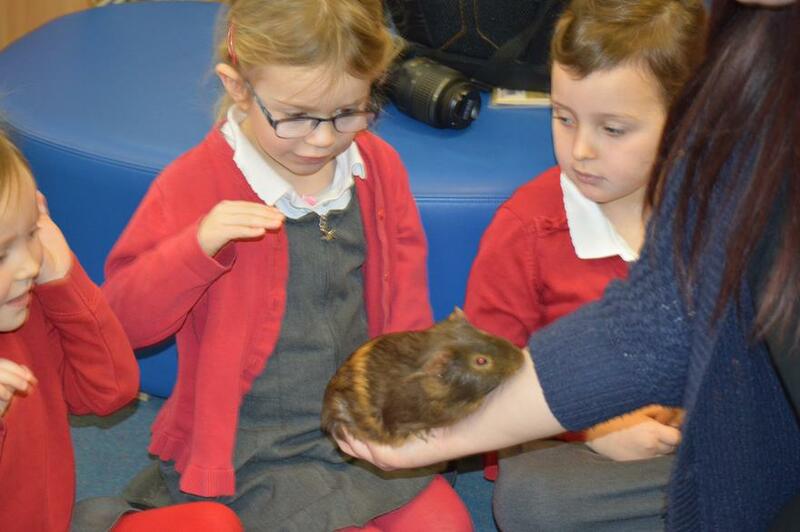 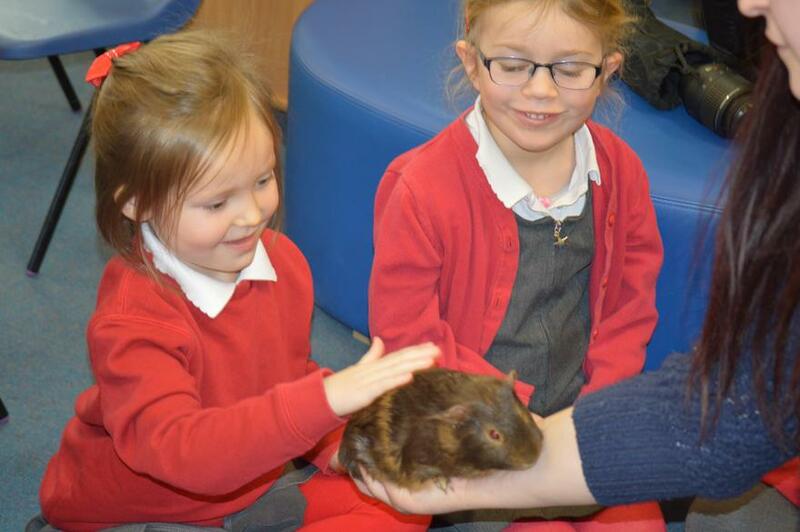 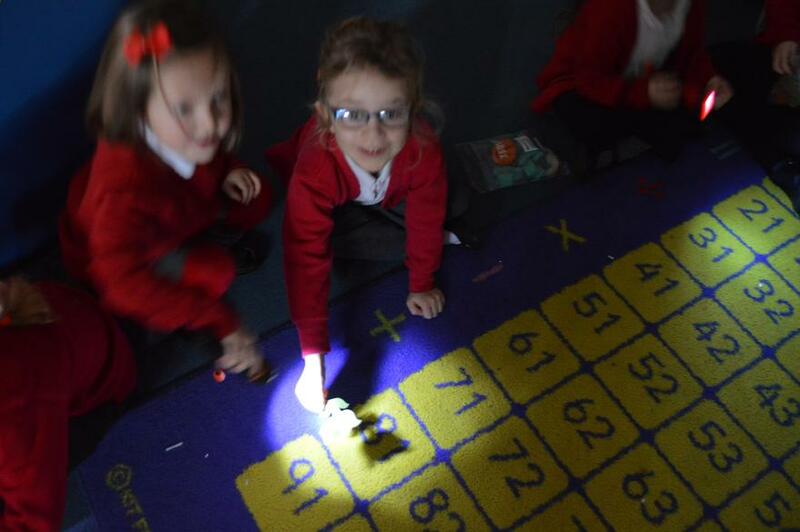 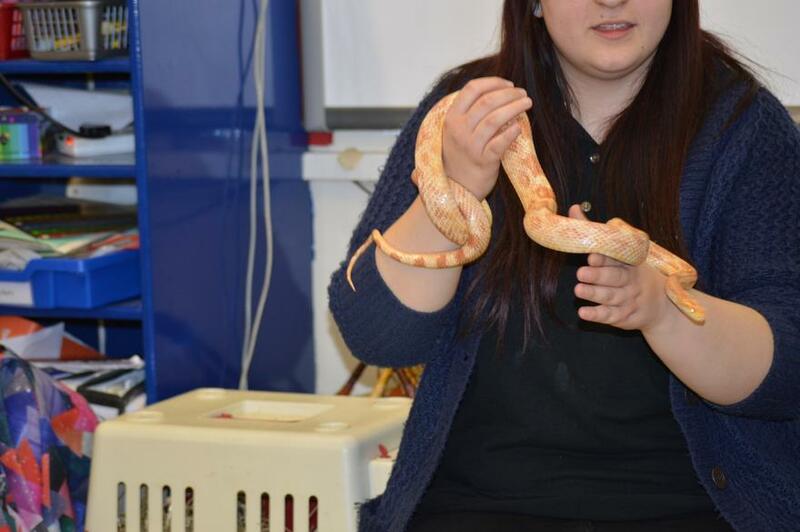 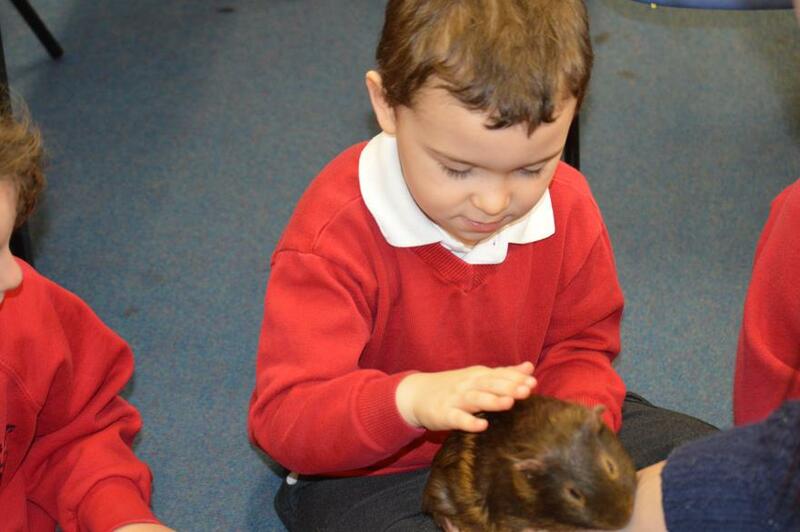 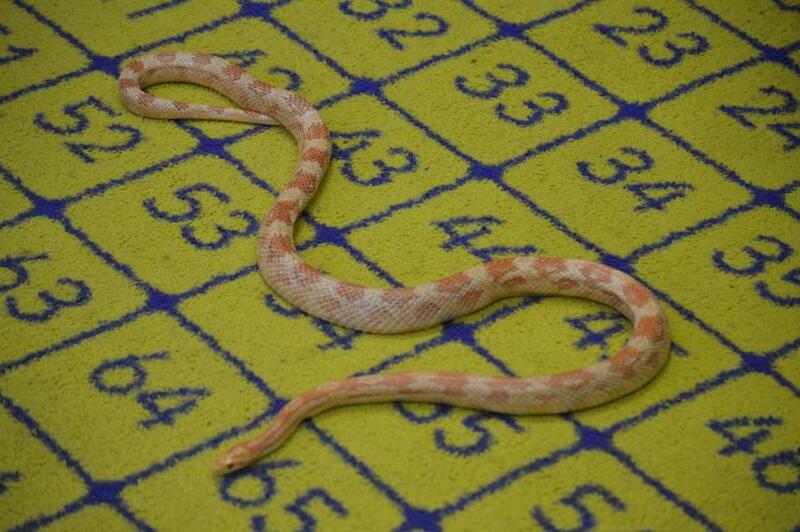 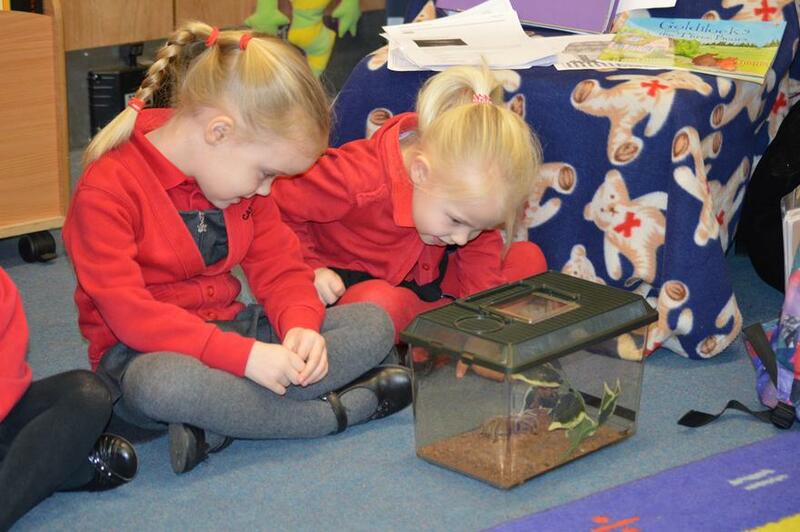 We love living things in our classroom. 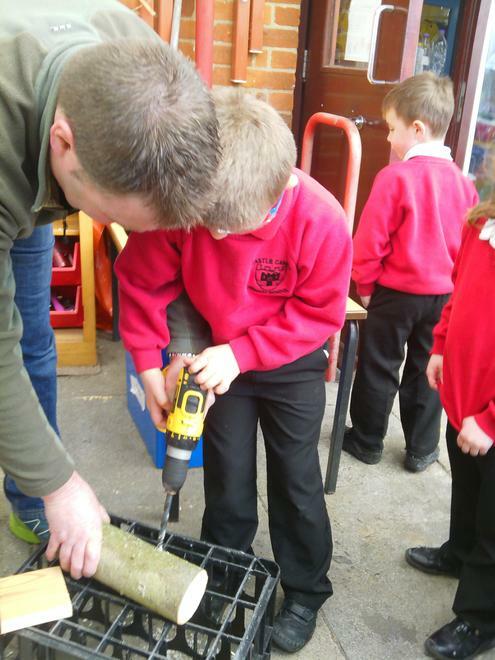 We have started by preparing all of our garden beds and planting our seeds that will grow into delicious fruits and vegetables. 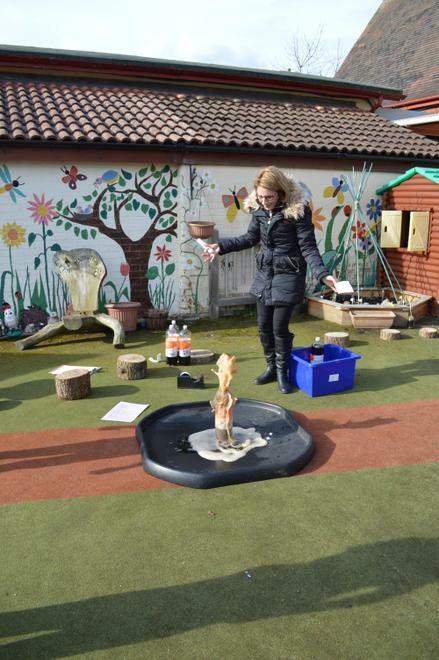 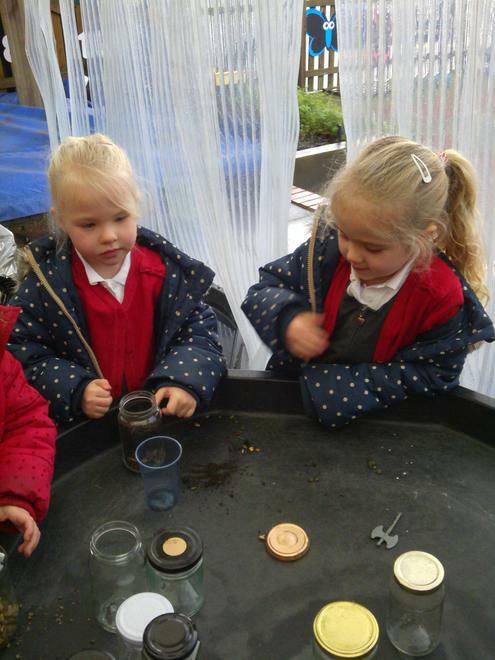 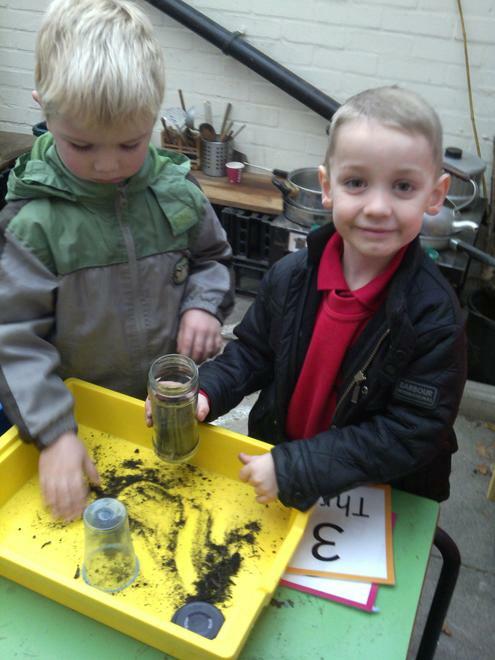 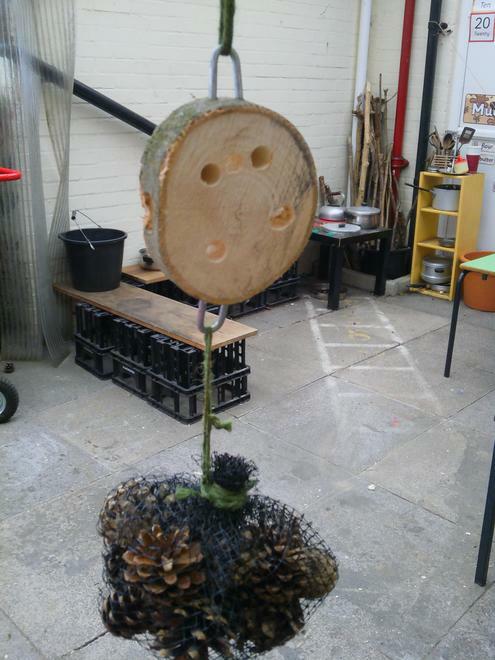 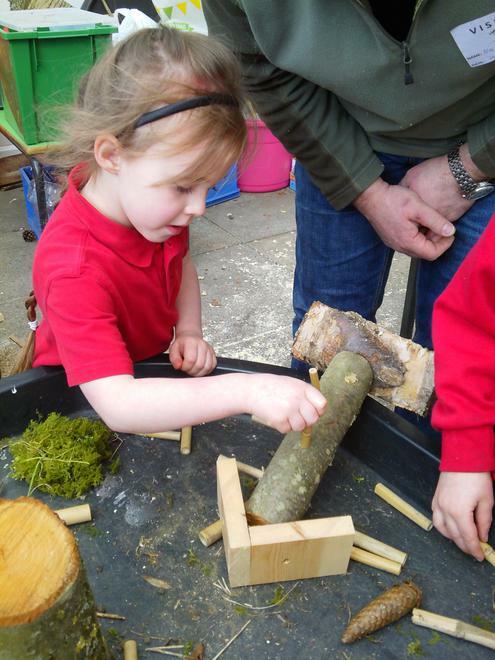 We have also been using old tyres filled with lots of natural materials to create a new small world play area outside. 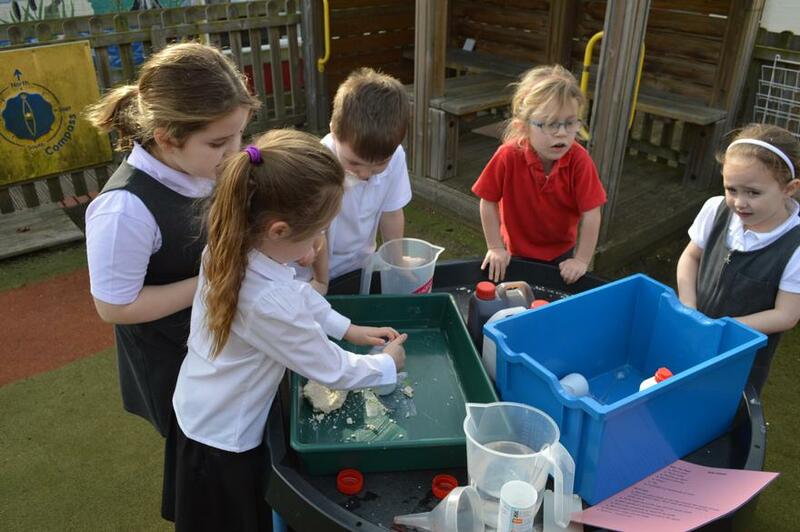 Our IPC topic for this term is Our World, followed by Water Worlds. 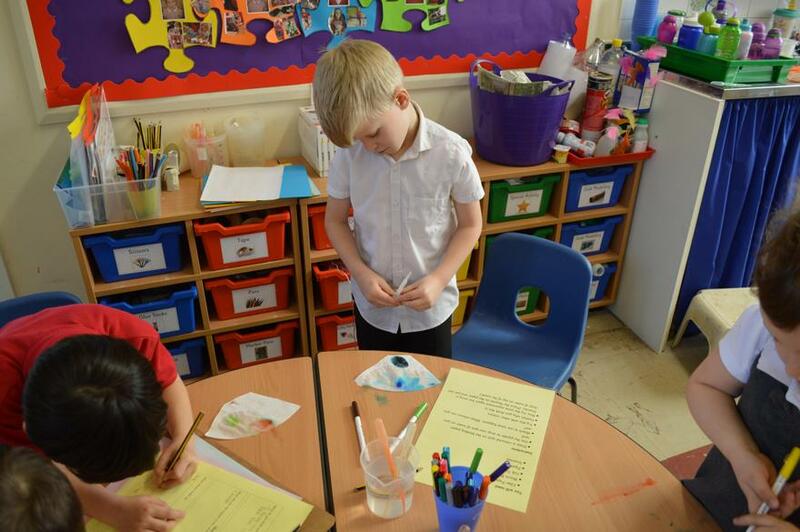 We shall begin our learning by finding out about our local area, comparing the rural school setting of Castle Camps to the town of Haverhill where many of our families live. 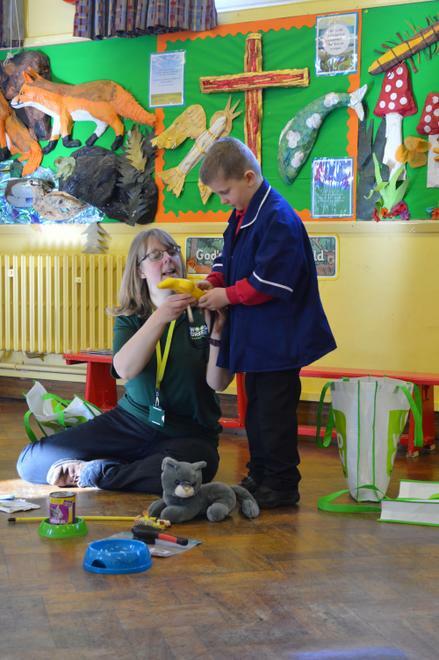 We will then be looking much further afield to Brazil as the county prepares for the Rio Olympics. 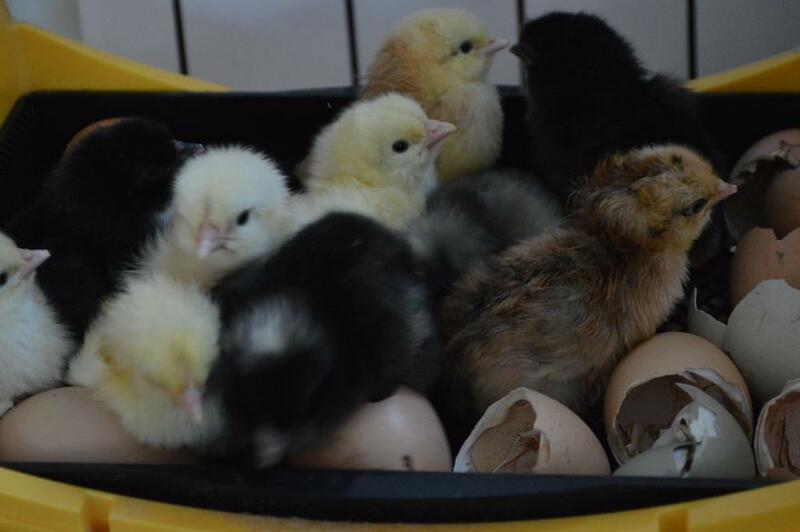 We will contrast life in Brazil with our own. 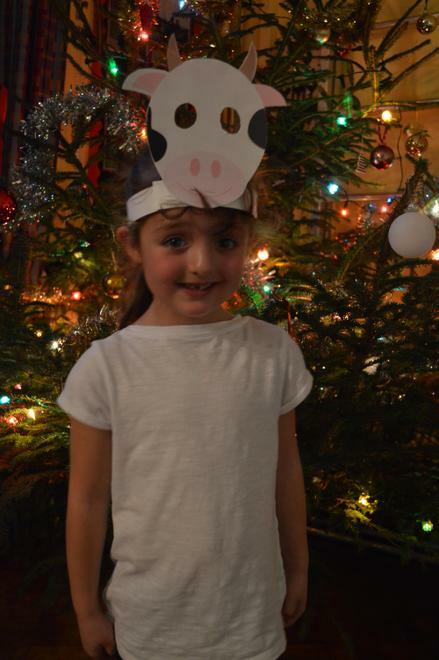 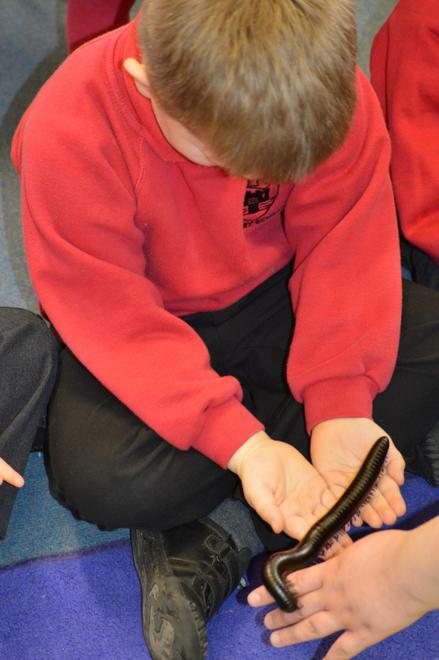 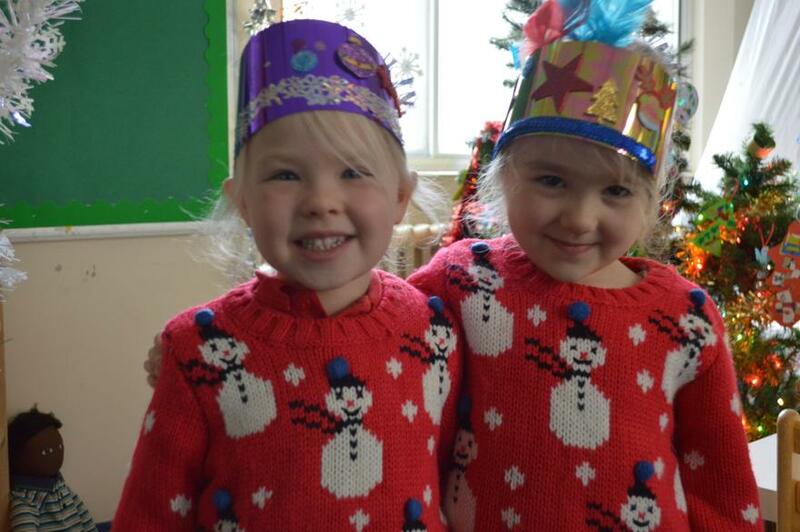 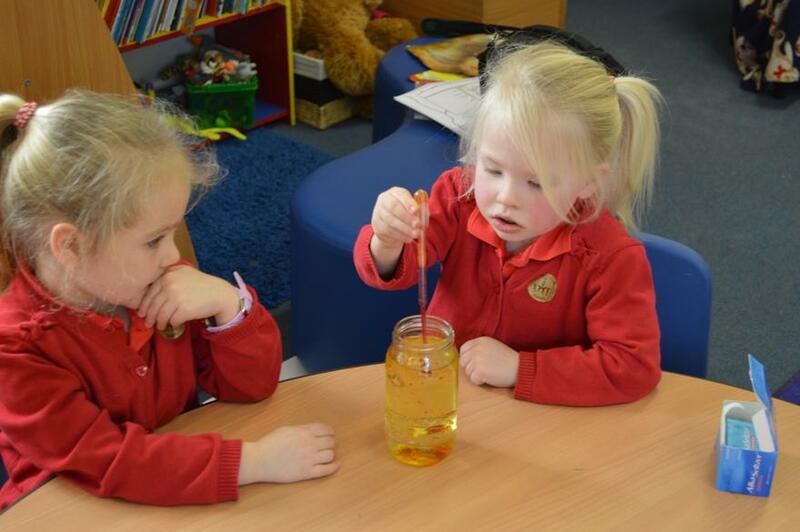 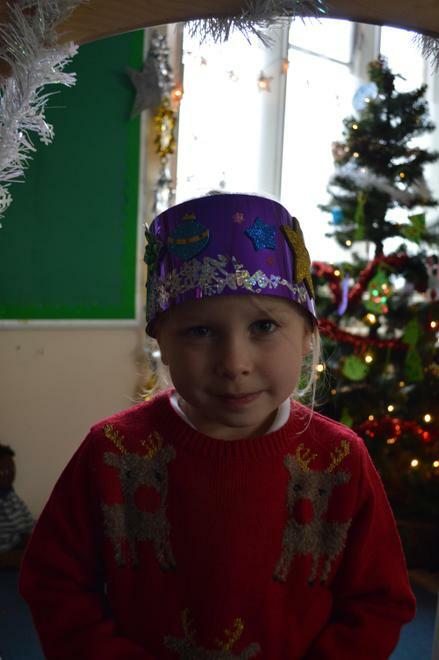 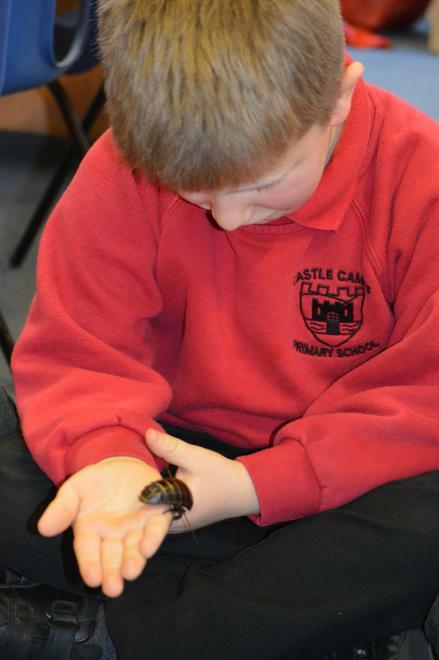 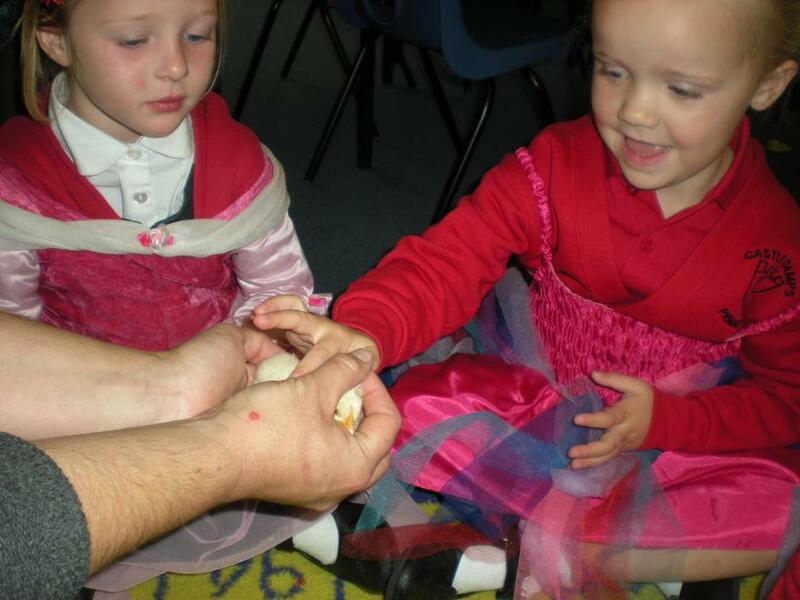 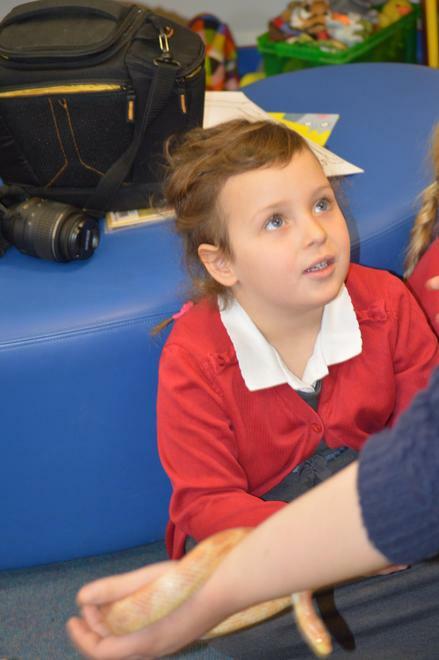 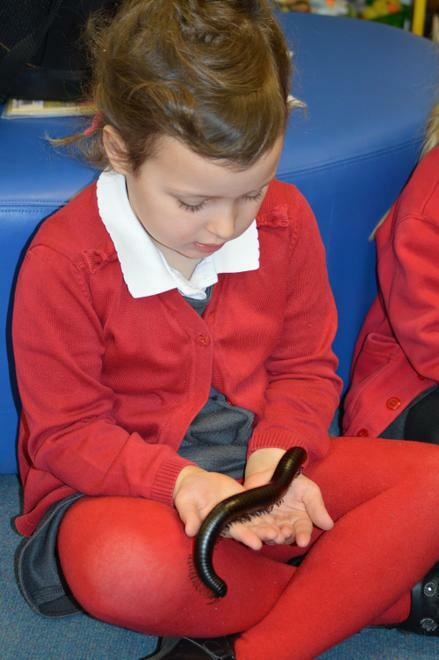 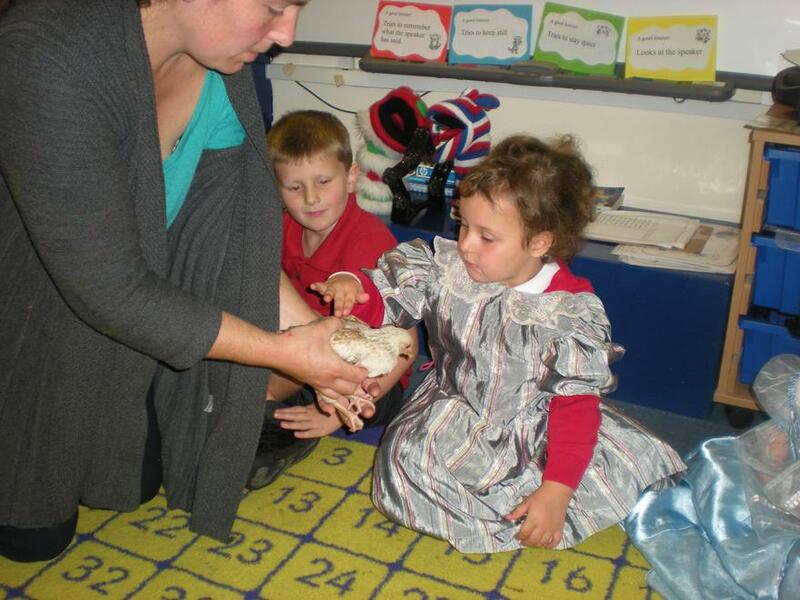 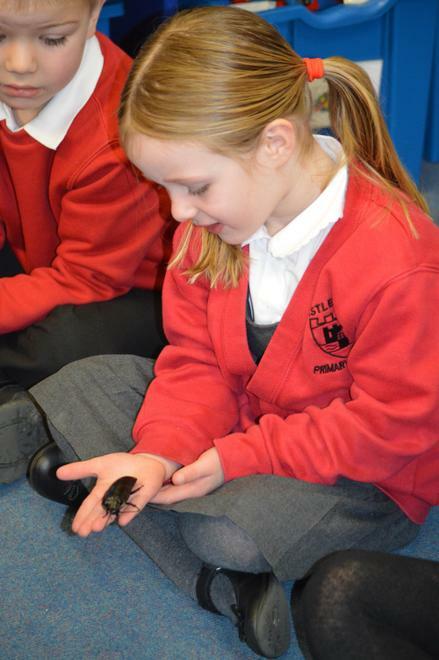 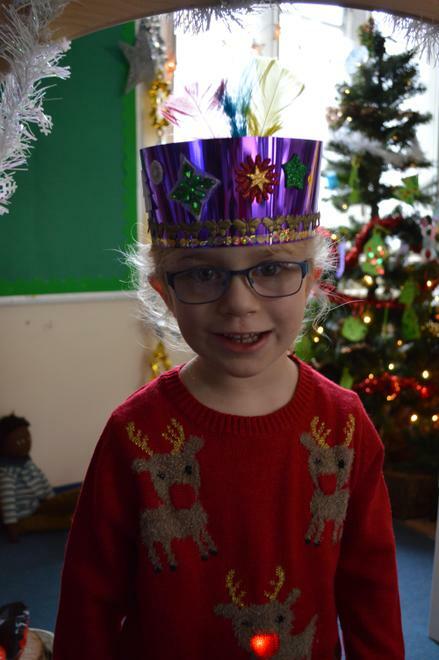 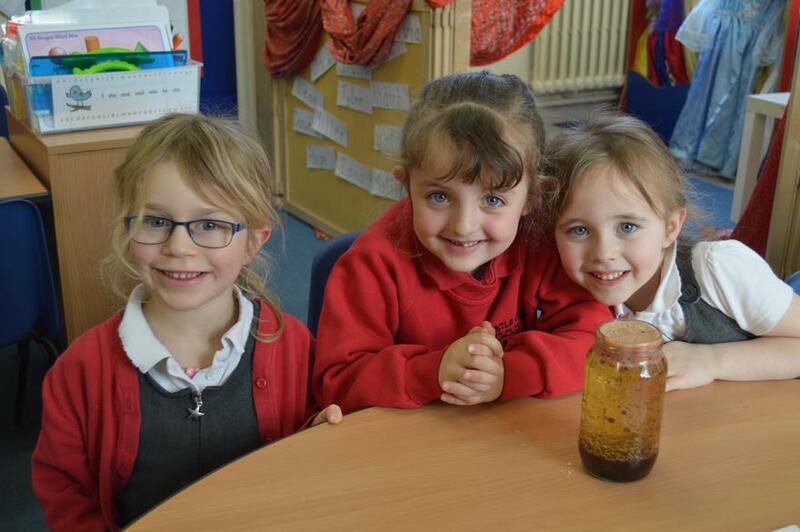 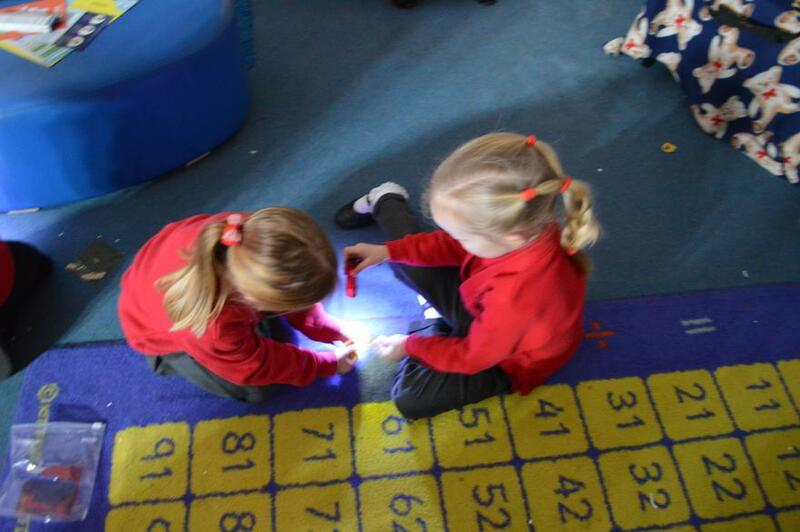 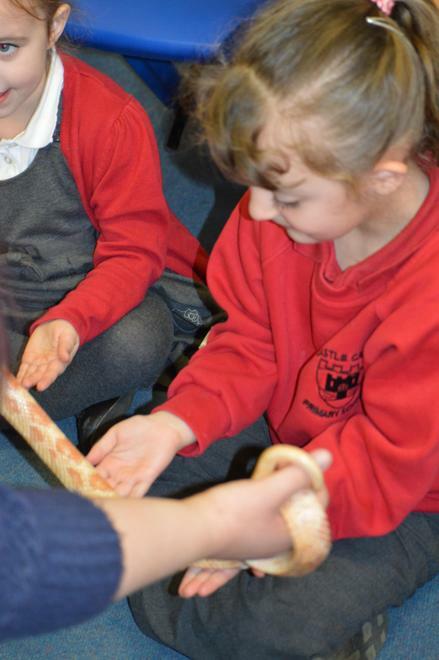 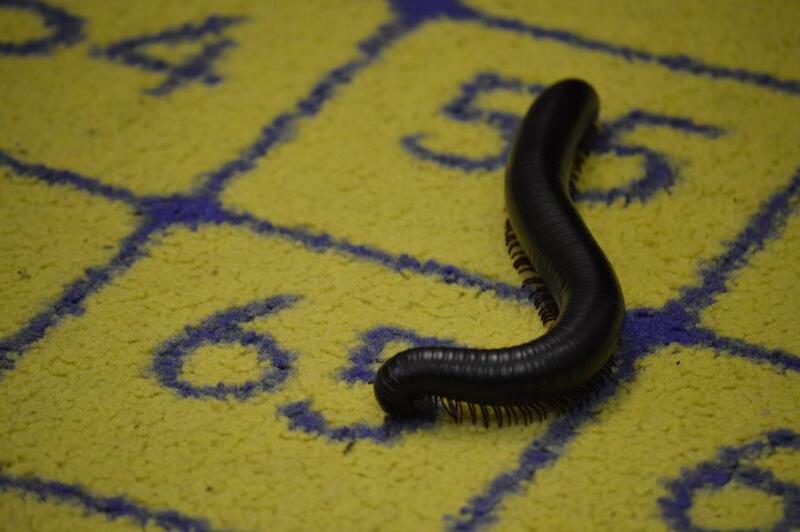 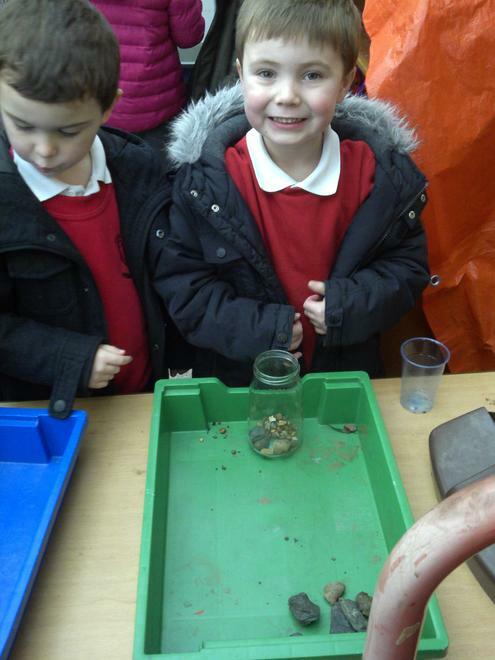 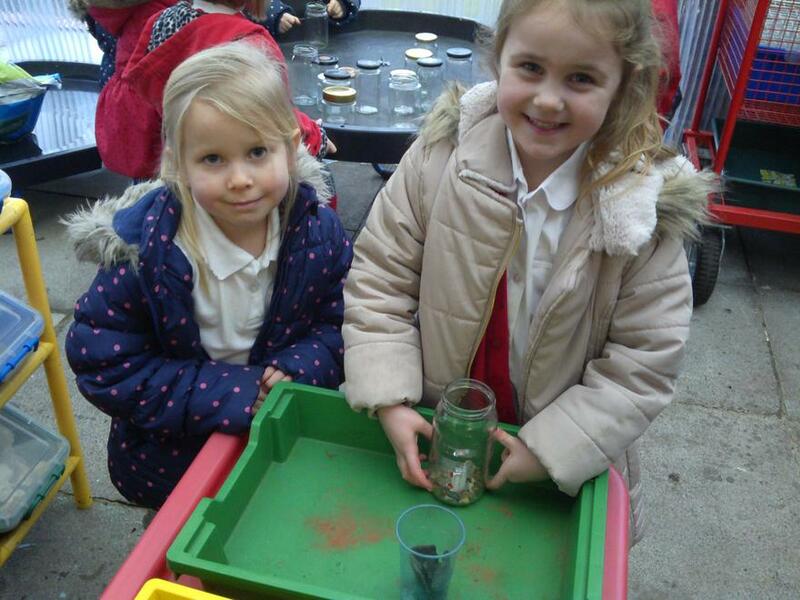 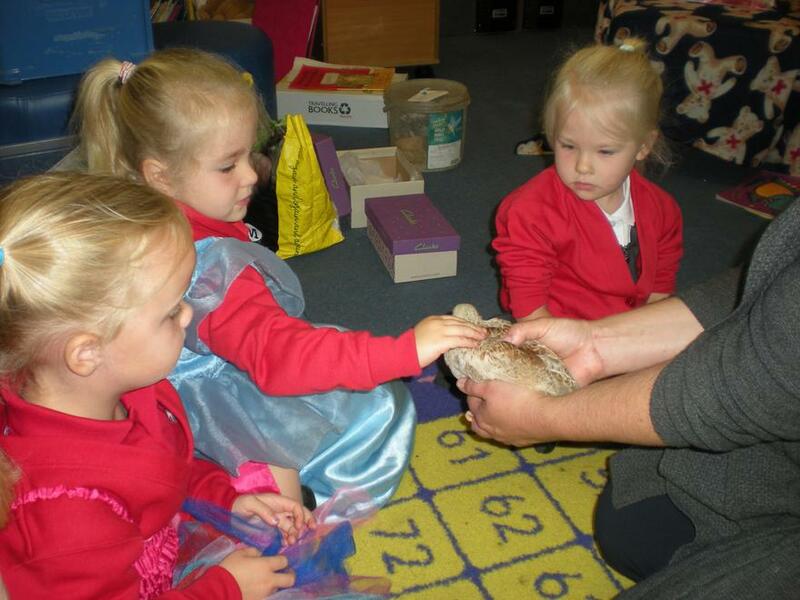 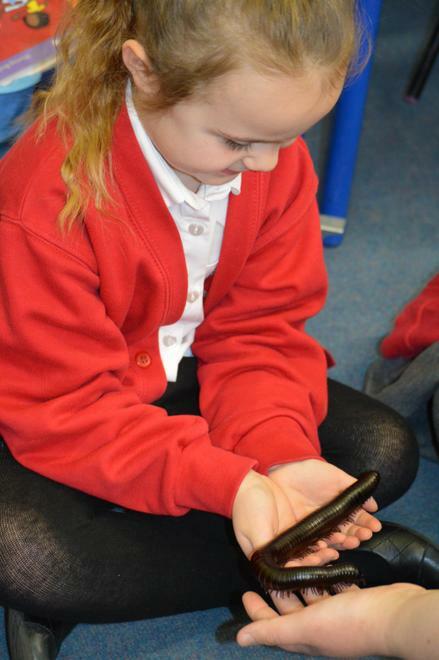 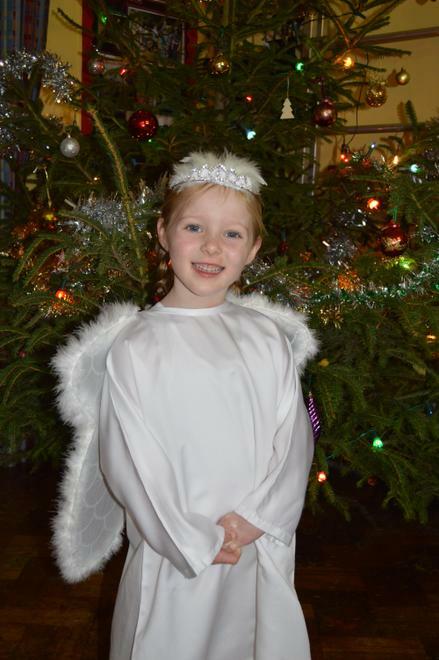 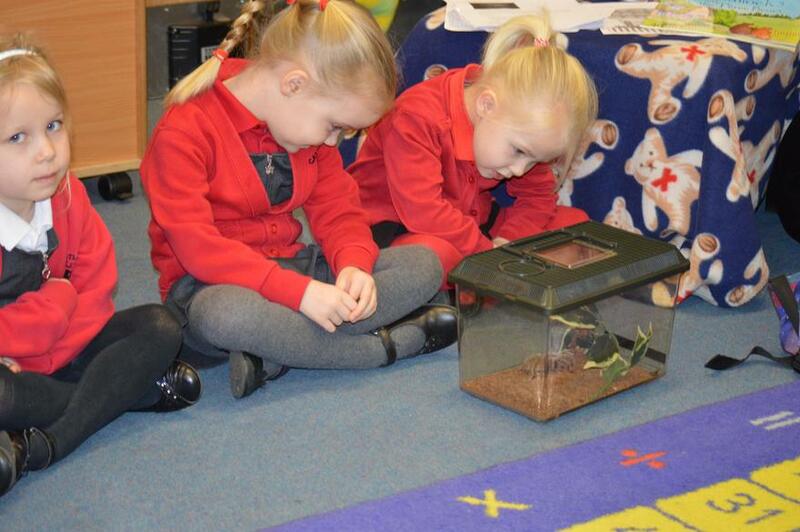 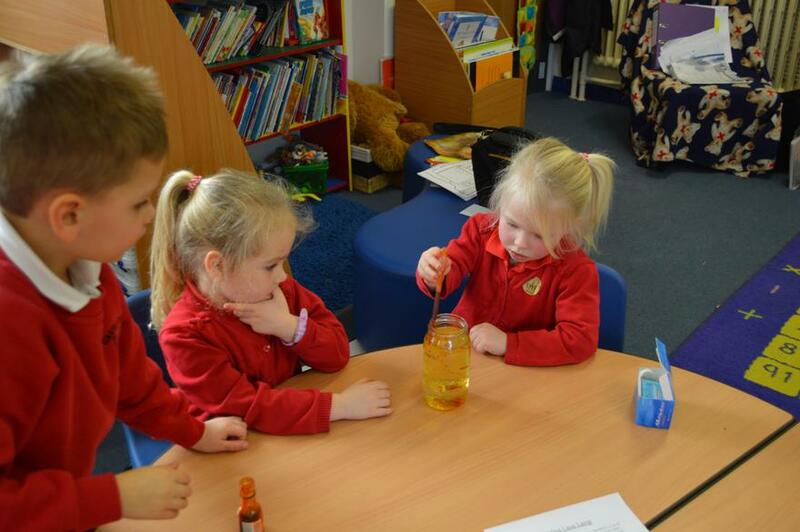 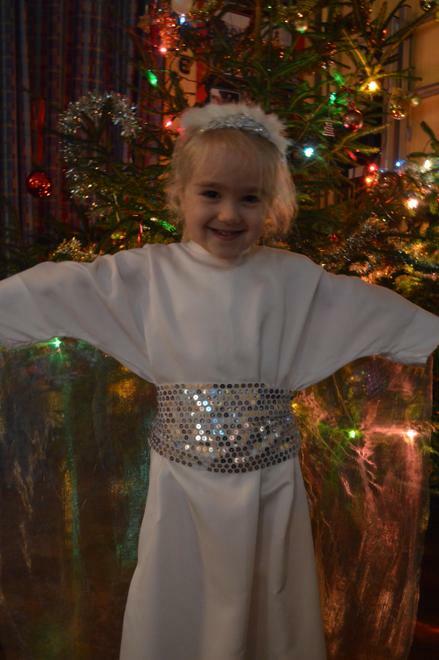 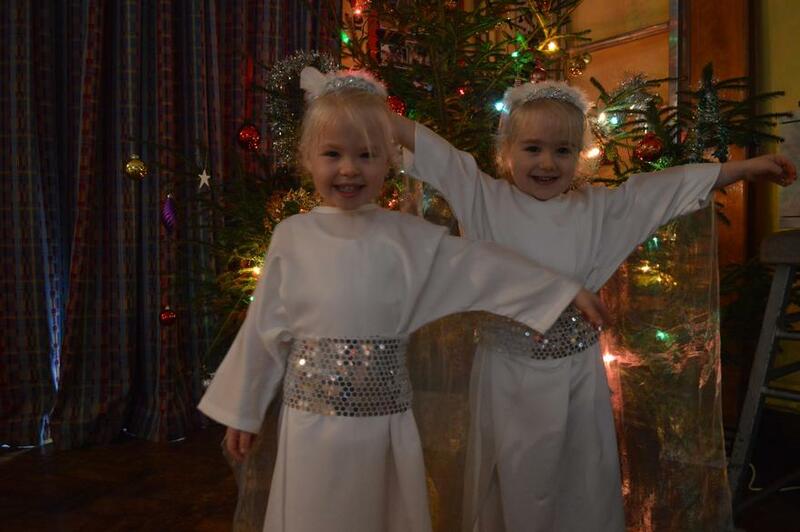 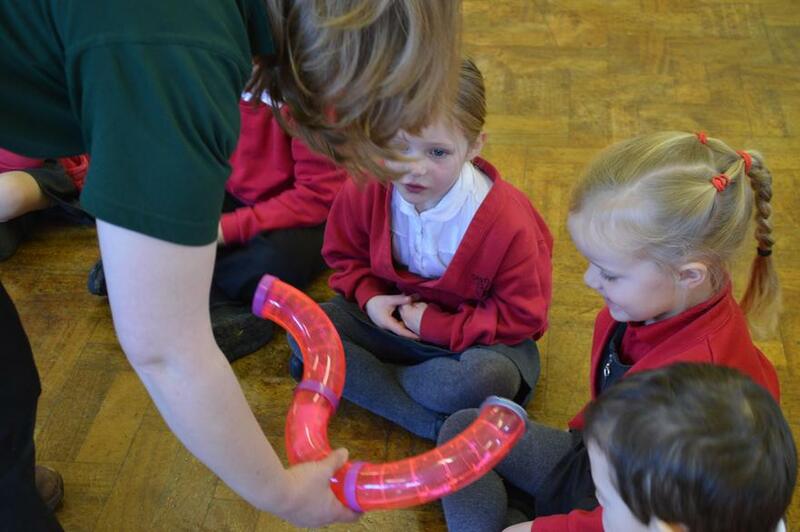 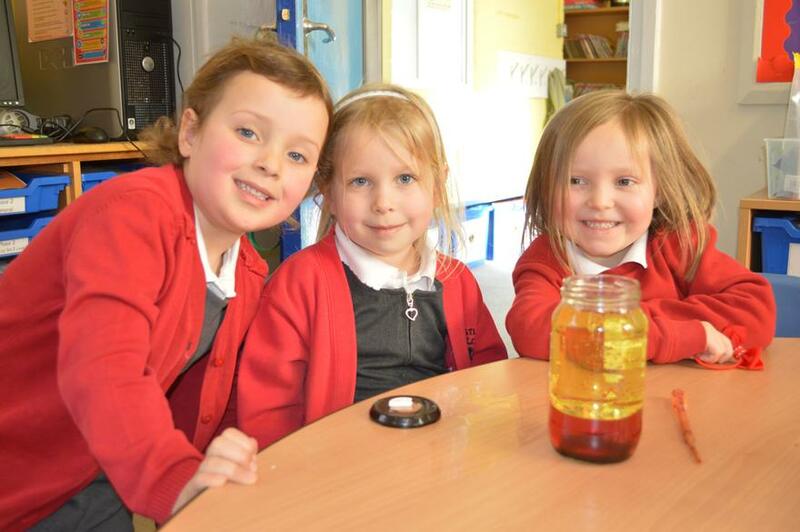 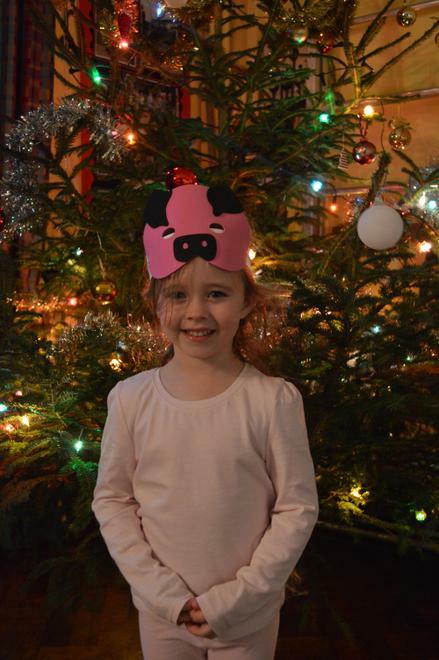 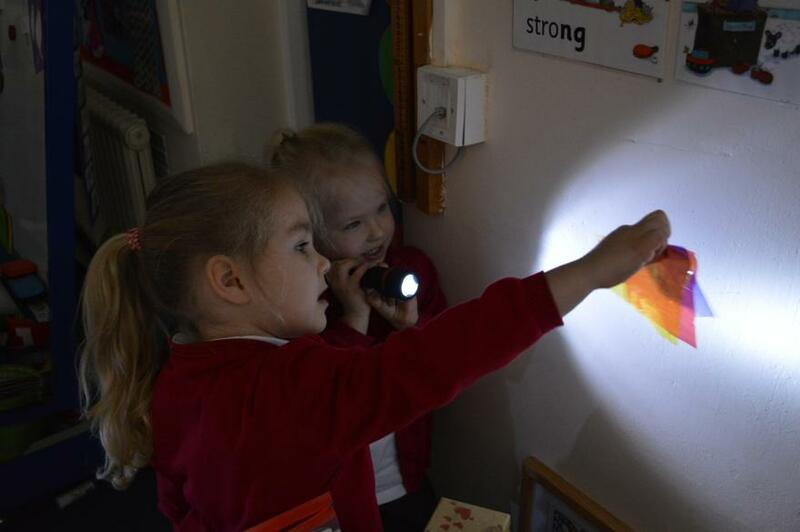 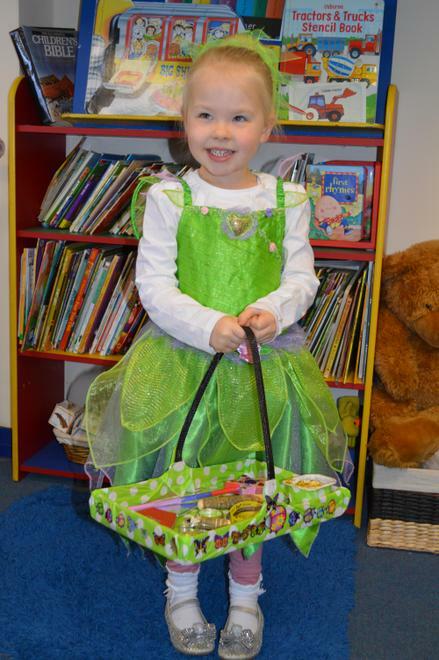 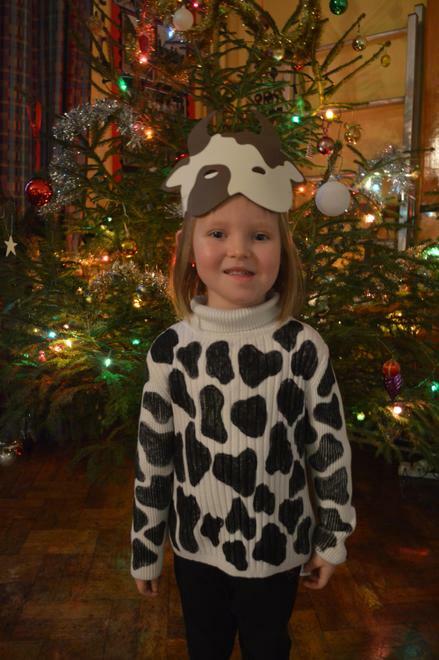 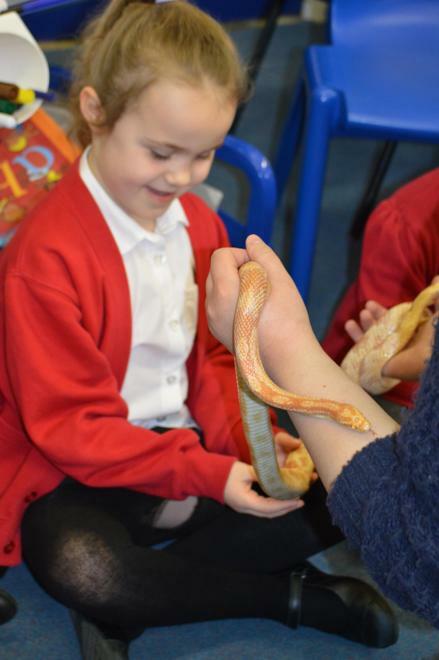 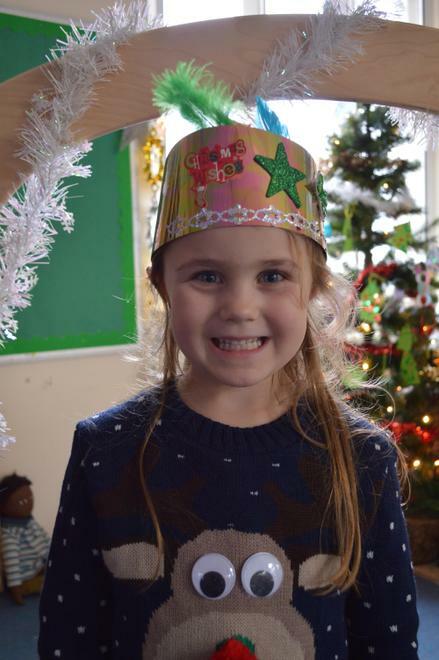 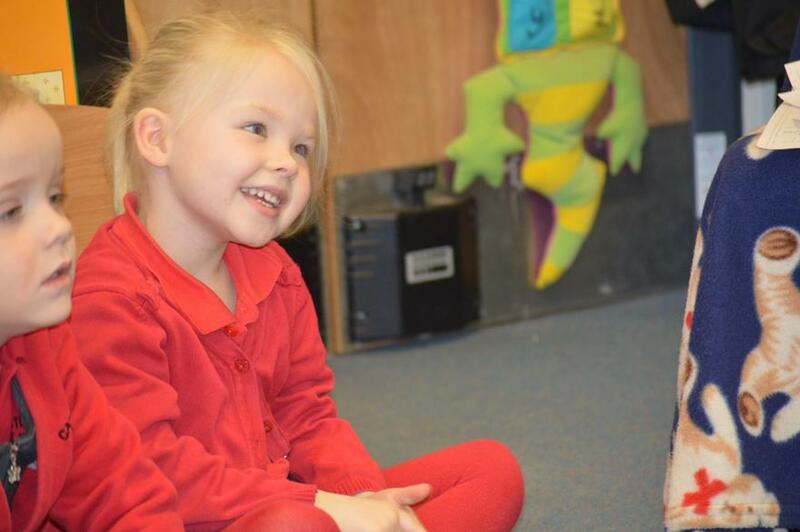 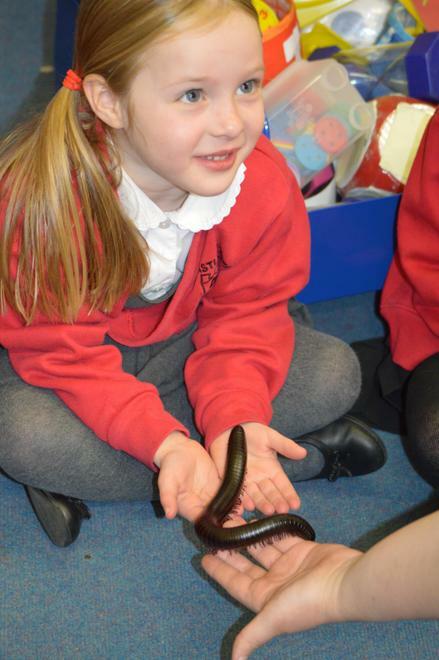 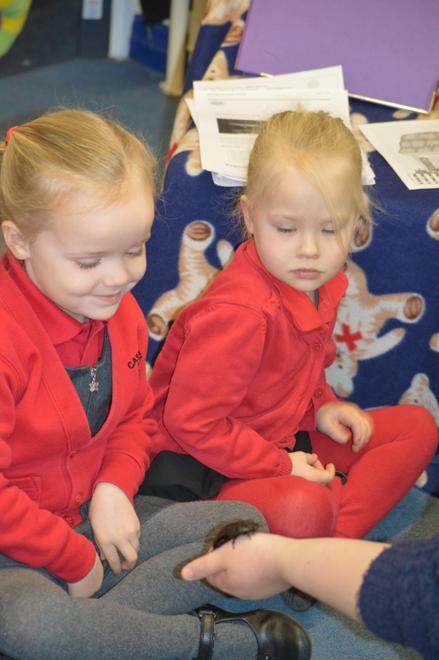 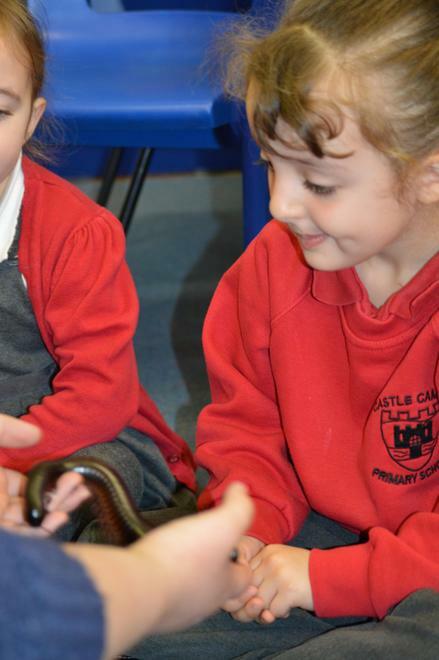 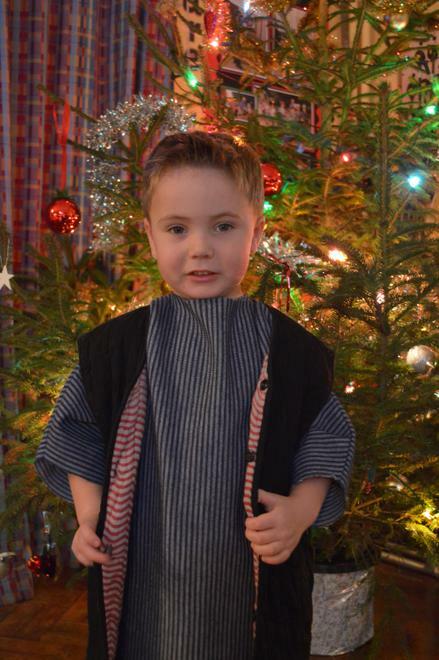 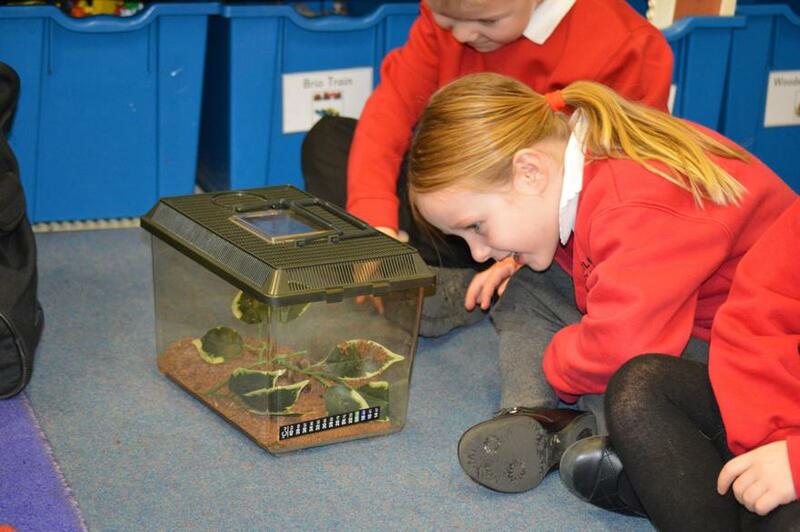 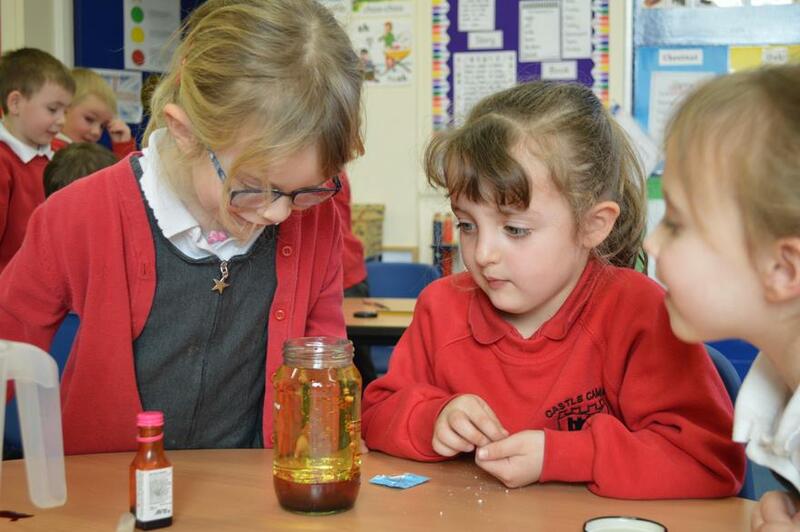 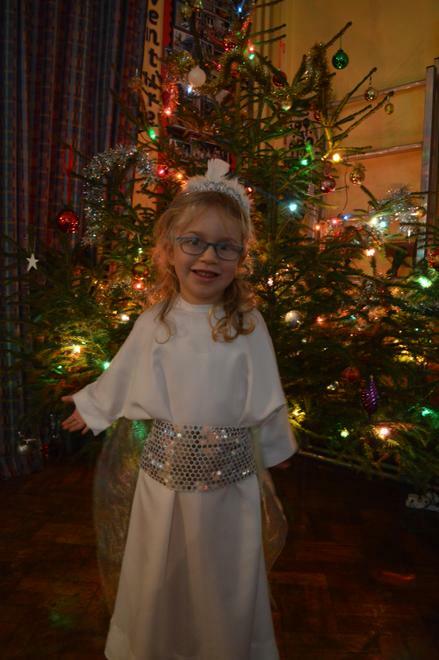 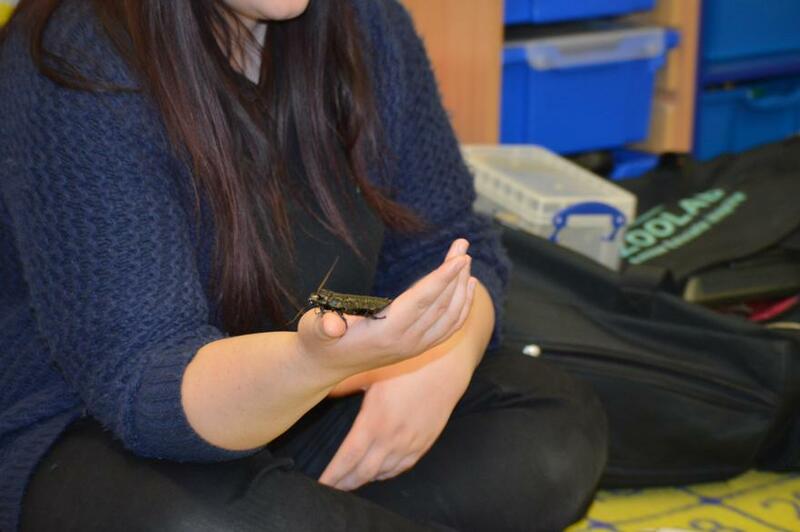 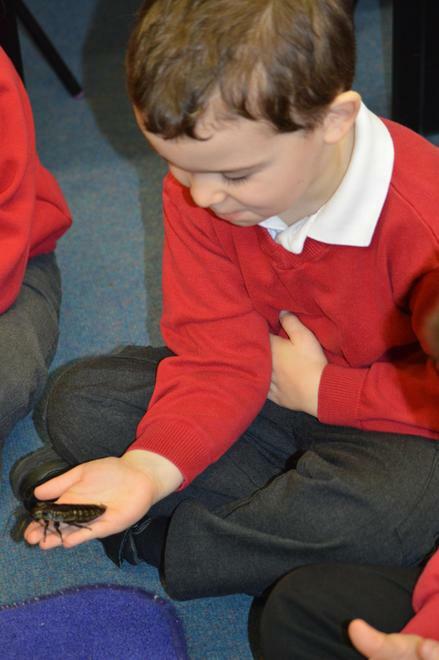 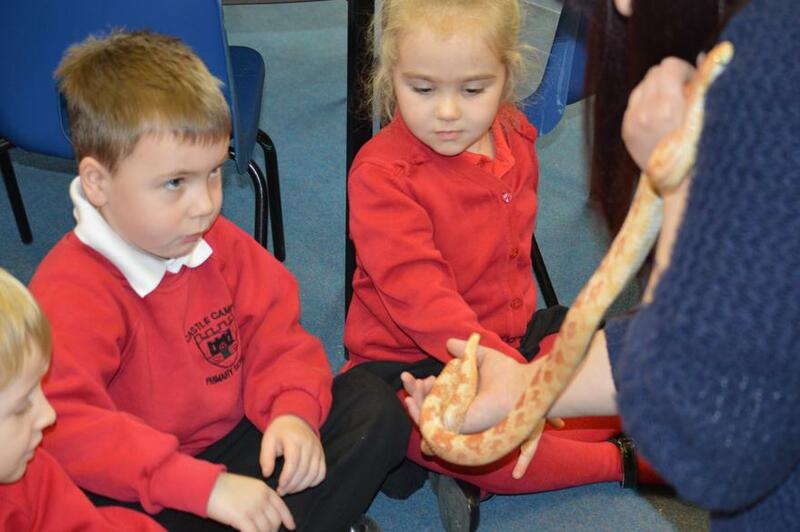 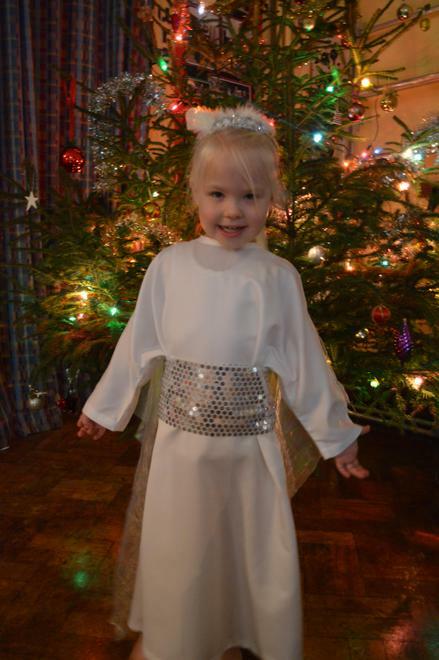 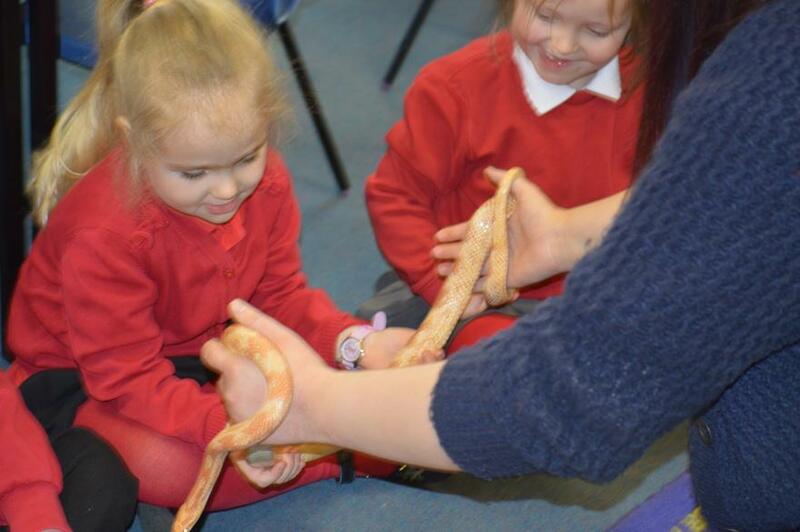 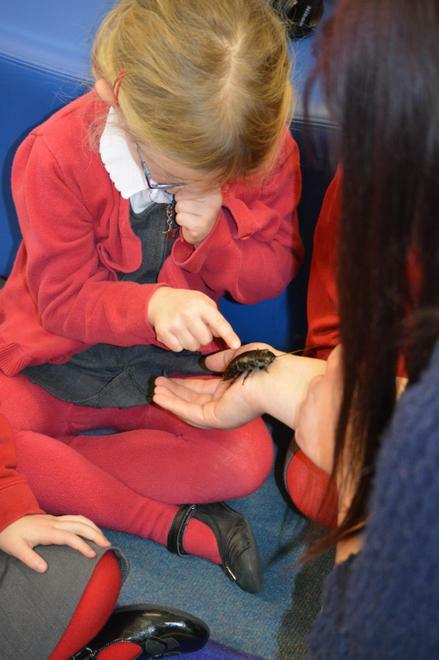 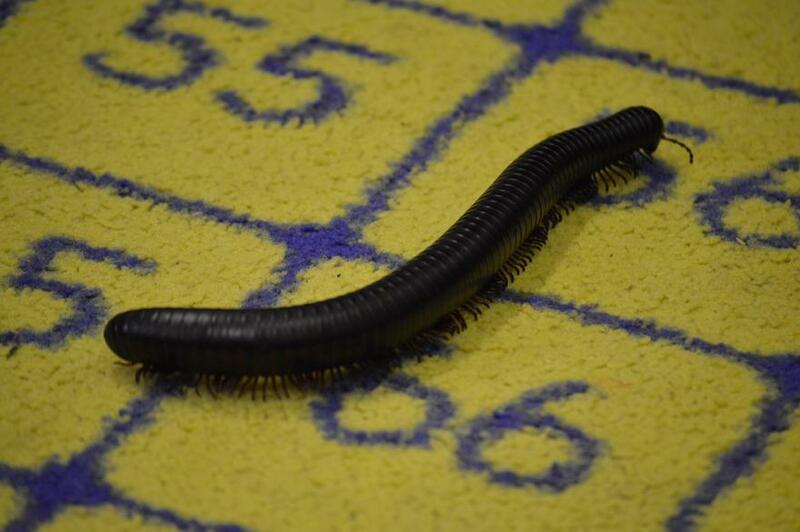 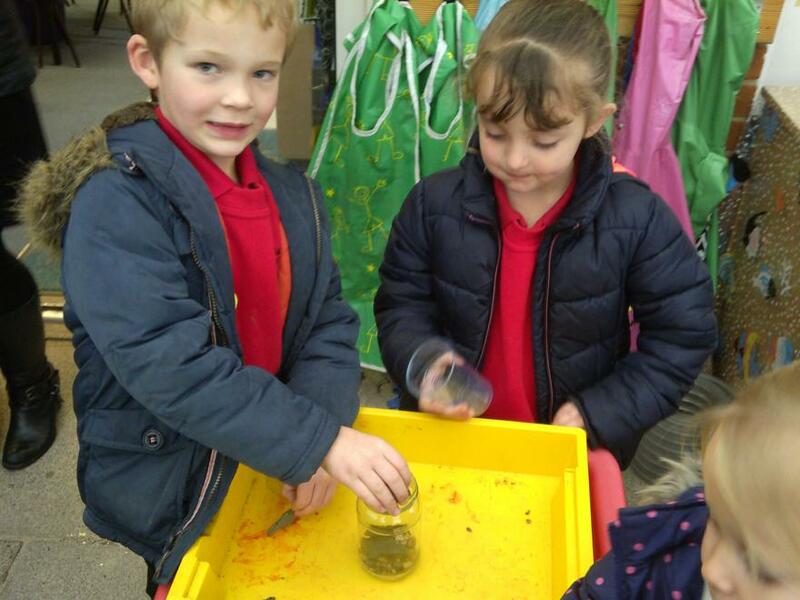 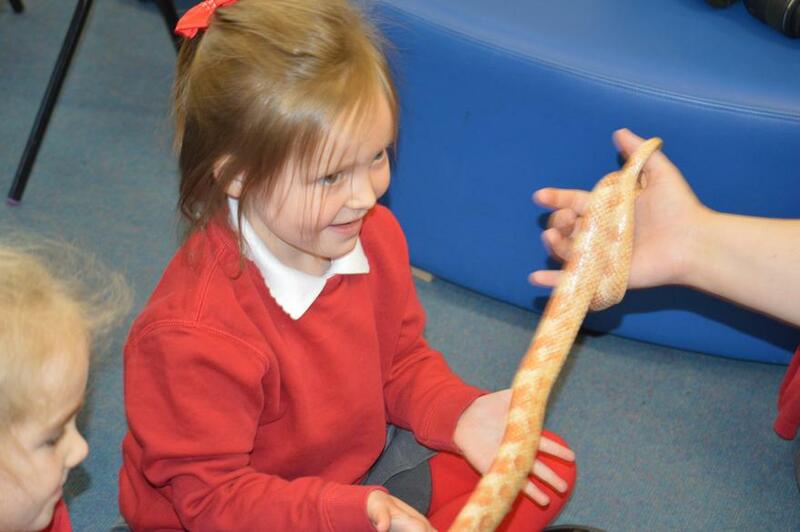 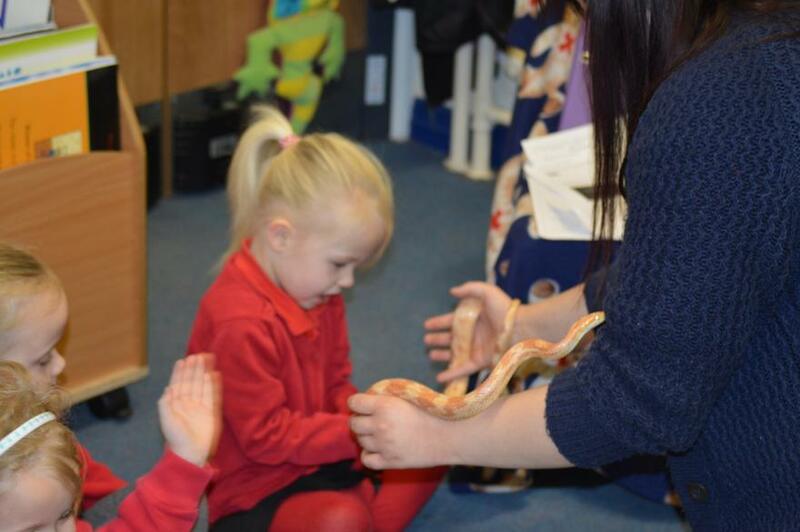 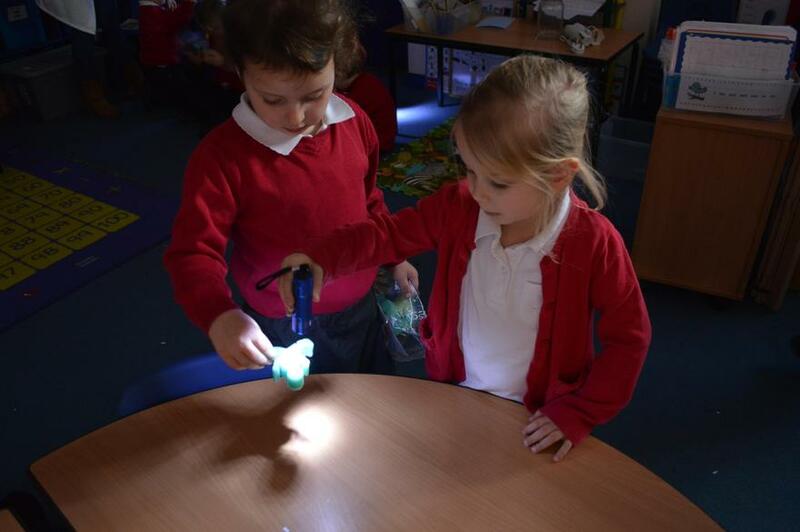 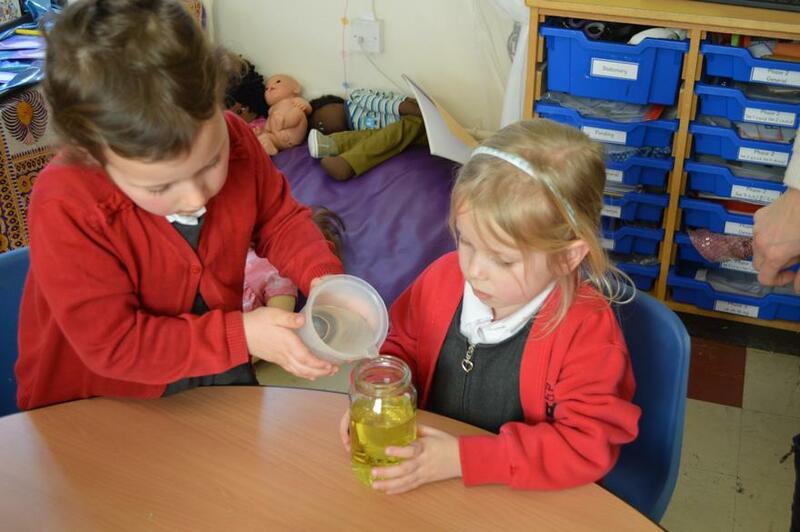 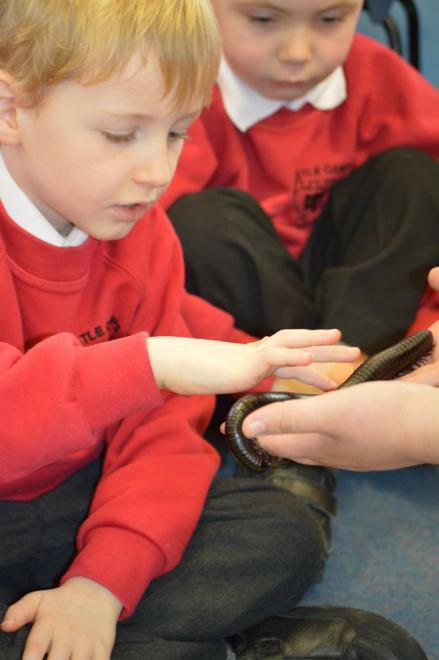 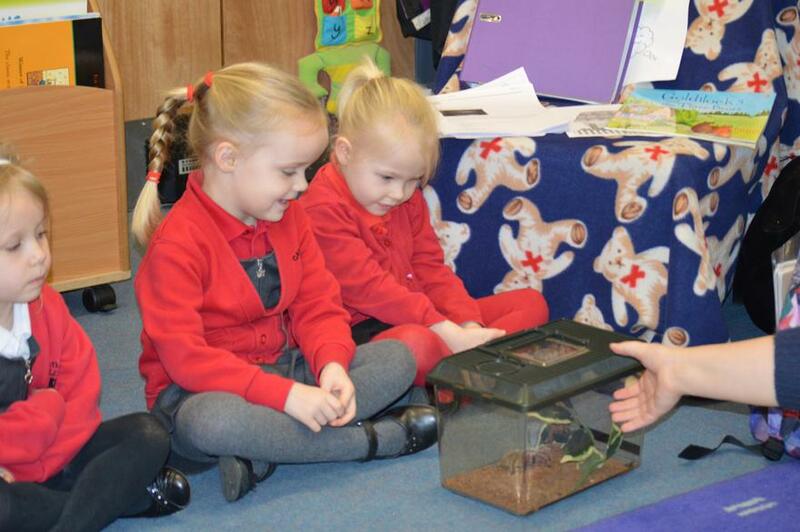 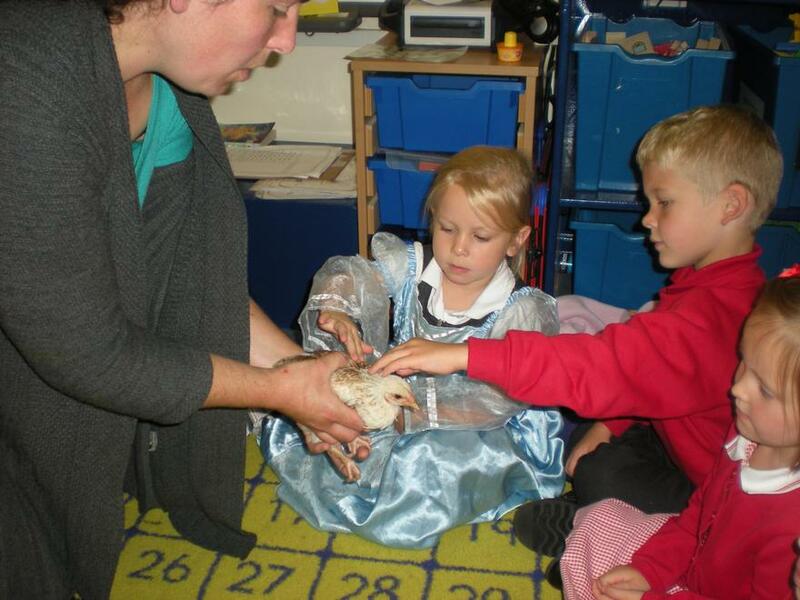 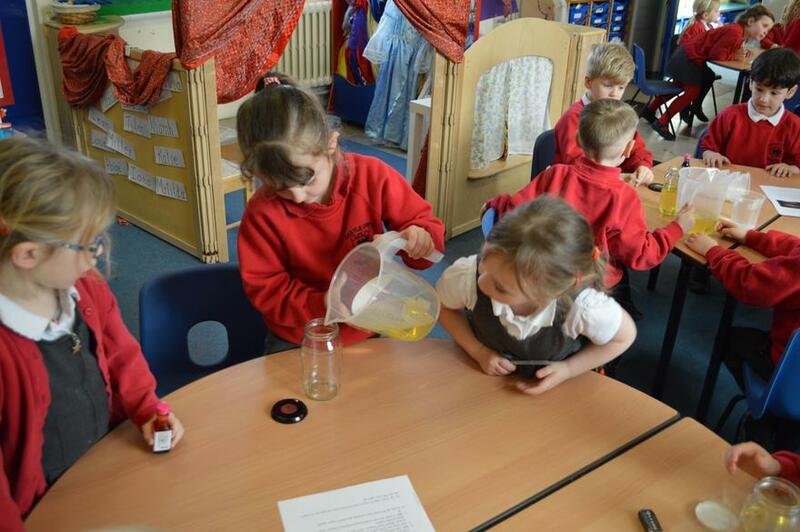 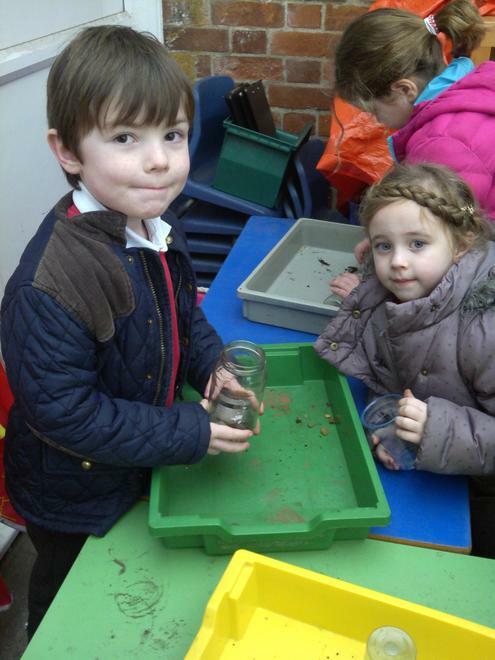 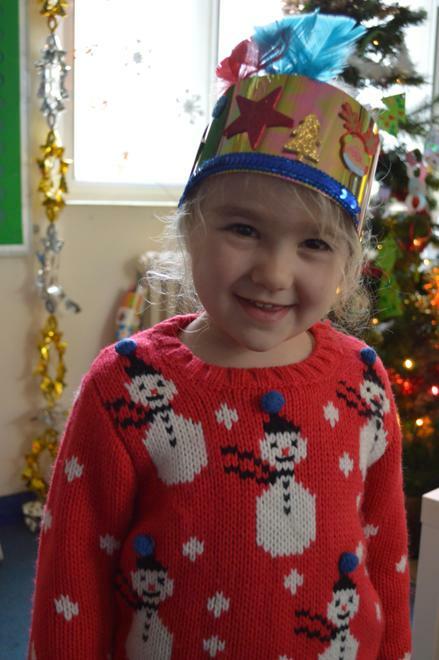 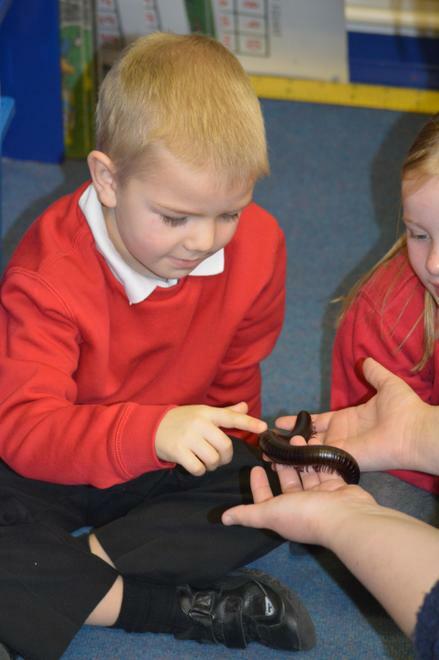 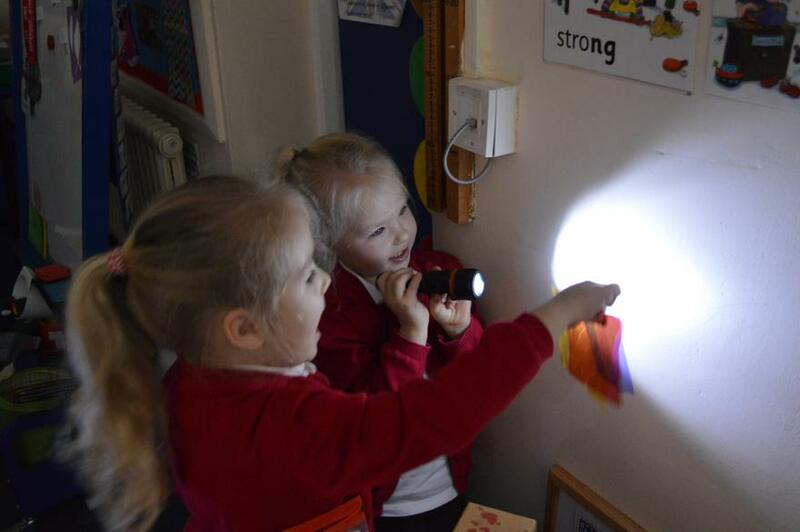 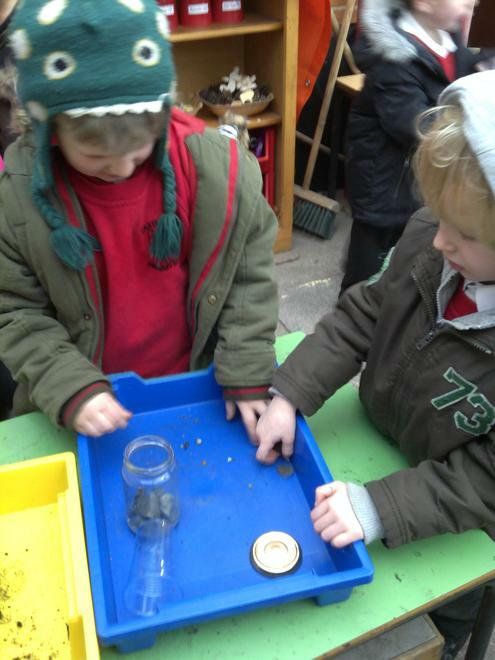 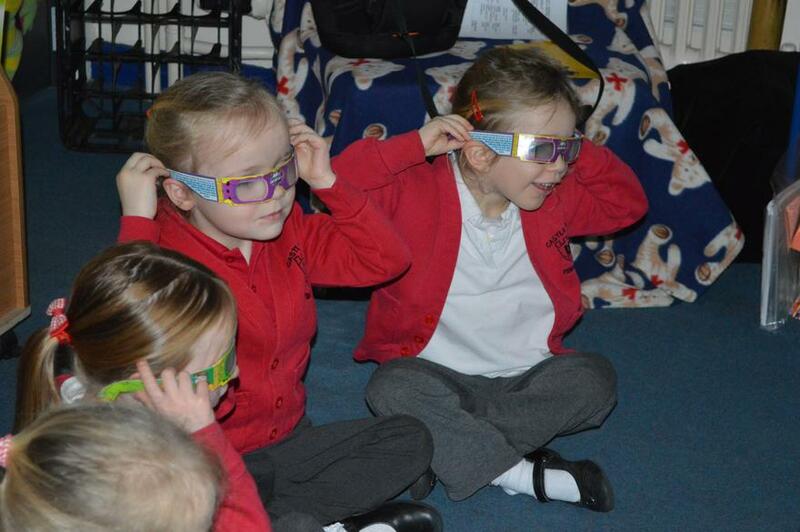 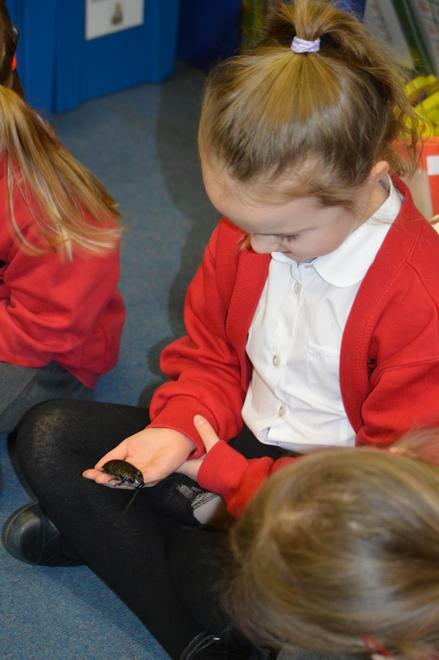 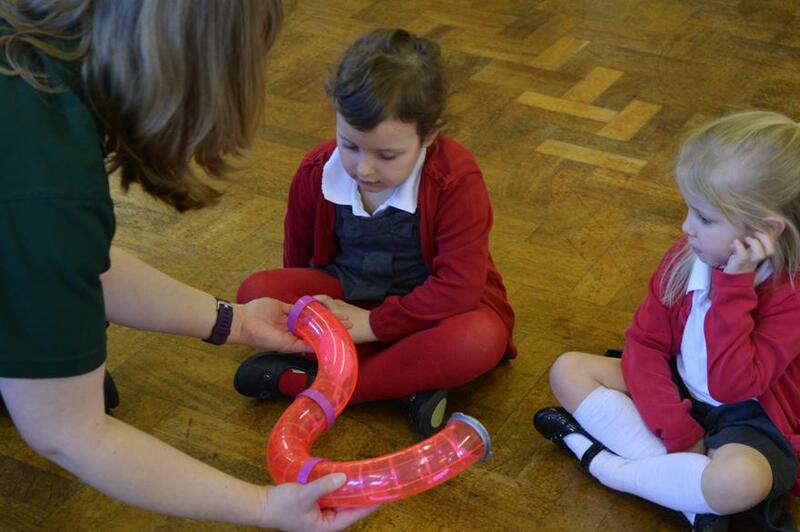 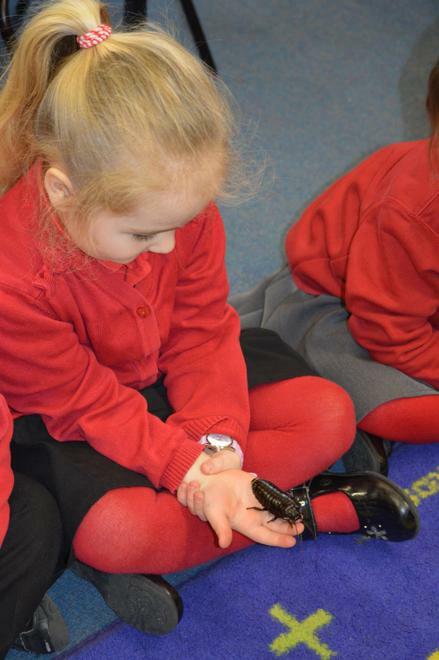 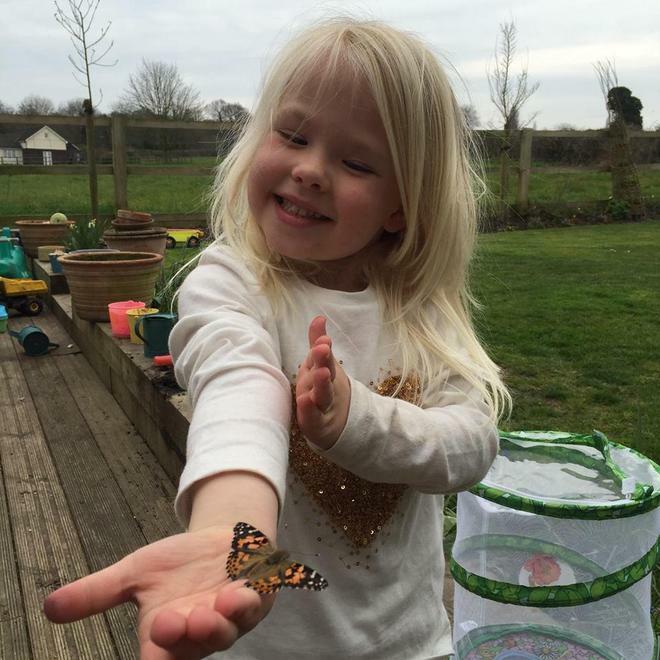 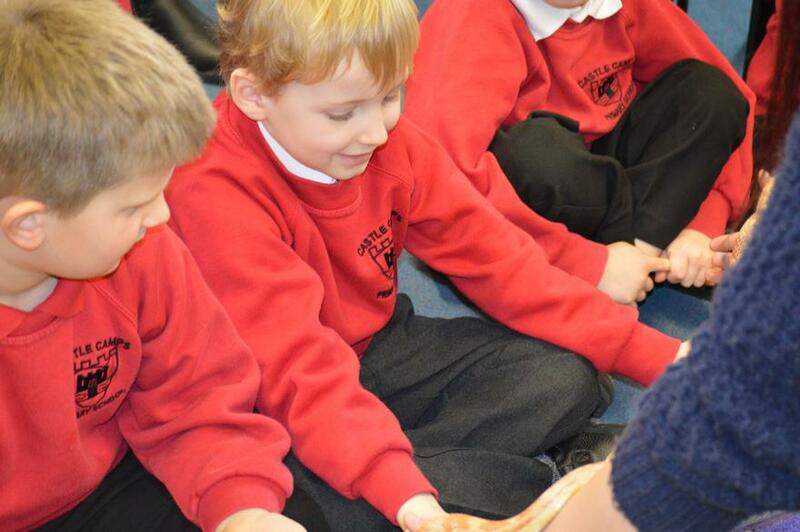 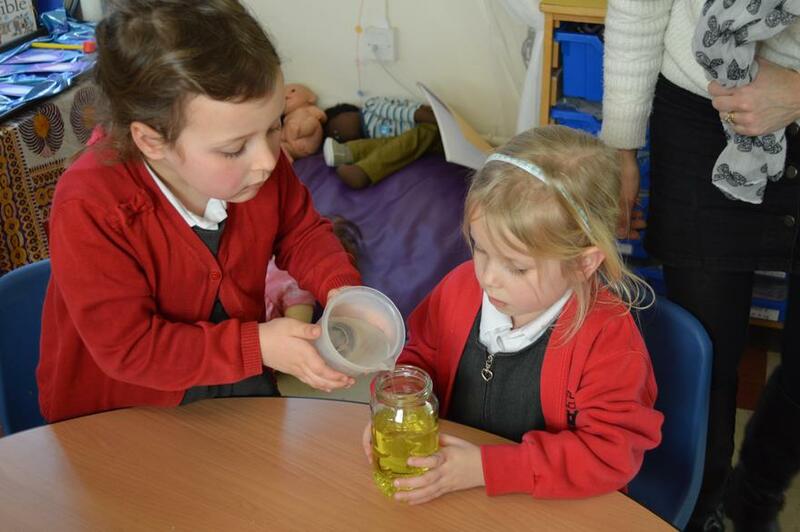 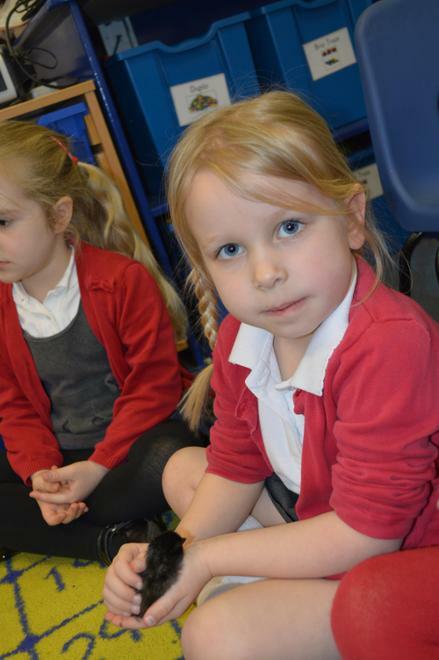 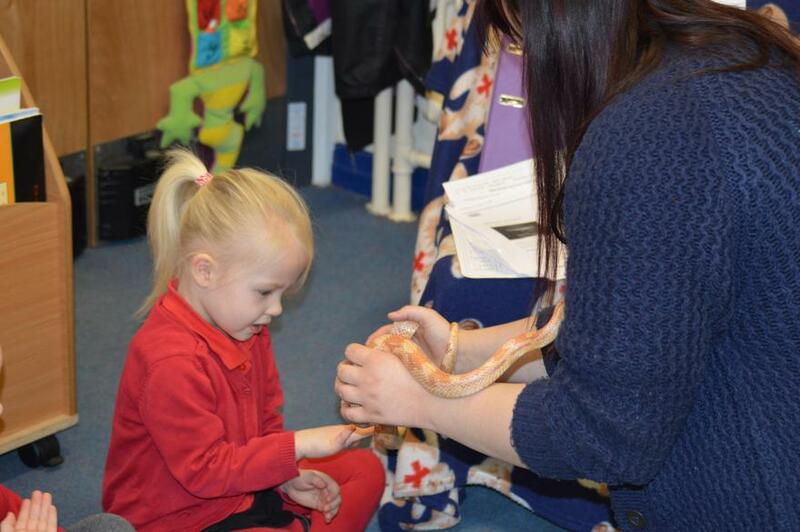 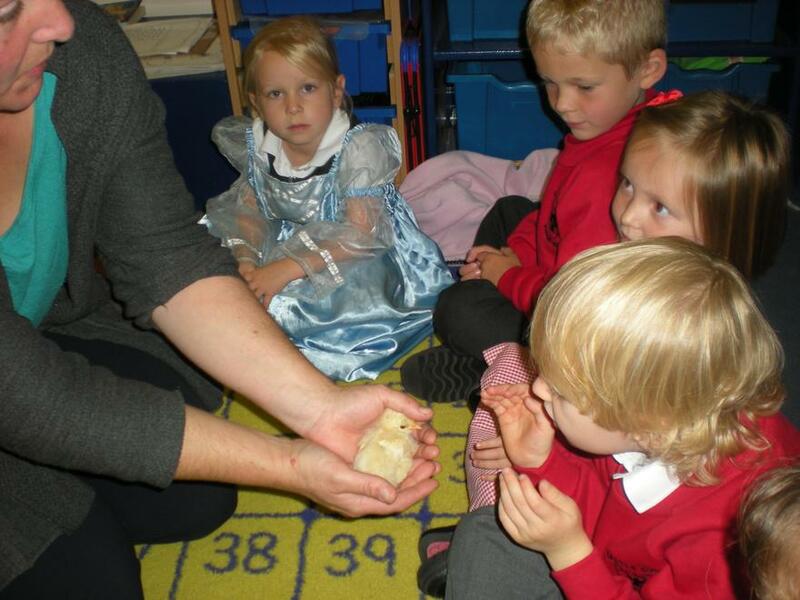 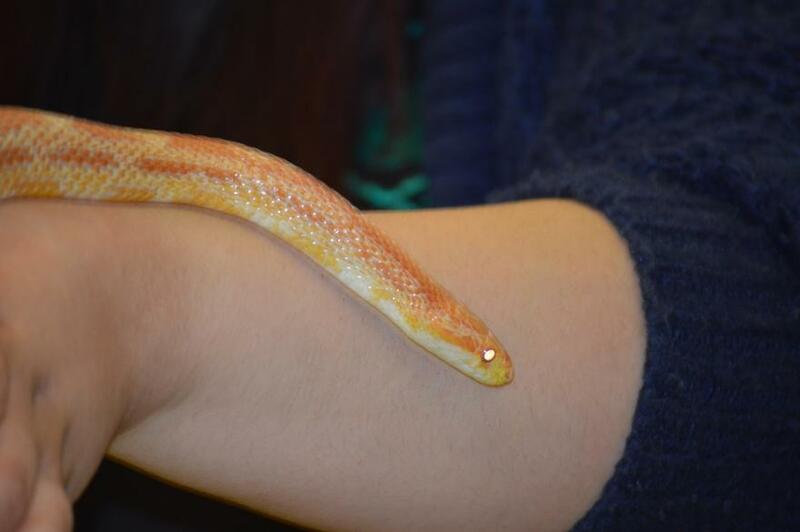 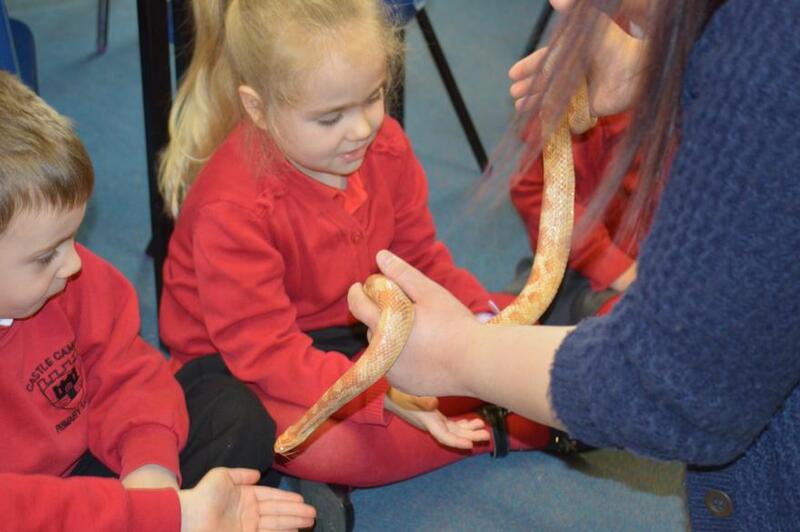 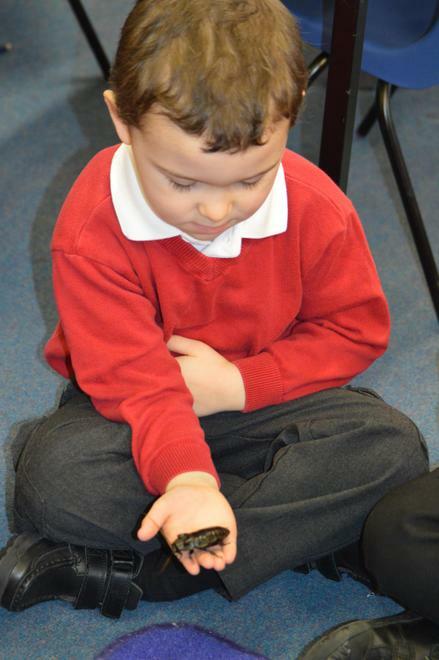 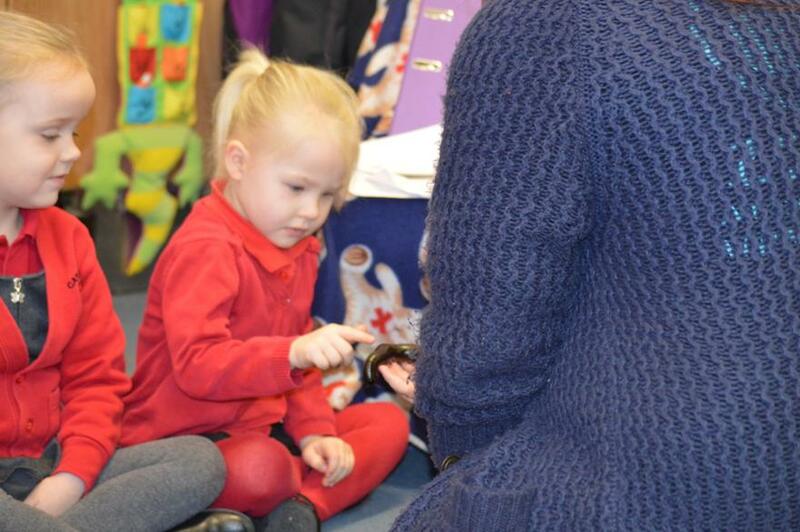 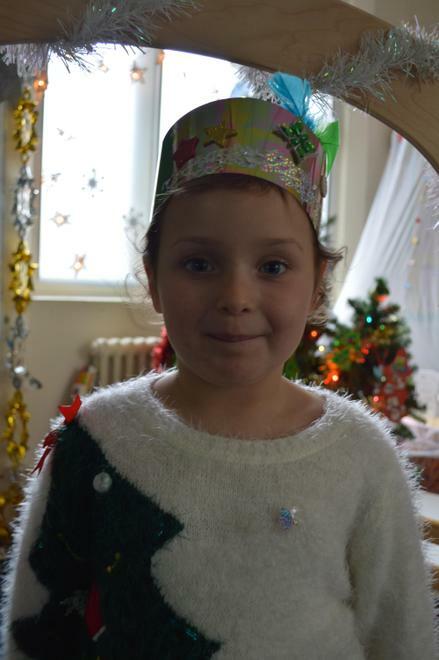 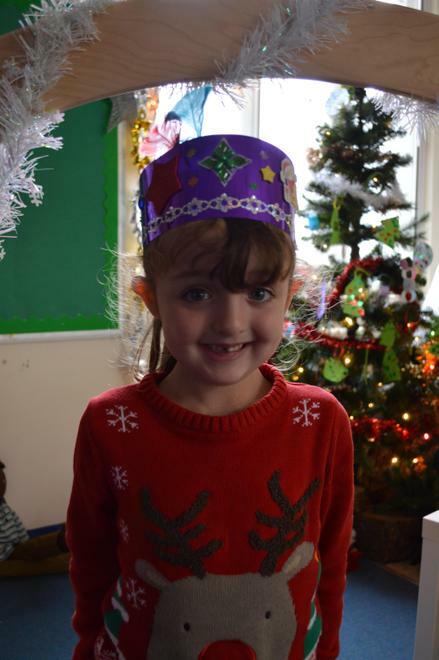 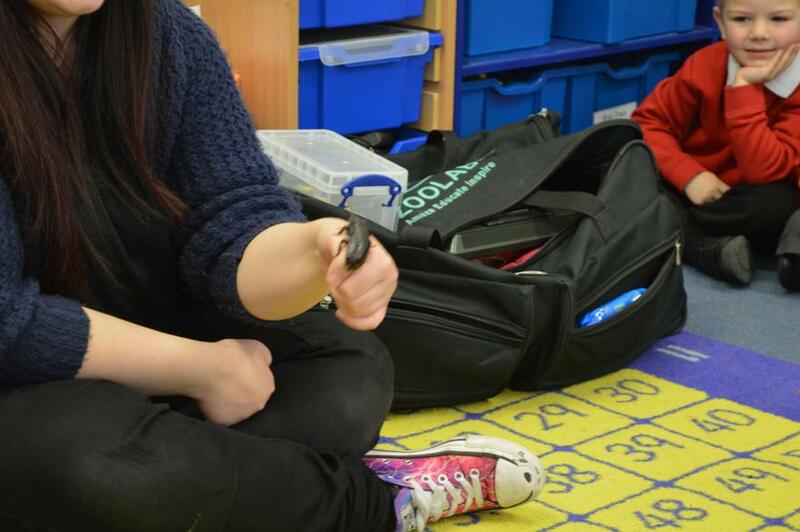 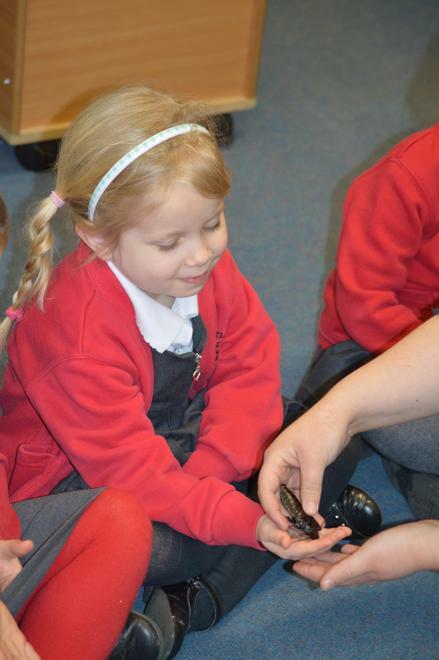 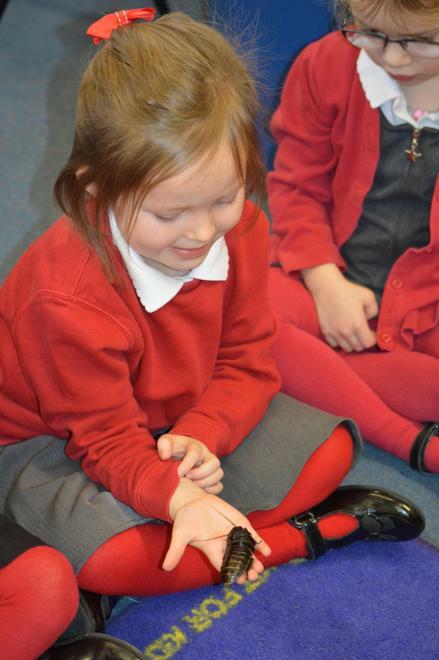 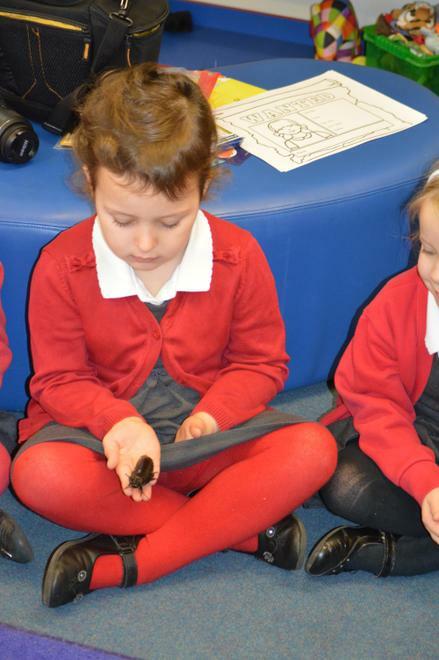 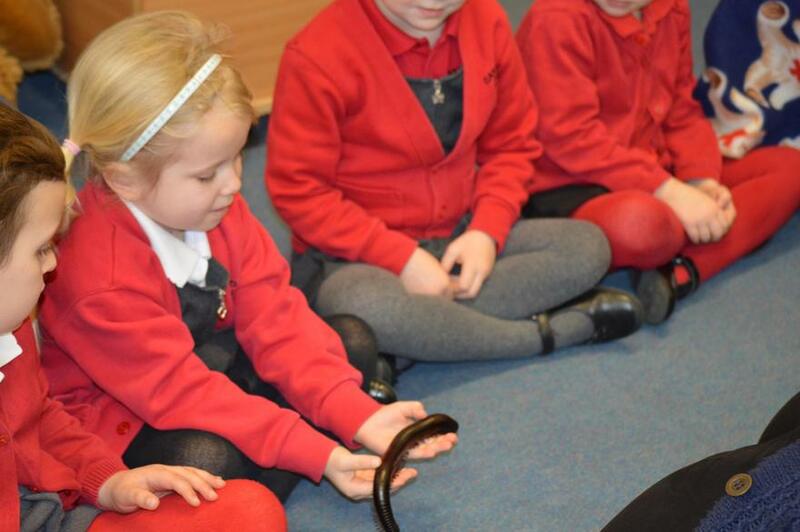 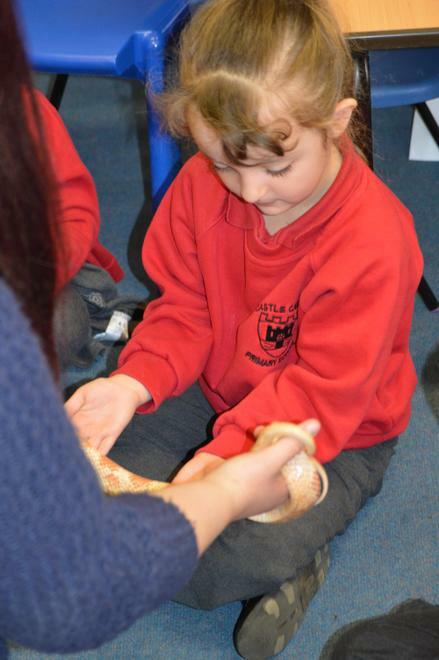 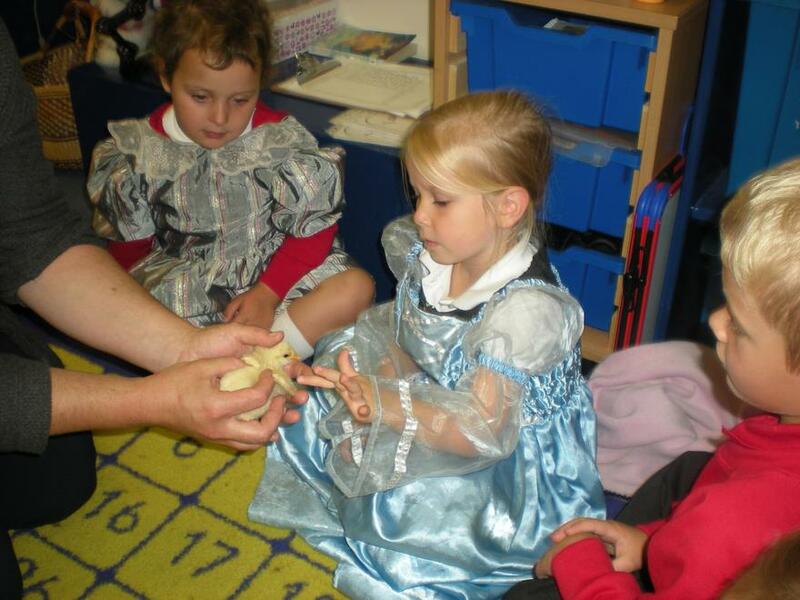 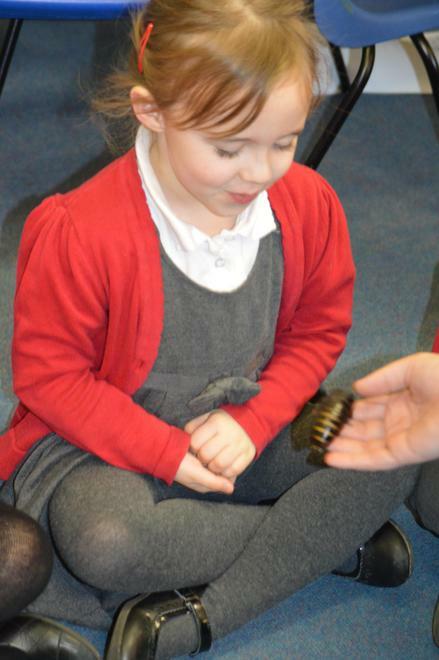 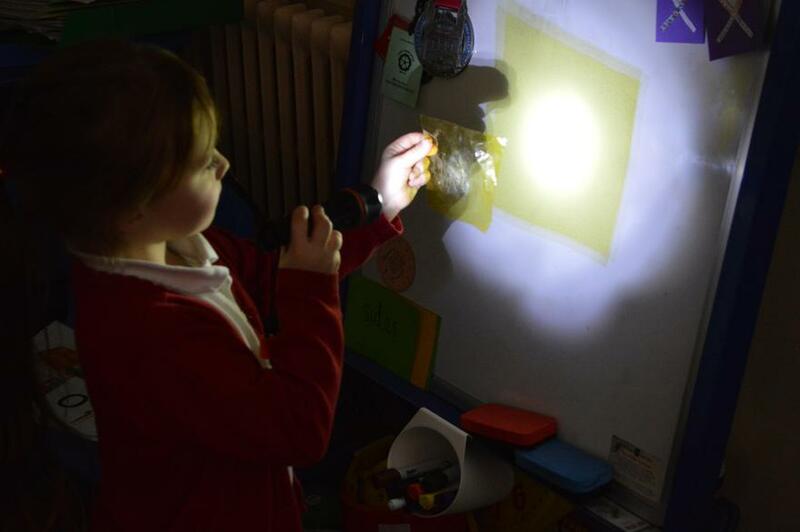 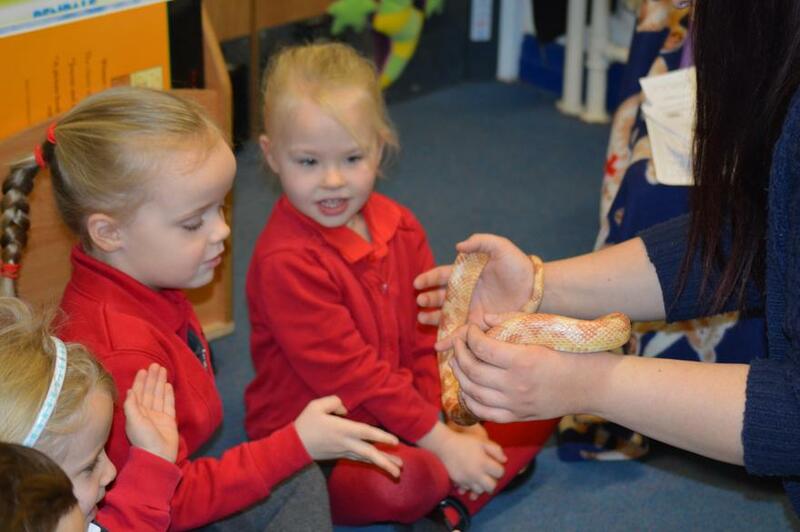 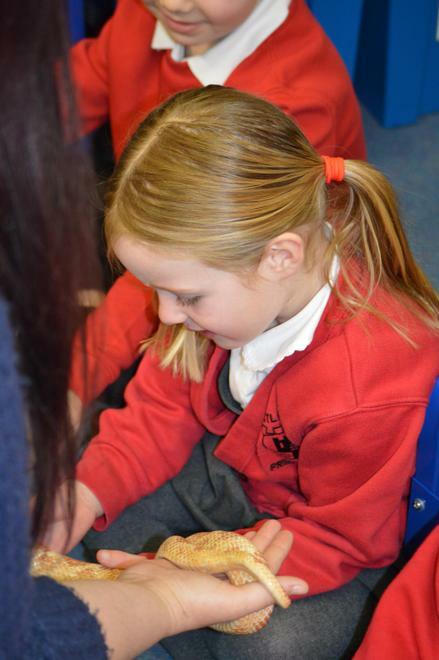 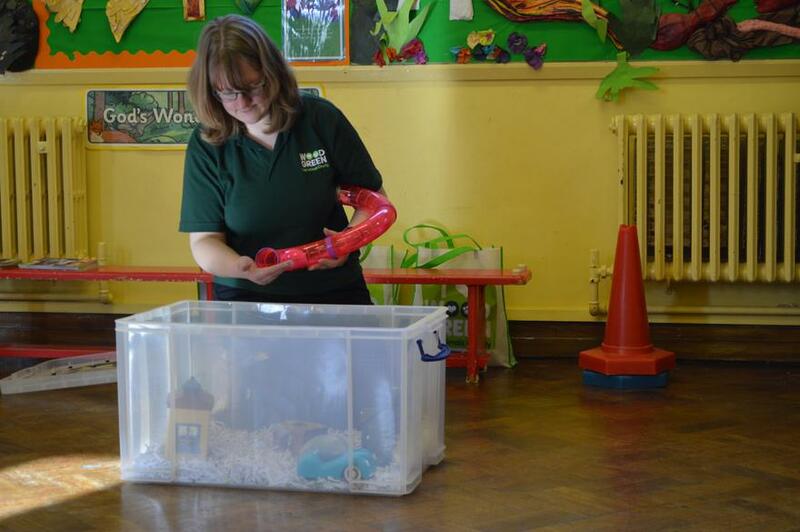 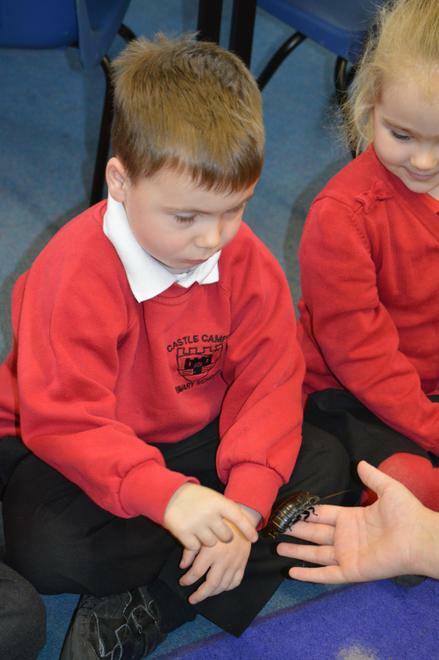 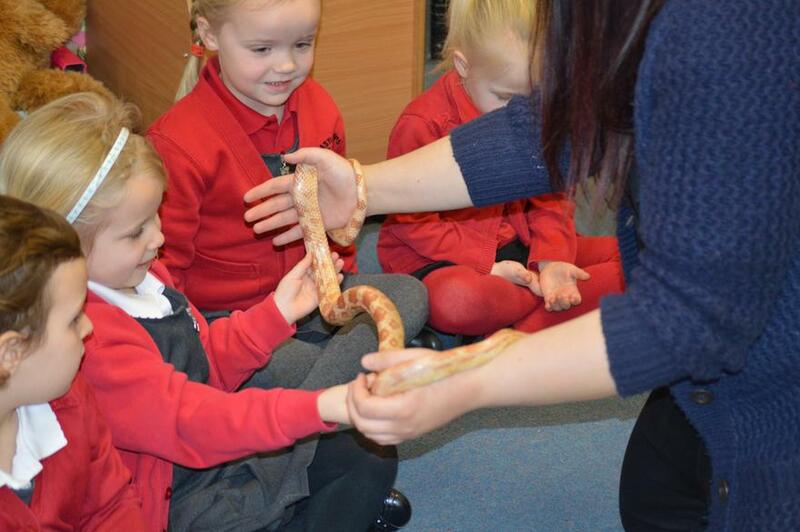 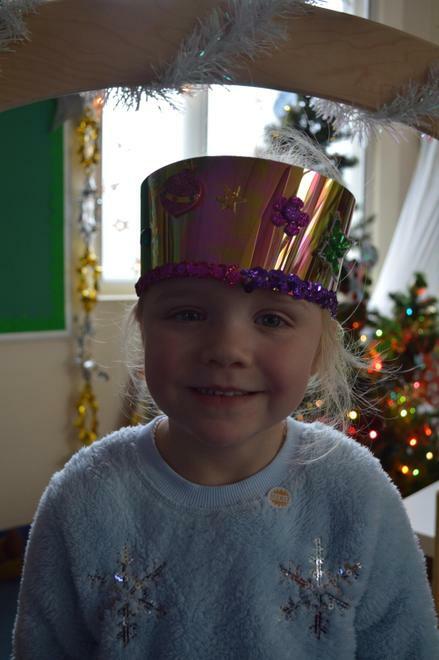 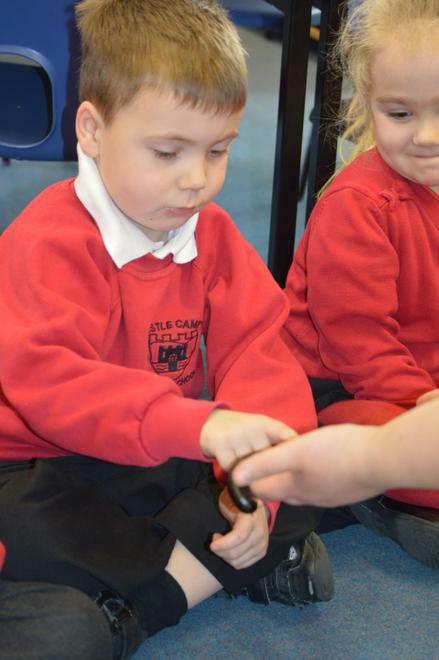 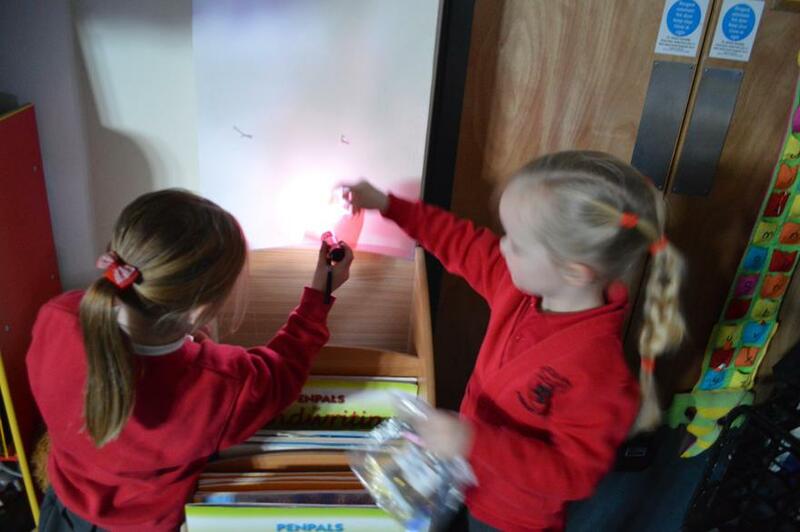 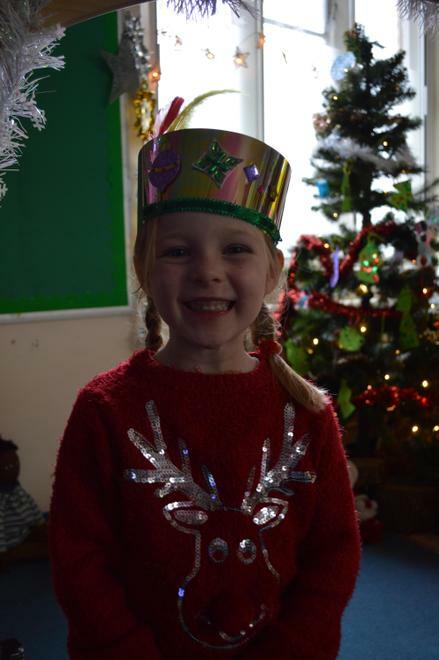 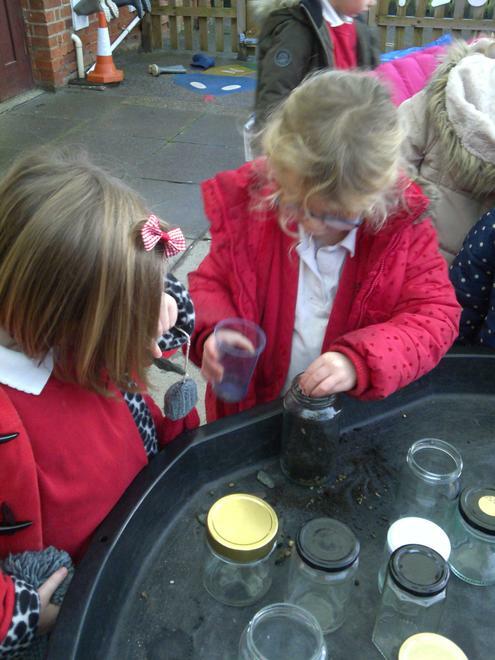 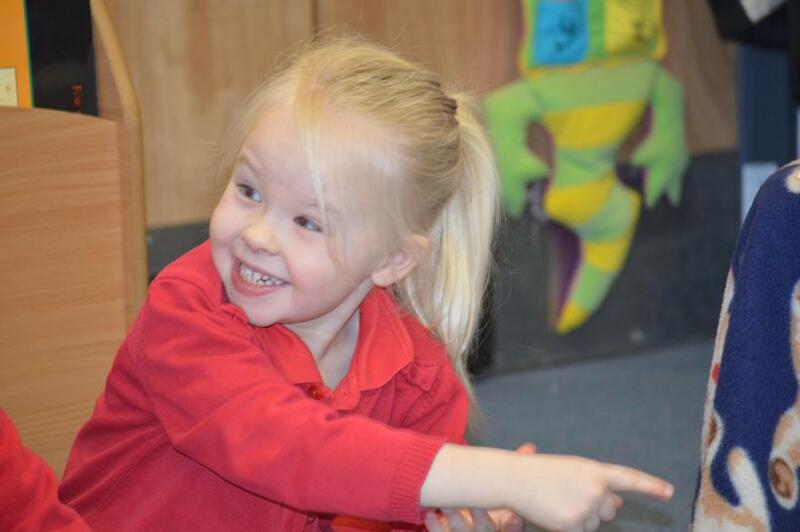 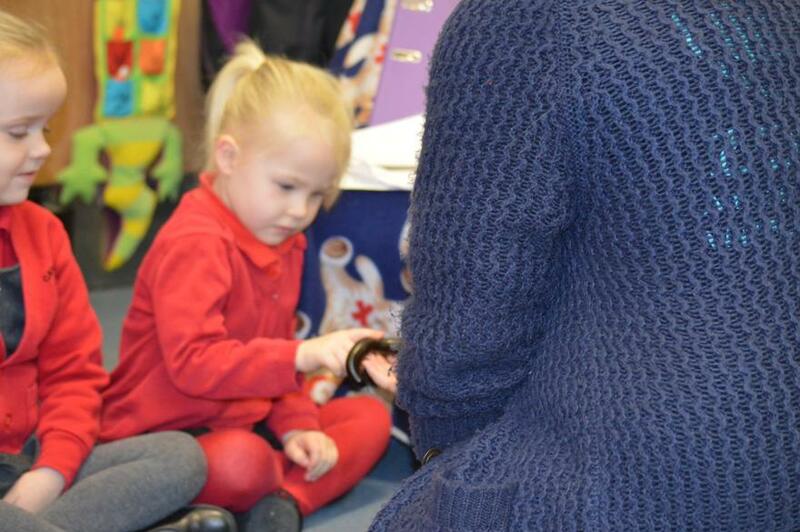 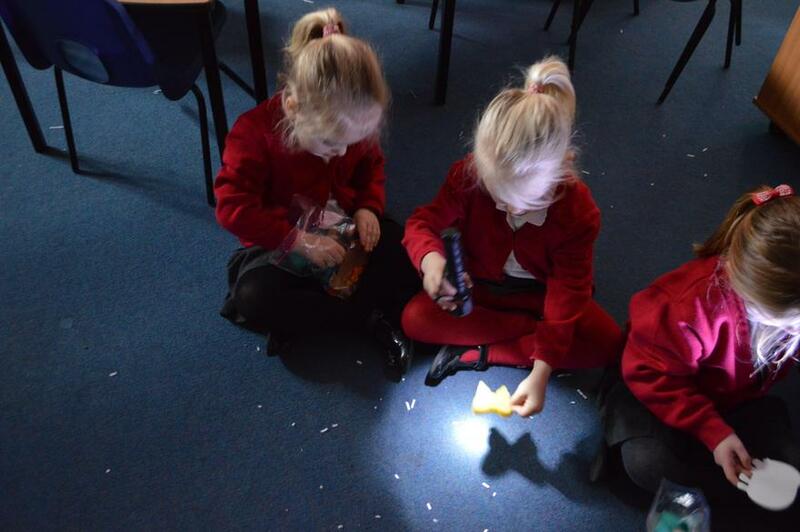 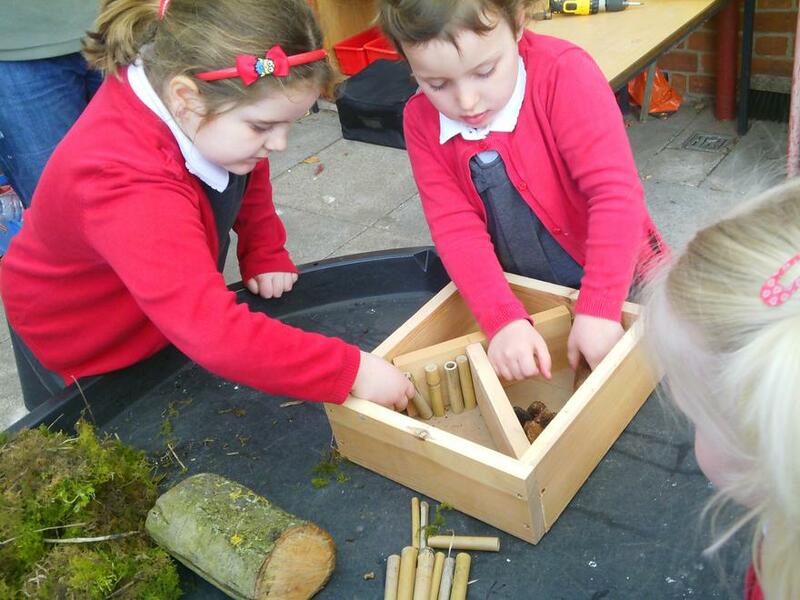 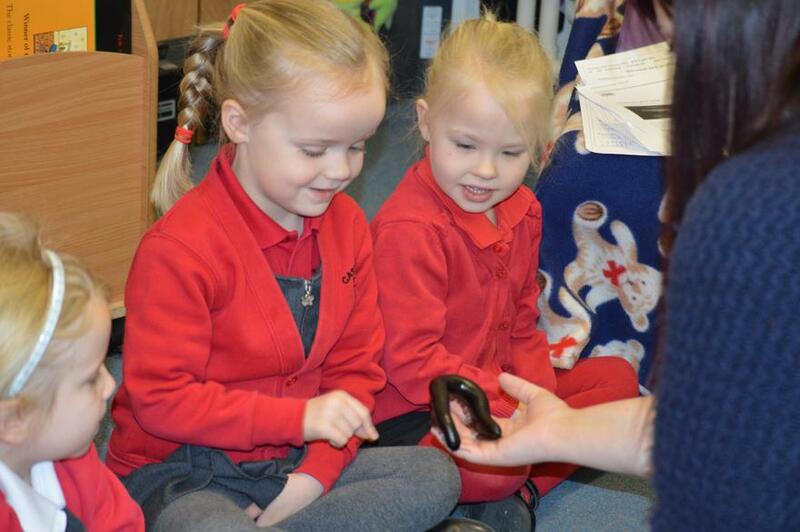 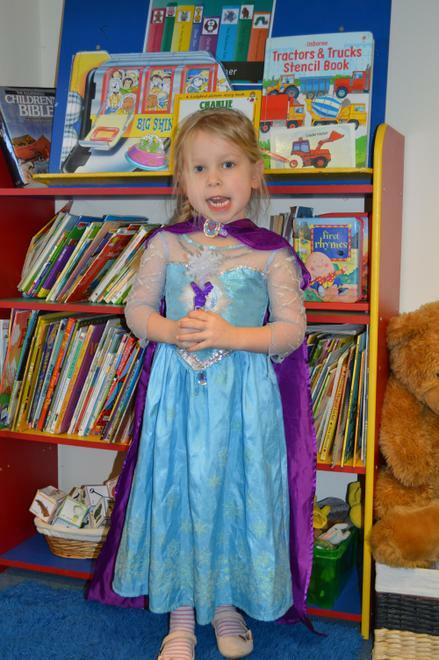 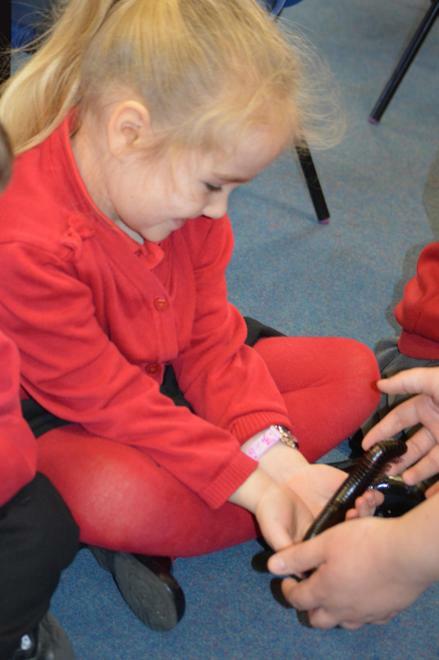 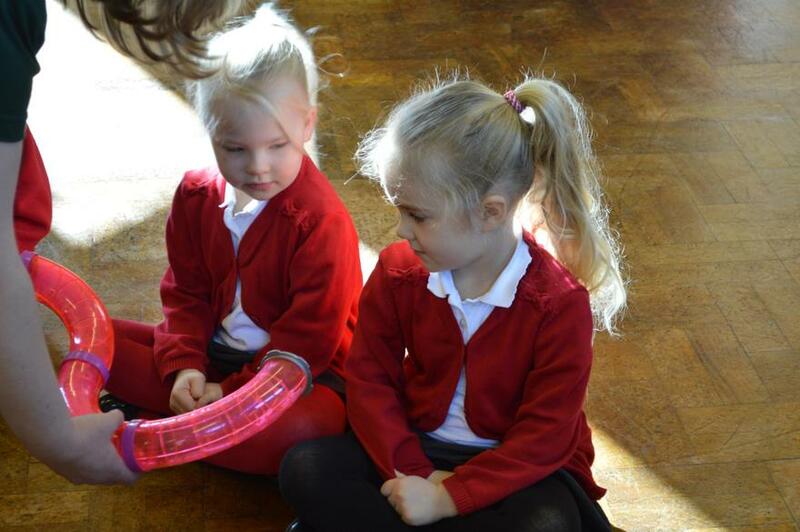 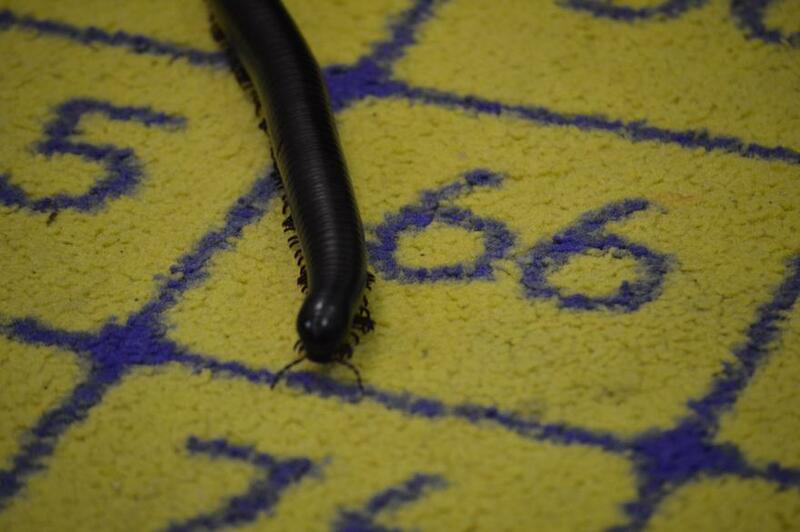 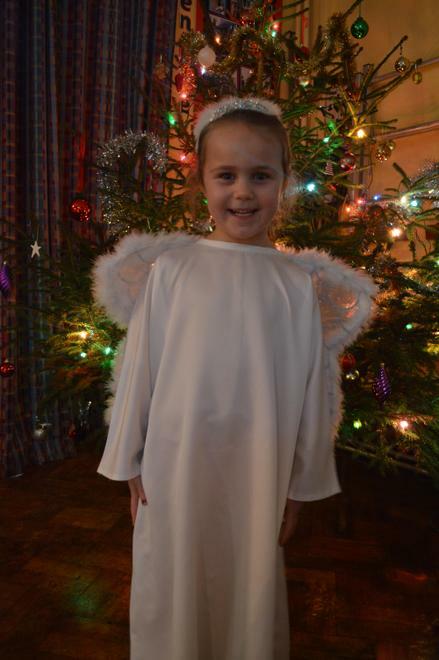 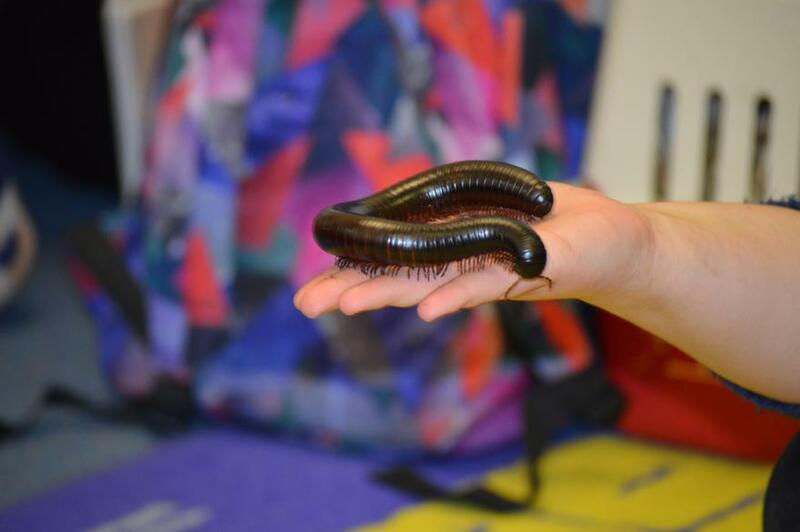 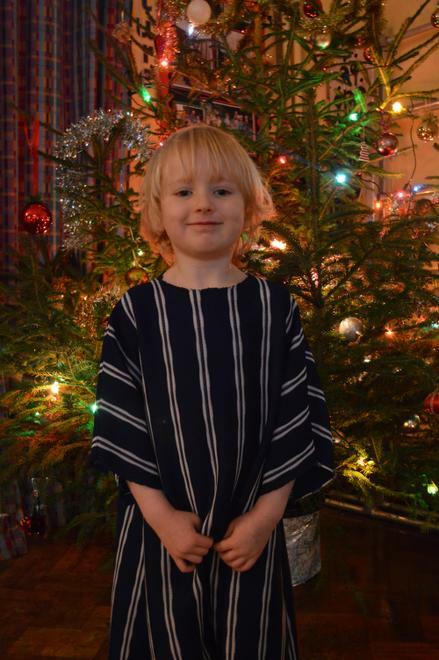 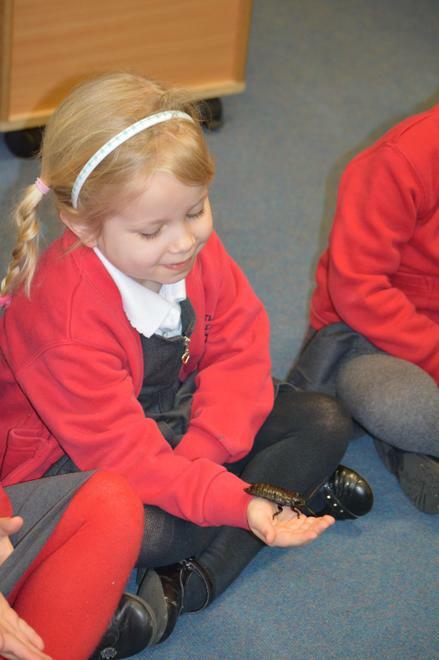 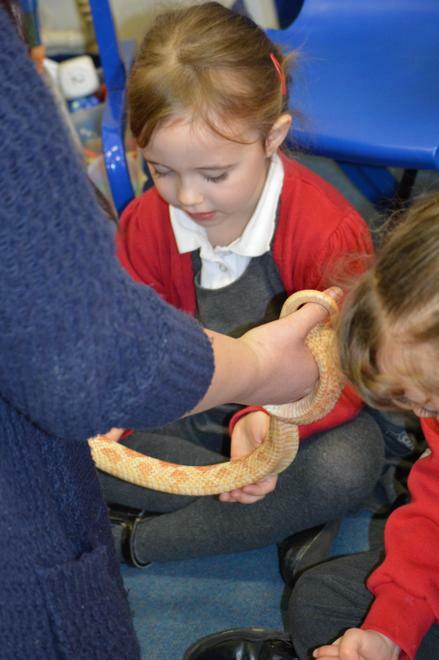 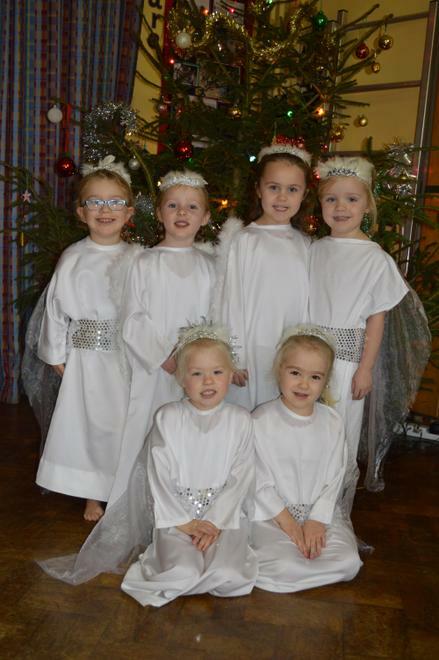 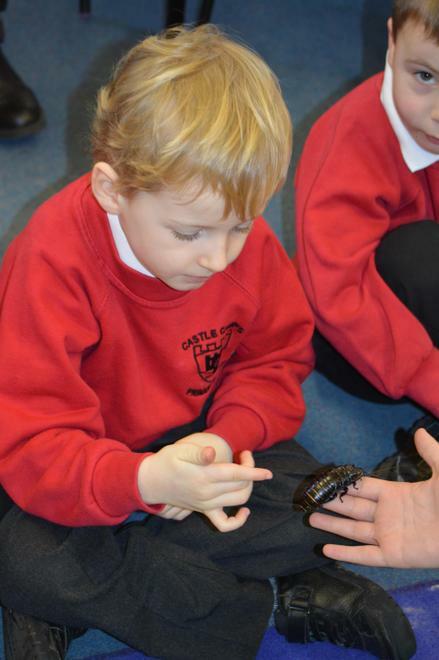 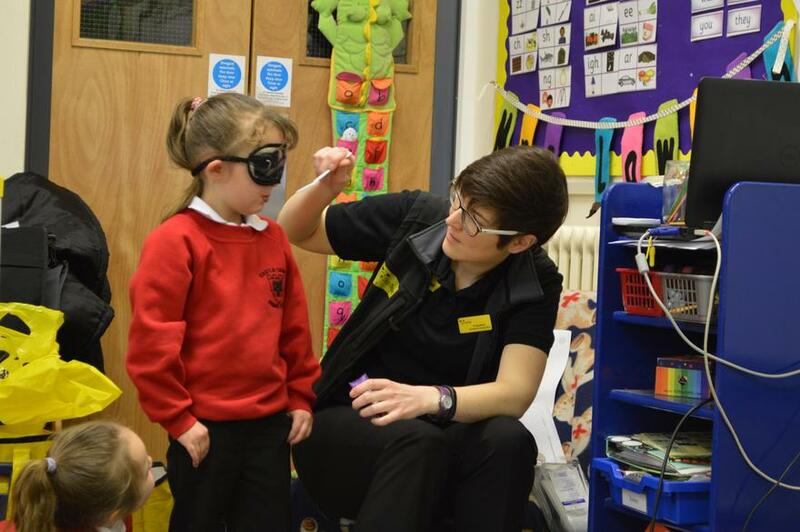 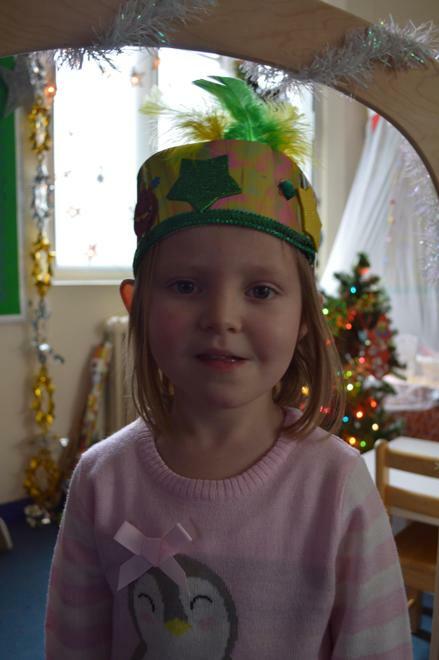 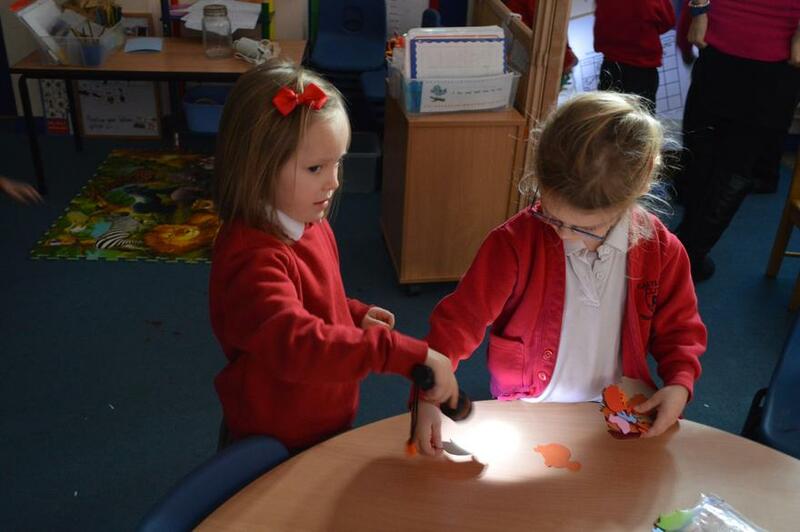 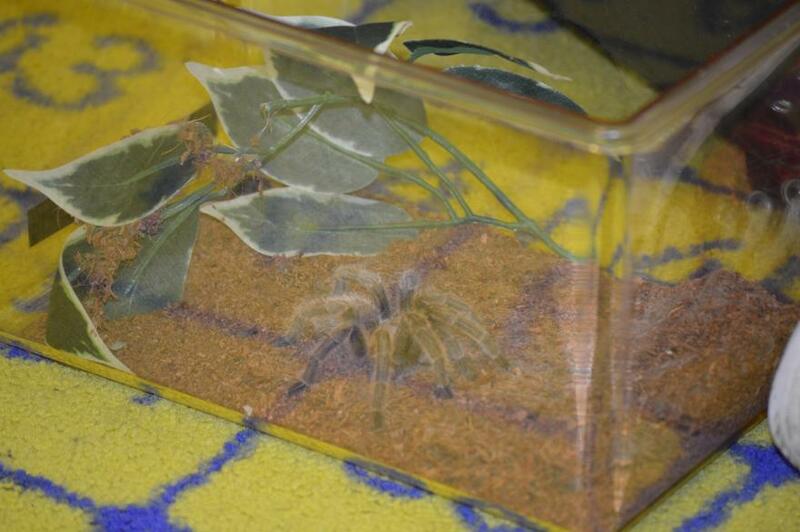 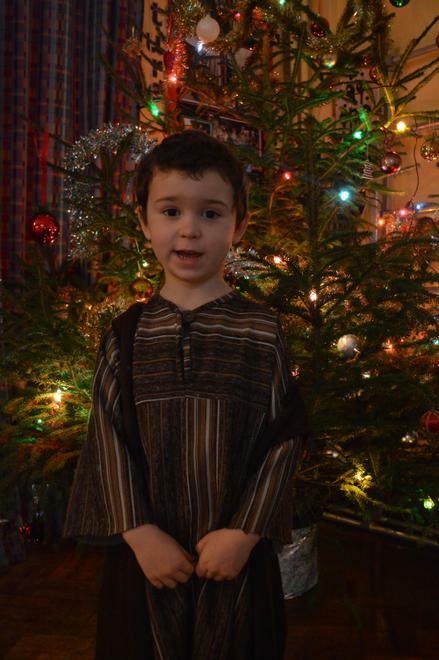 During the Eater Holidays, Niamh and Isla kindly cared for our Caterpillars. 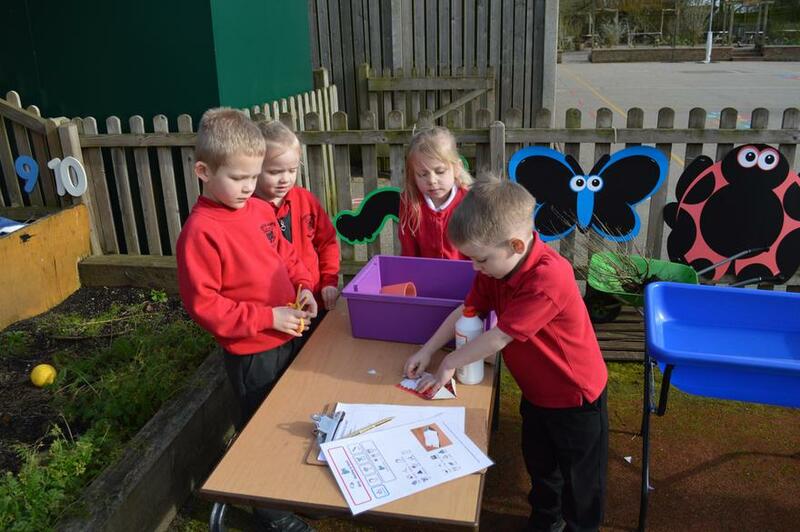 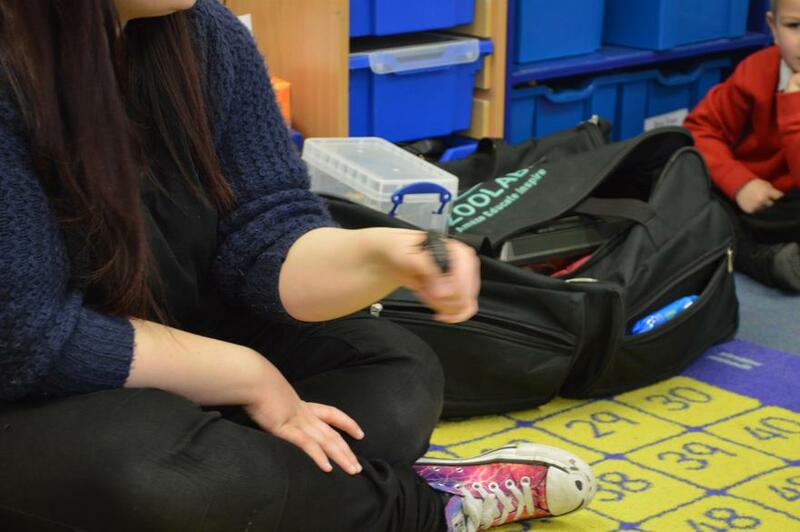 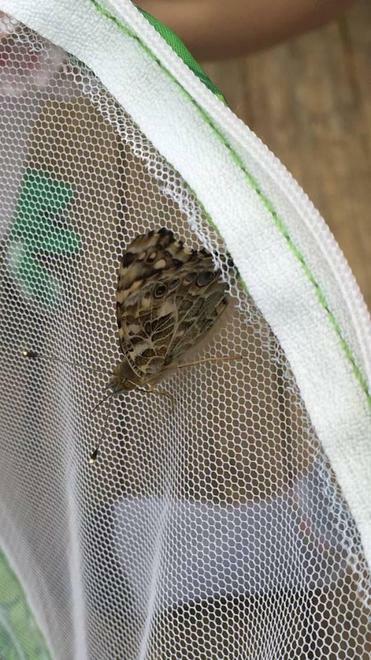 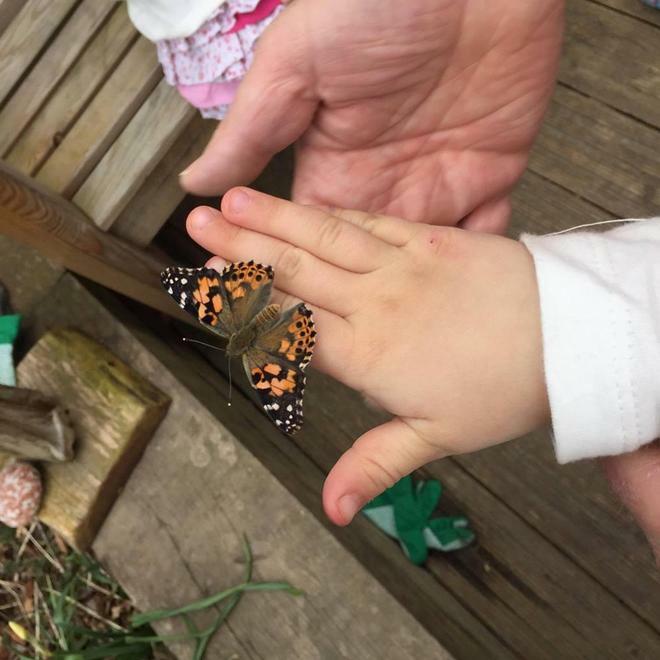 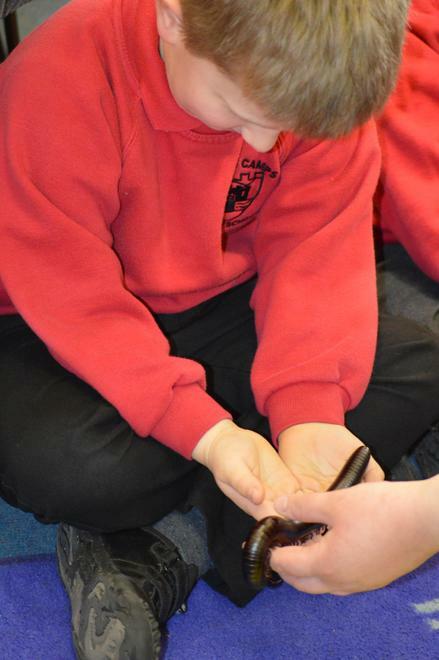 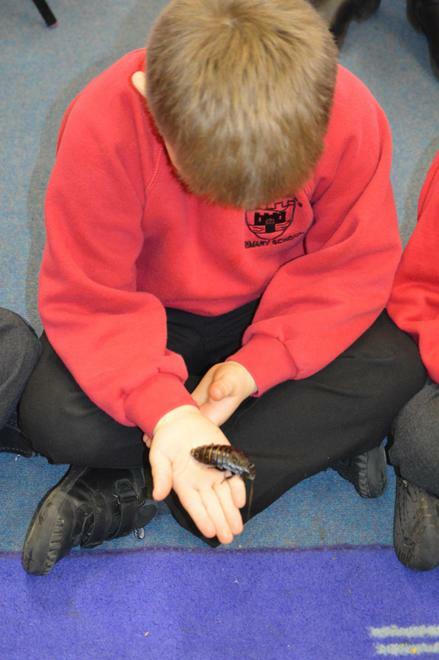 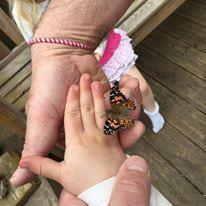 They were in Chrysalis form at the end of term, they cared for the butterflies all holidays before letting them free in the lovely sunshine. 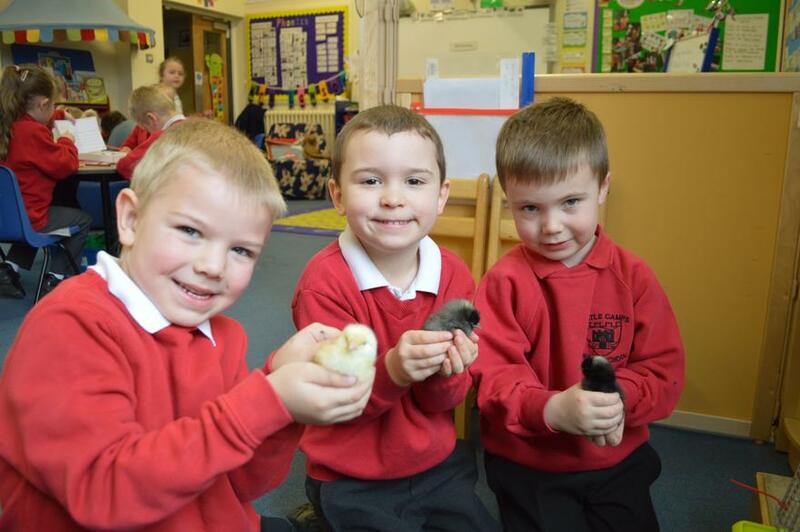 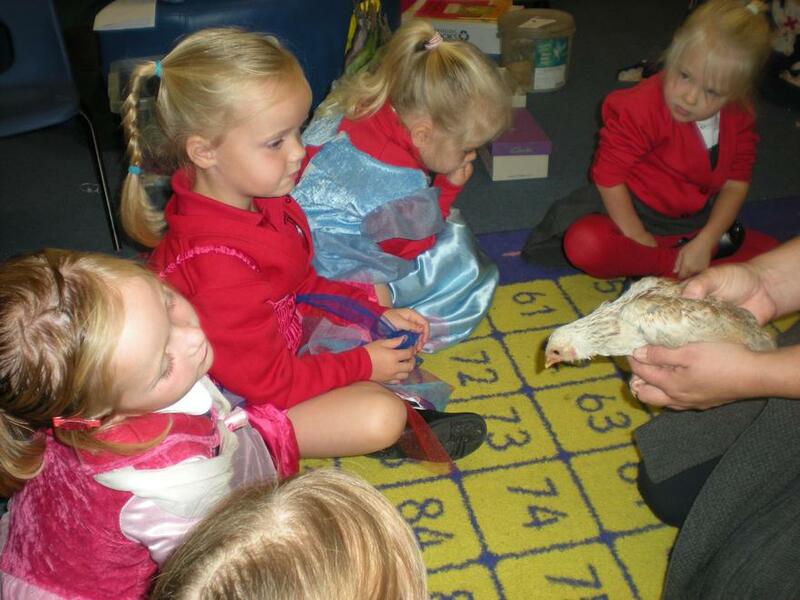 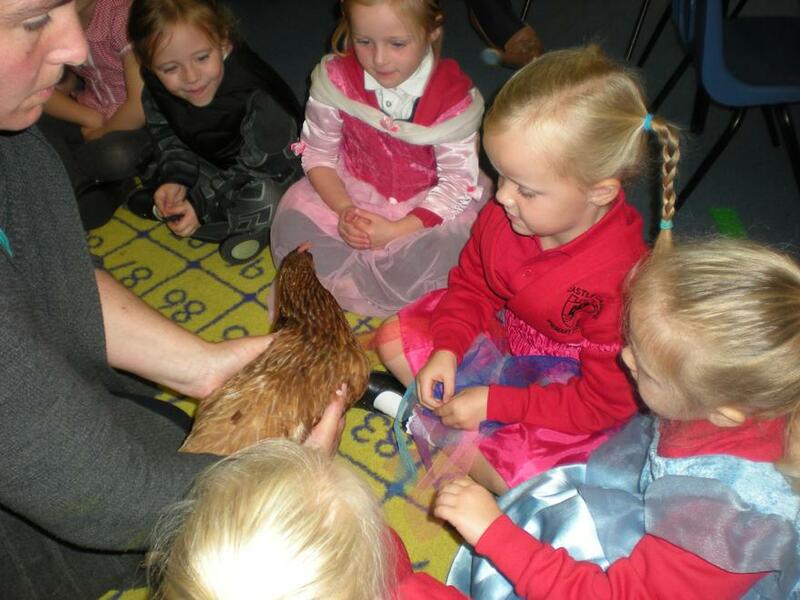 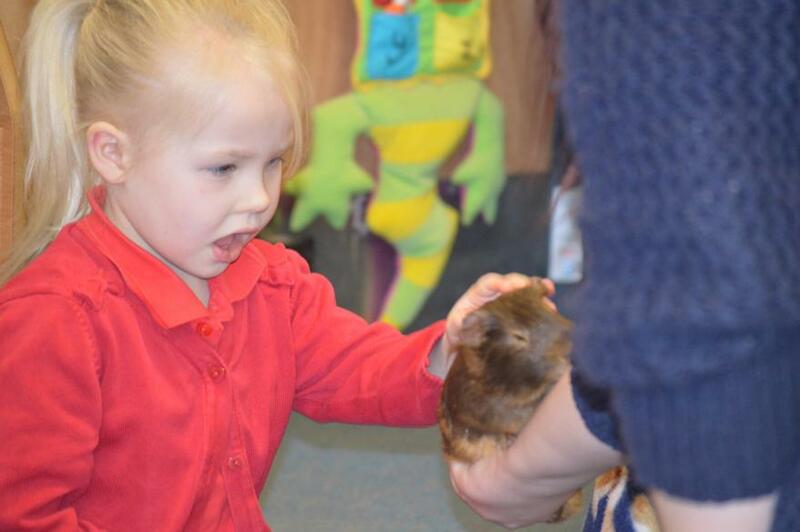 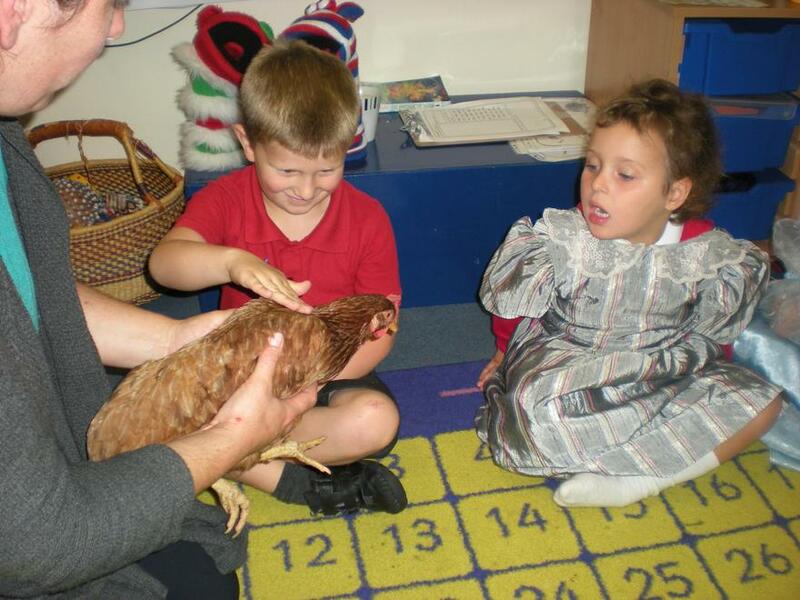 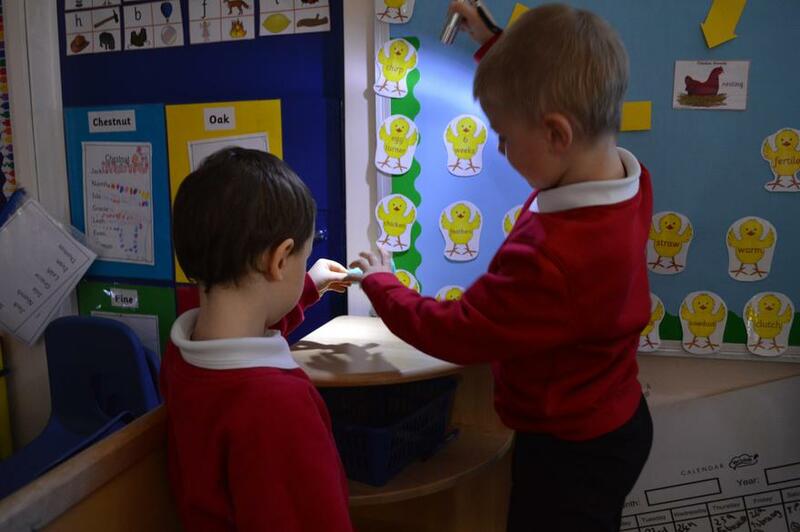 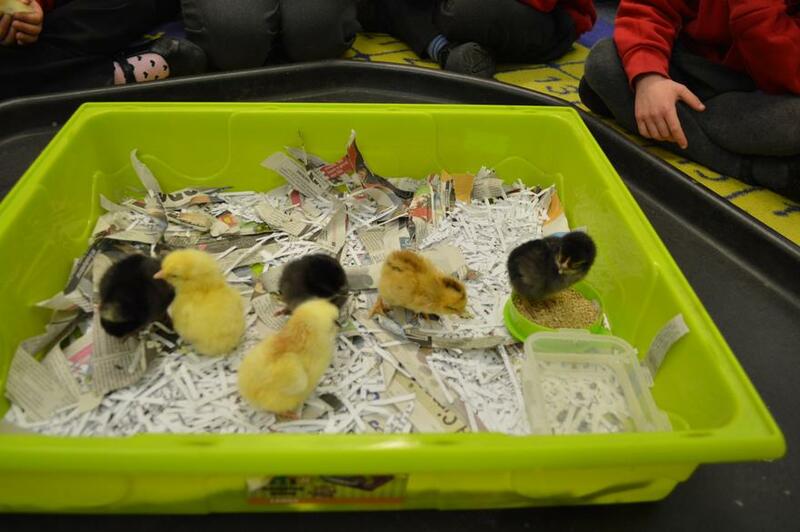 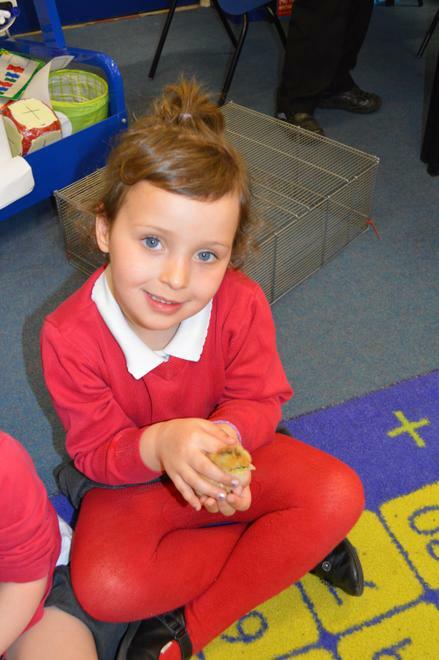 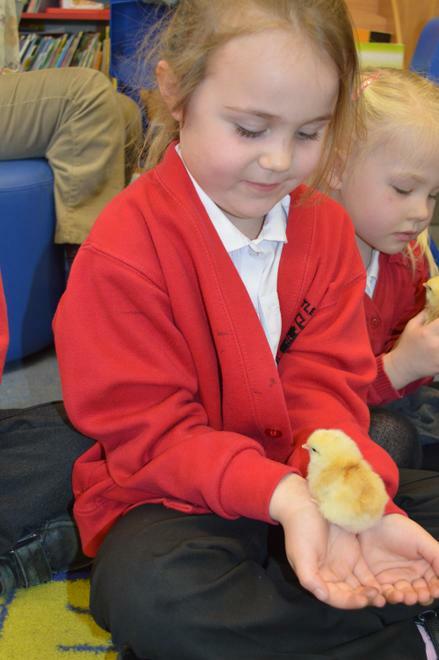 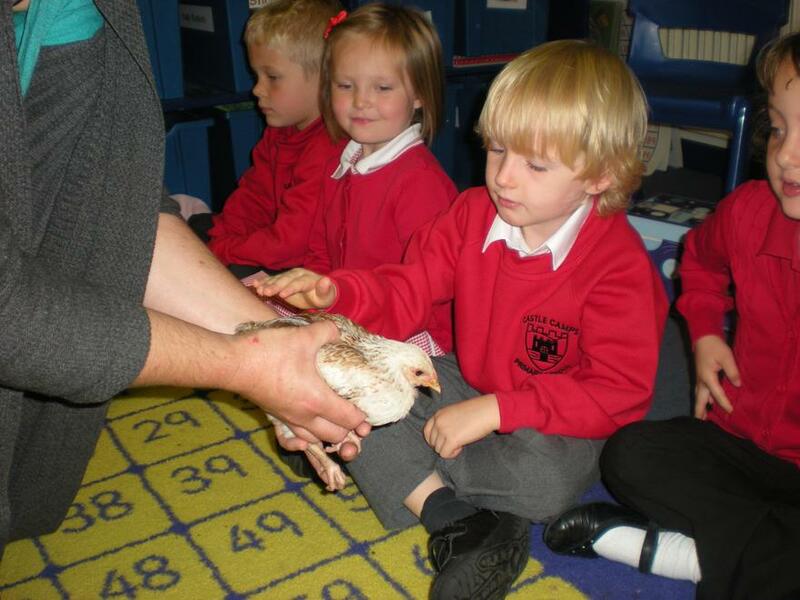 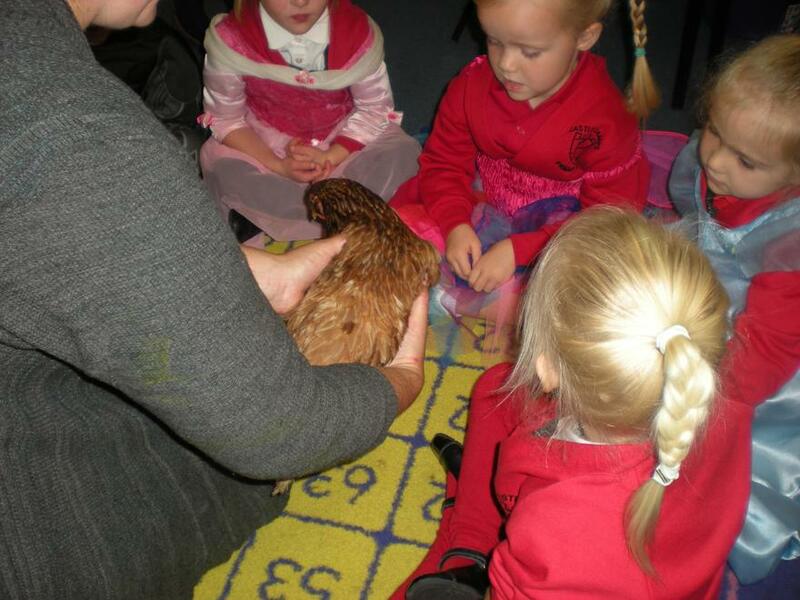 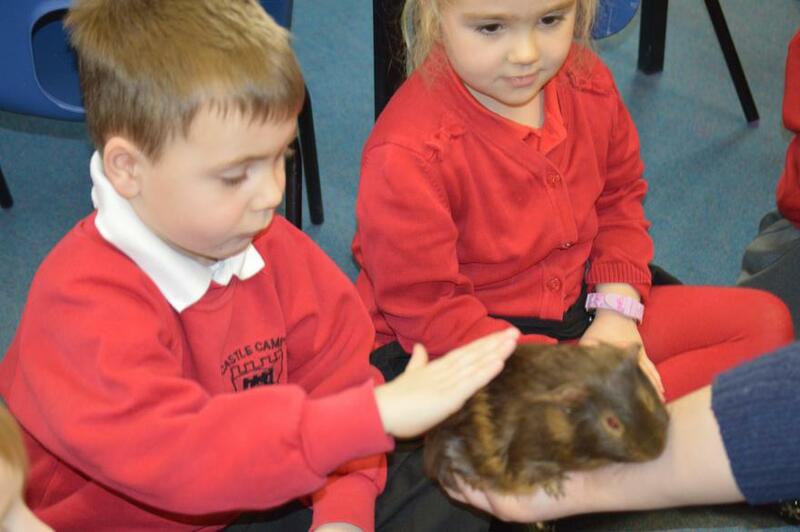 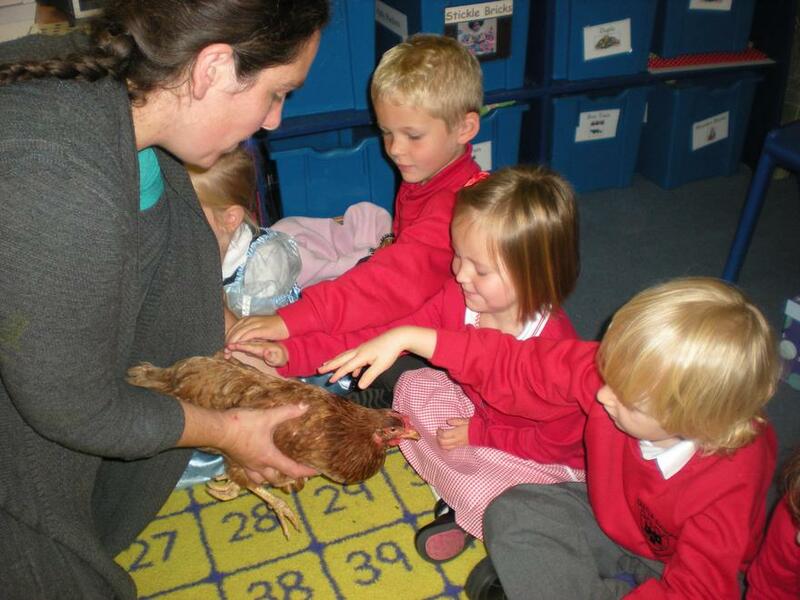 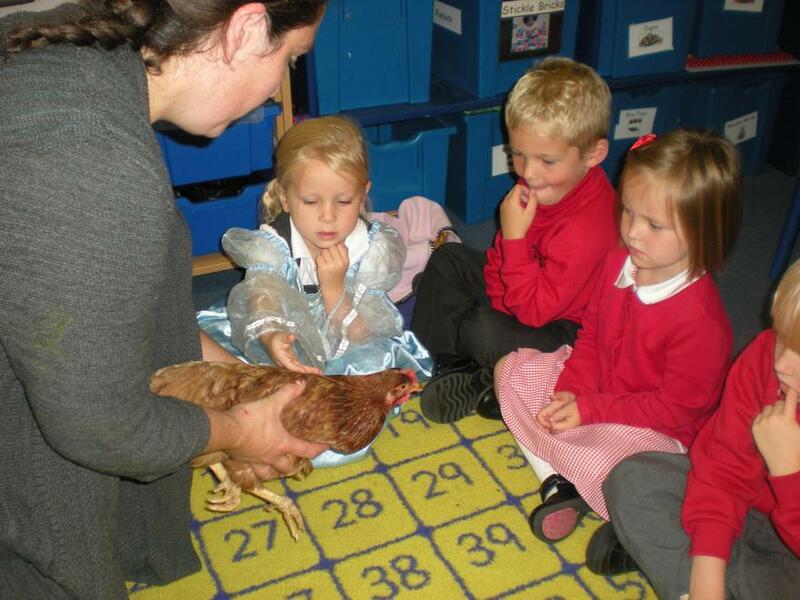 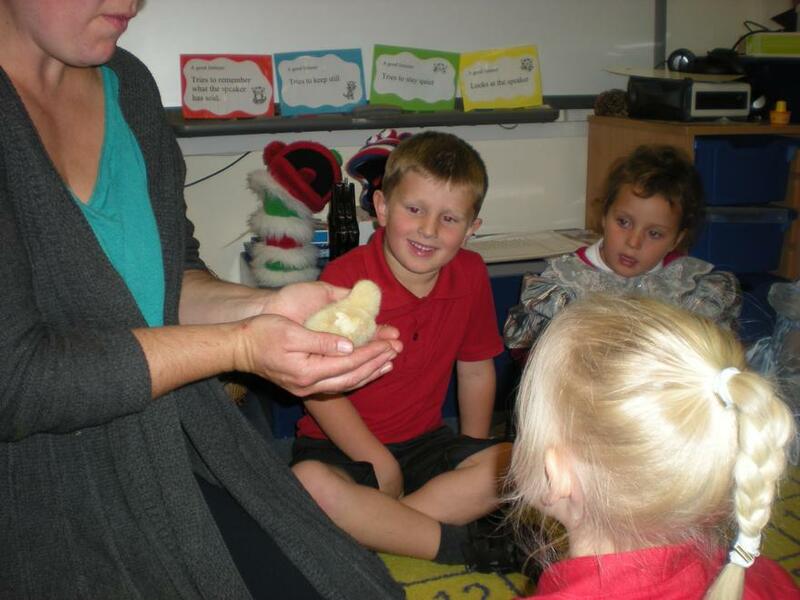 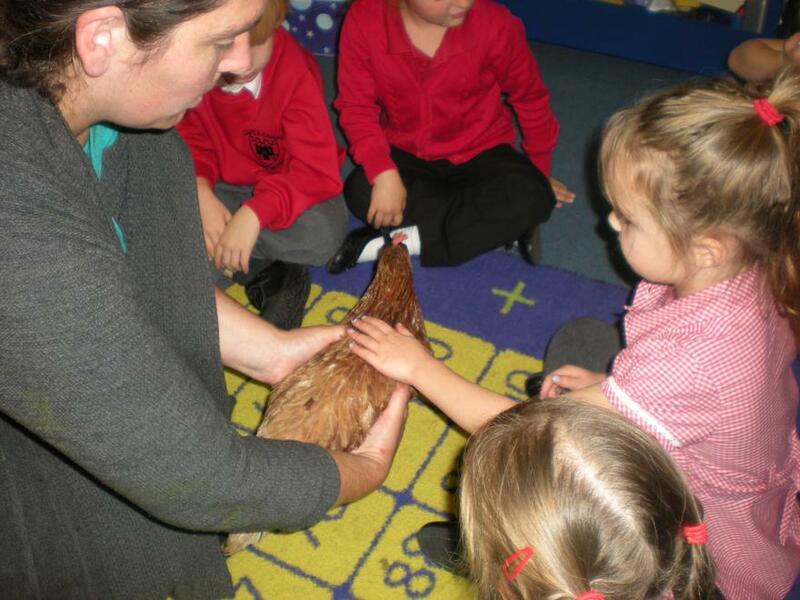 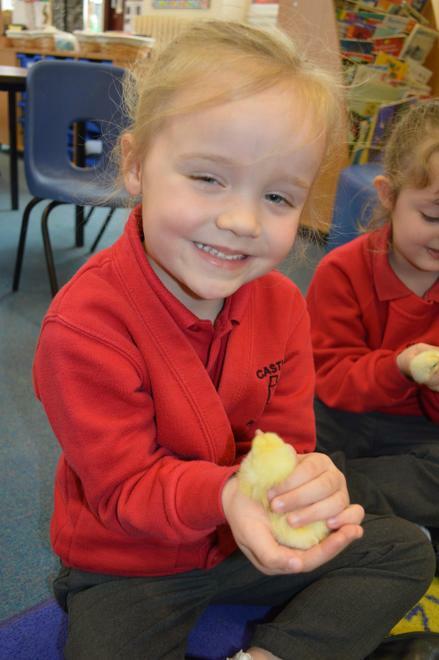 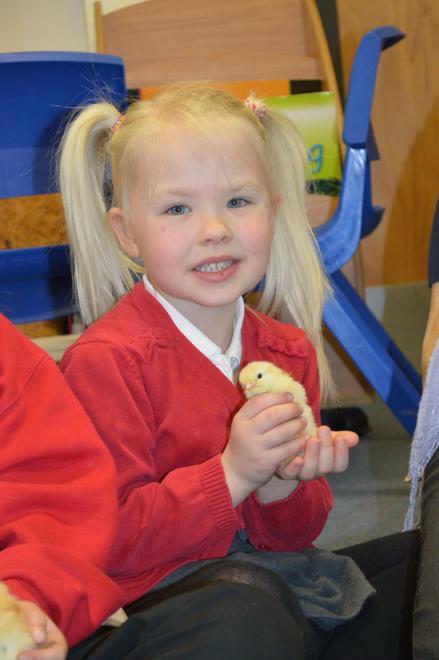 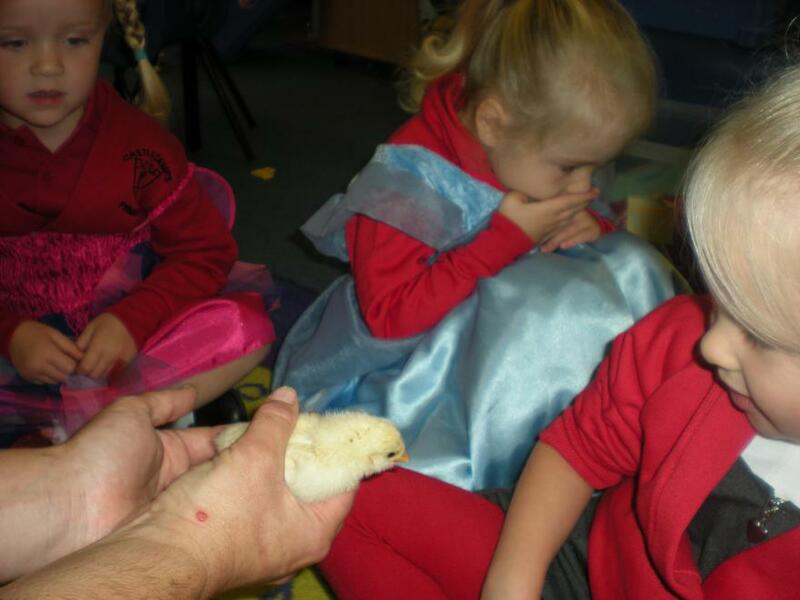 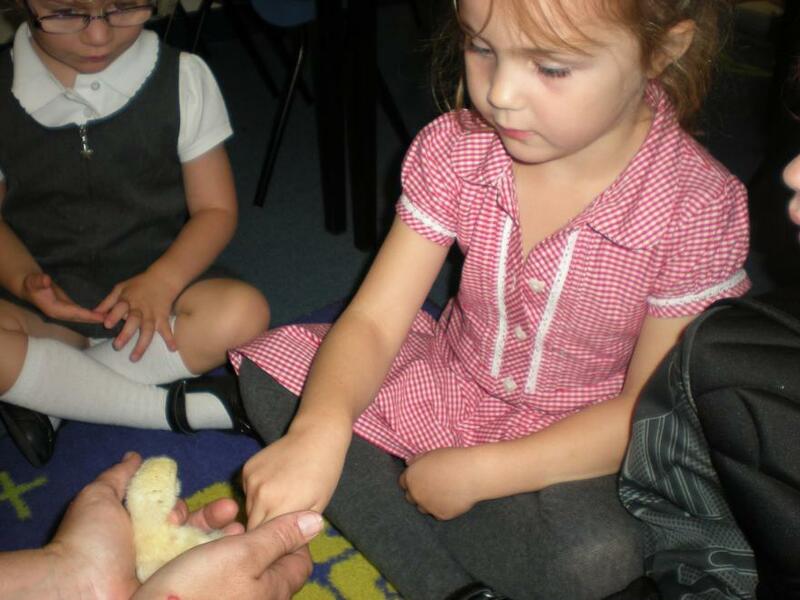 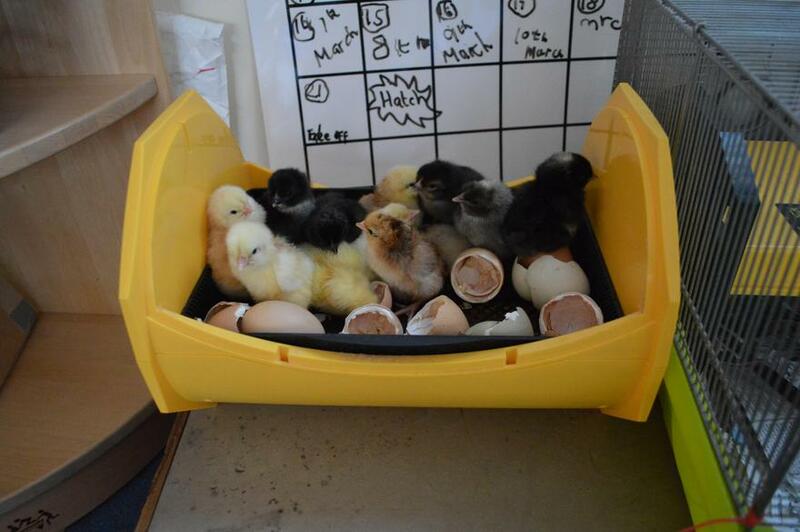 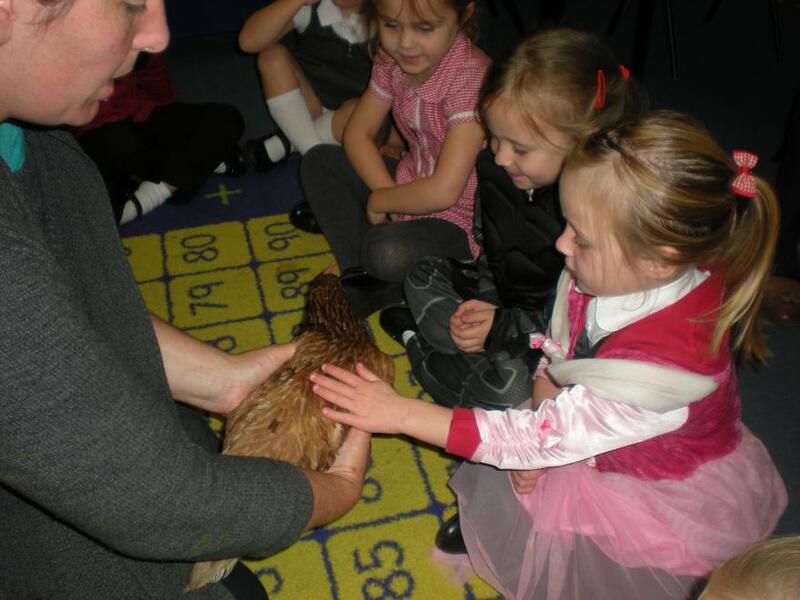 Our chicks have had a wonderful time being cared for by the children and how now returned to Mrs Bircher's farm to enjoy more space. 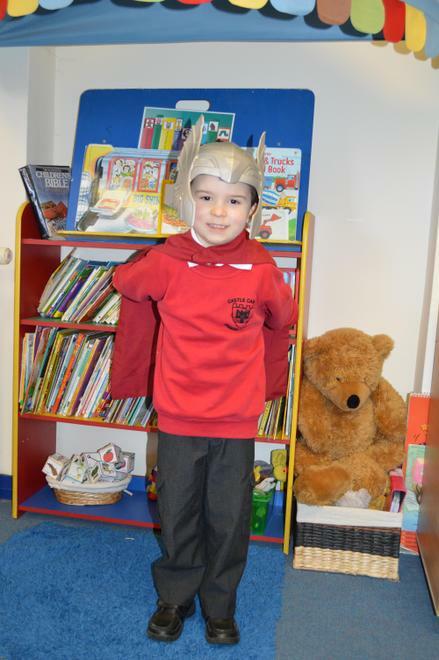 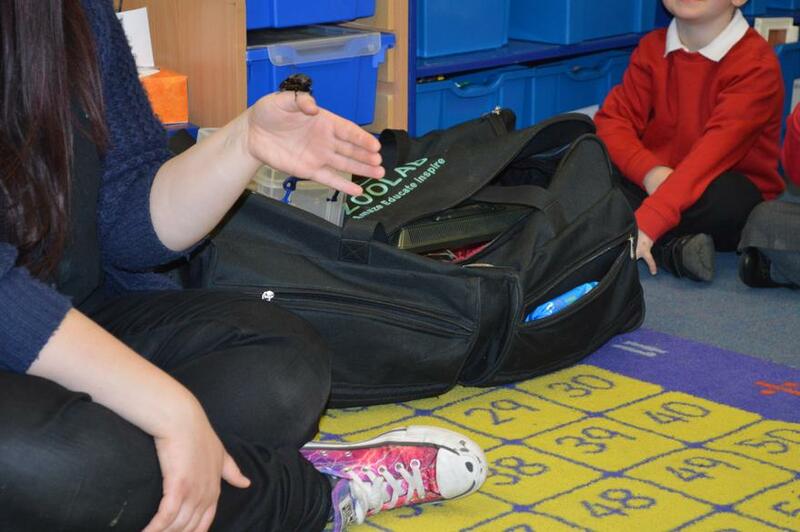 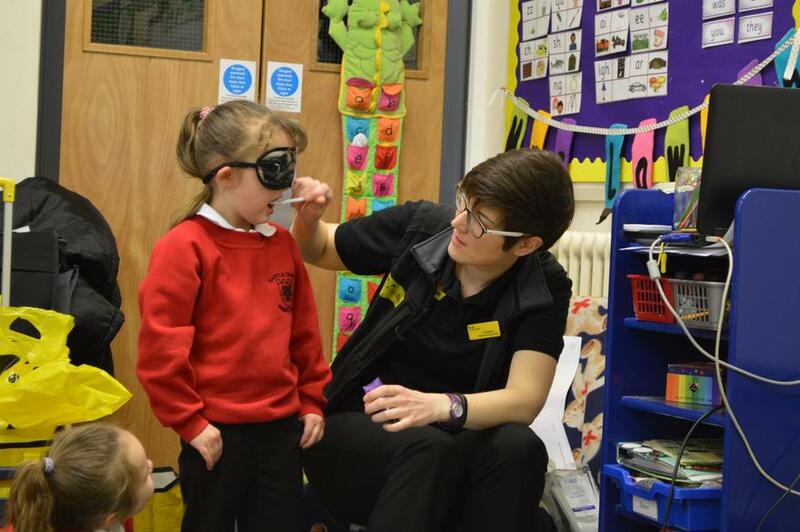 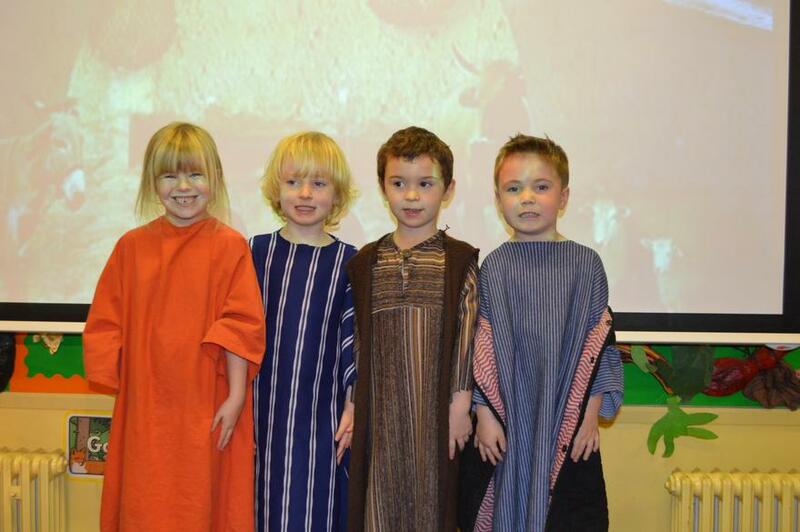 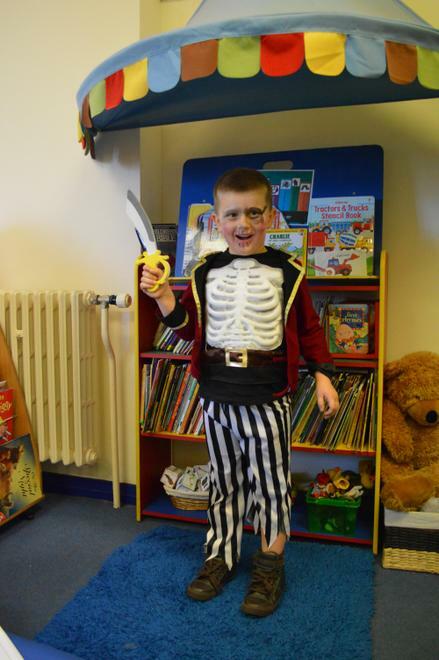 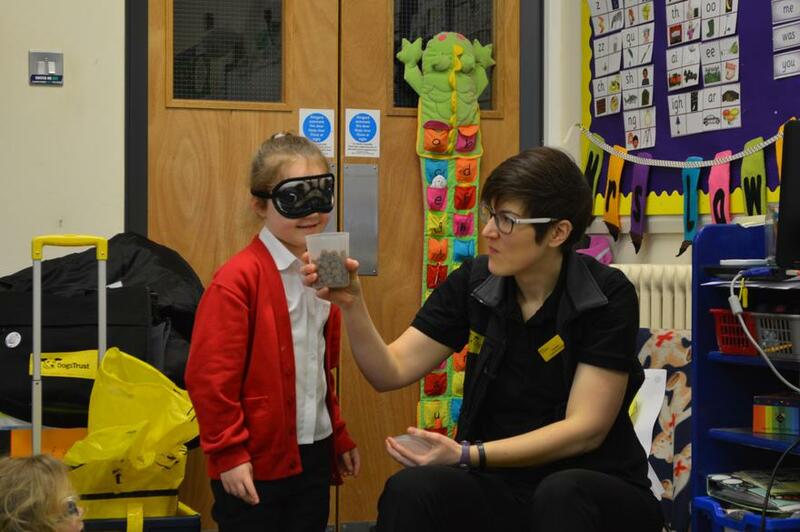 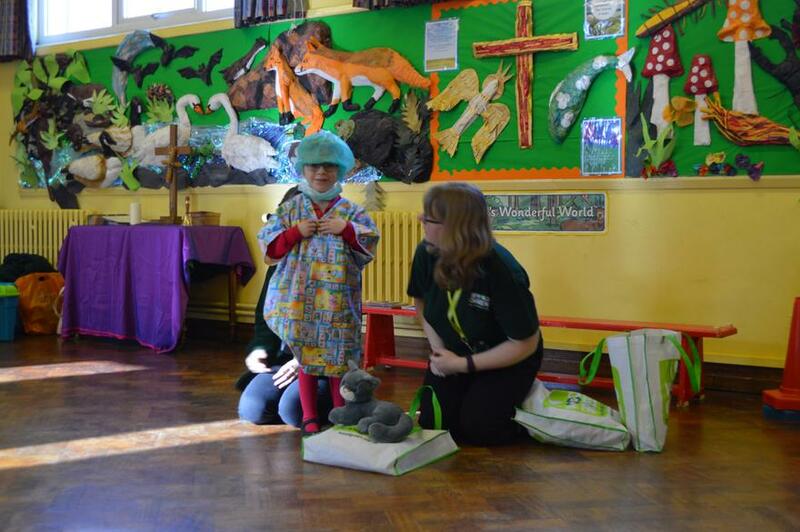 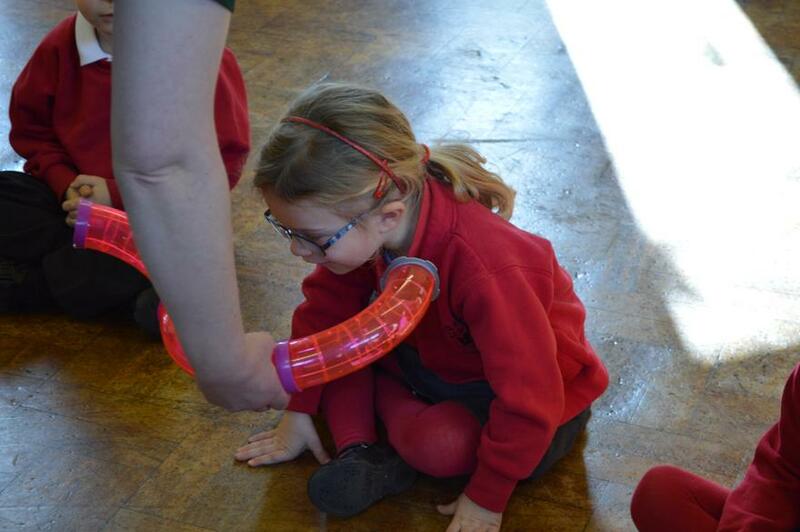 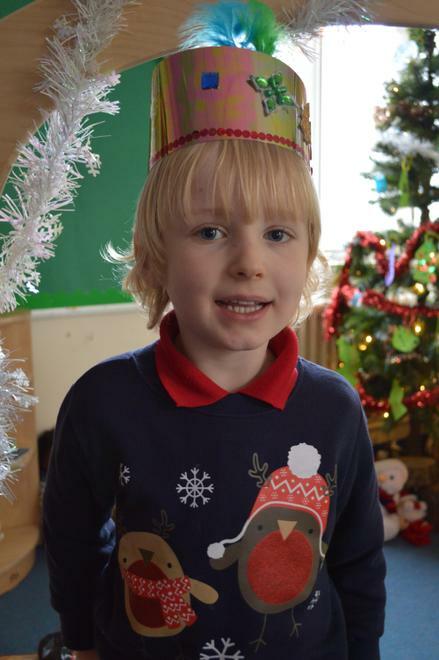 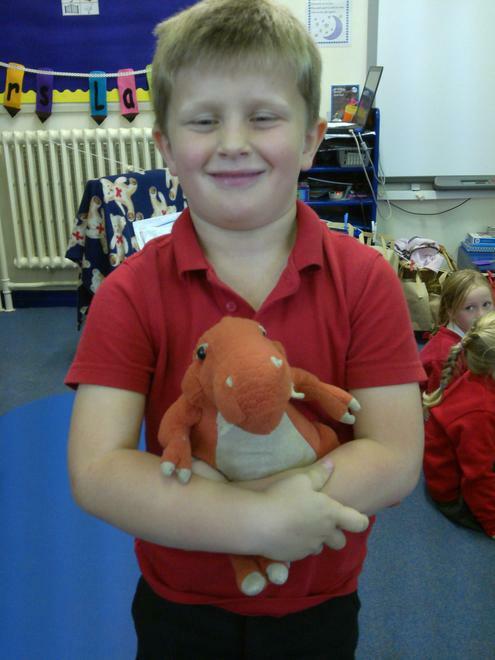 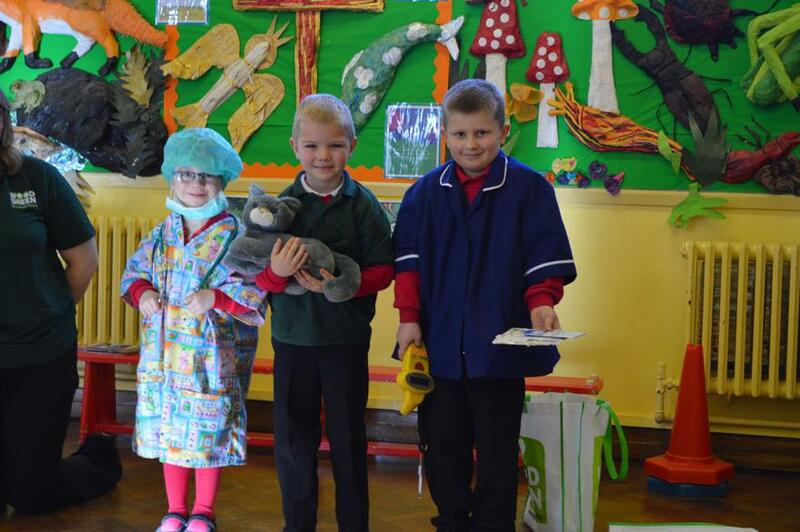 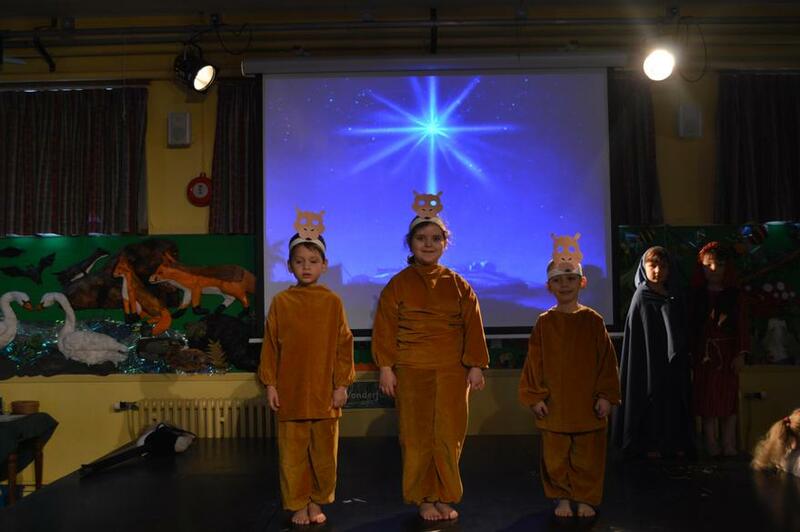 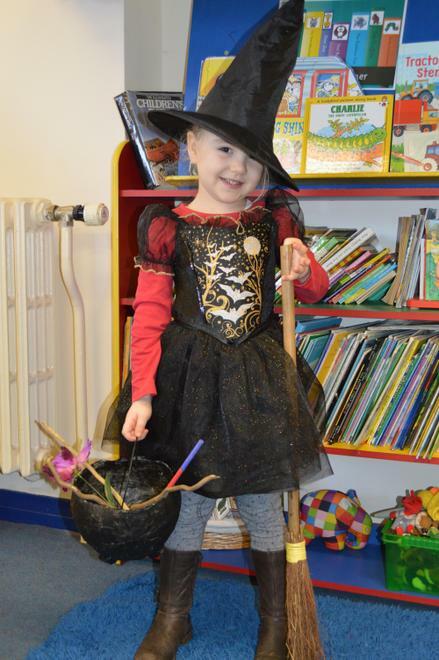 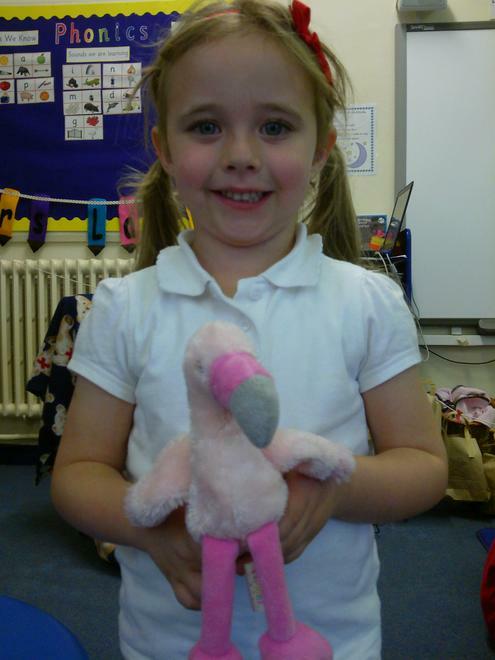 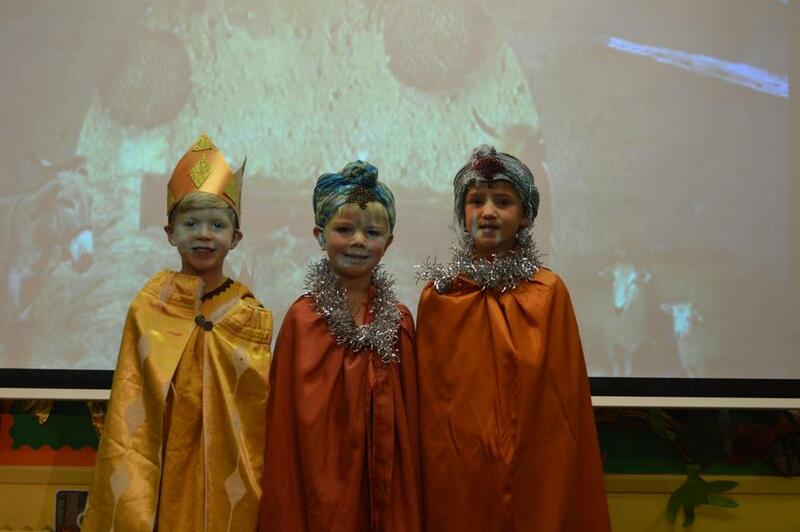 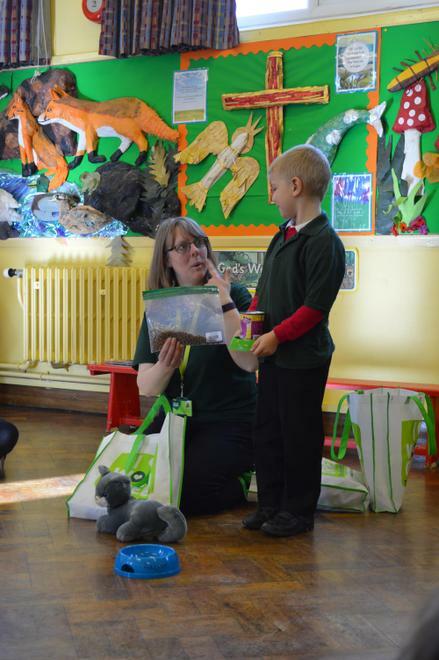 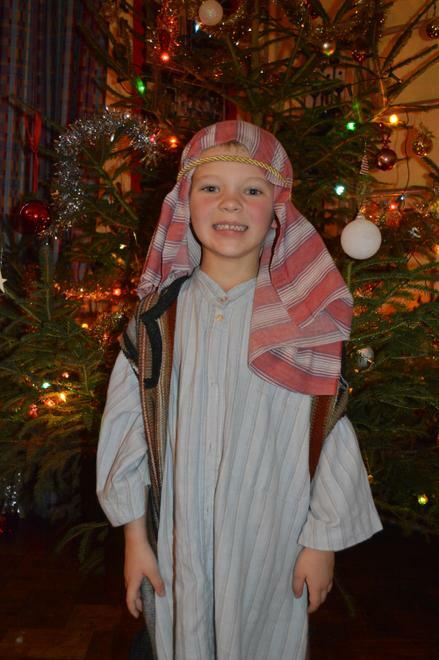 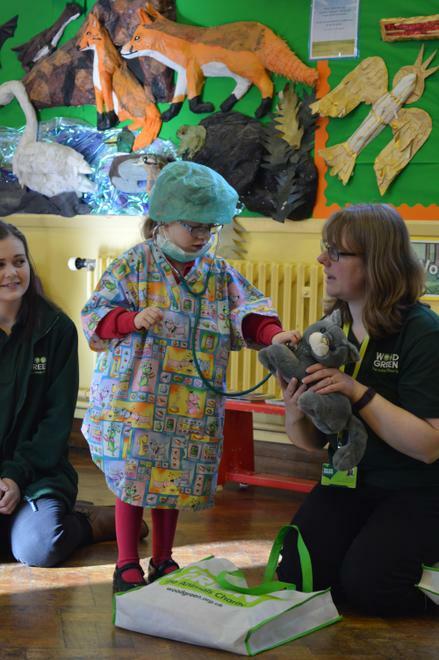 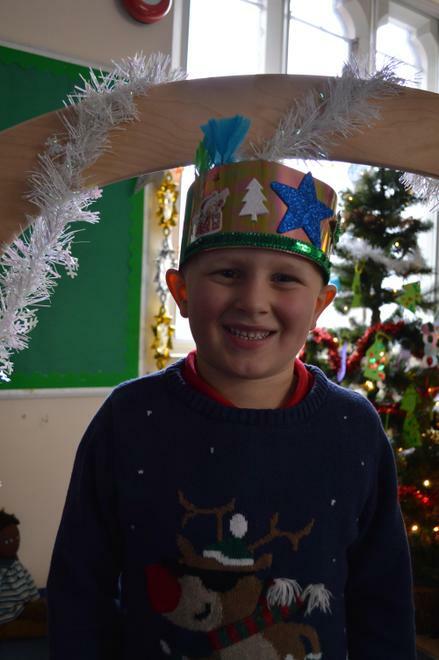 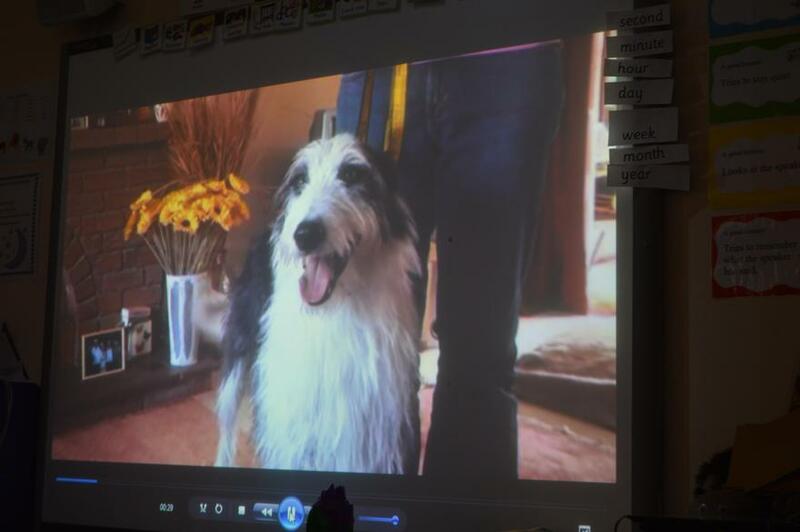 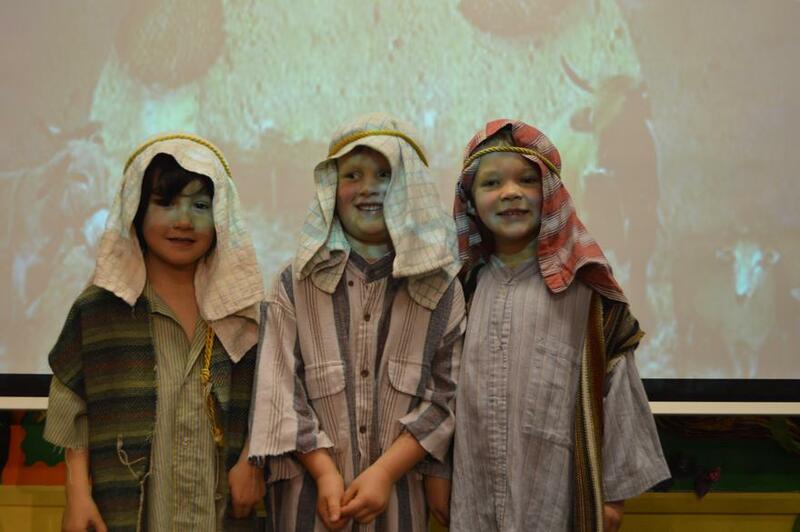 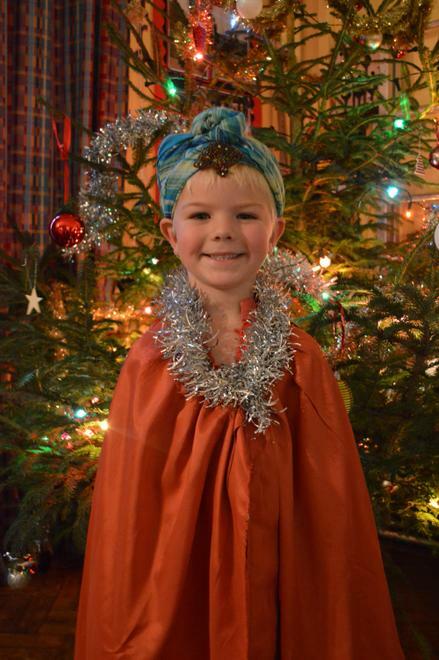 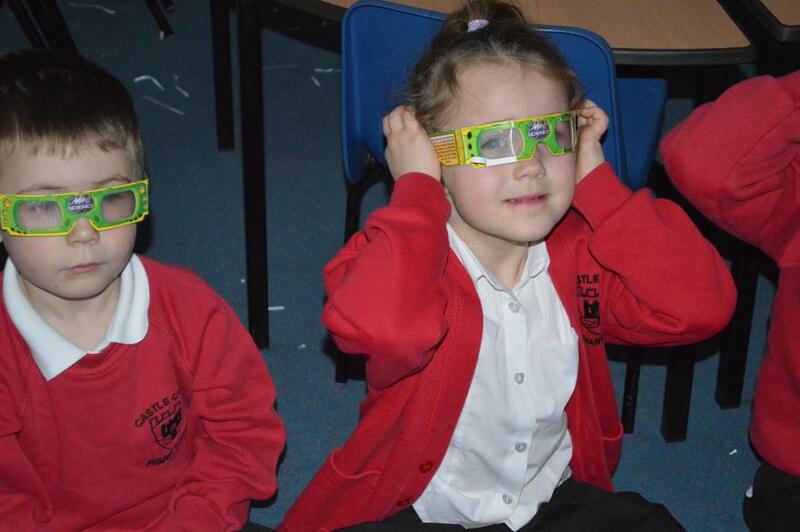 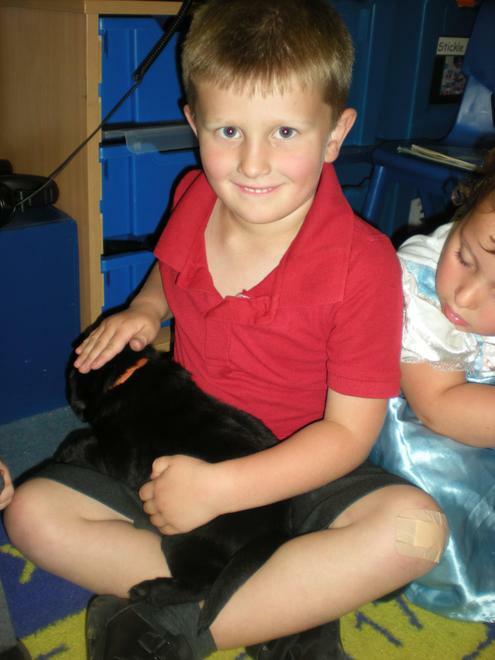 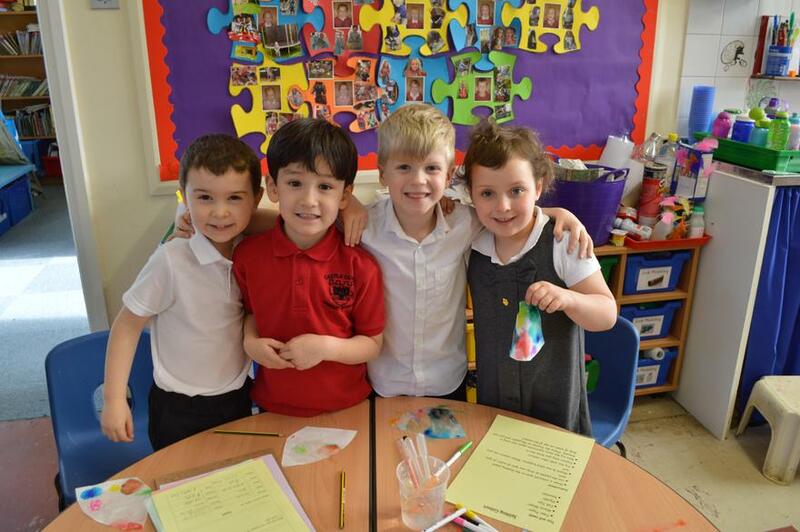 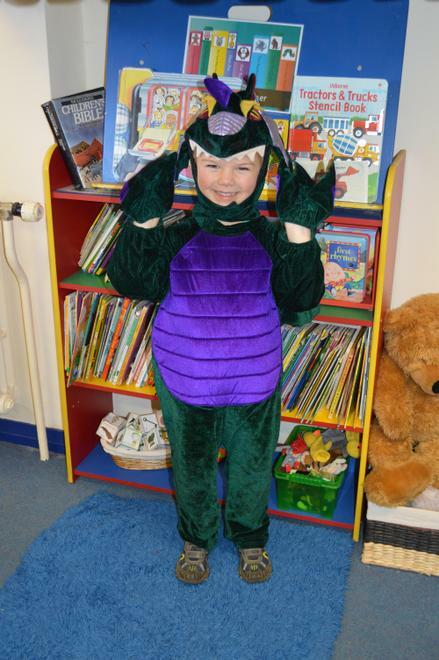 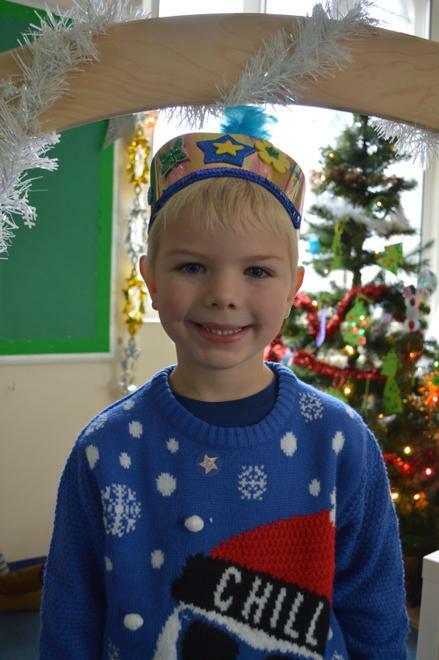 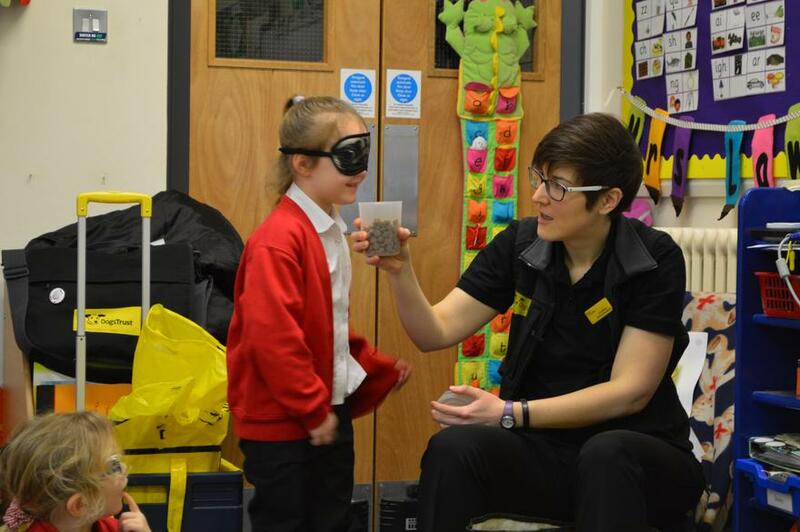 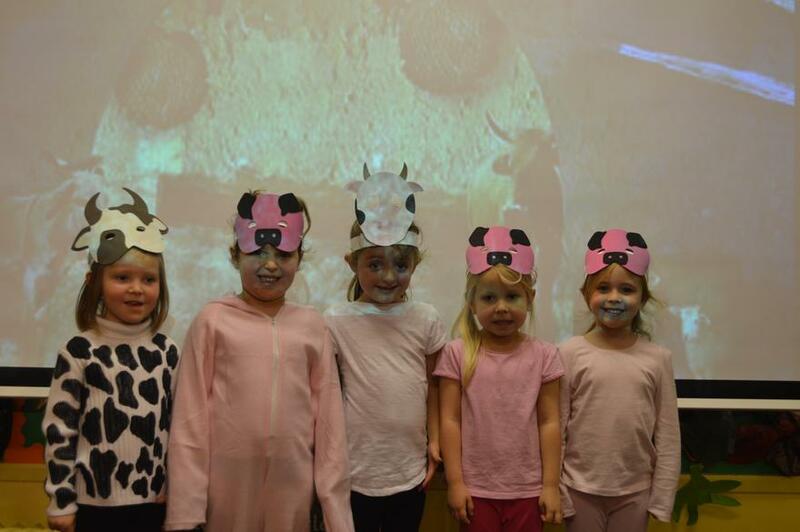 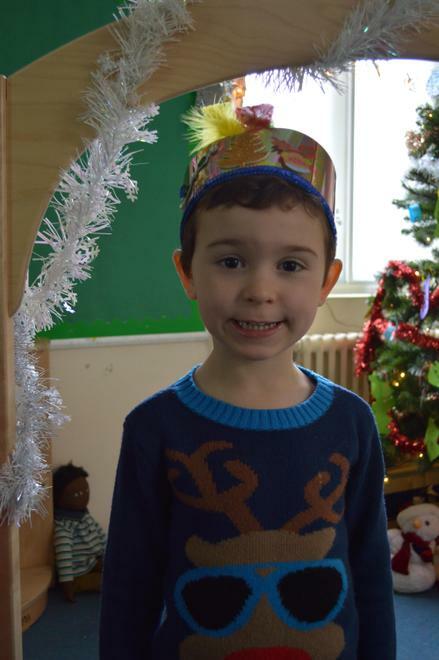 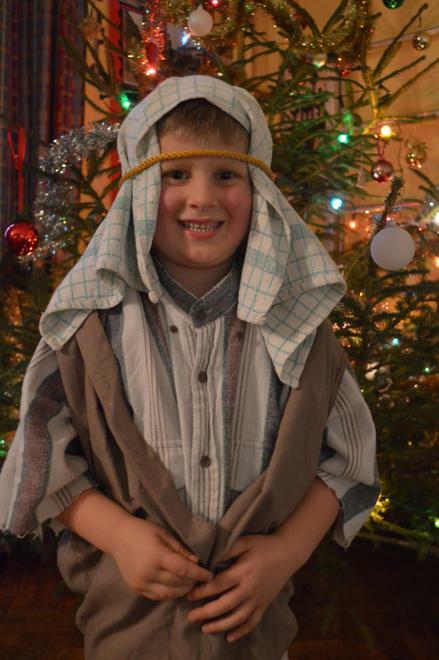 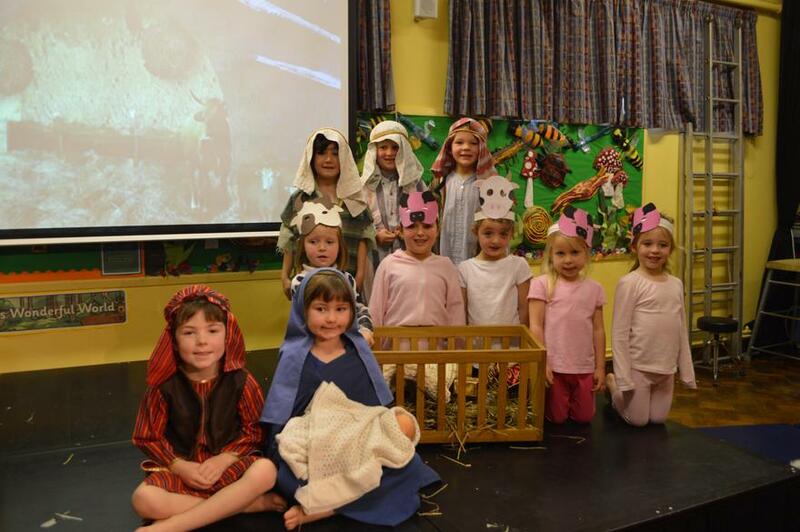 Our new IPC topic 'Our World' is taking us on a wonderful journey all the way to Brazil. 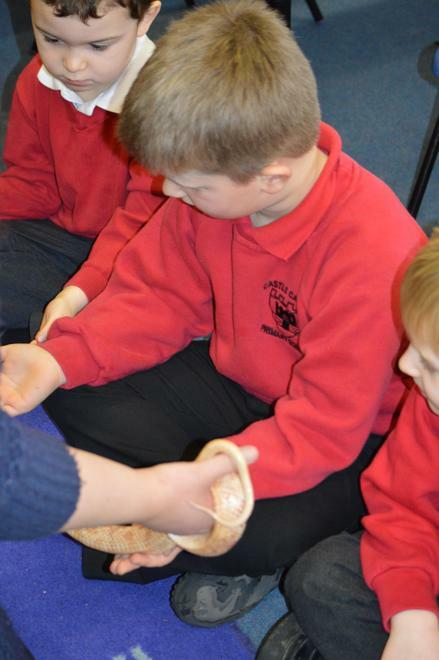 We will be comparing and contrasting the landscape, culture and lifestyle of Brazil with our own surroundings here in the UK. 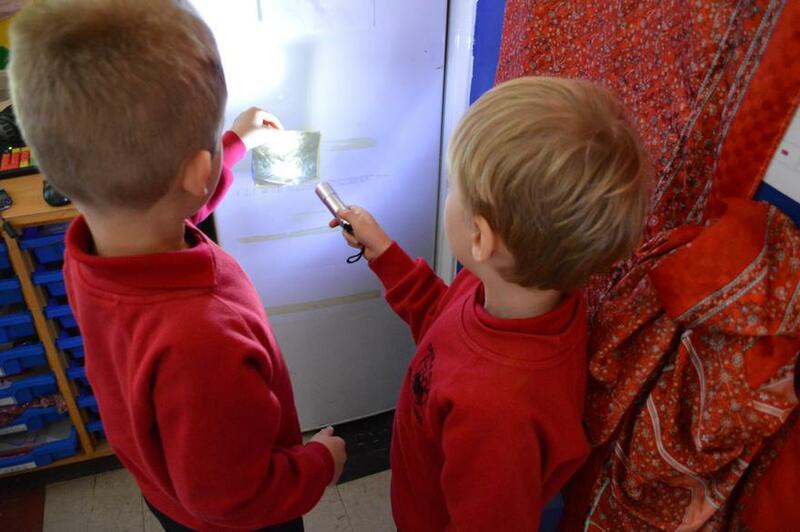 We will see how the lives of children going to school in Brazil compare to our own and take a closer look at the city Rio as they prepare for the 2016 Olympics. 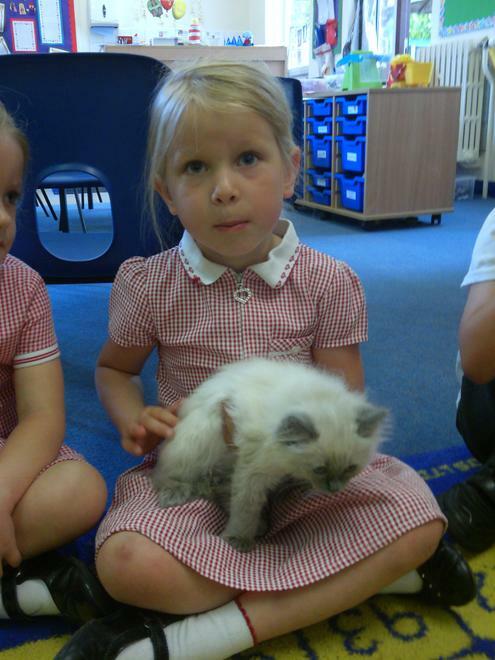 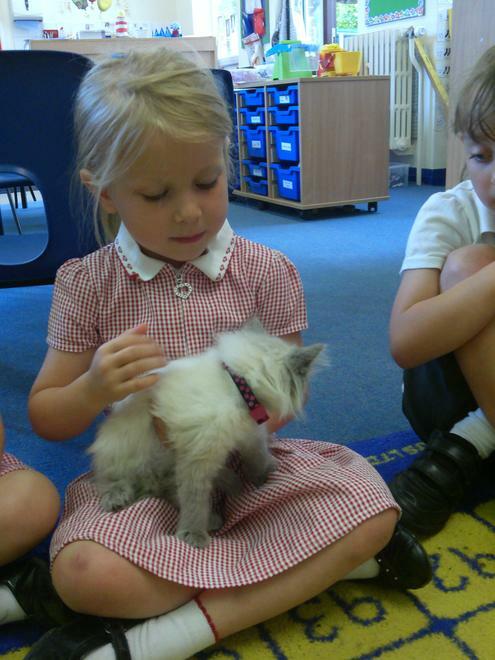 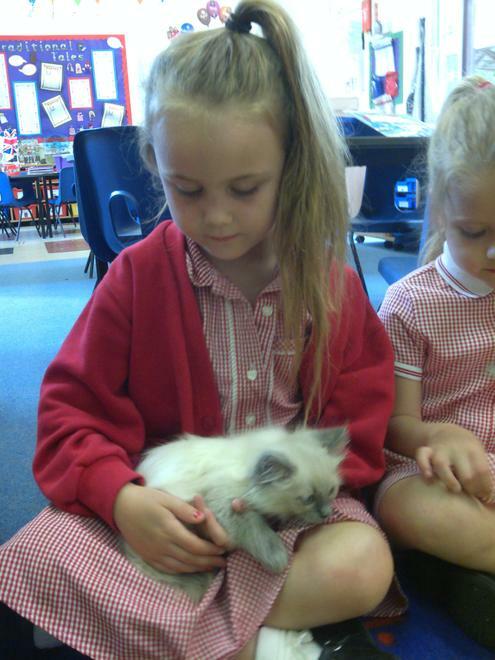 Today Gracie brought her kittens Simba and Belle to meets us. 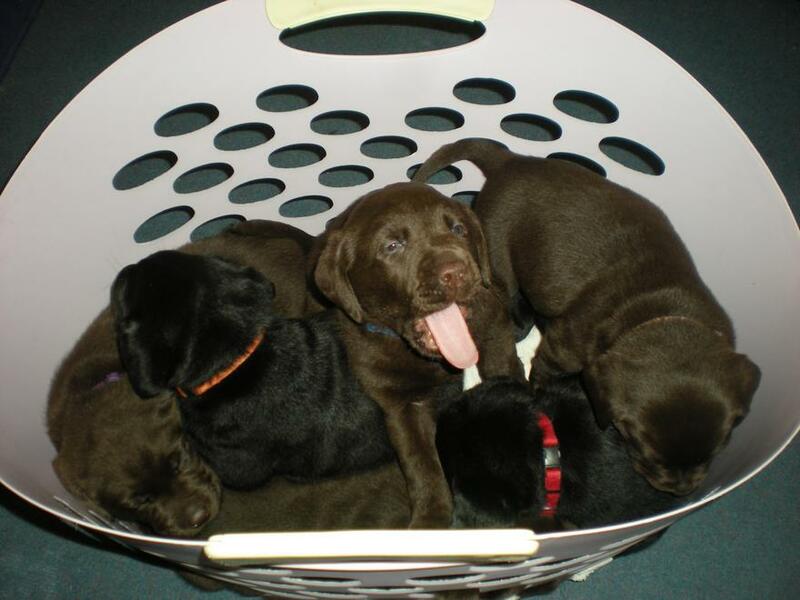 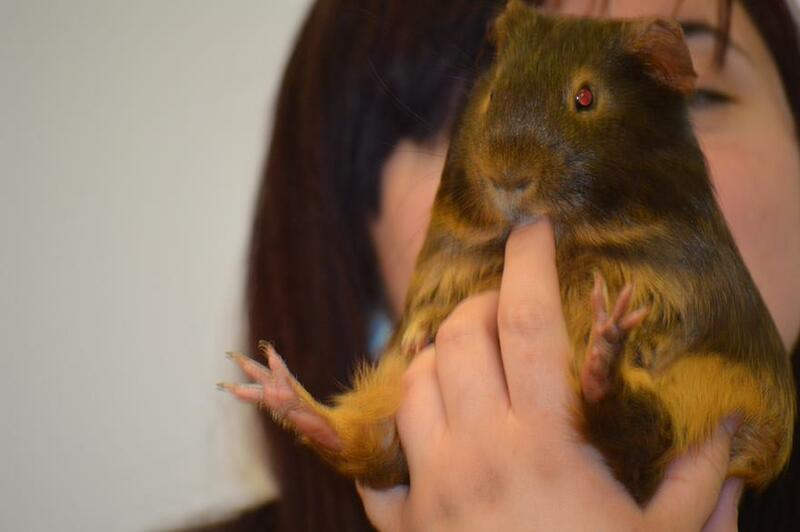 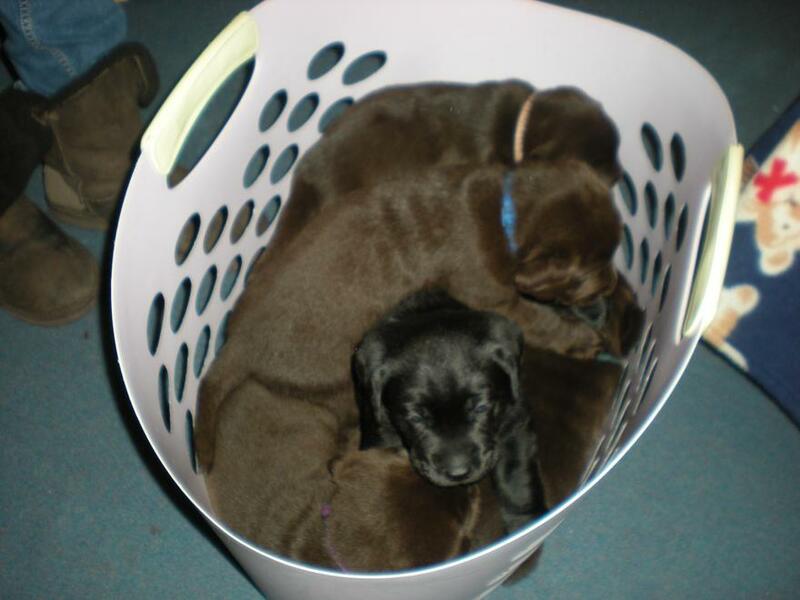 They are 9 weeks old. 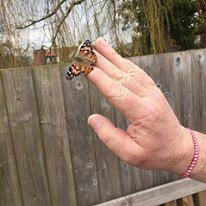 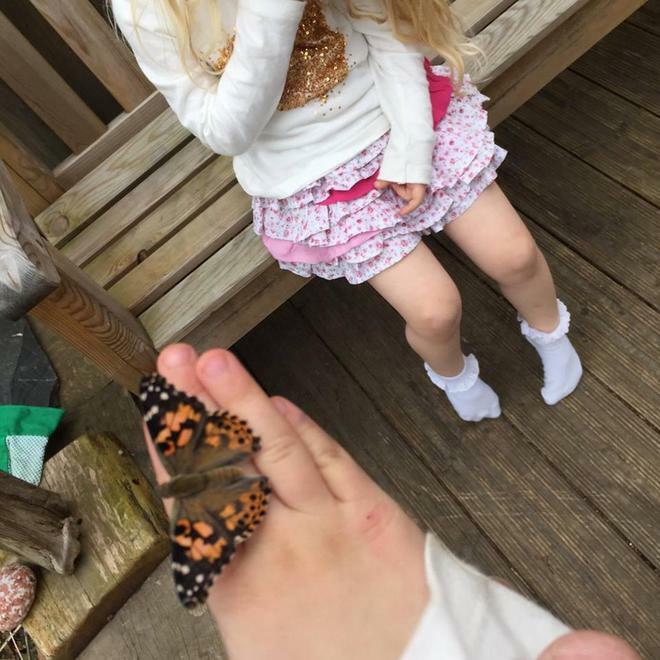 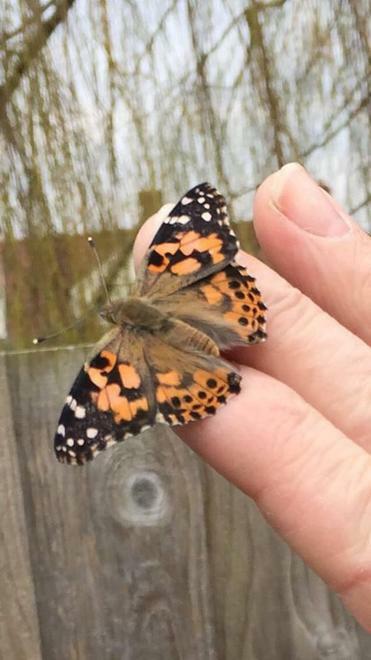 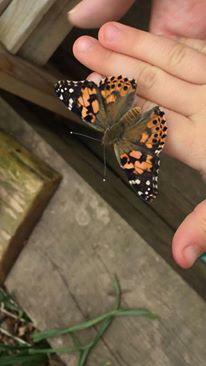 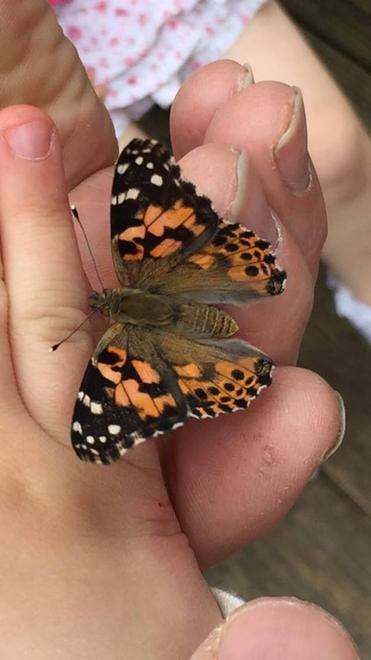 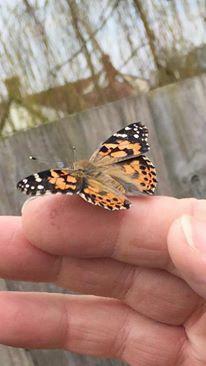 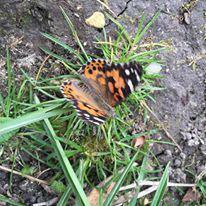 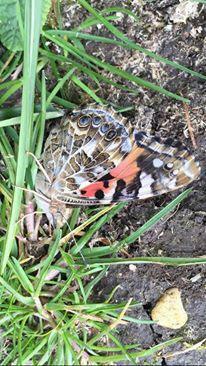 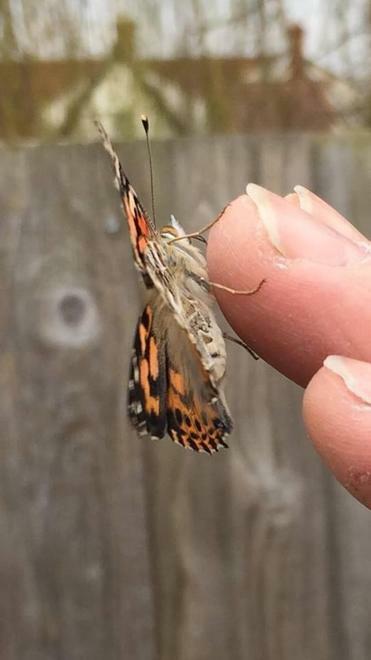 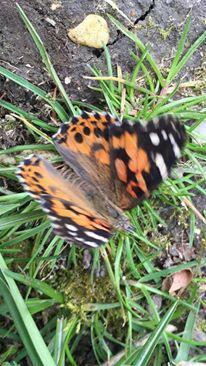 We bought tiny caterpillars and watched them grown into beautiful butterflies before setting them free. 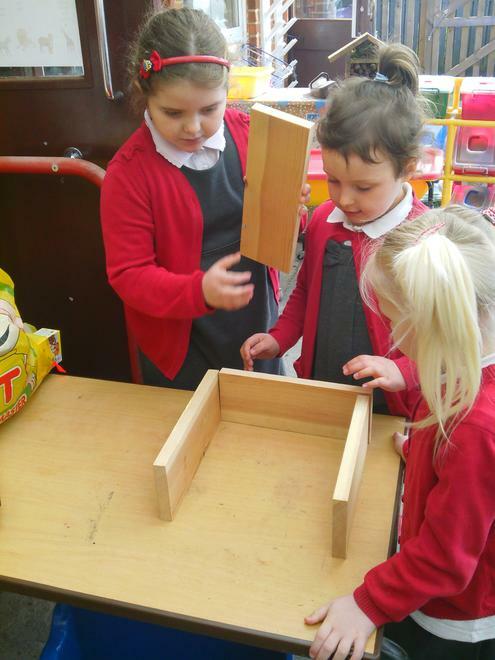 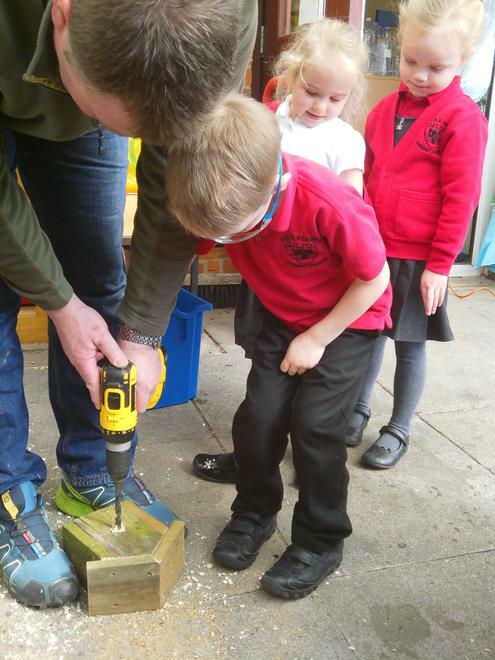 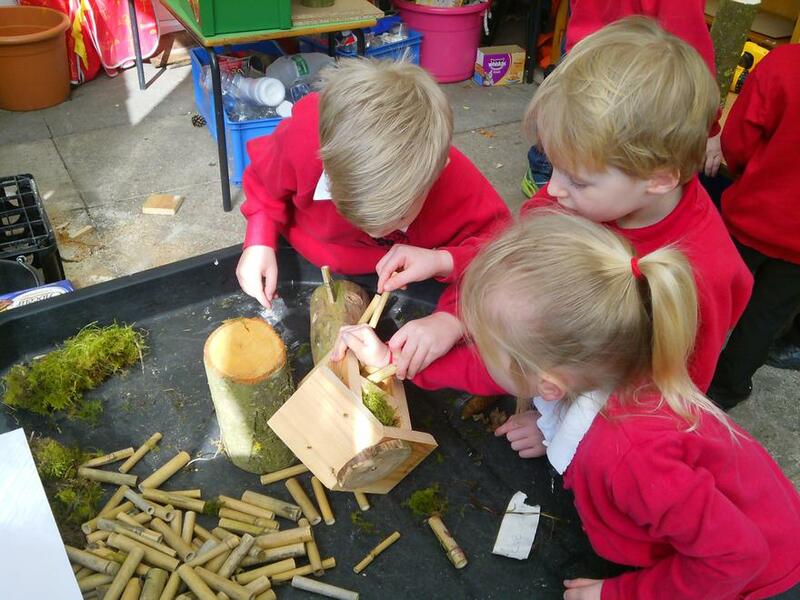 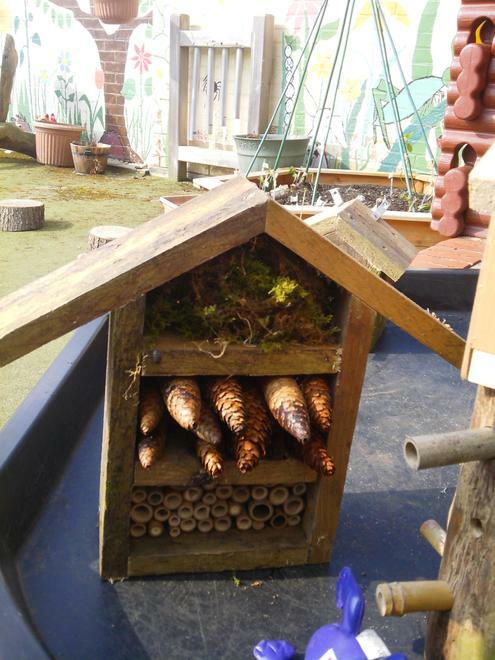 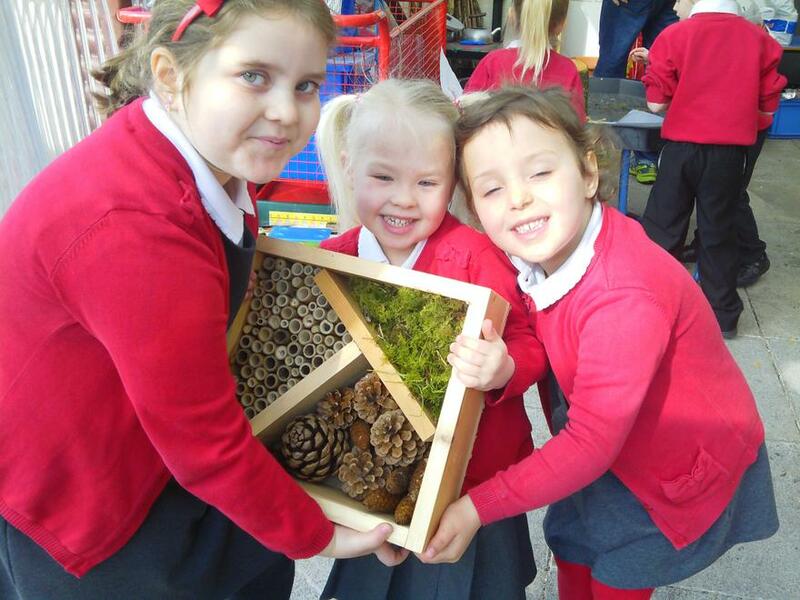 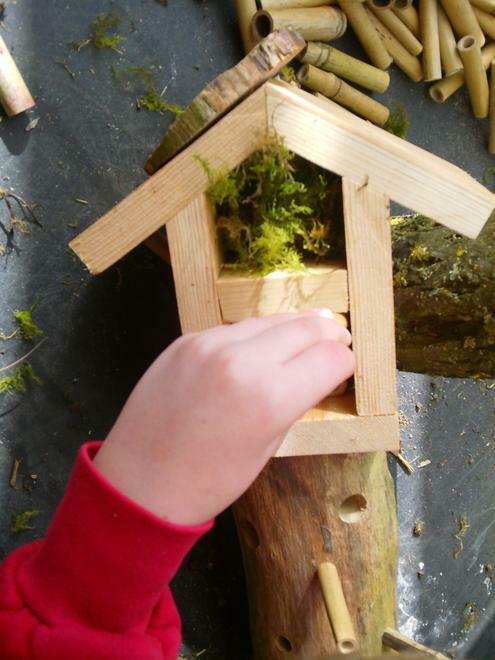 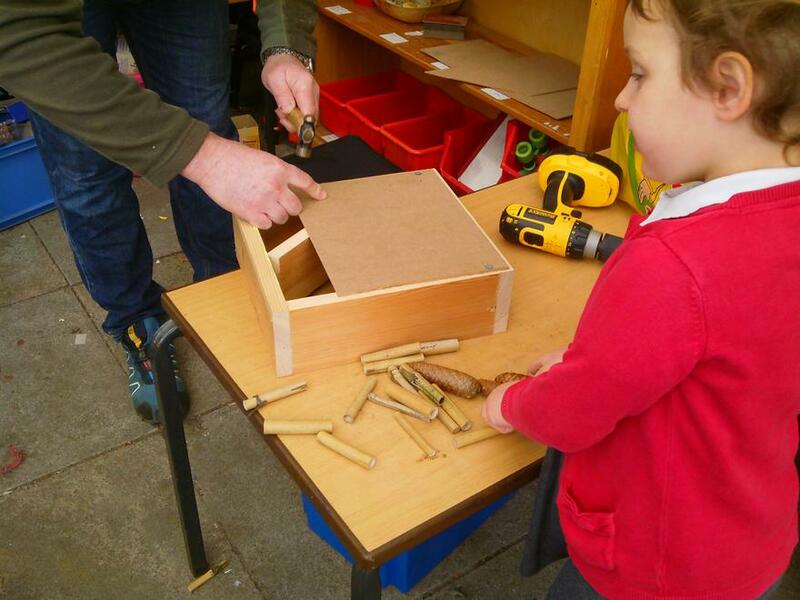 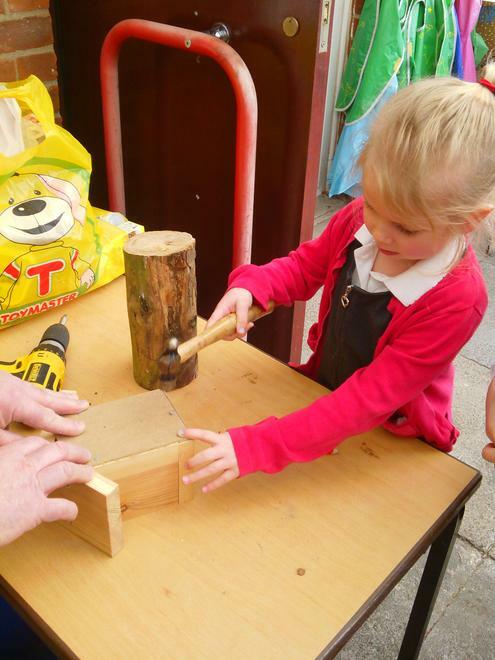 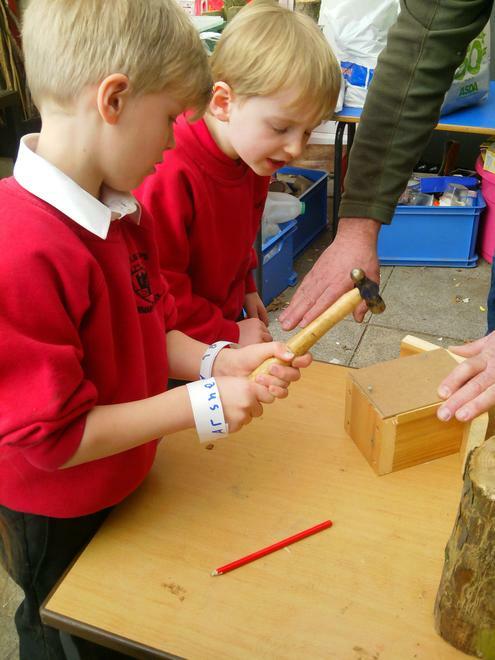 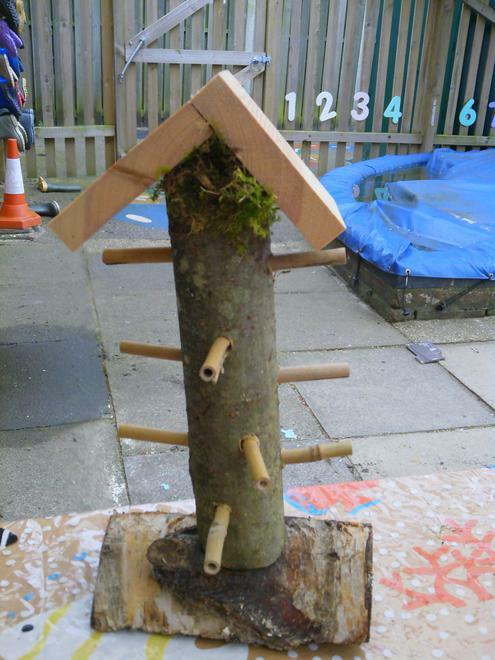 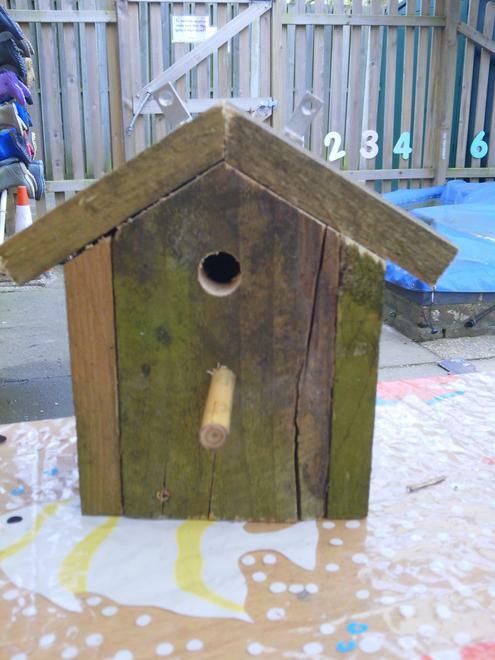 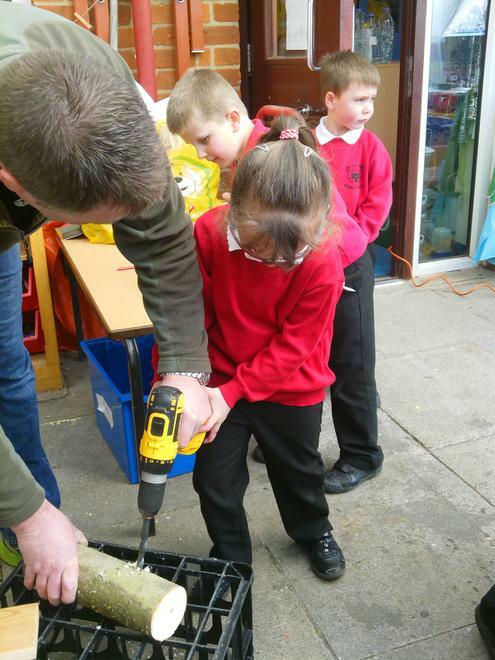 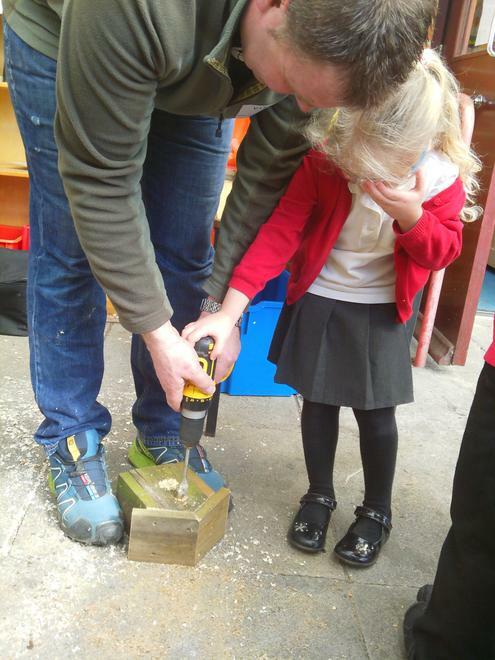 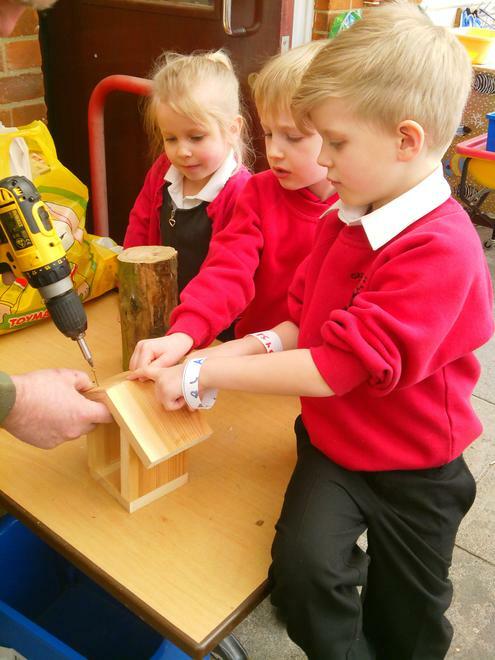 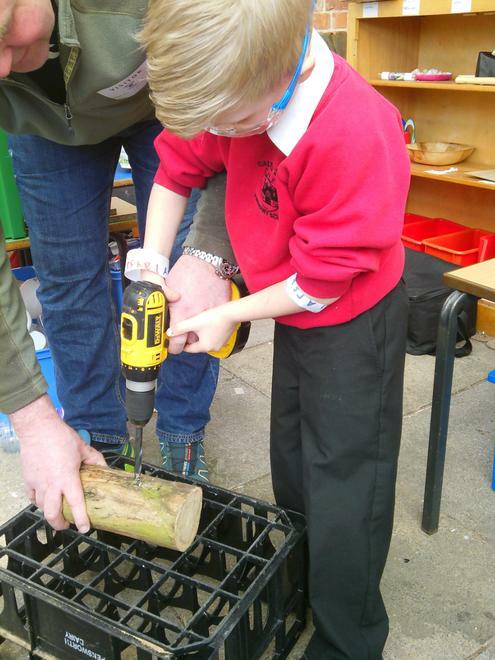 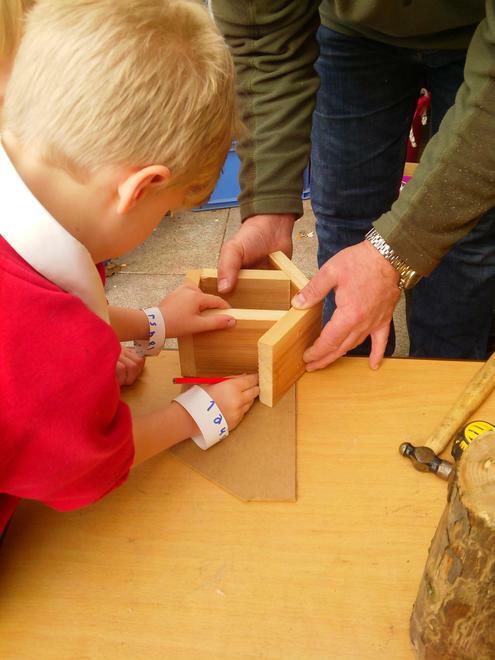 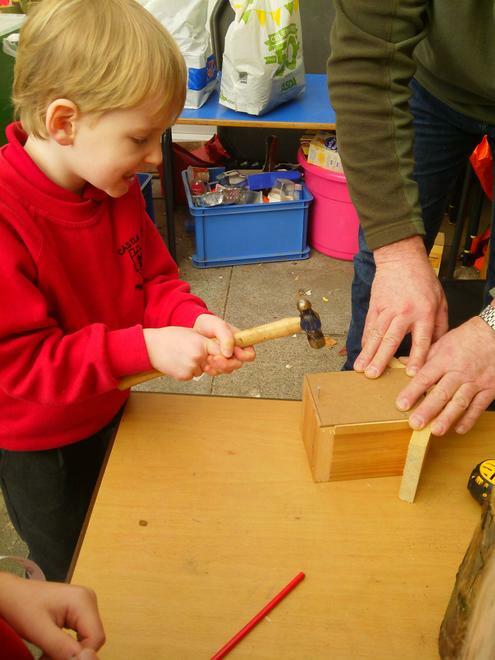 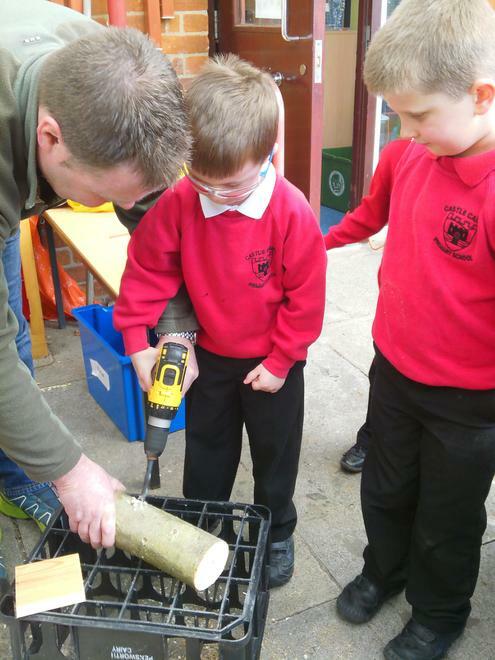 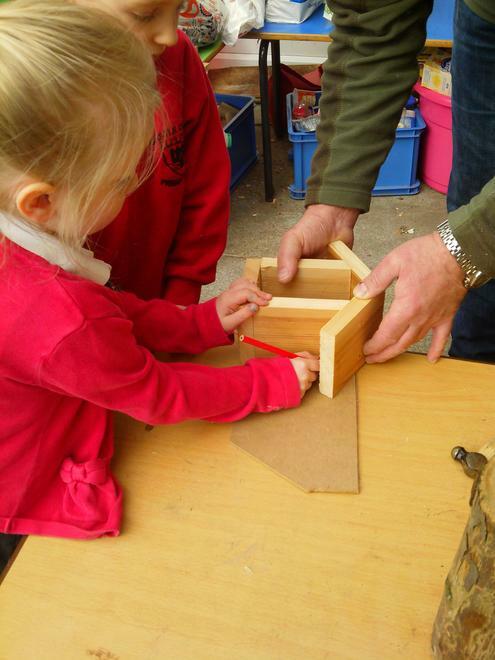 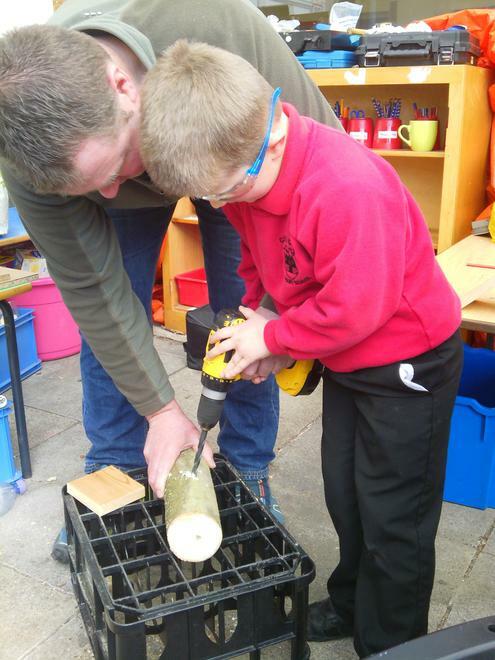 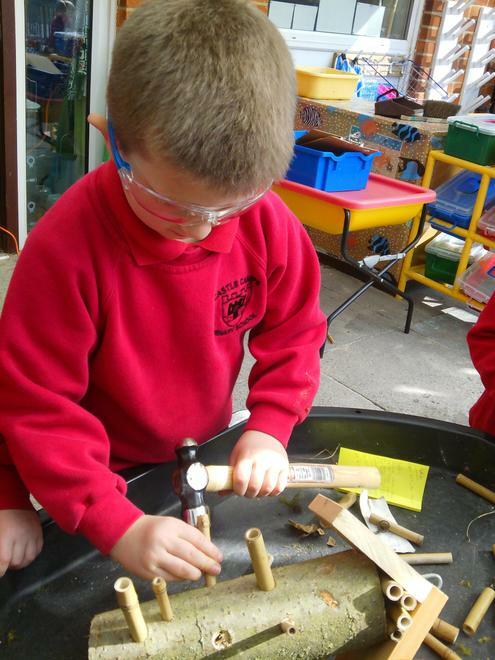 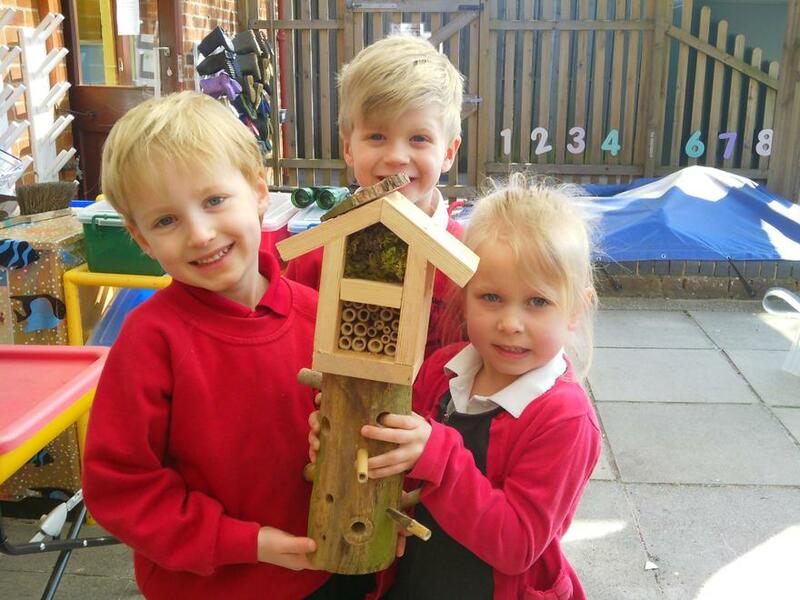 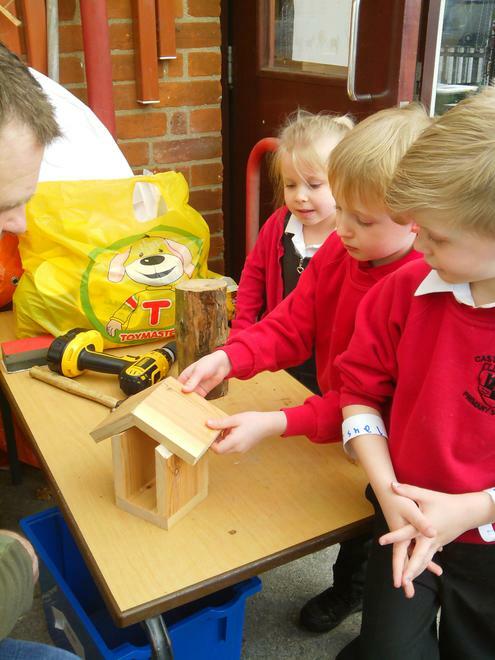 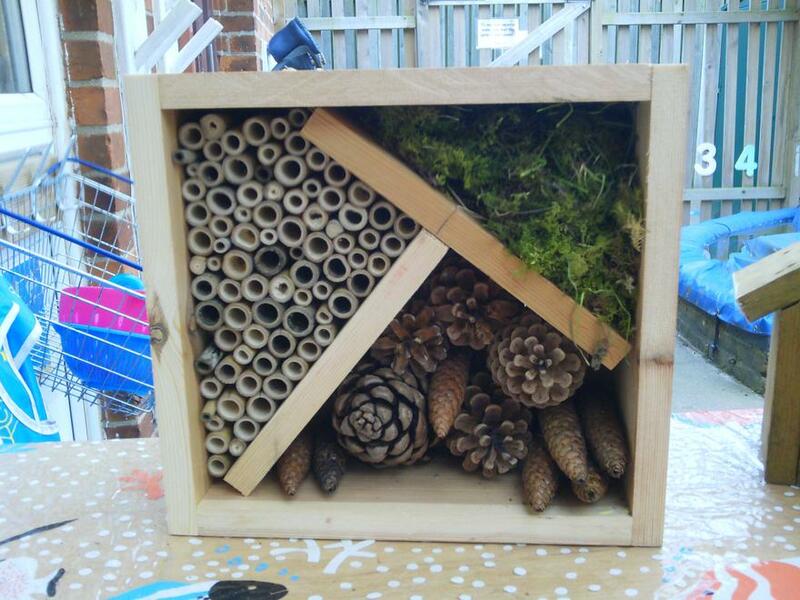 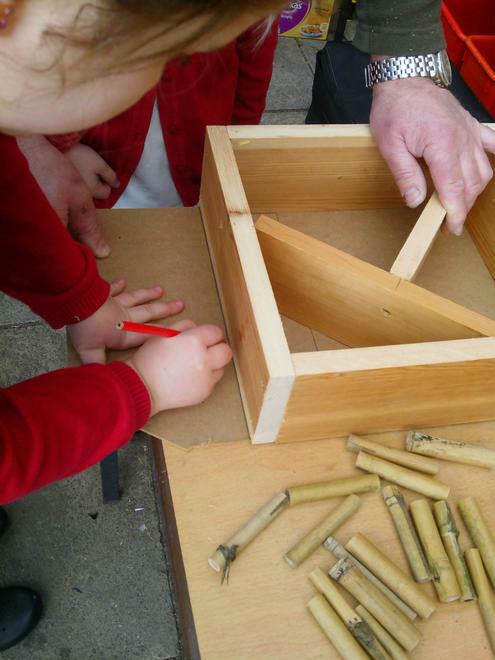 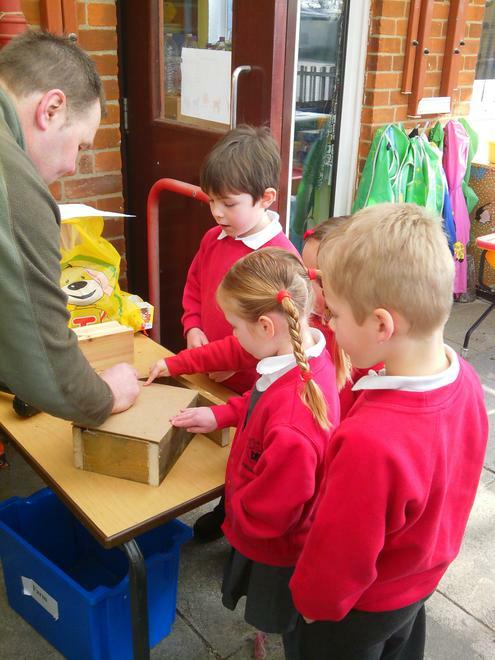 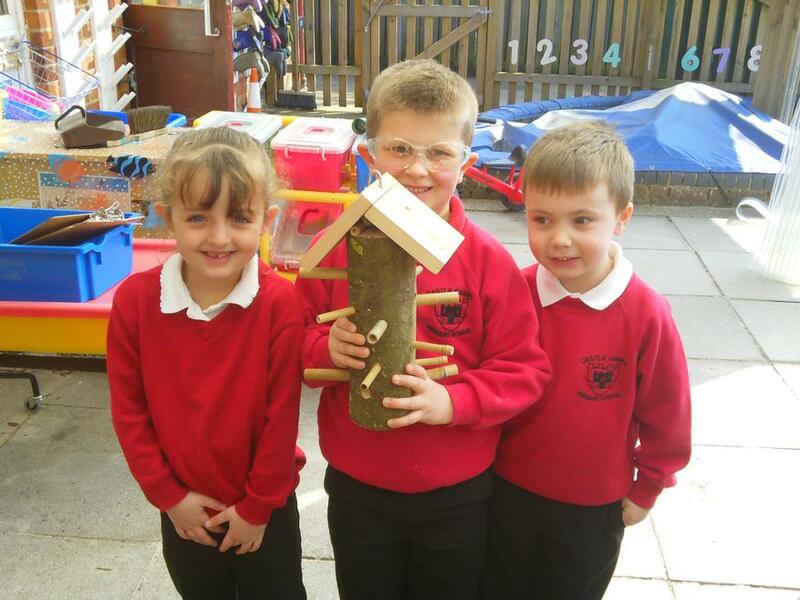 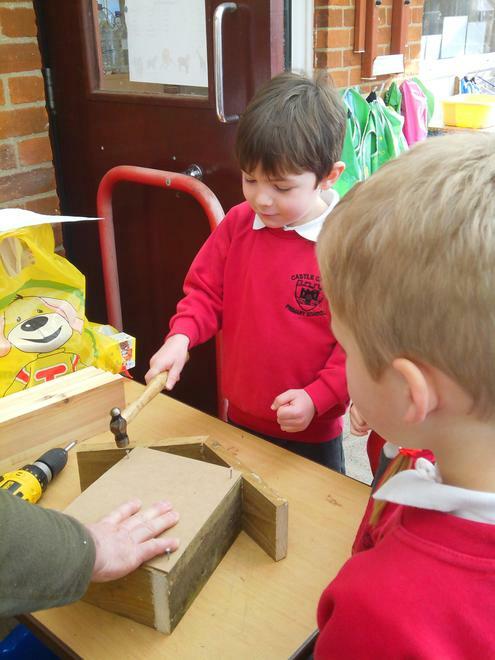 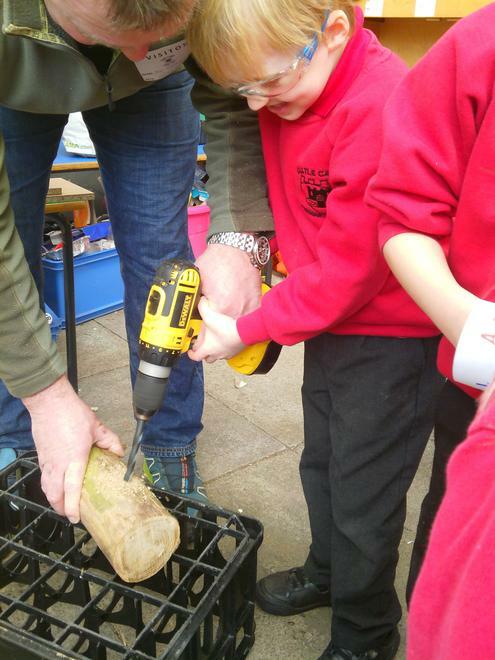 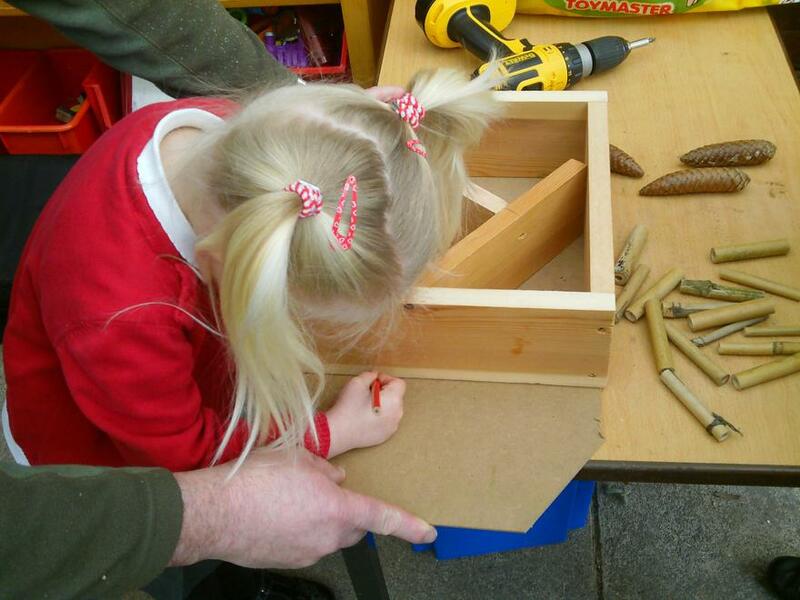 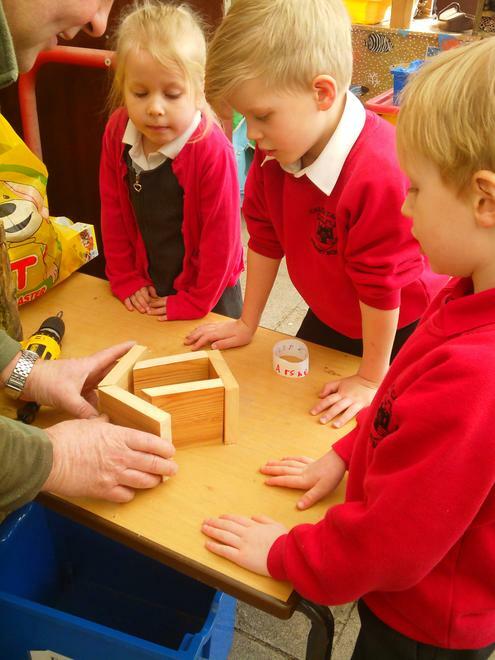 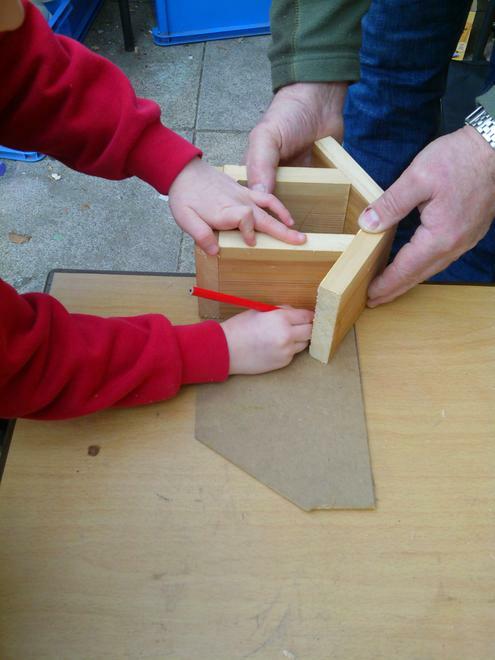 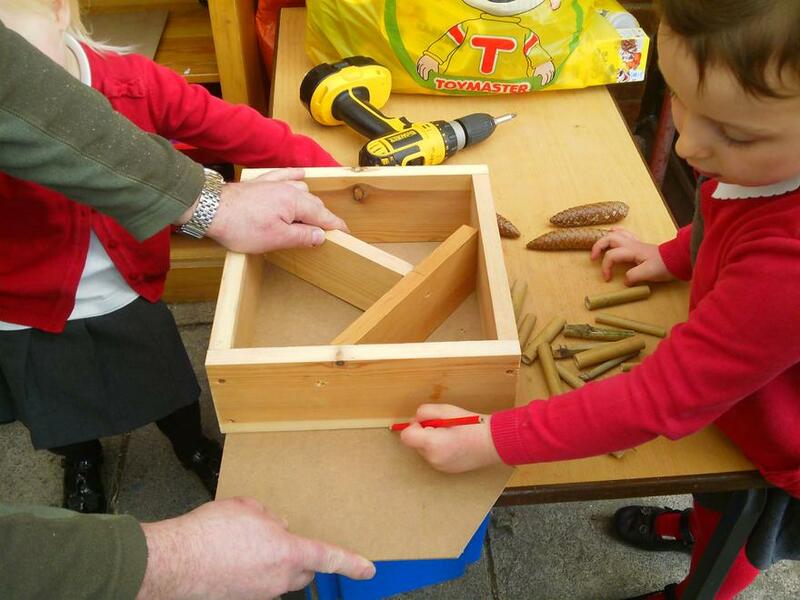 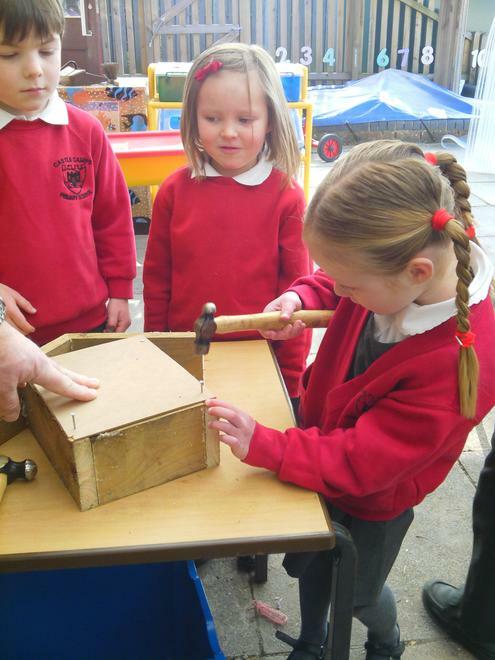 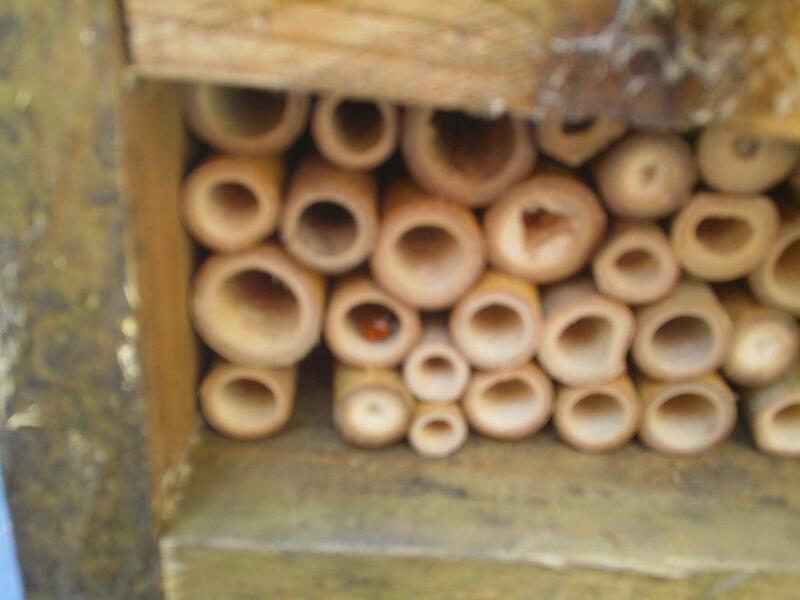 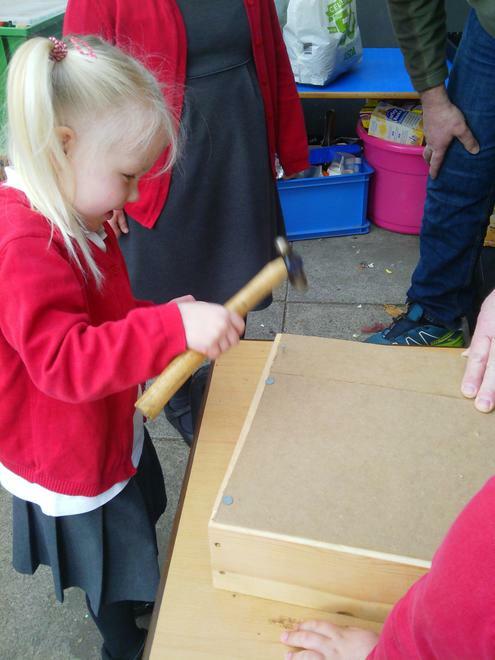 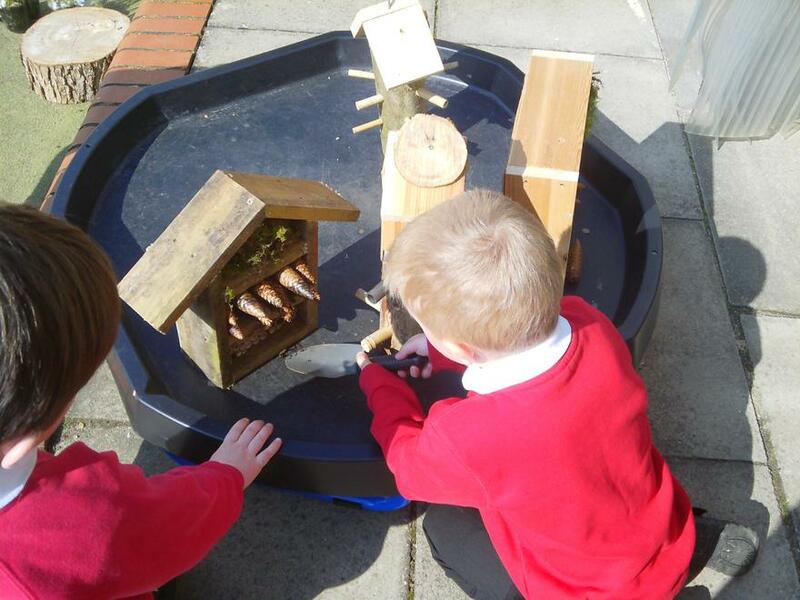 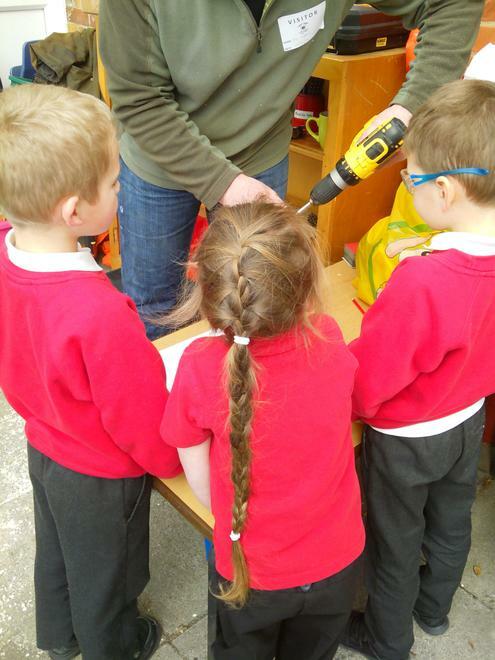 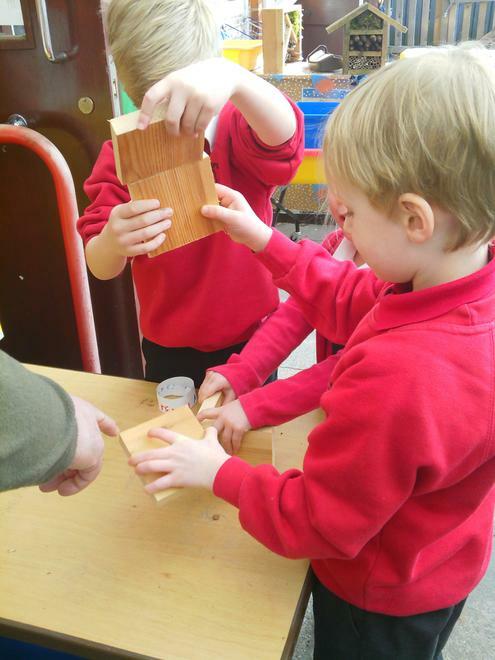 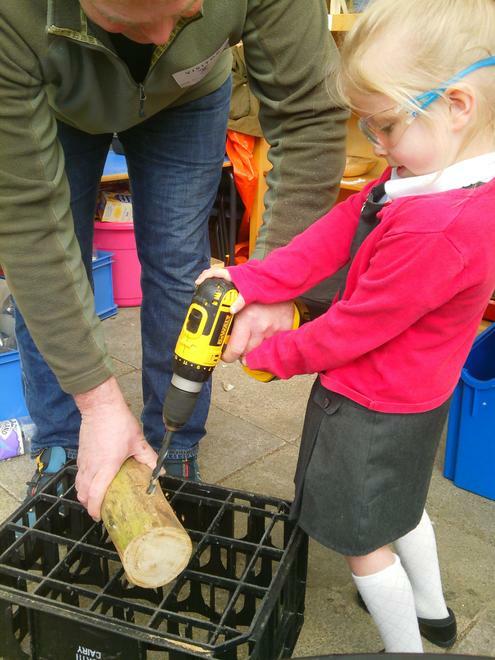 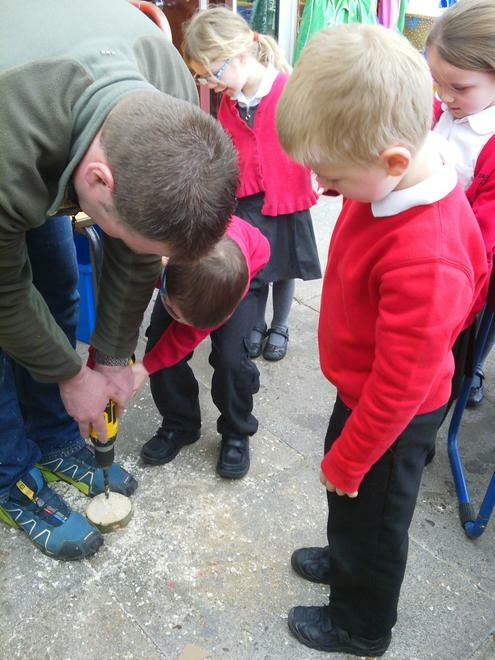 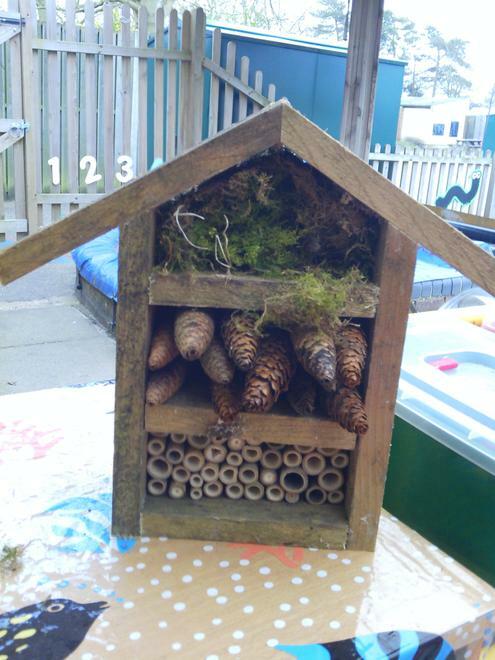 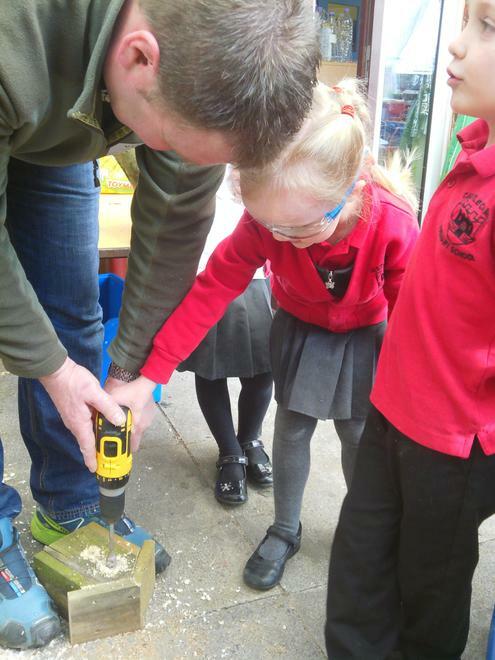 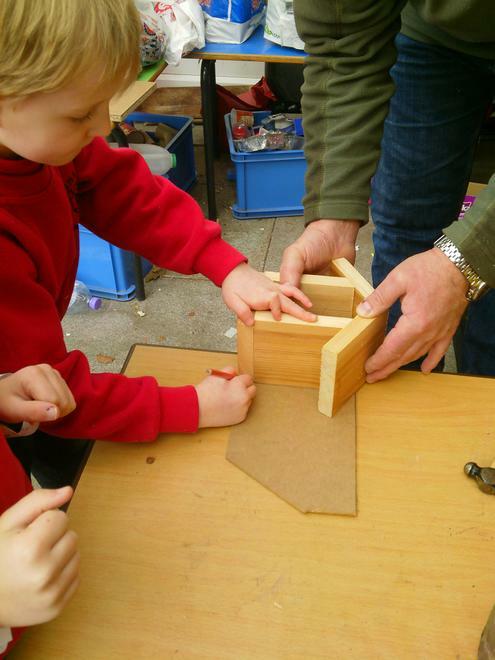 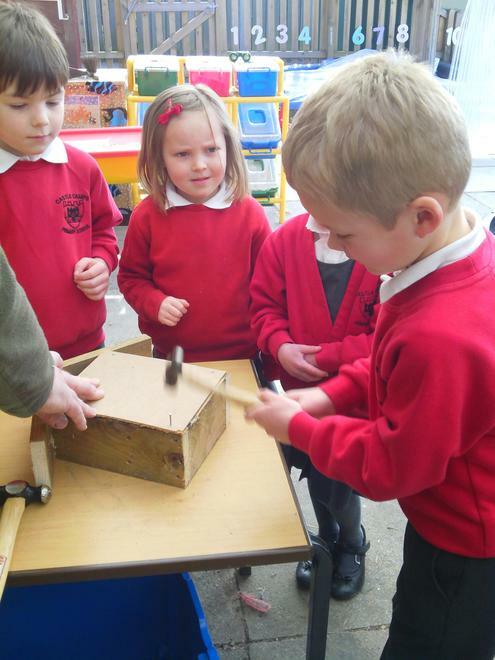 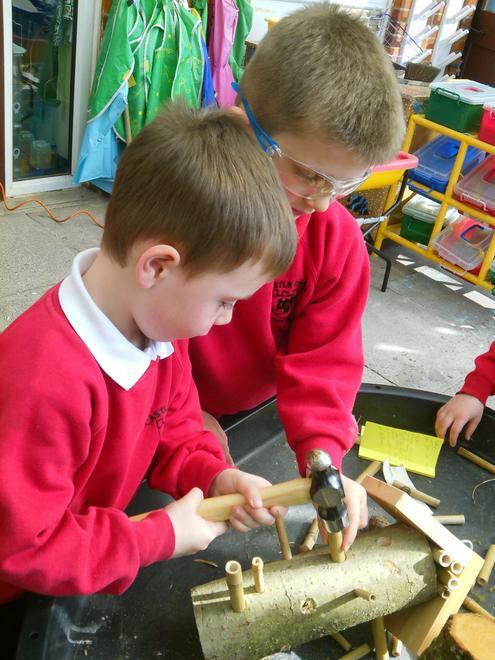 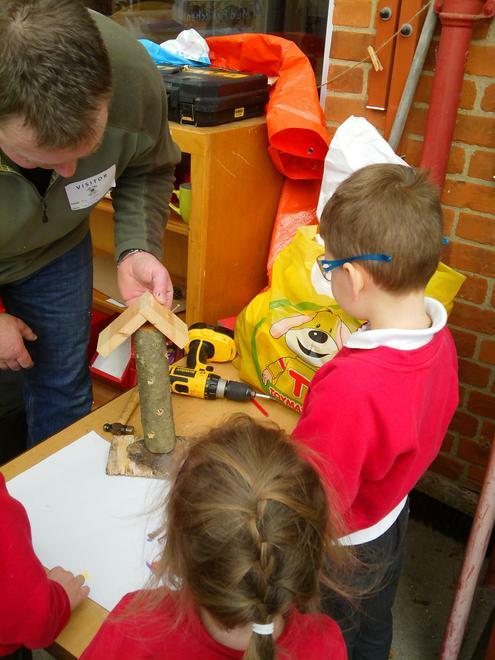 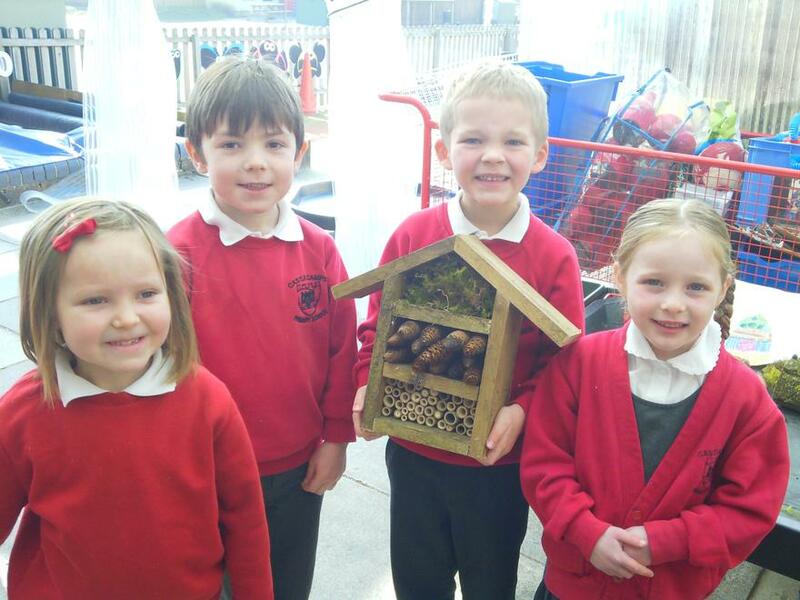 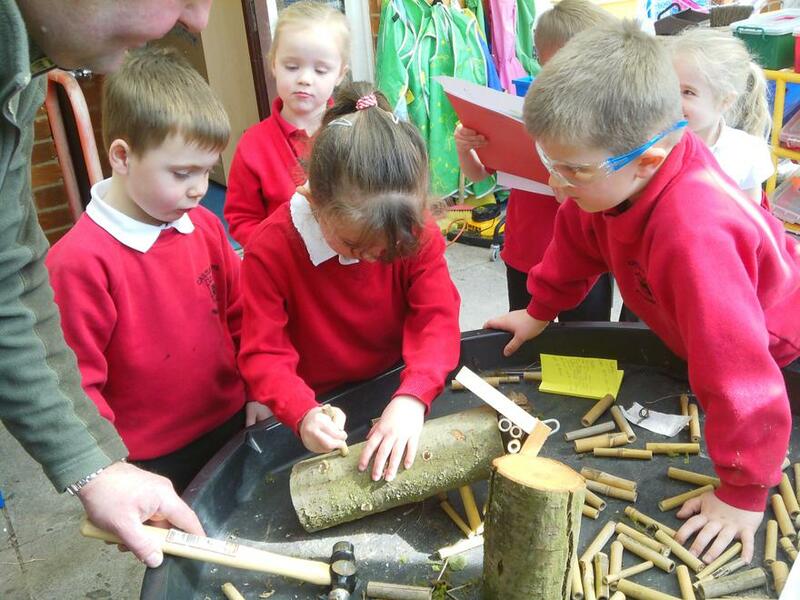 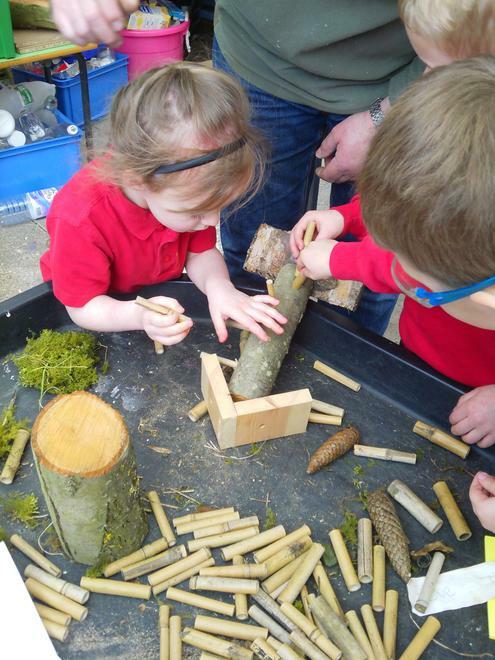 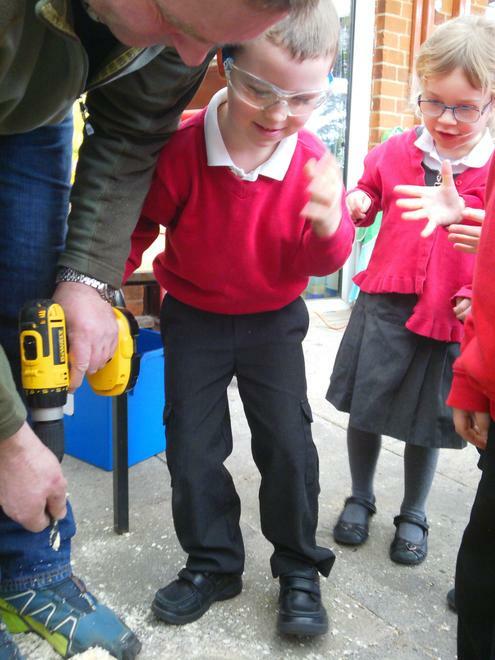 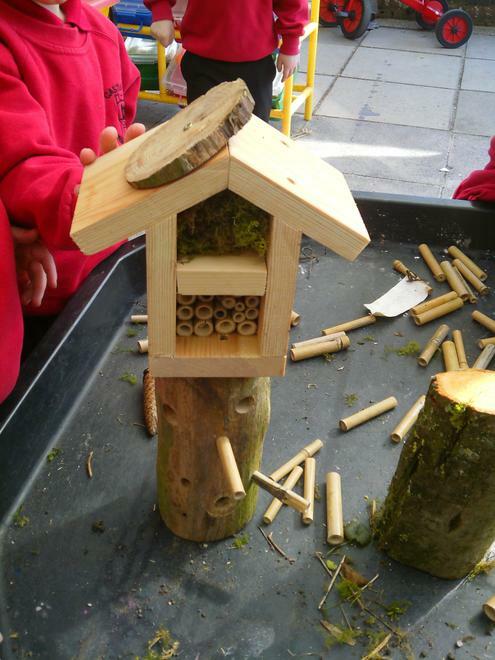 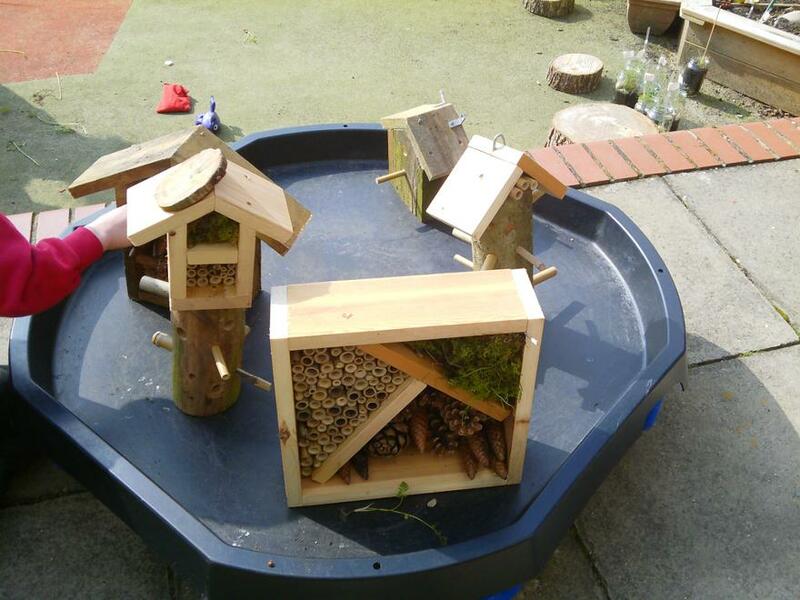 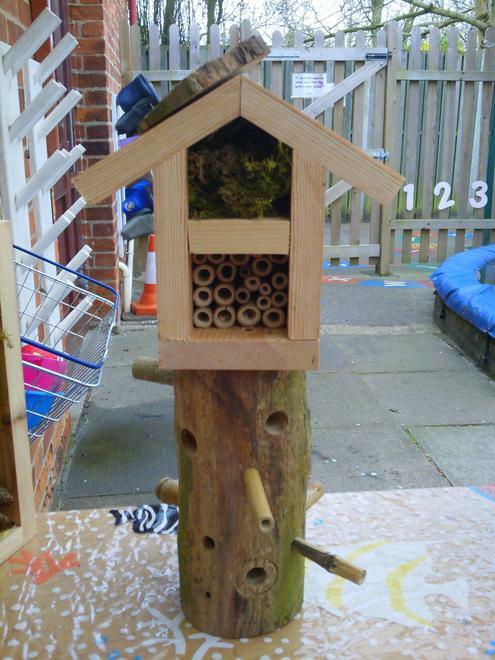 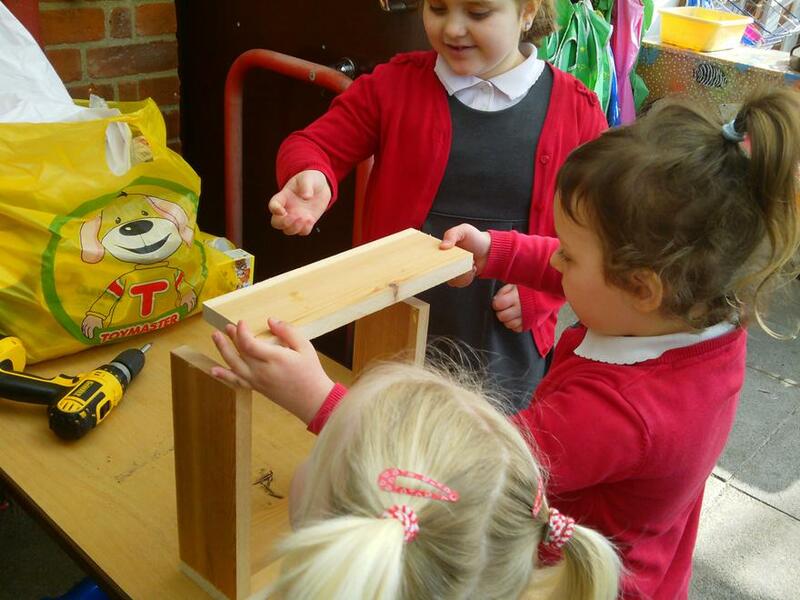 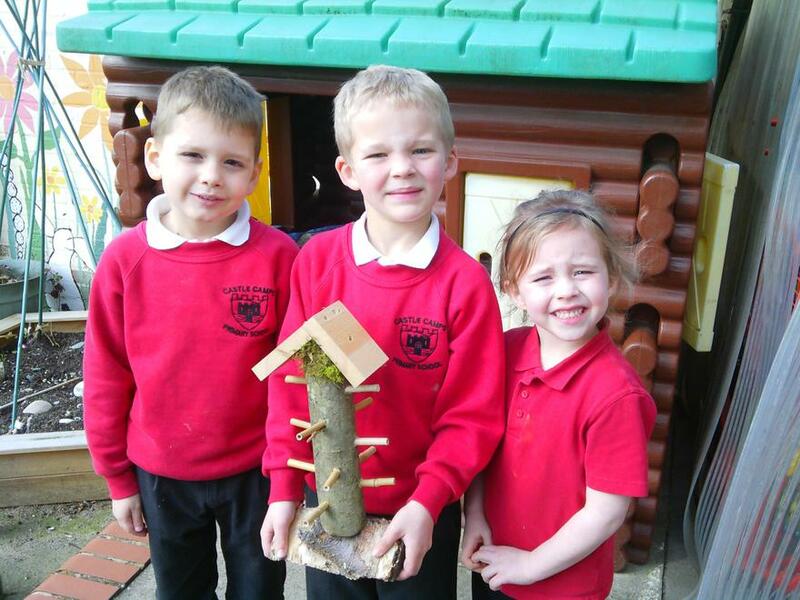 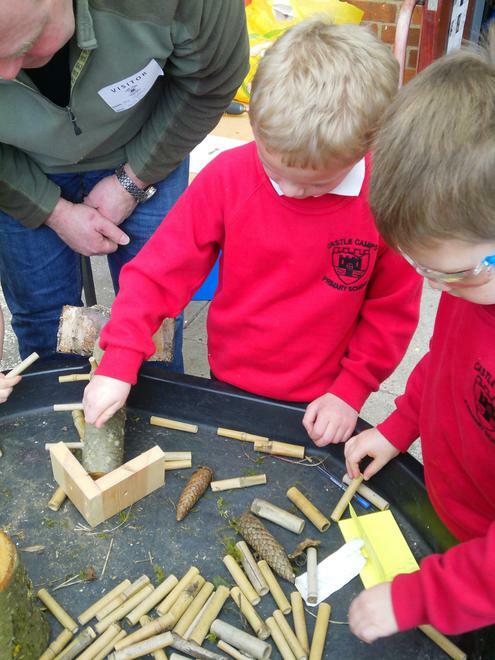 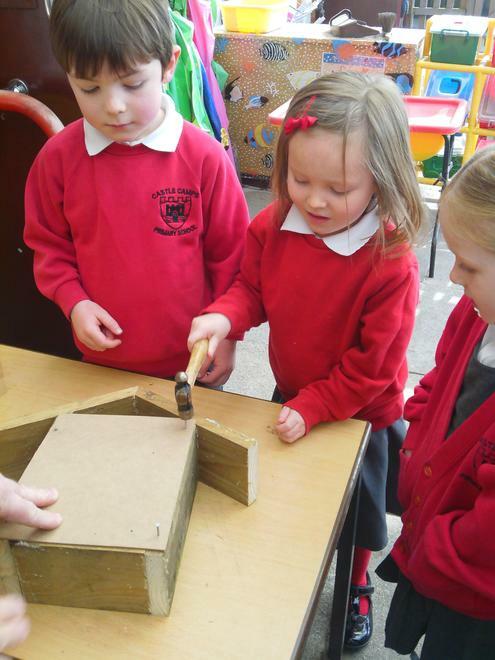 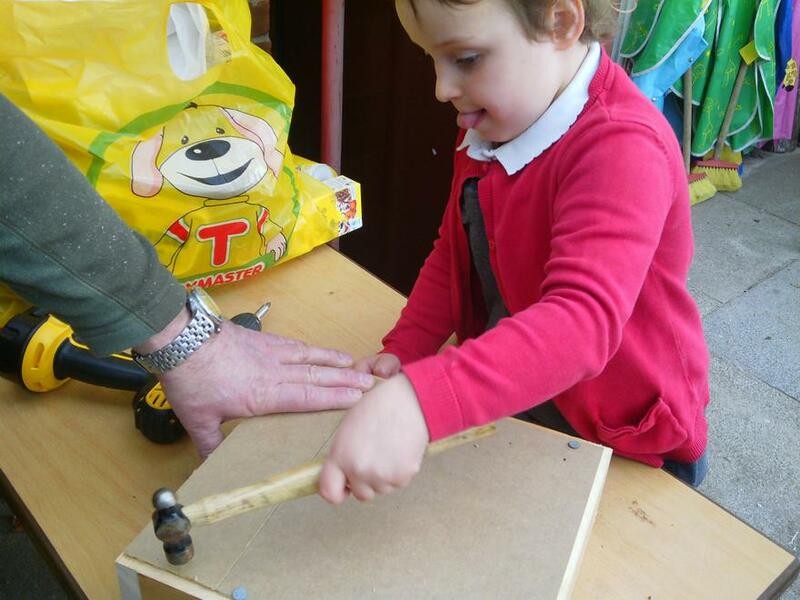 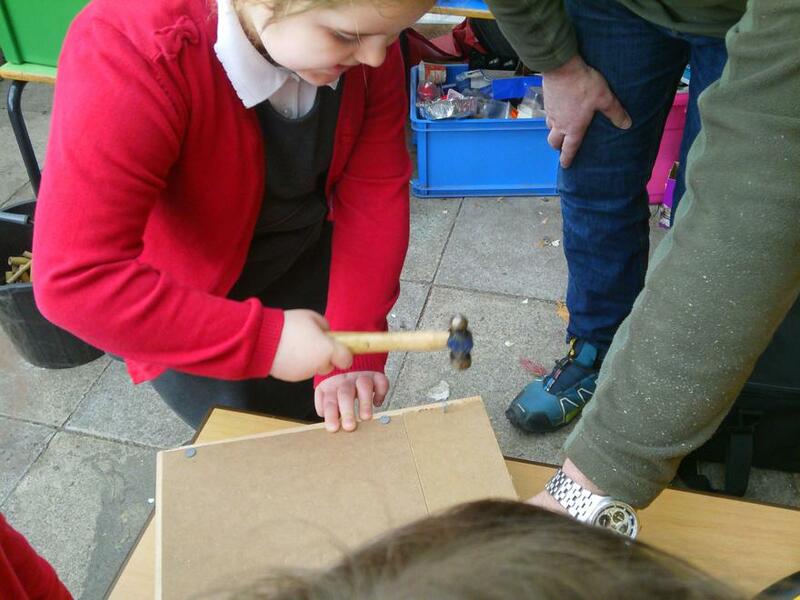 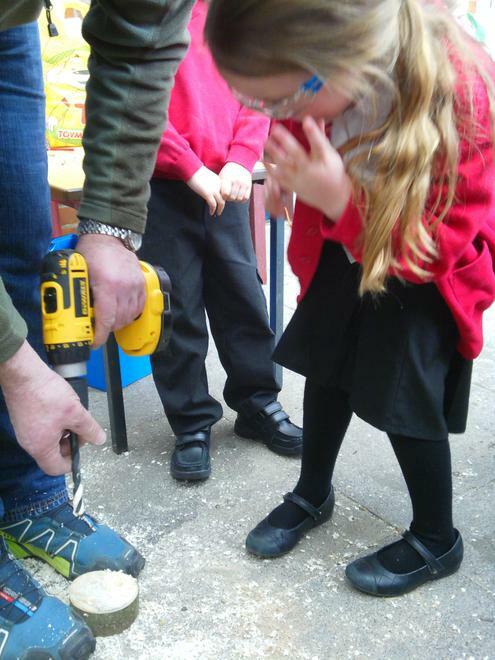 We designed insect and bird homes then Mr Harris came to school to help us make them. 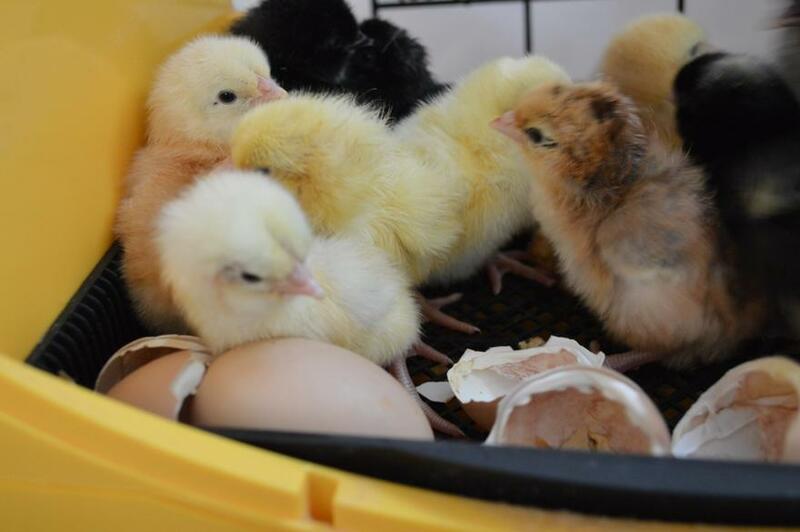 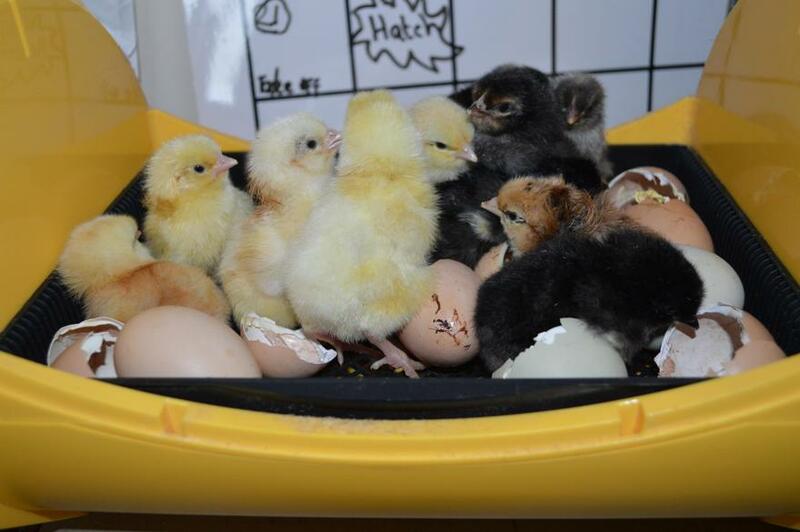 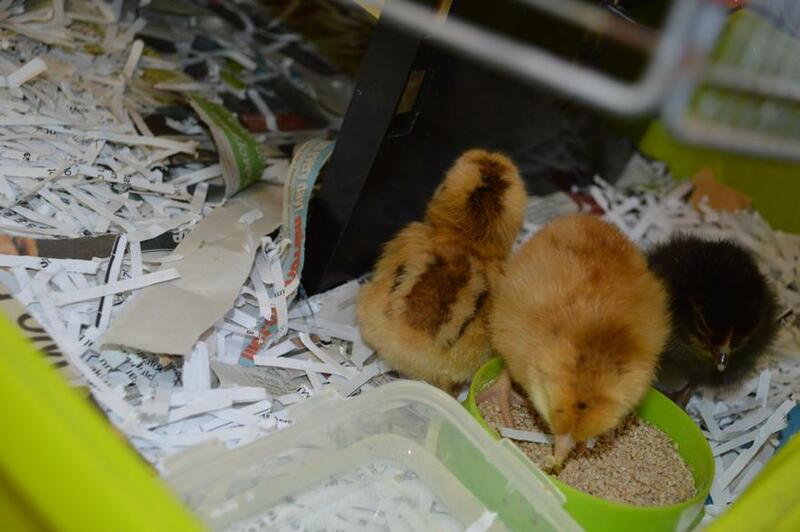 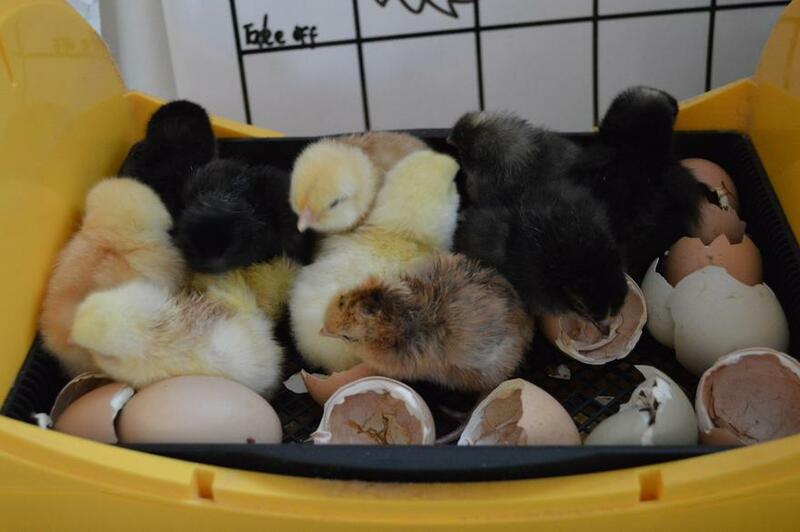 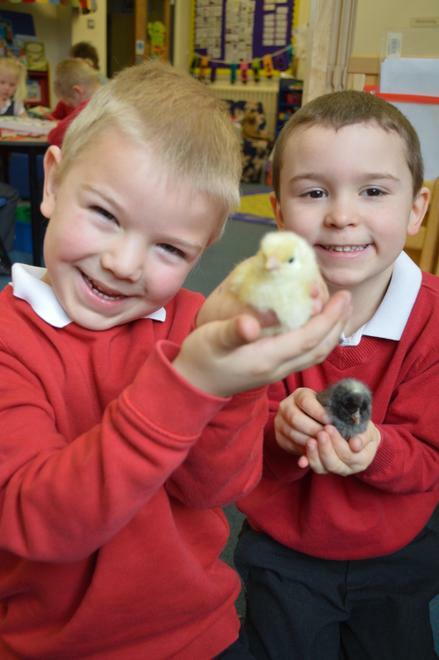 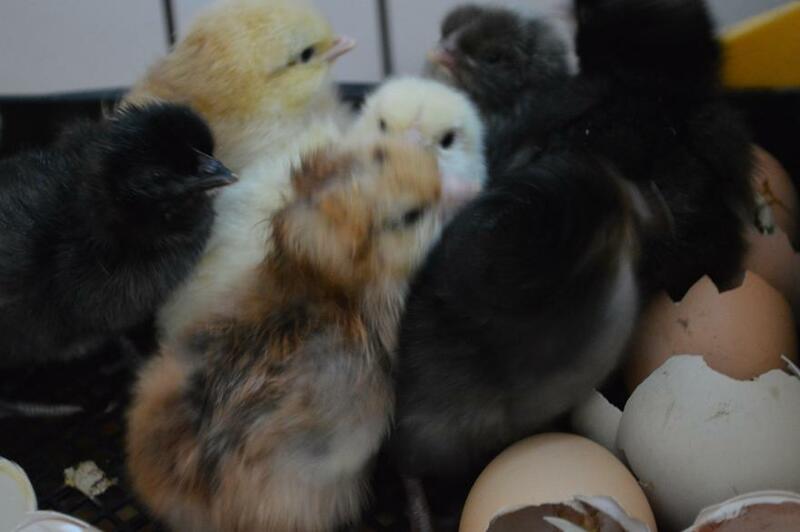 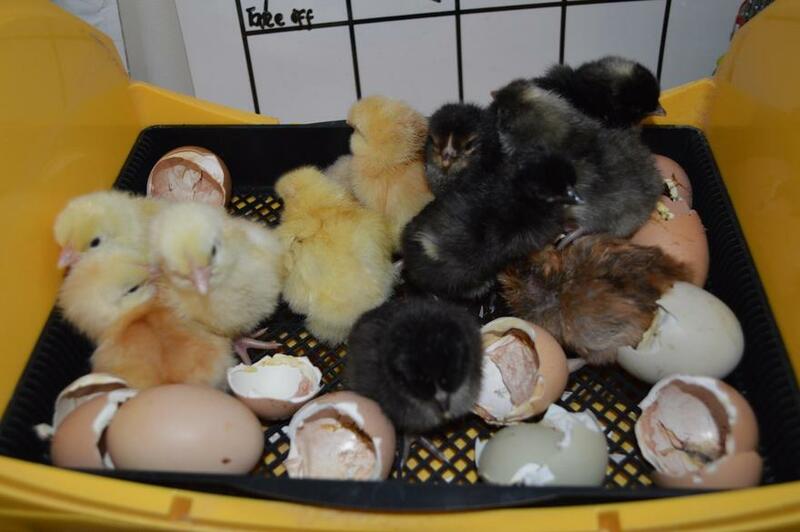 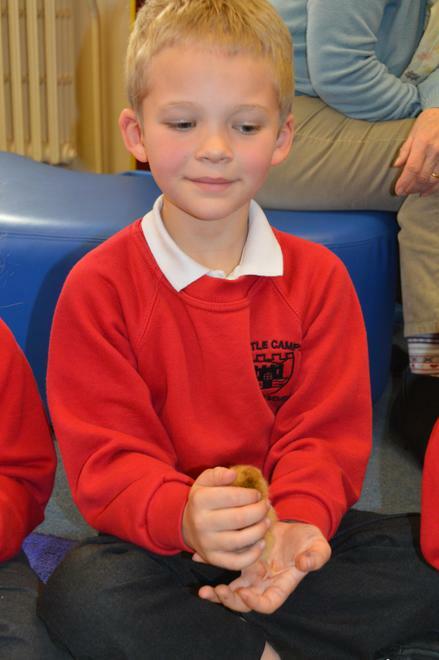 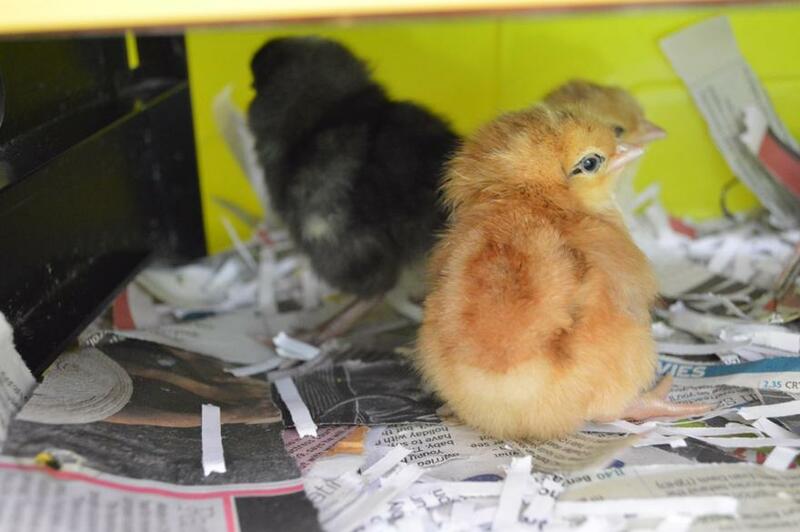 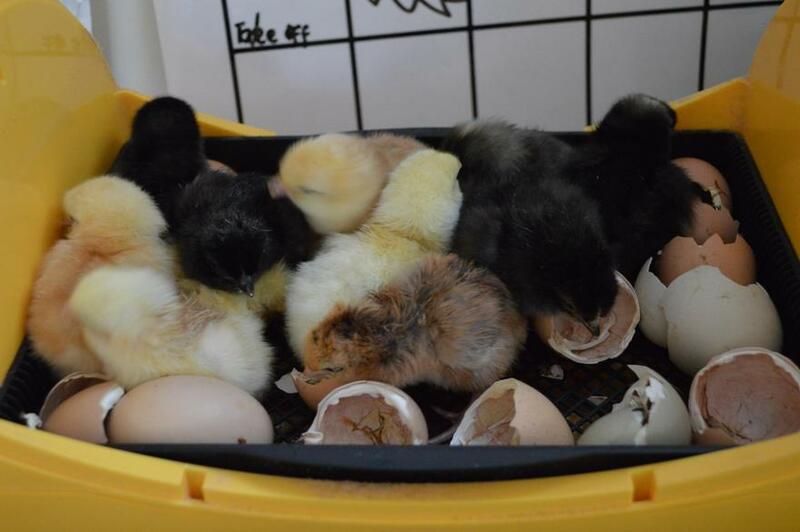 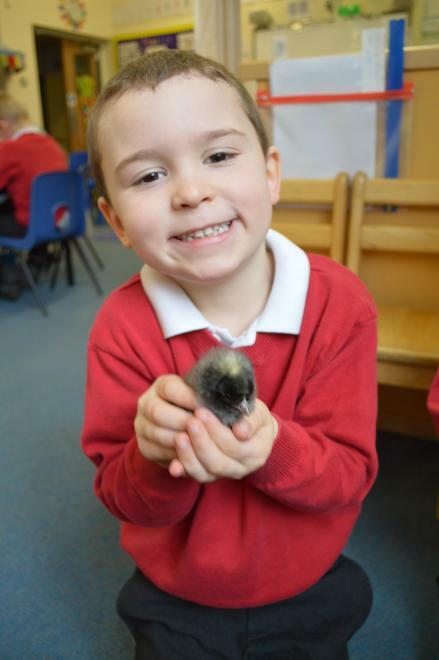 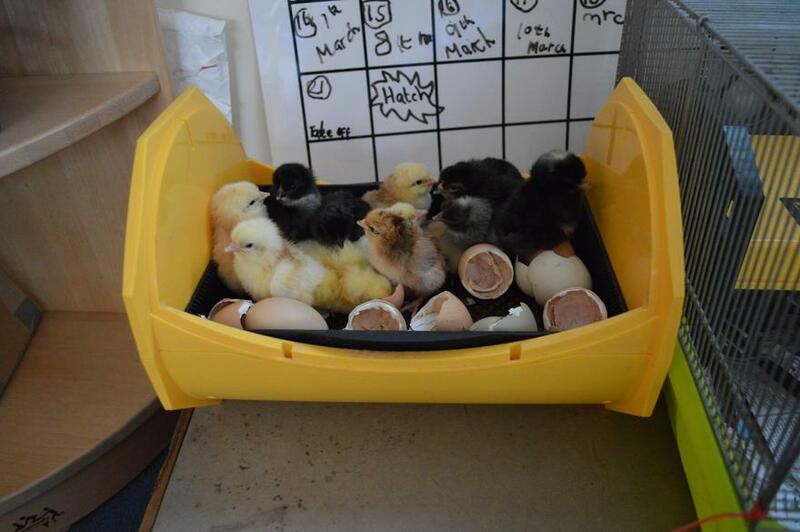 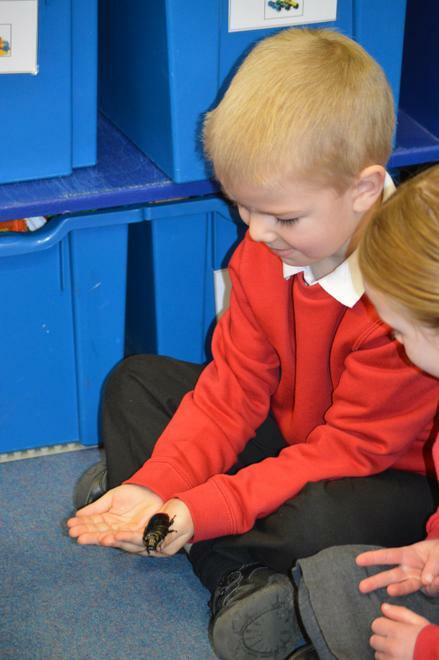 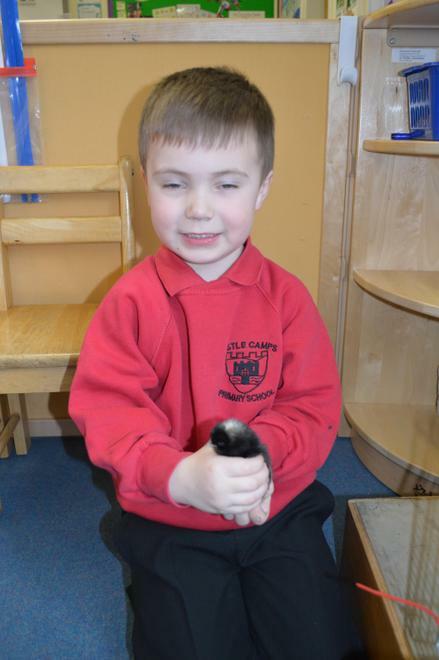 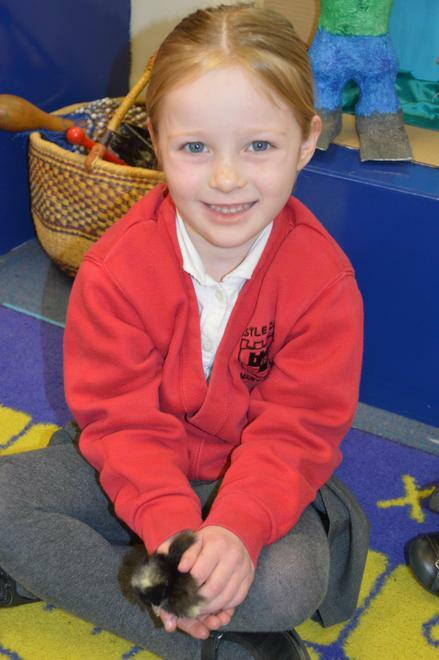 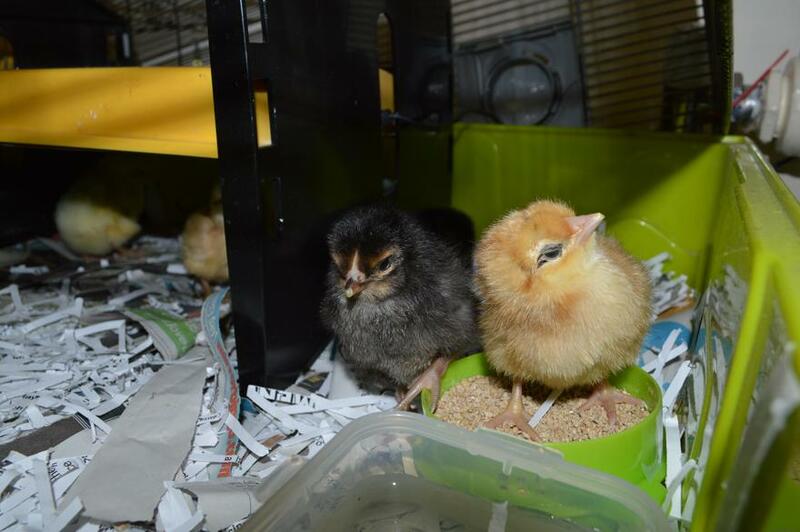 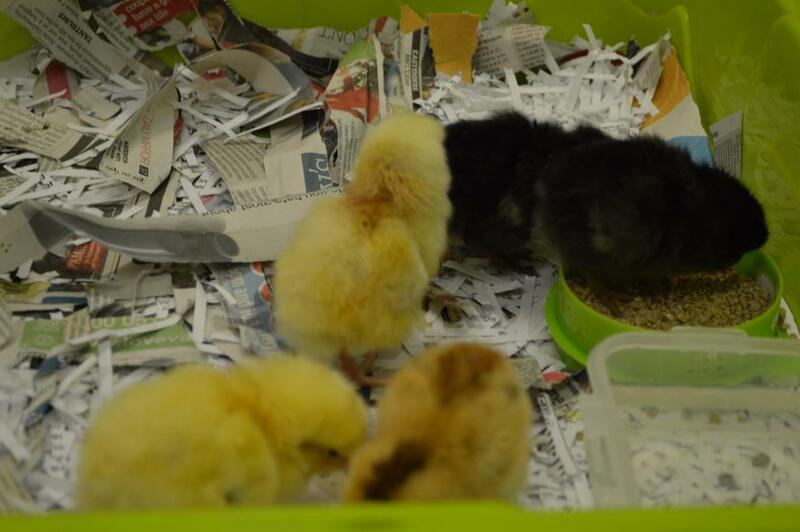 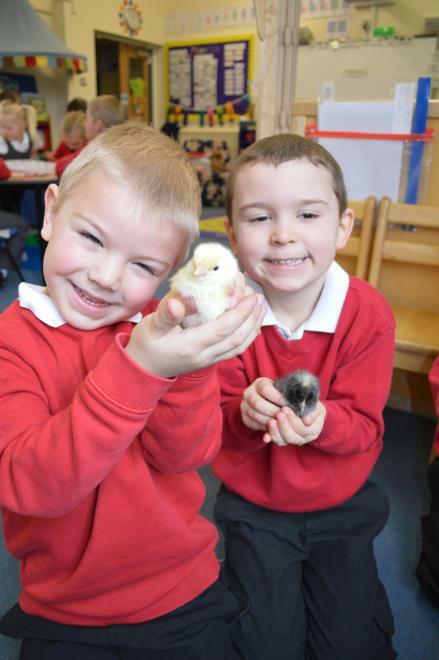 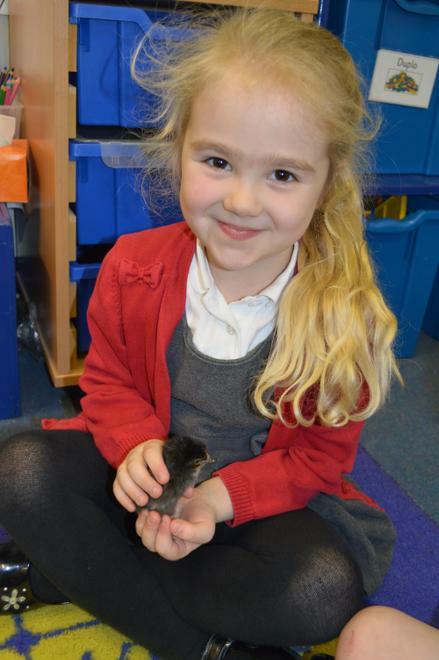 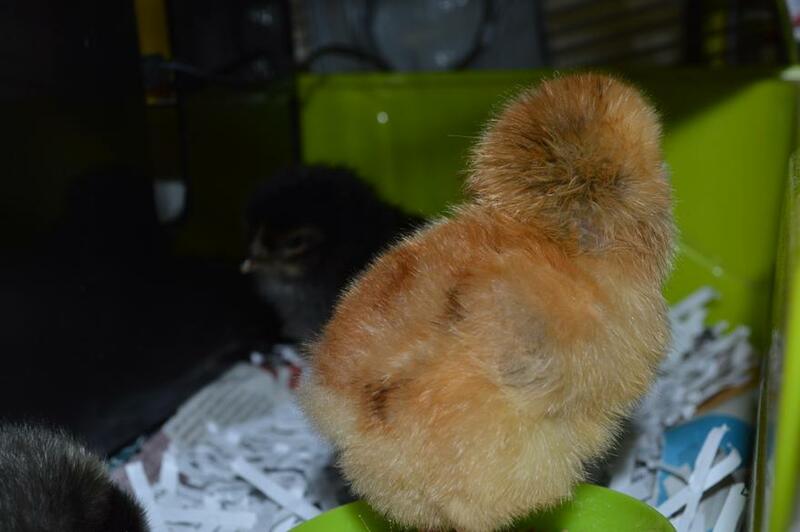 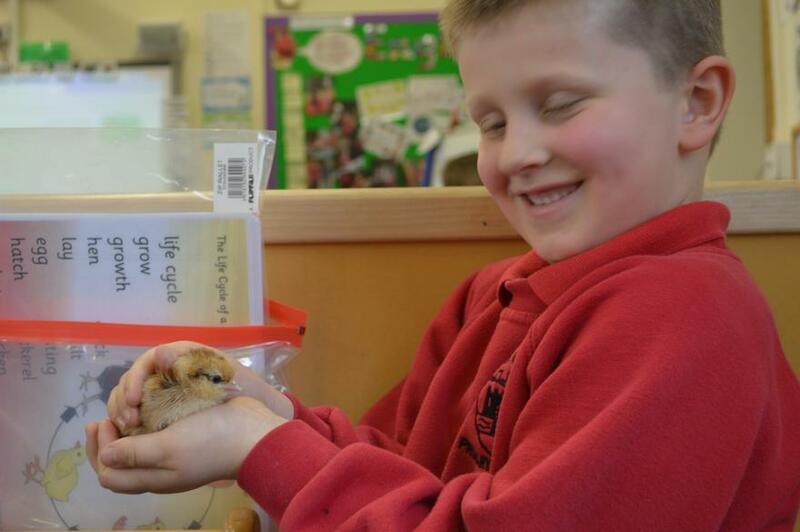 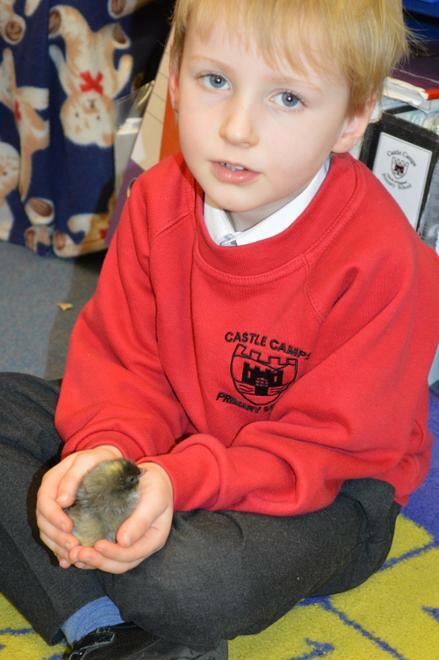 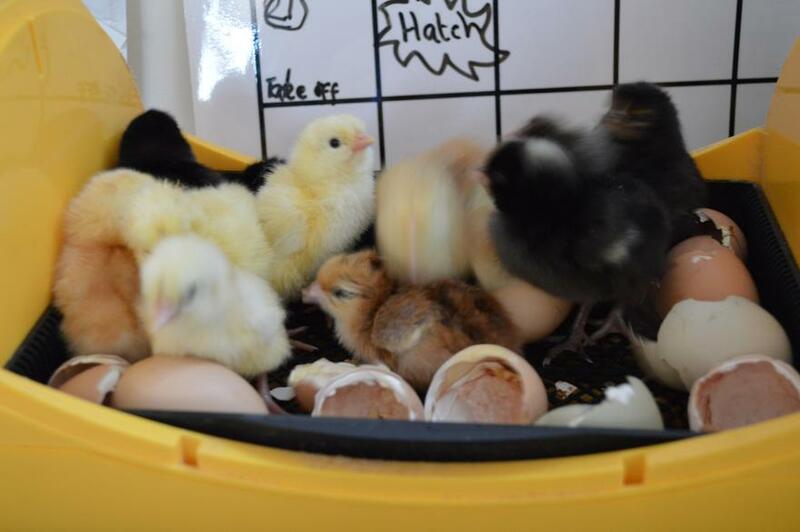 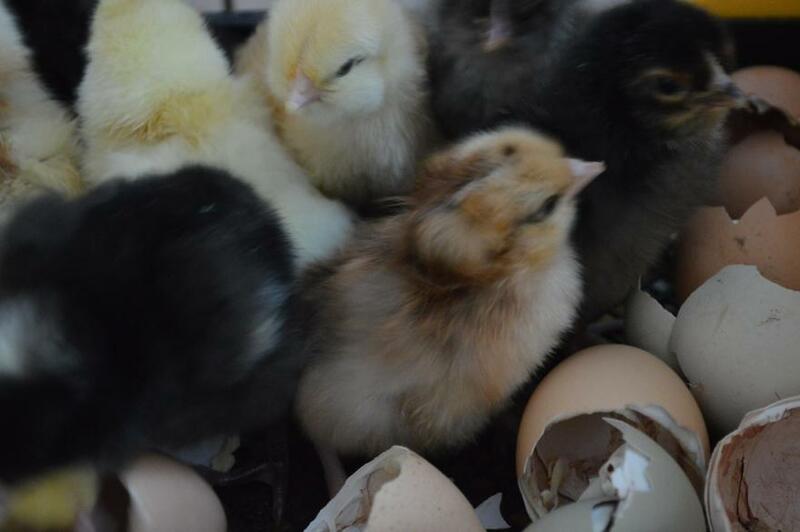 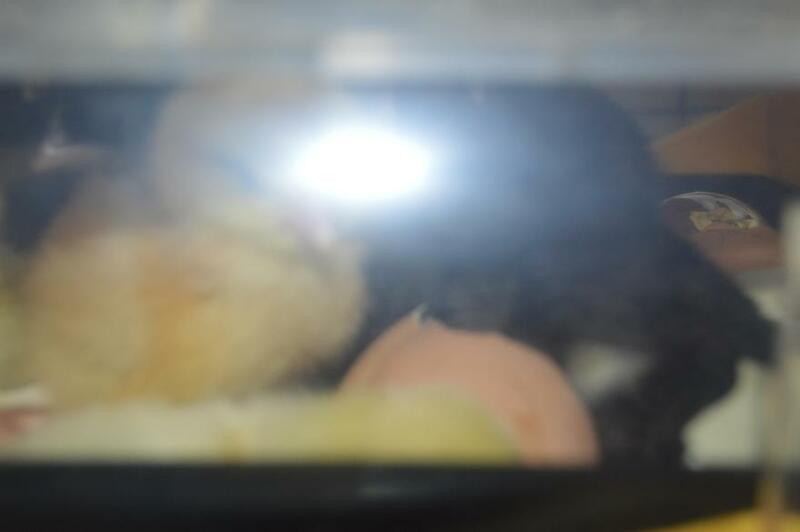 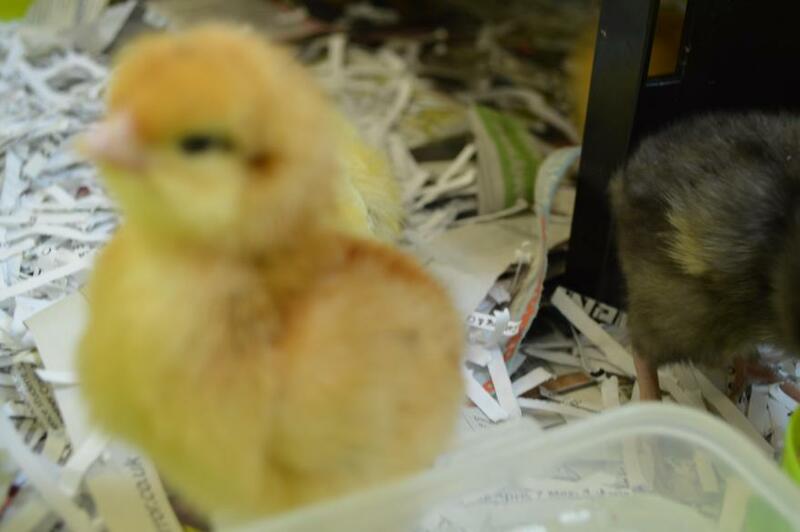 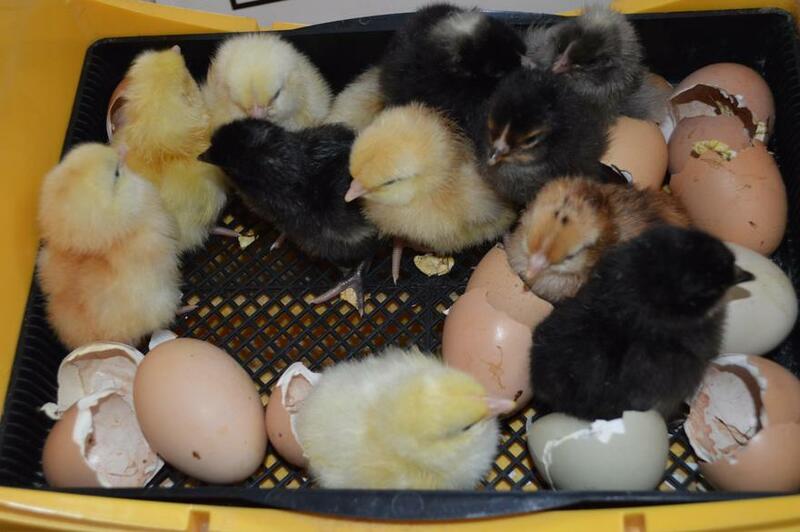 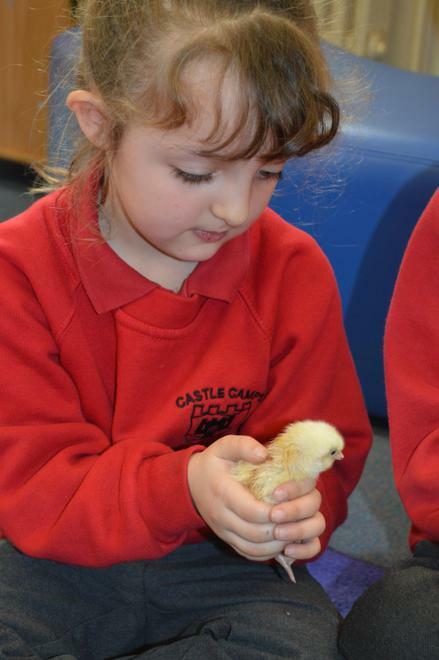 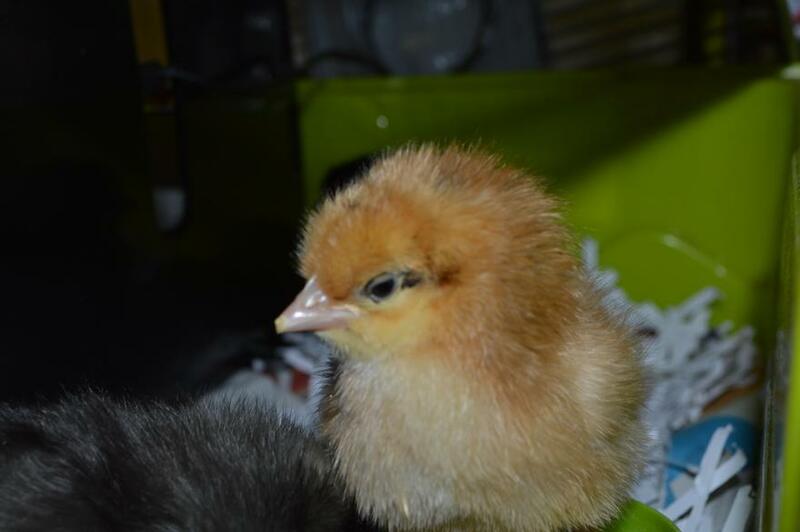 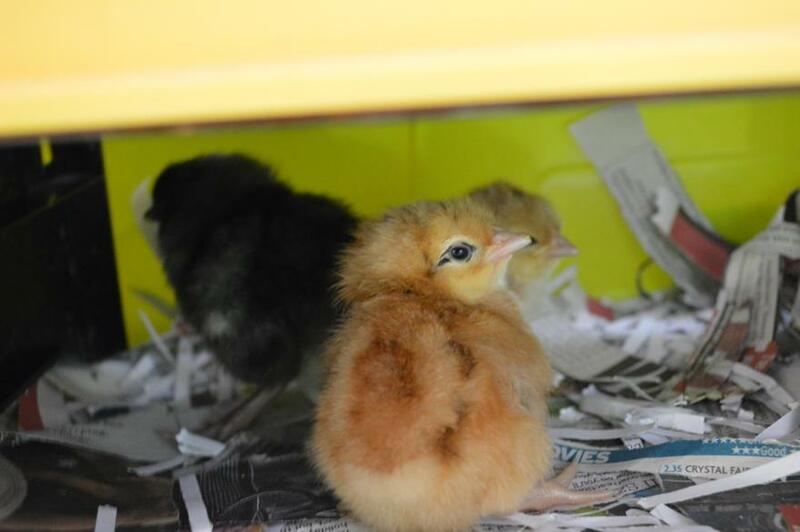 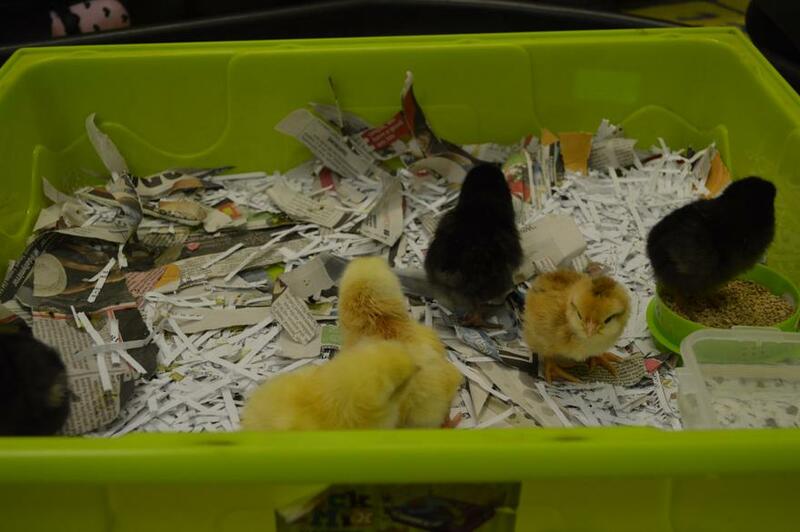 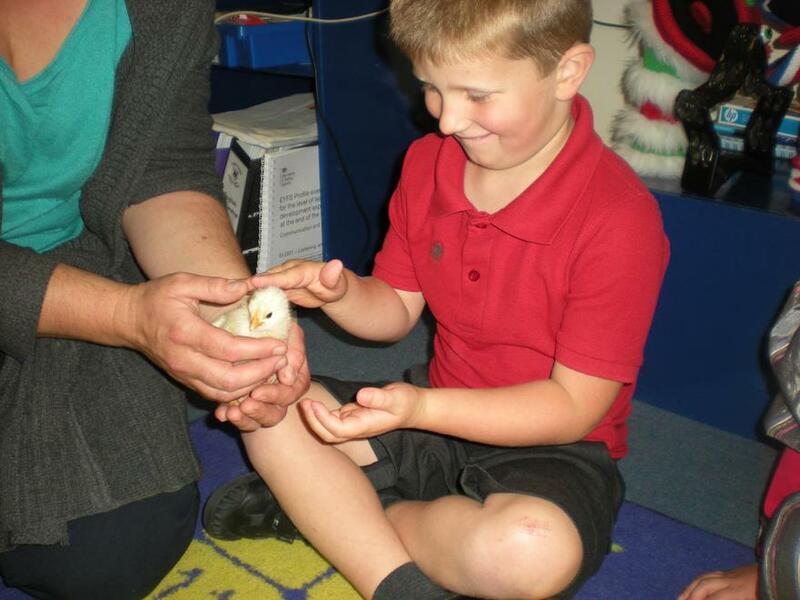 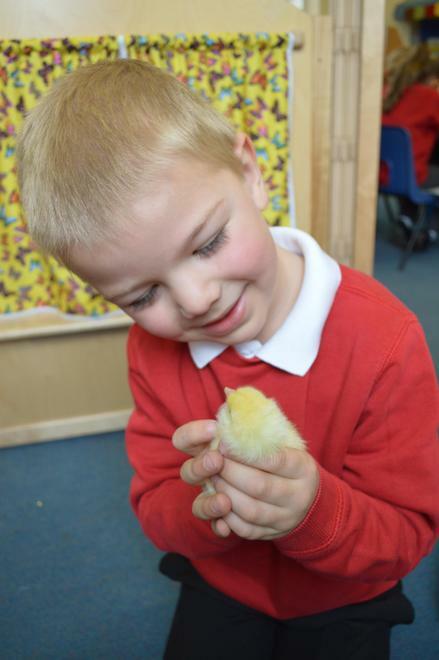 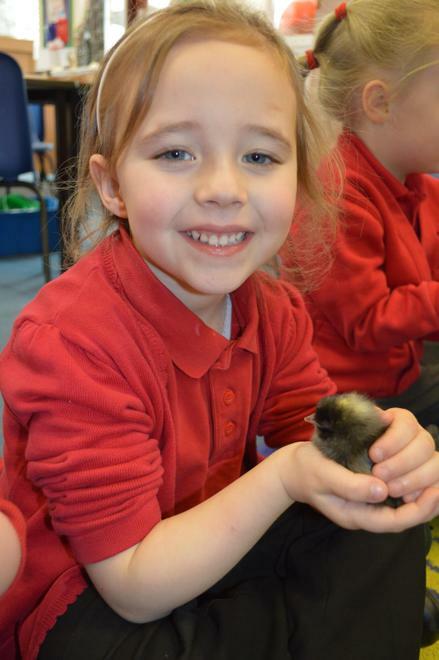 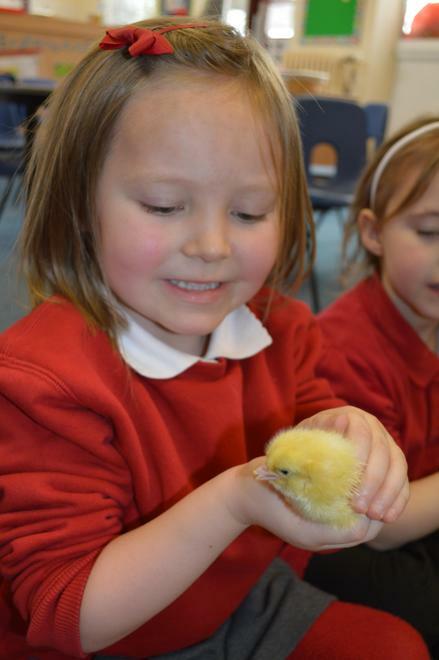 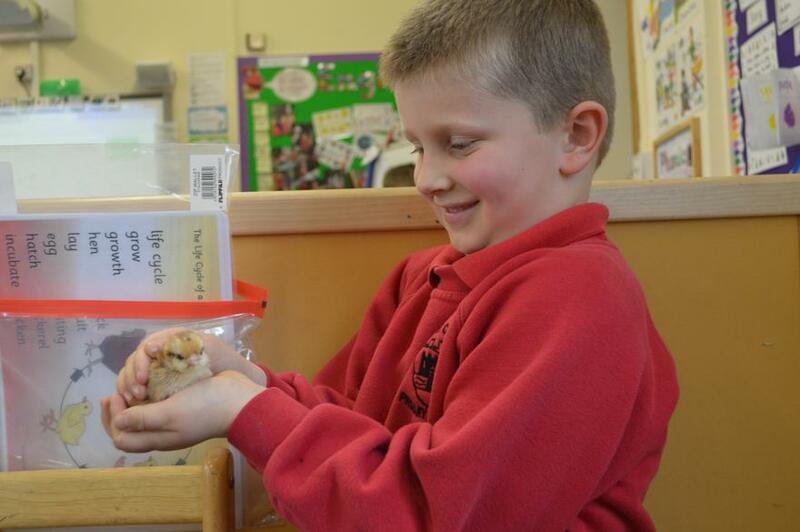 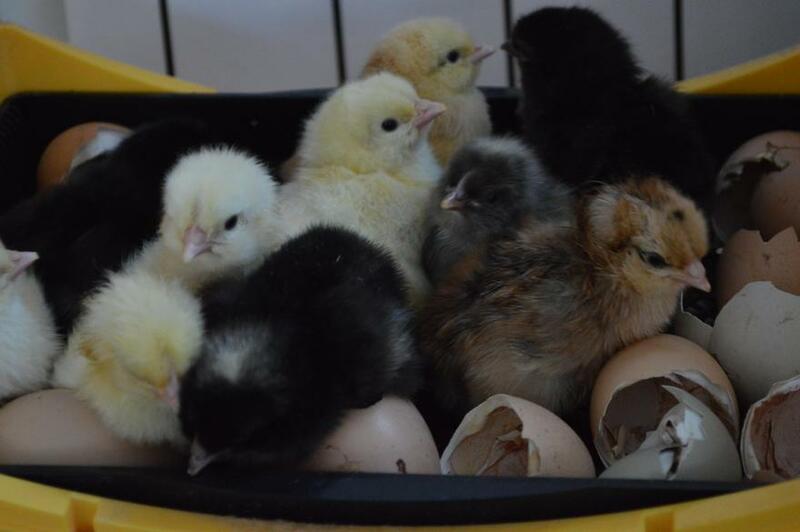 Our chicks have hatched - we have named one each and are taking special care of them. 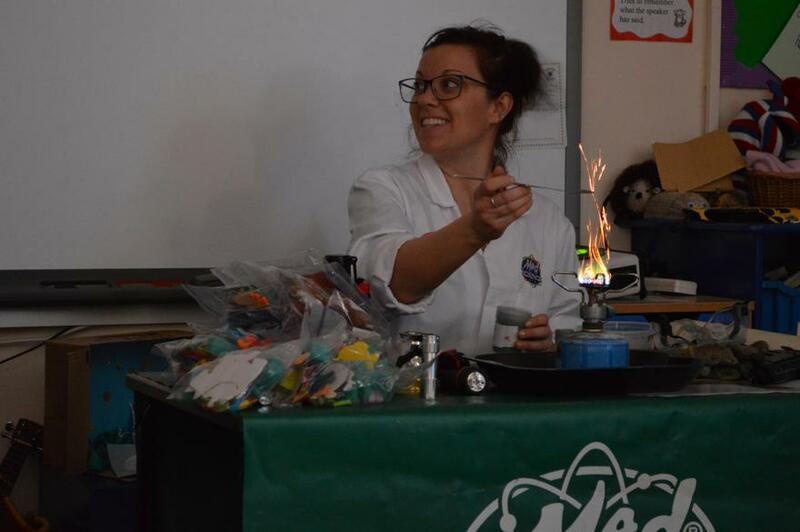 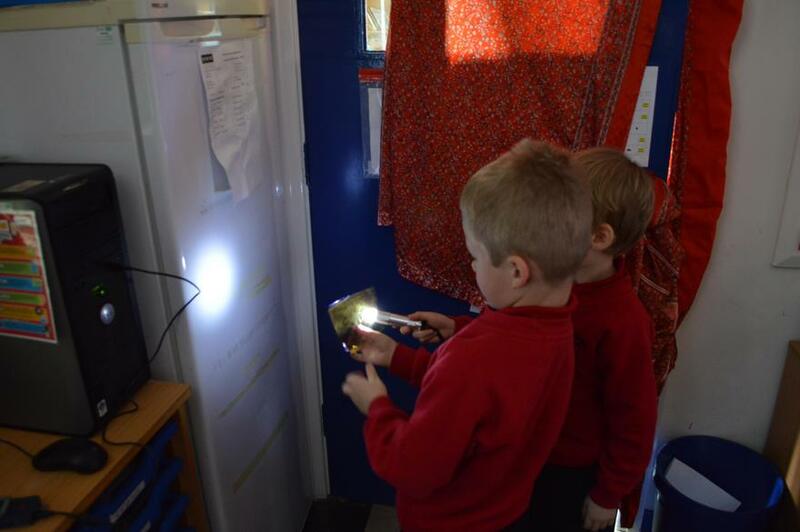 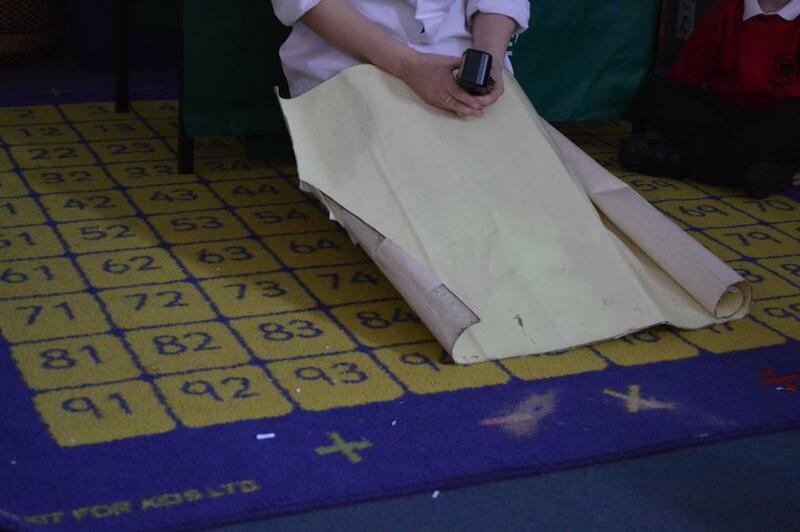 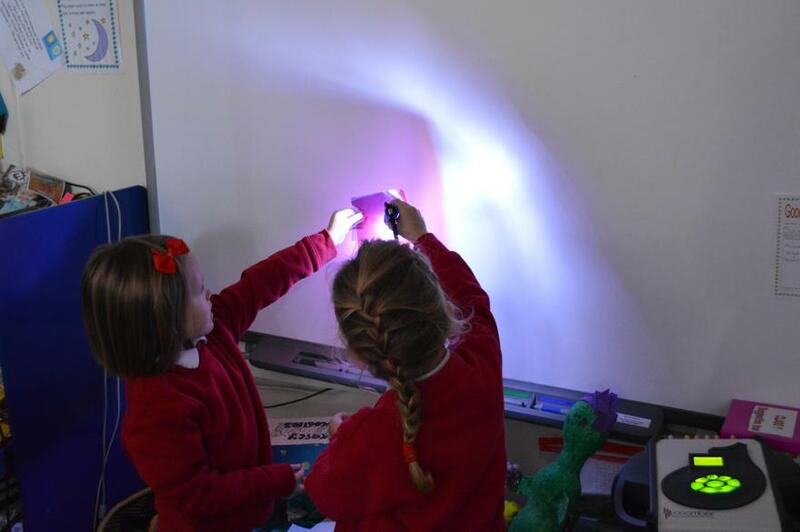 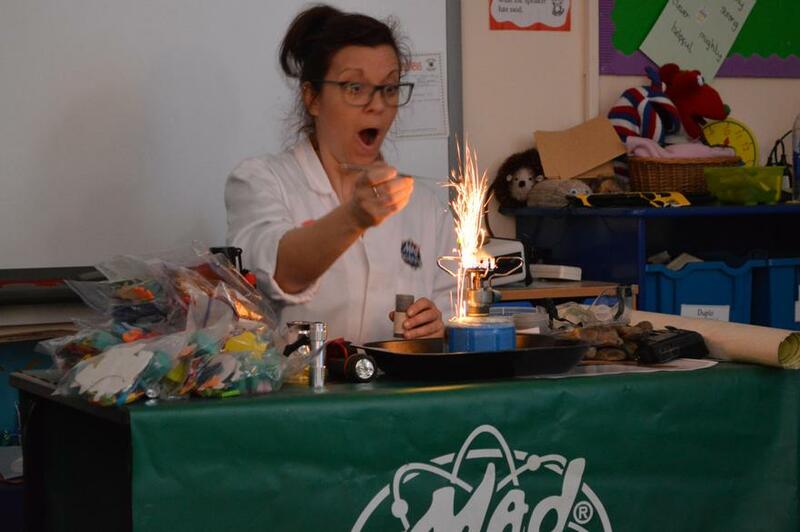 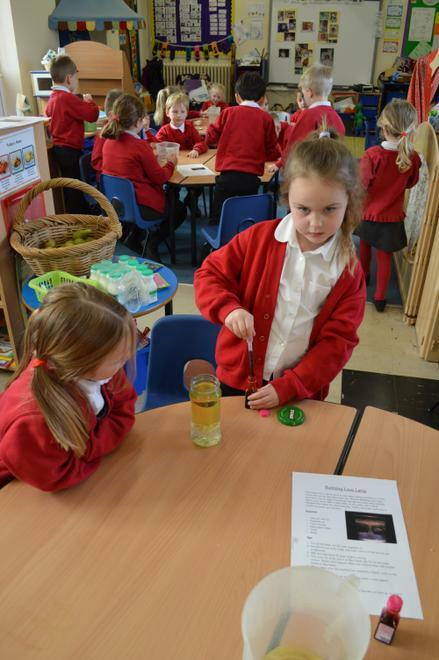 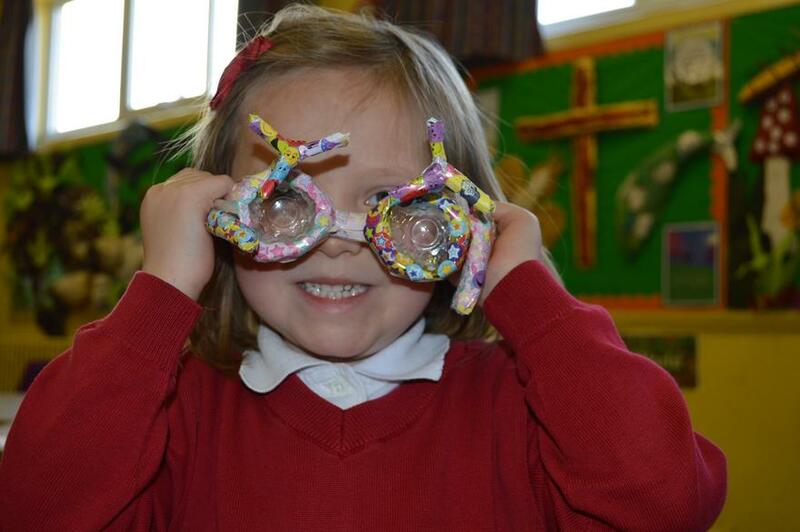 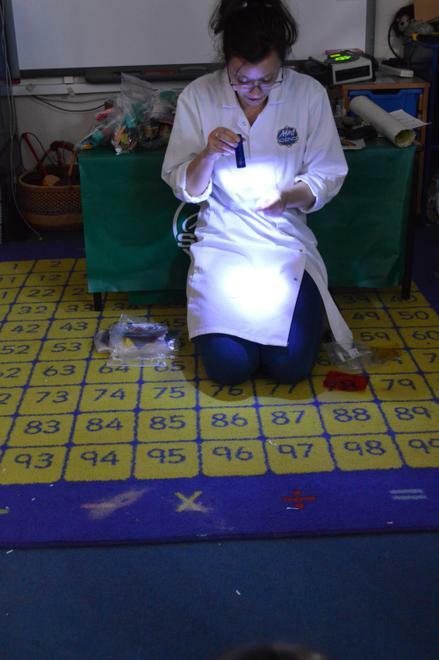 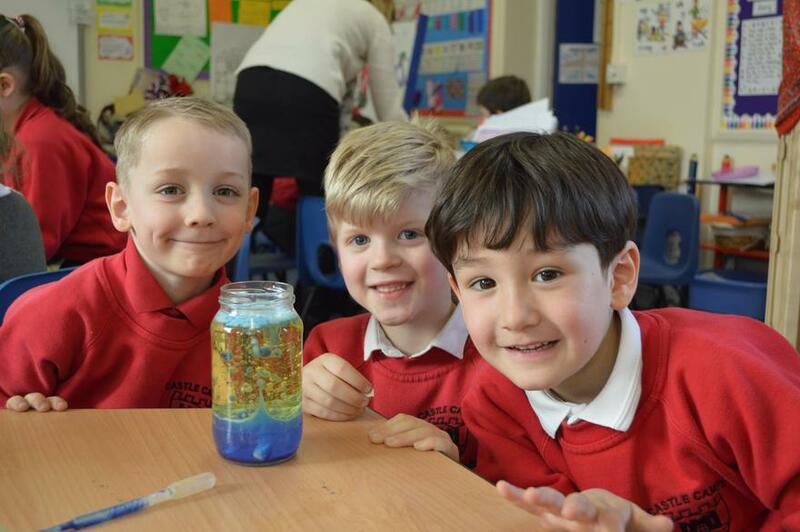 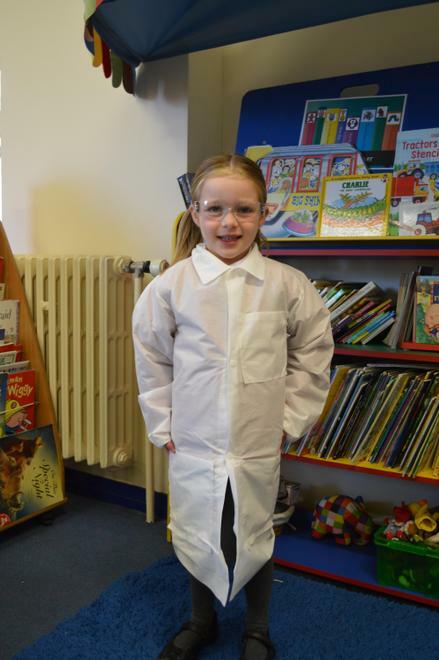 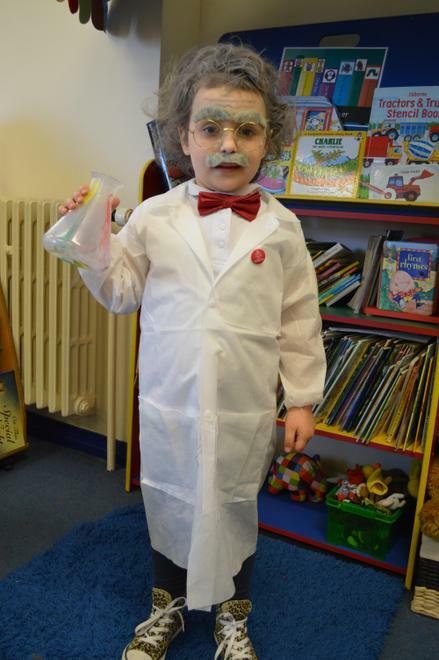 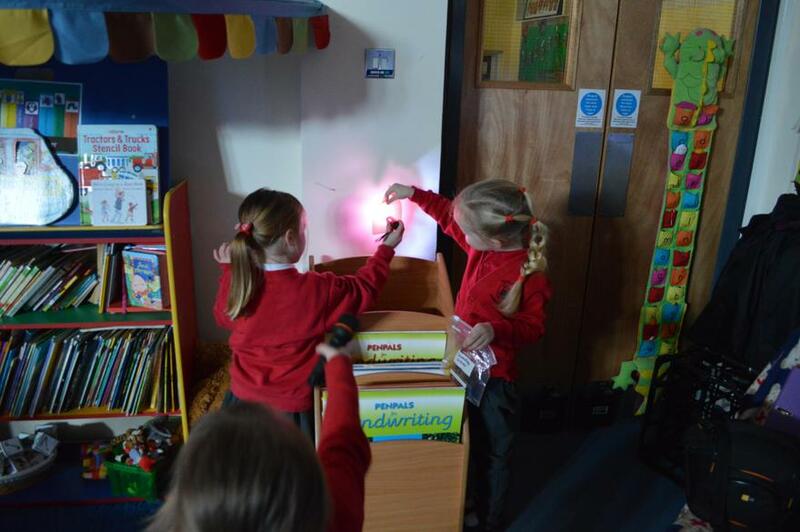 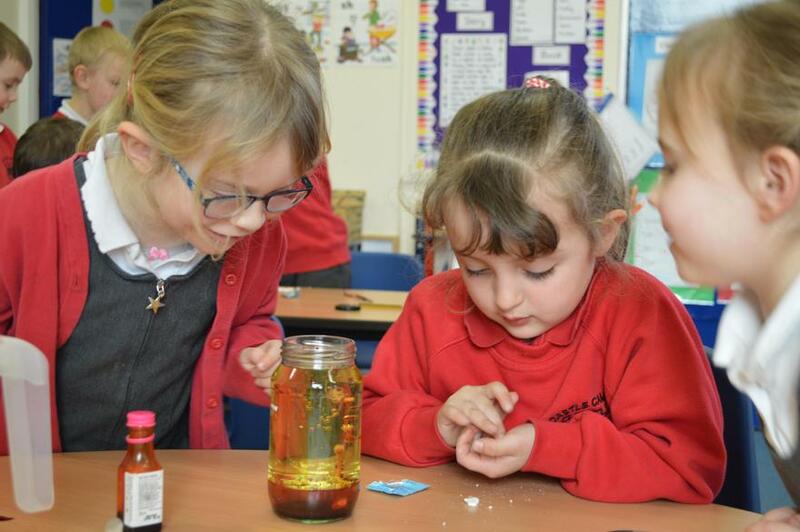 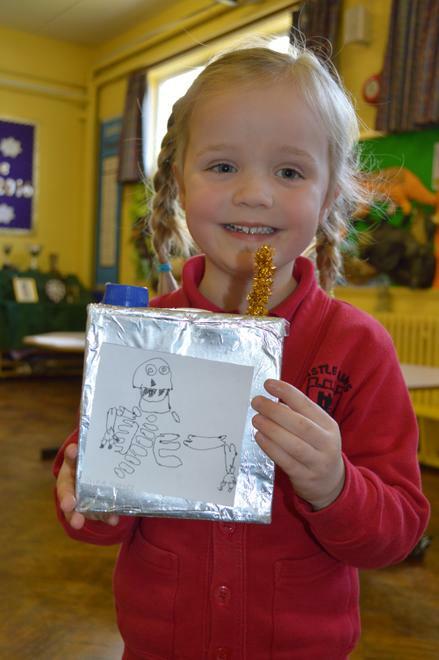 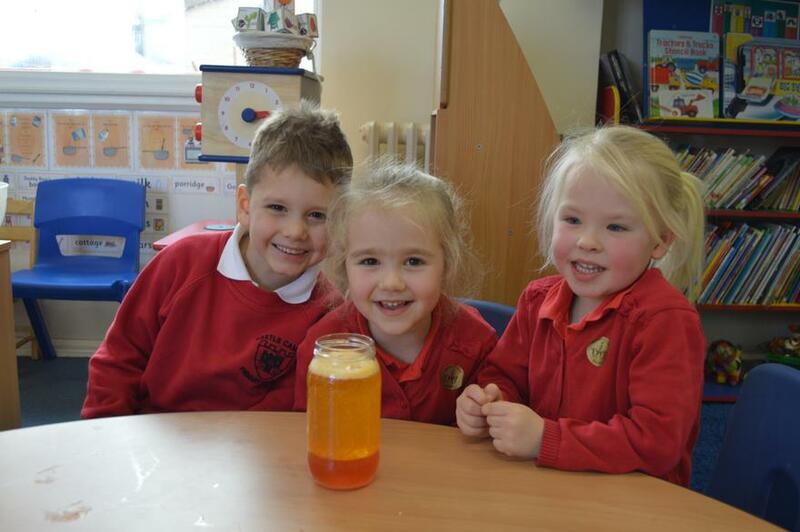 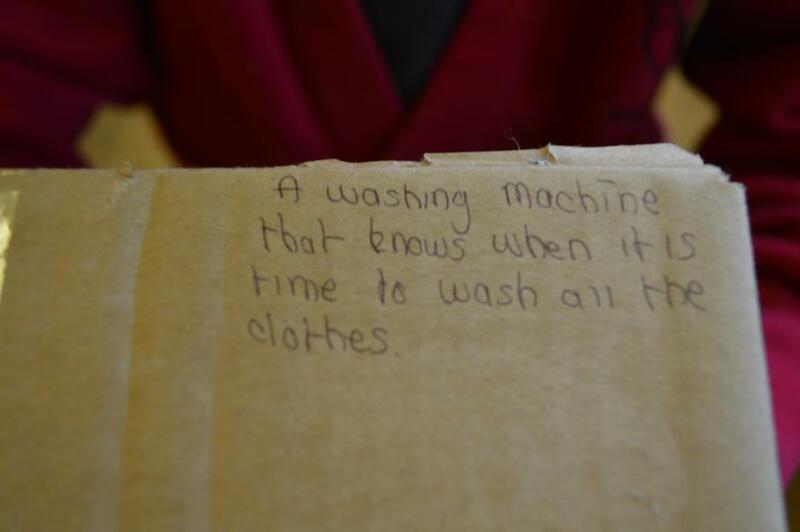 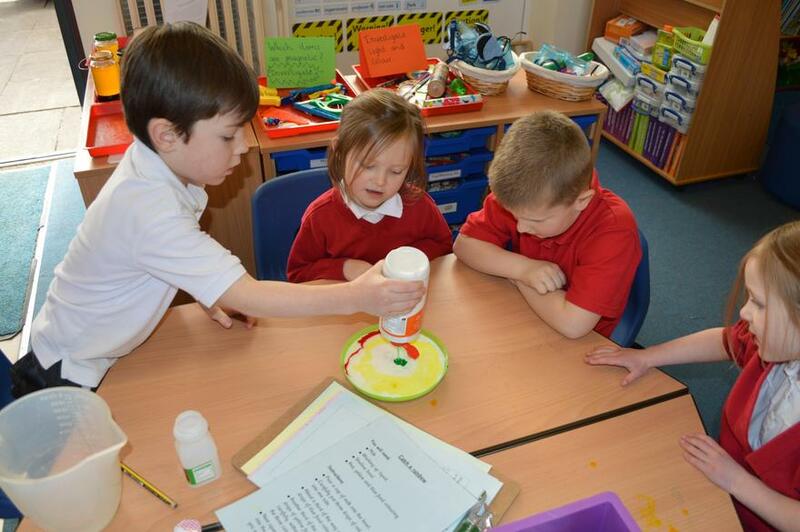 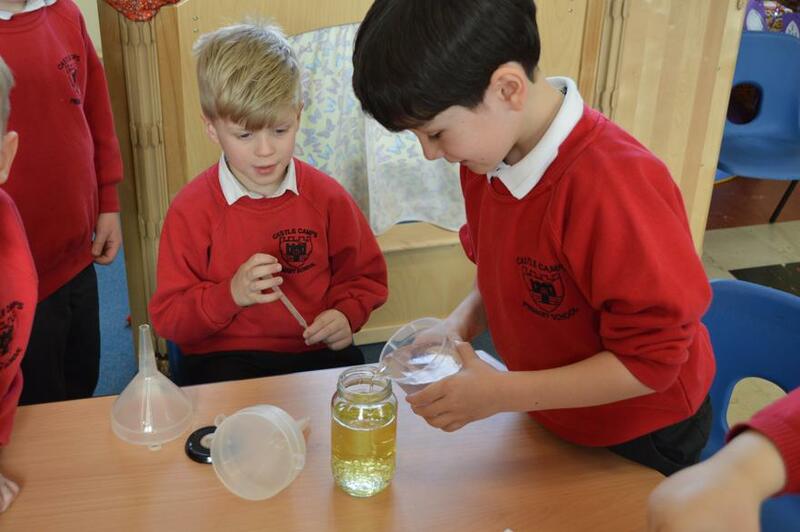 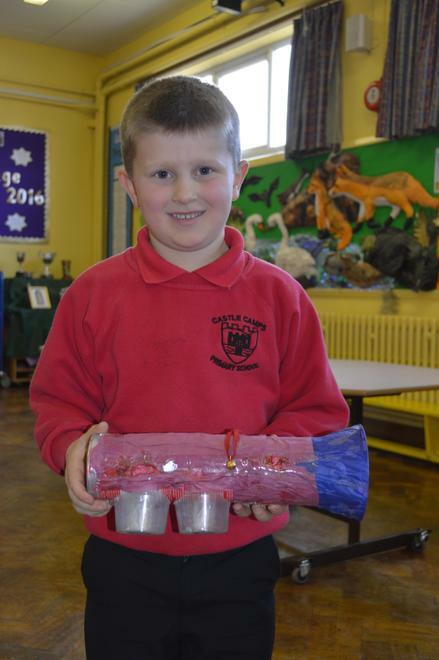 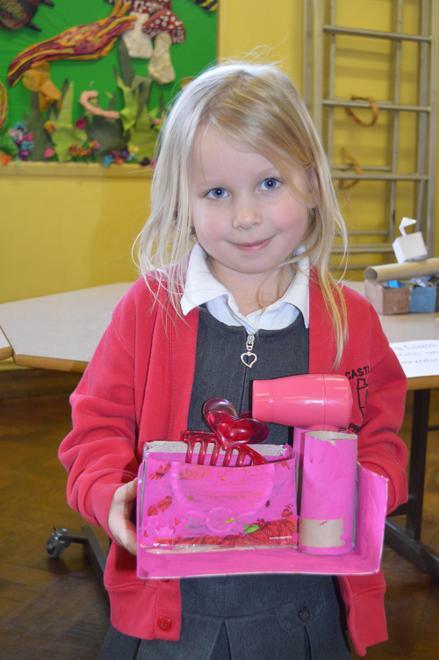 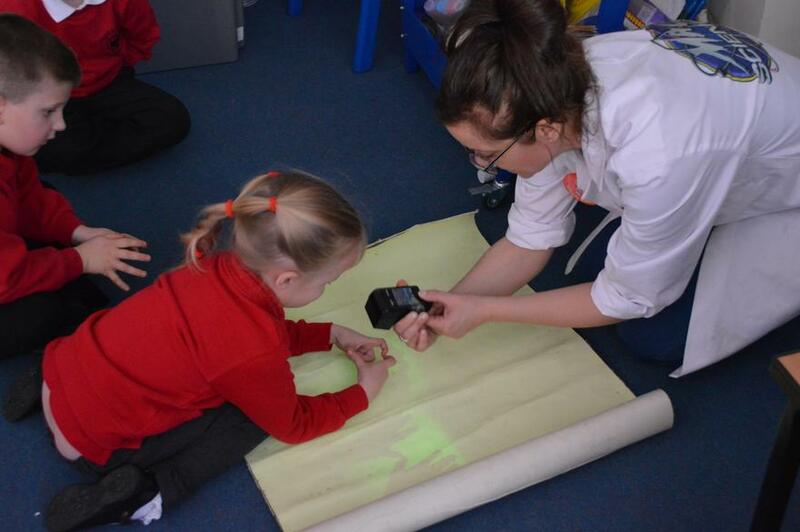 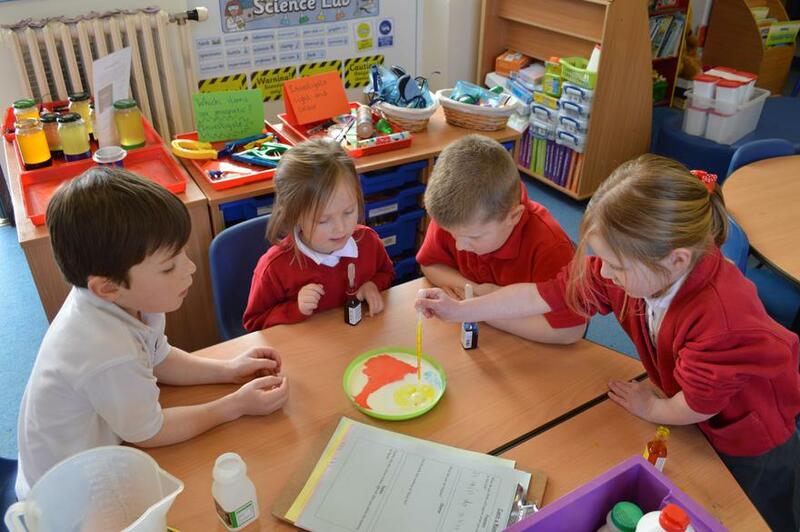 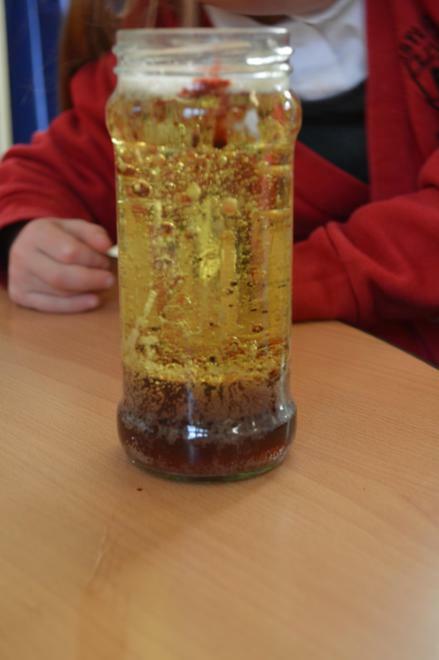 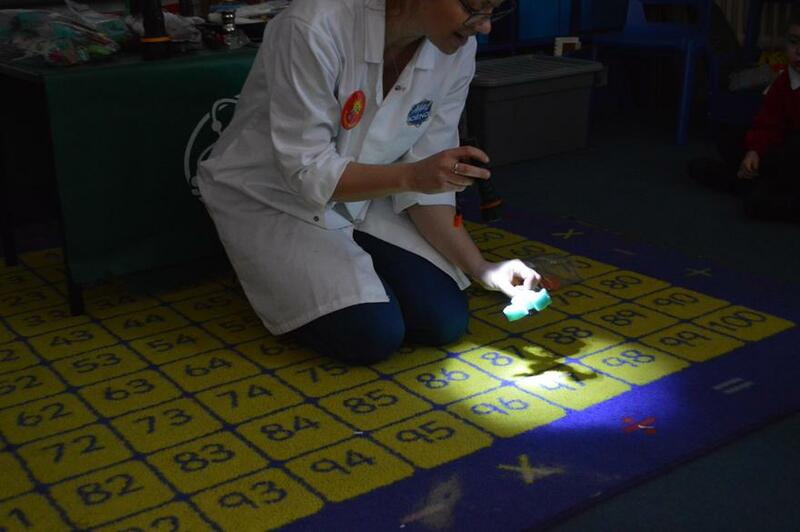 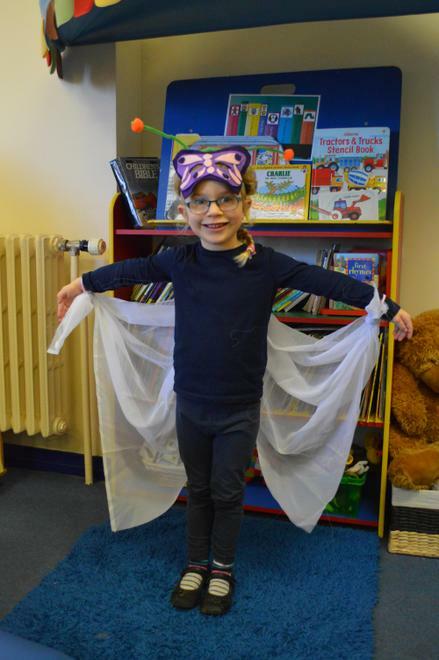 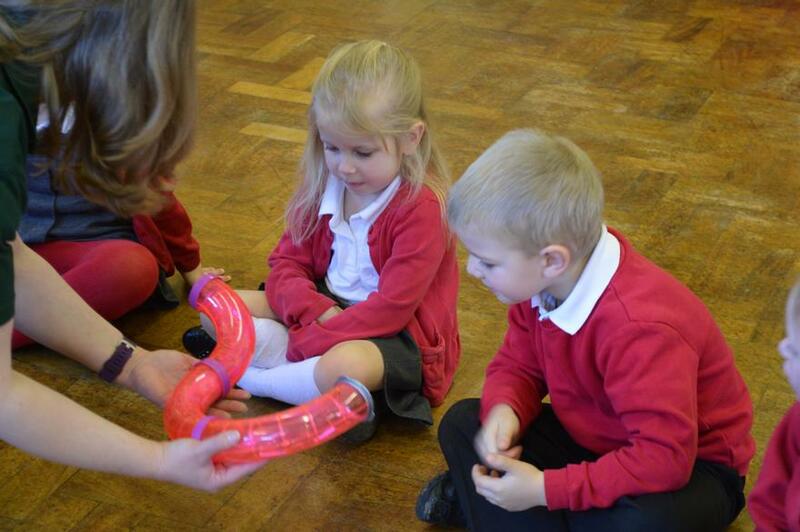 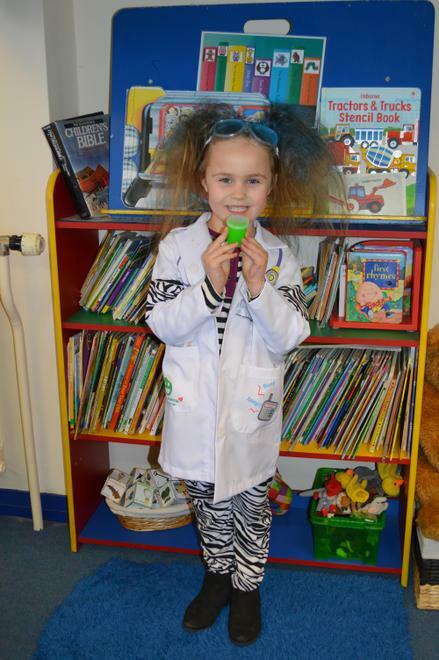 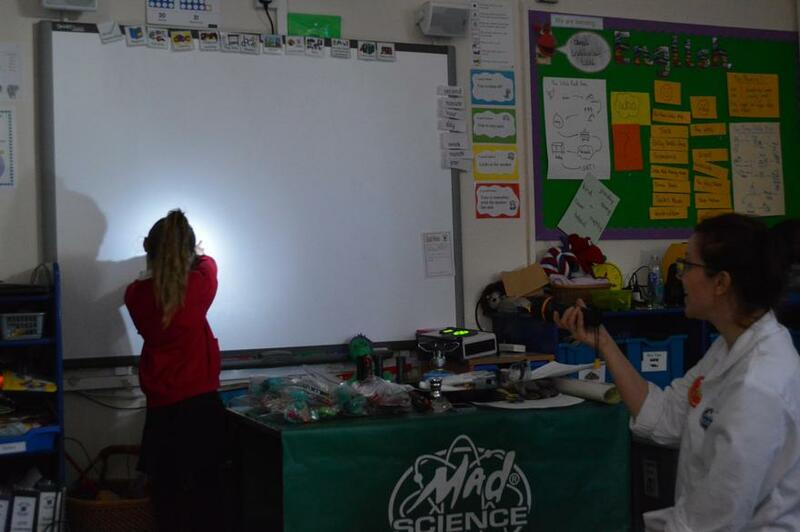 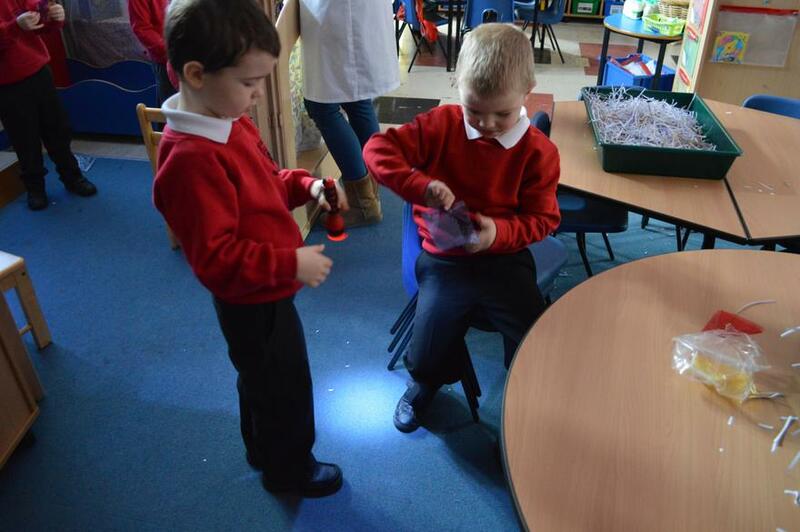 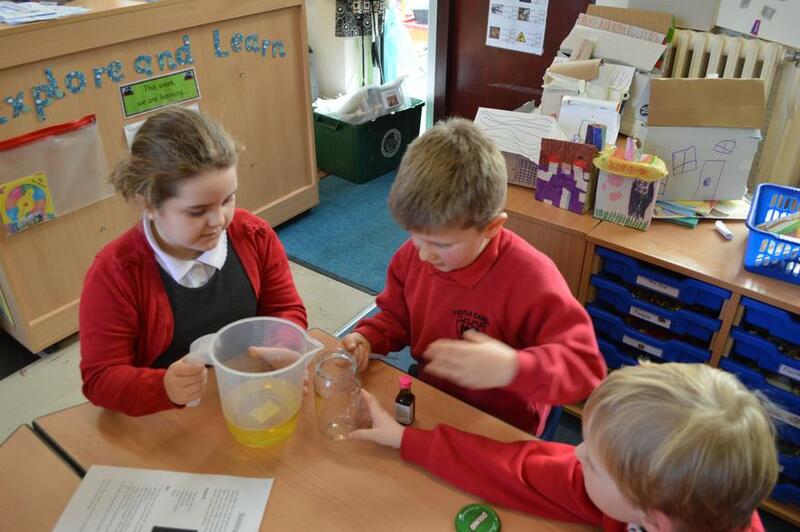 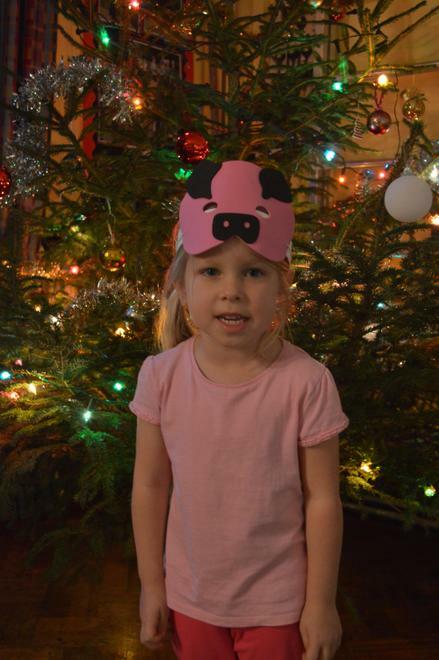 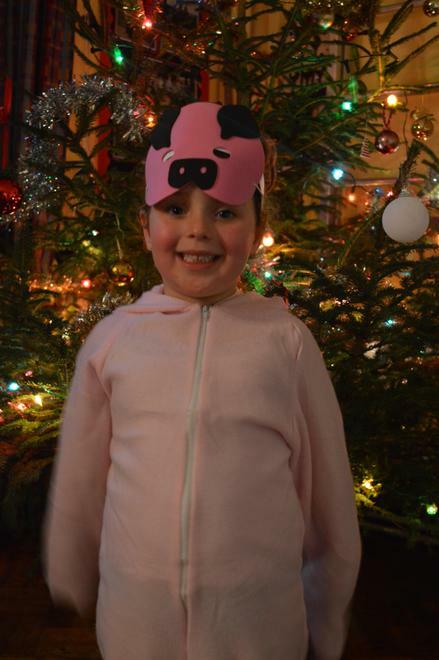 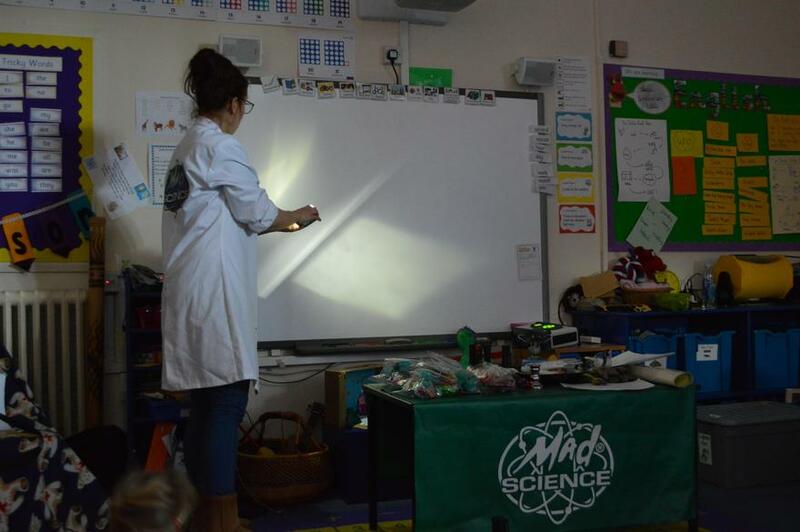 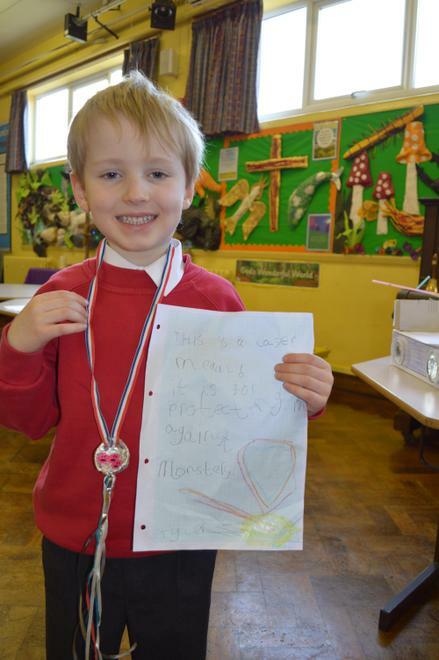 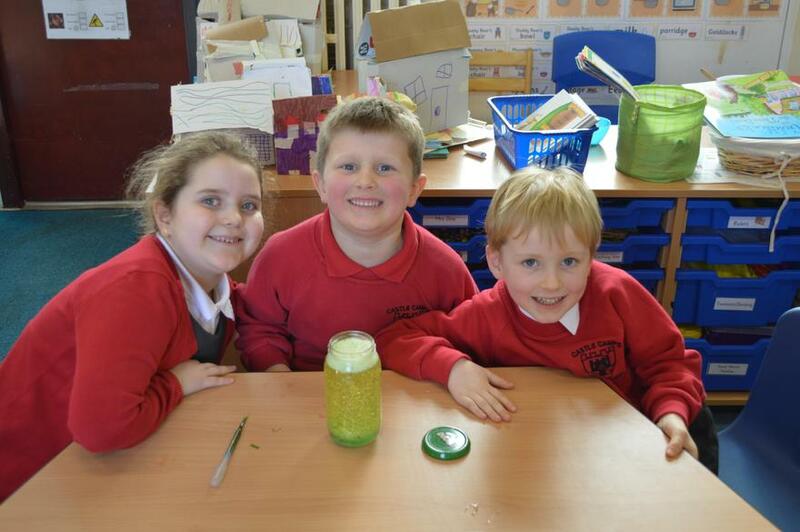 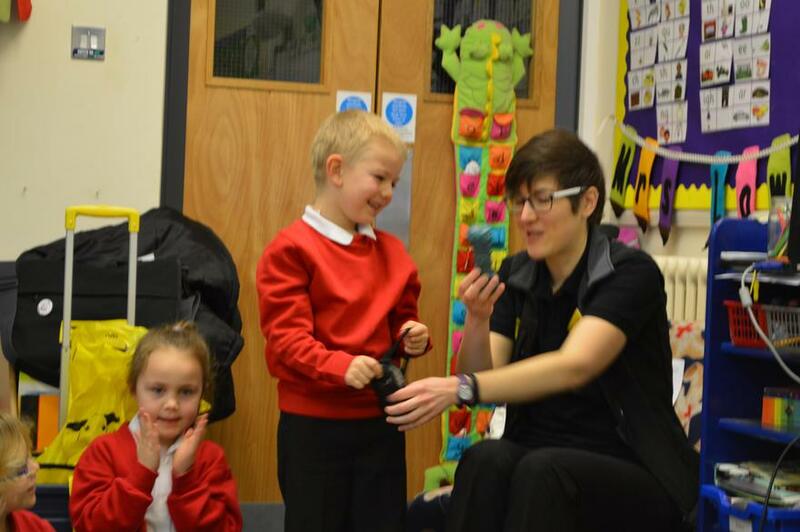 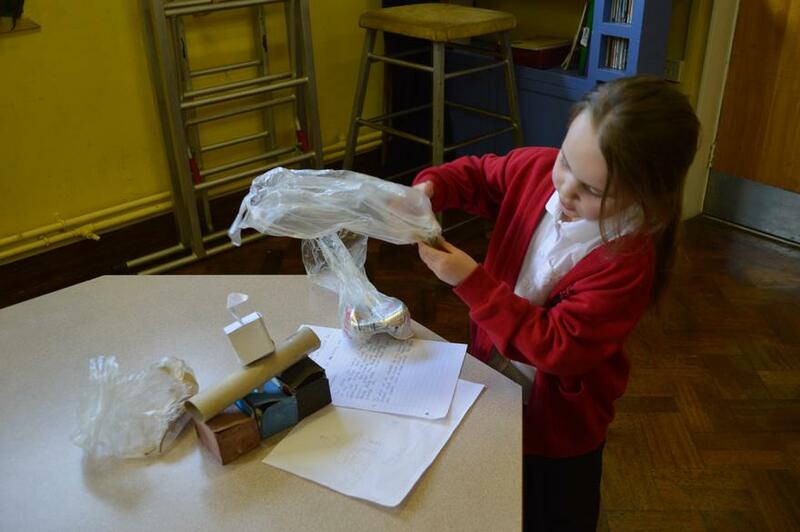 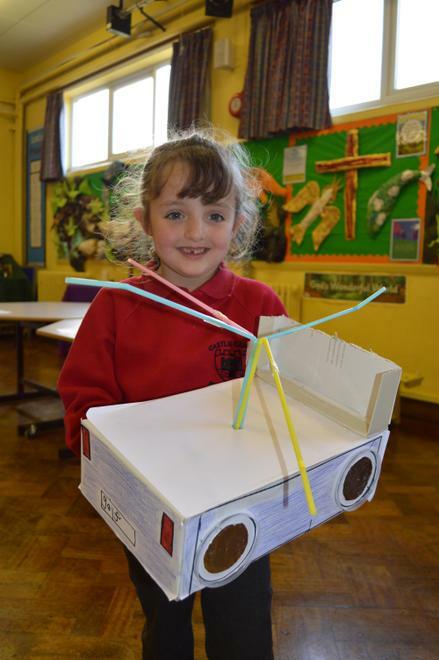 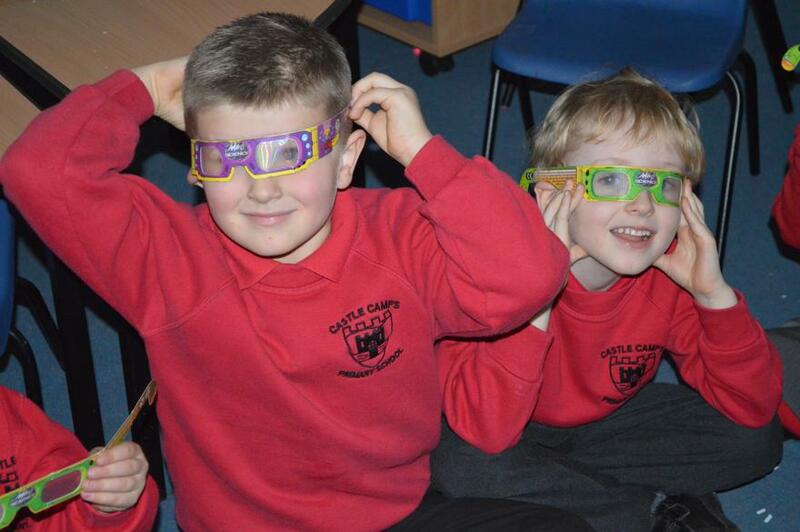 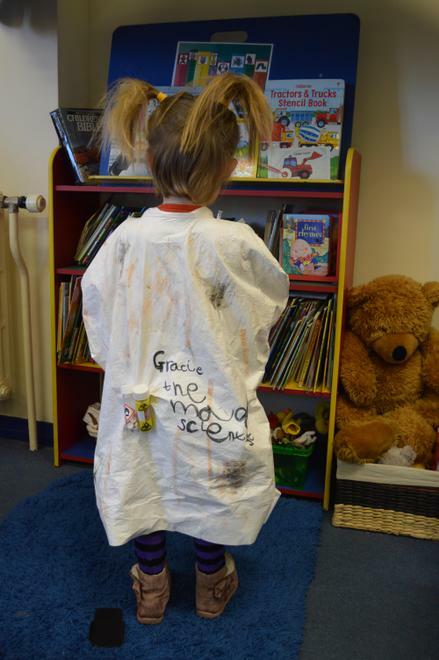 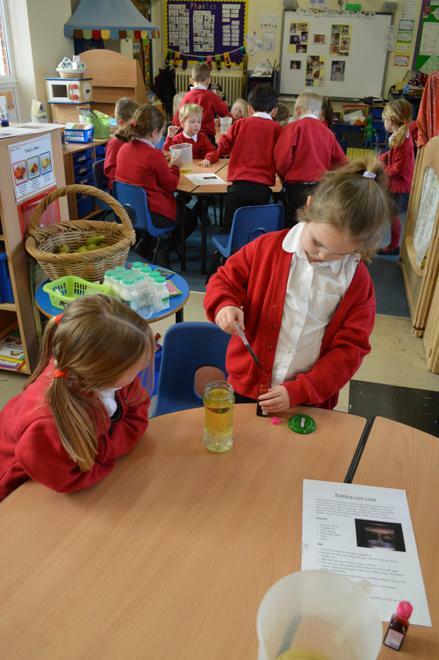 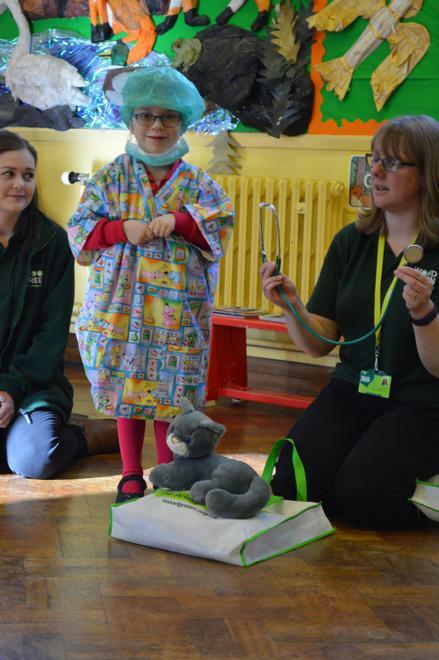 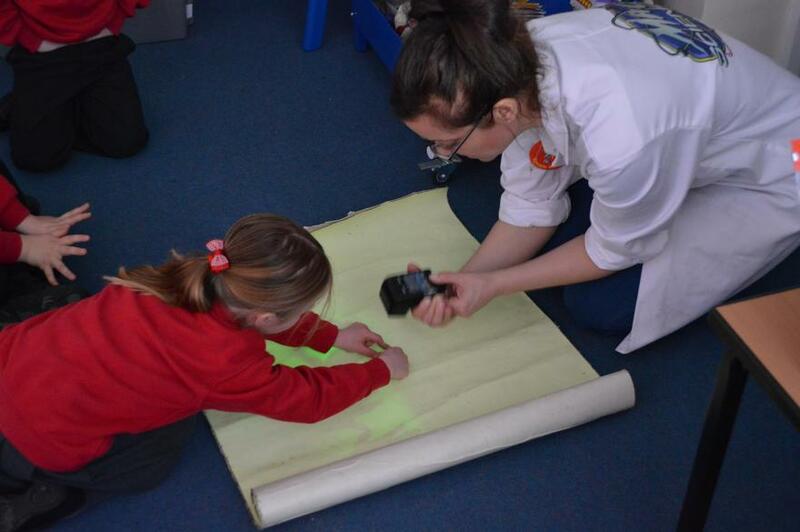 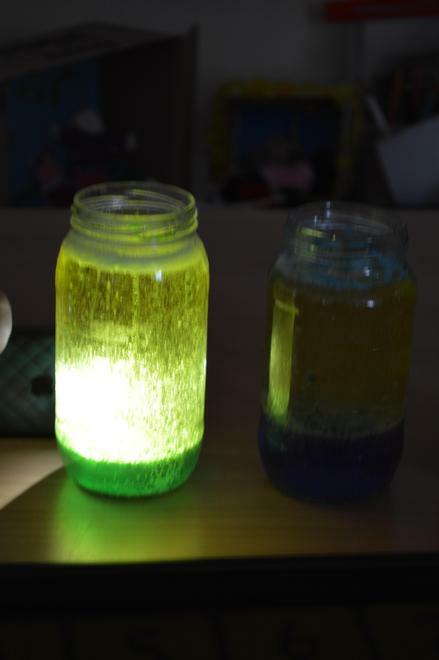 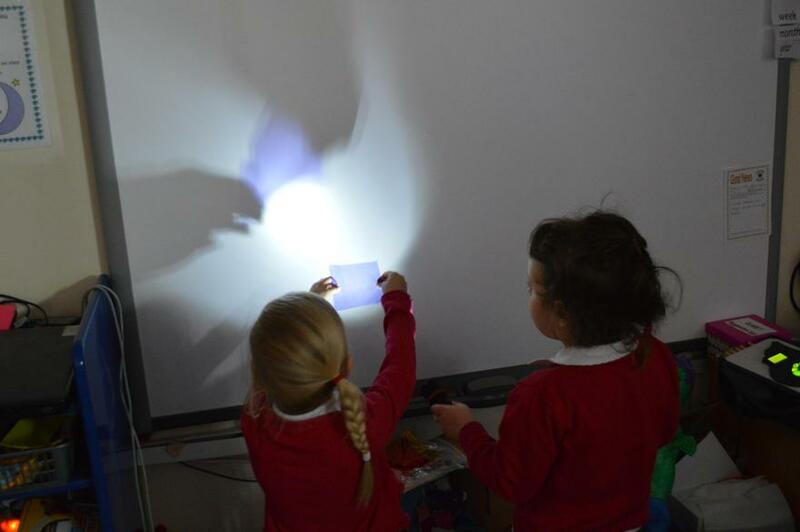 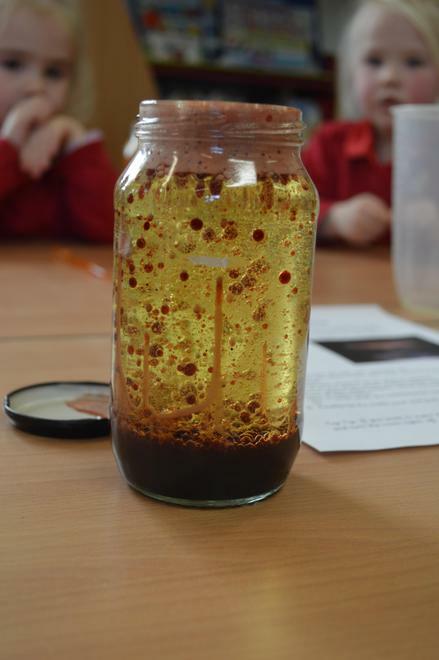 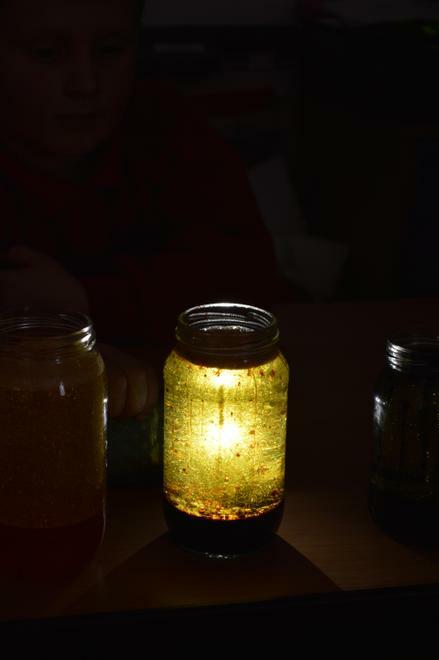 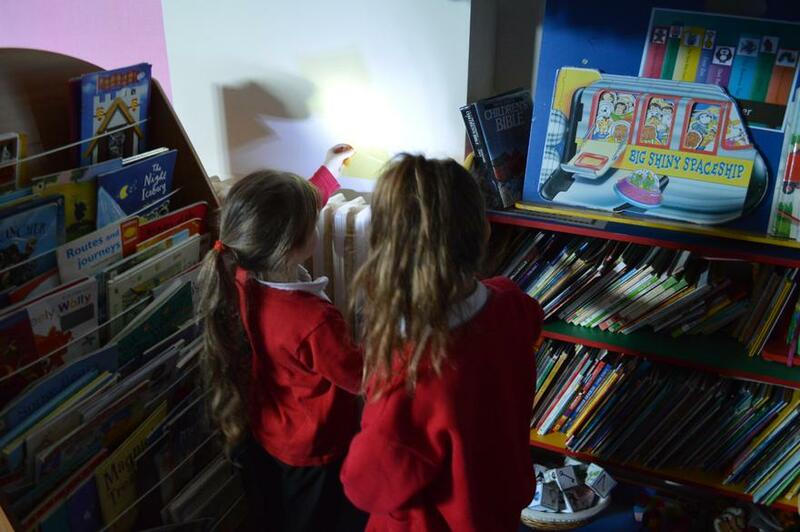 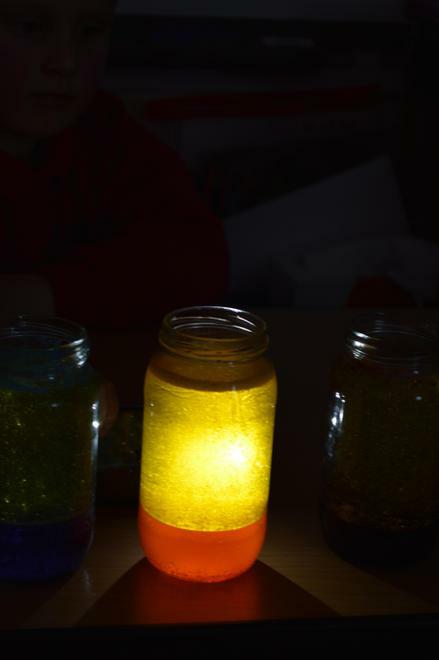 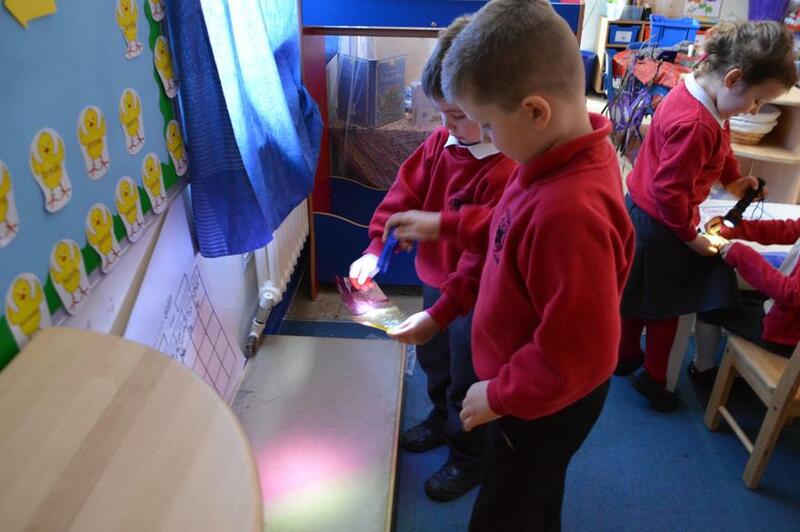 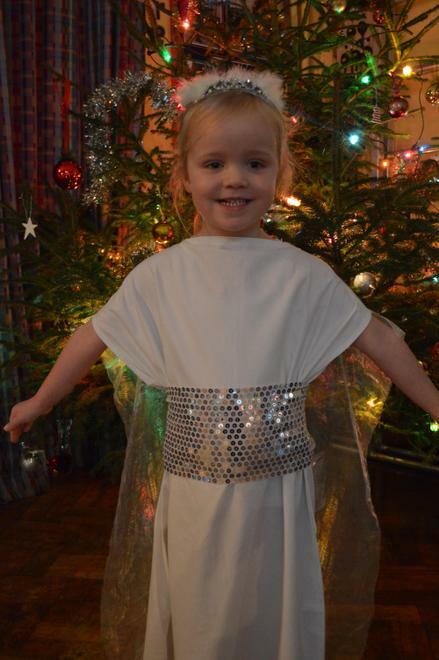 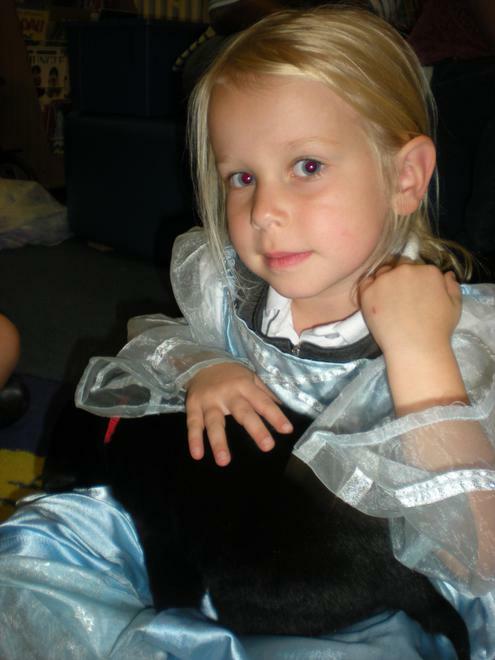 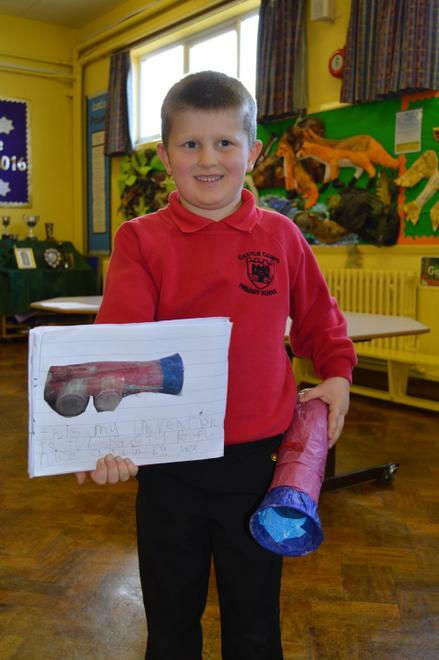 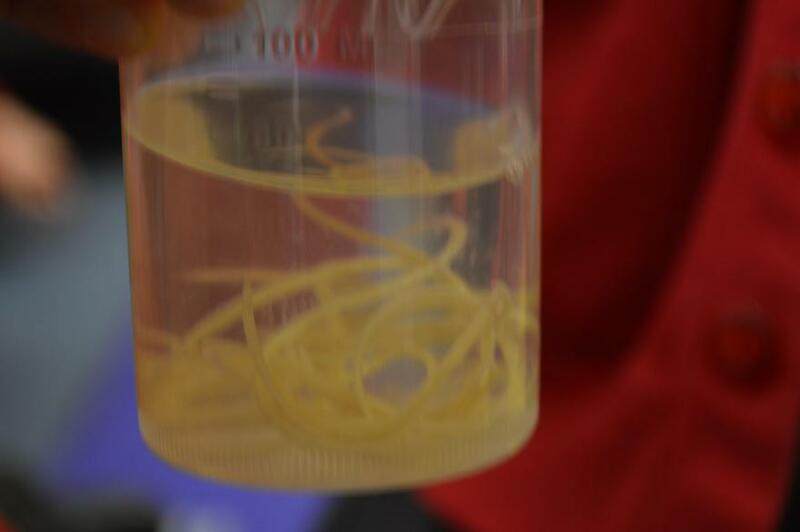 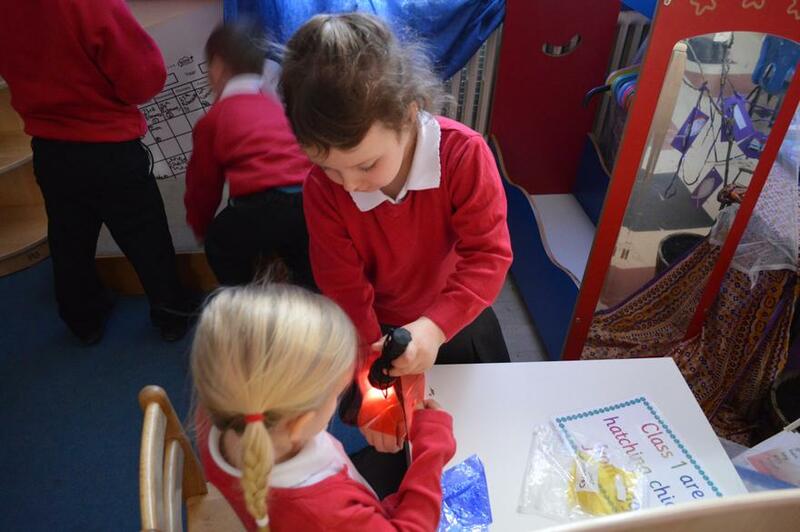 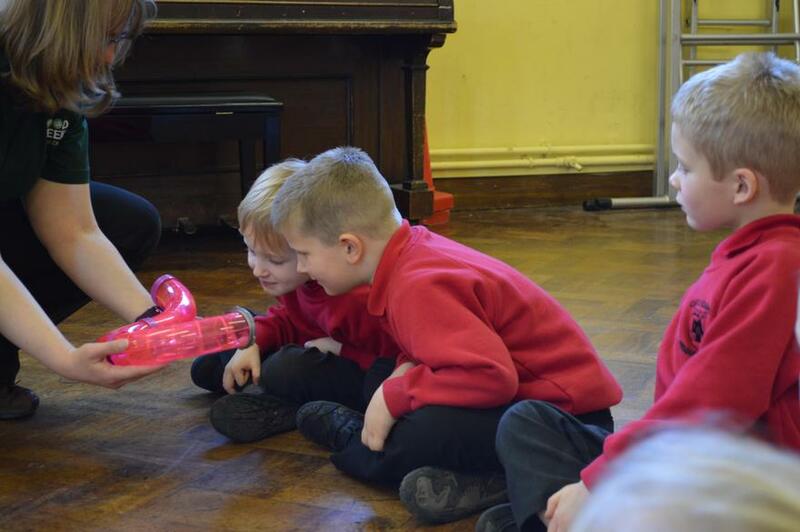 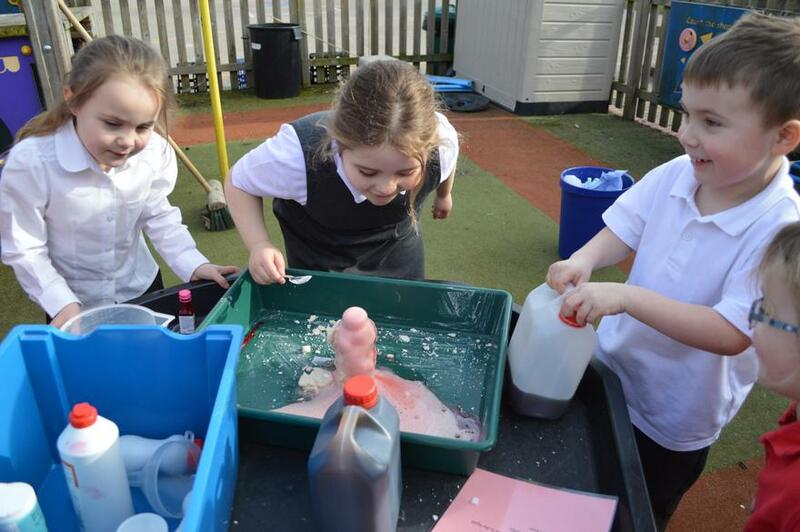 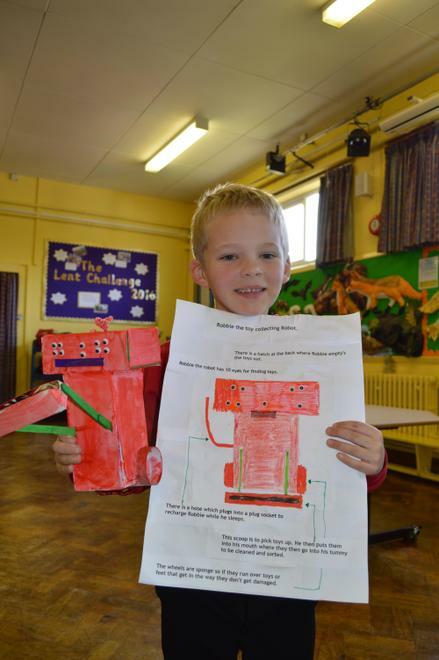 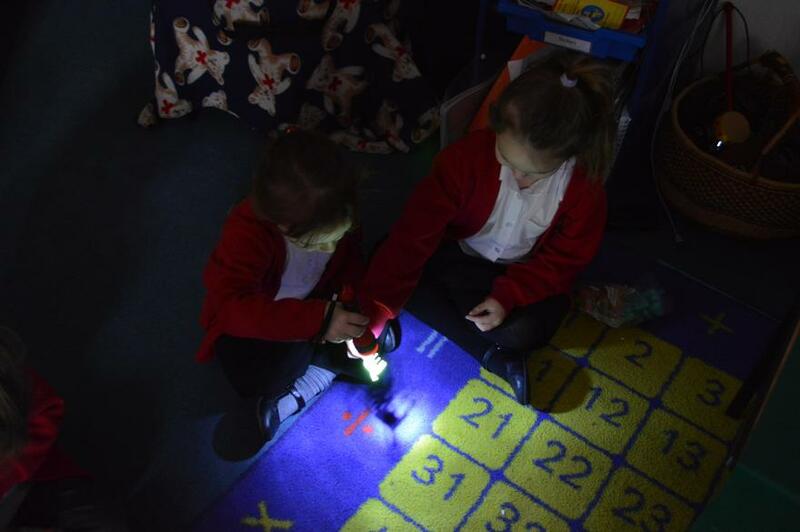 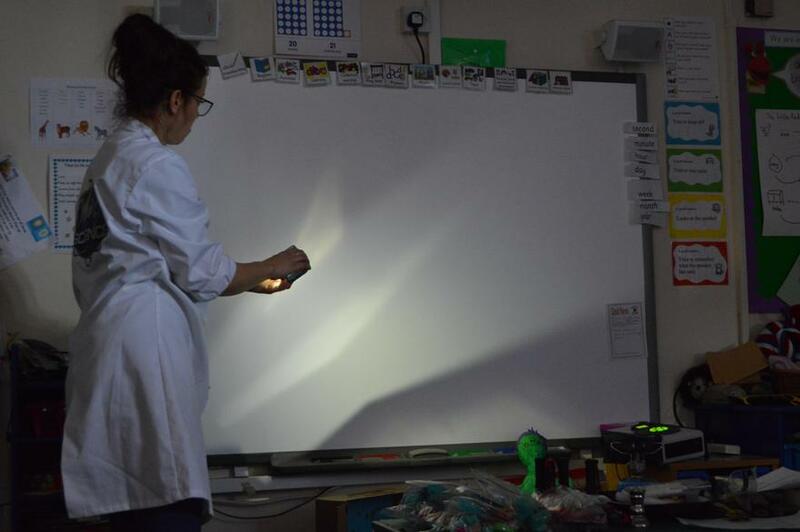 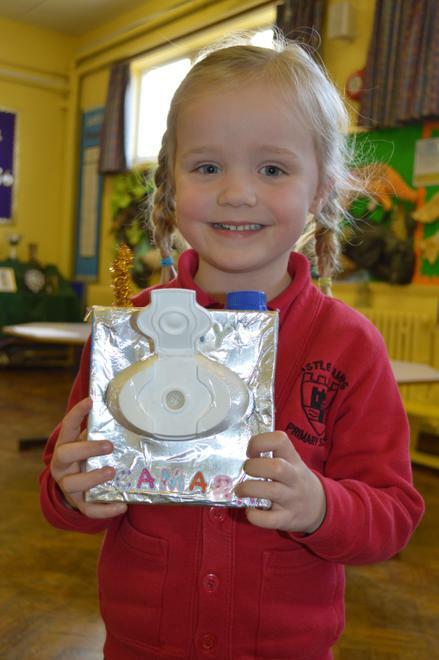 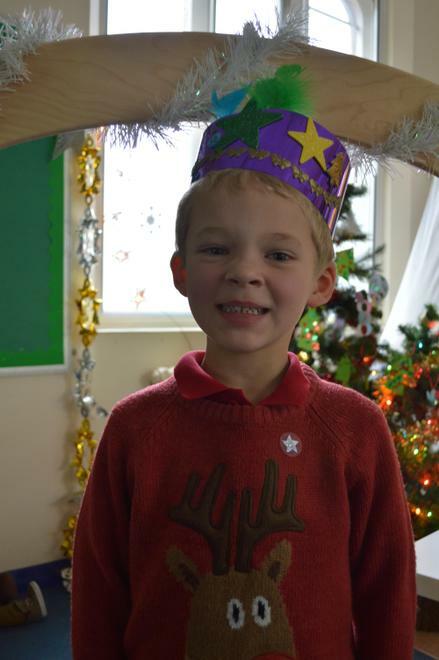 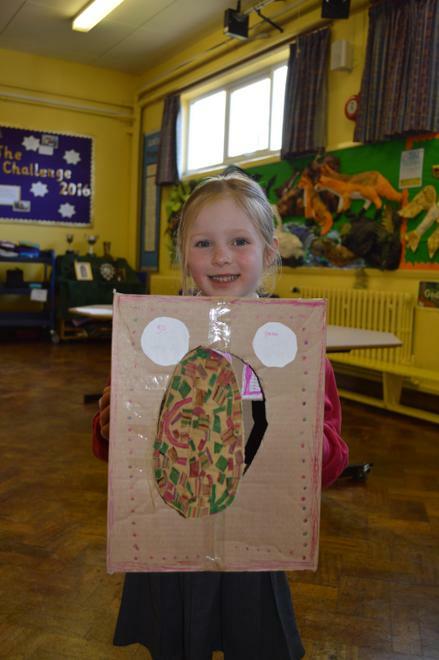 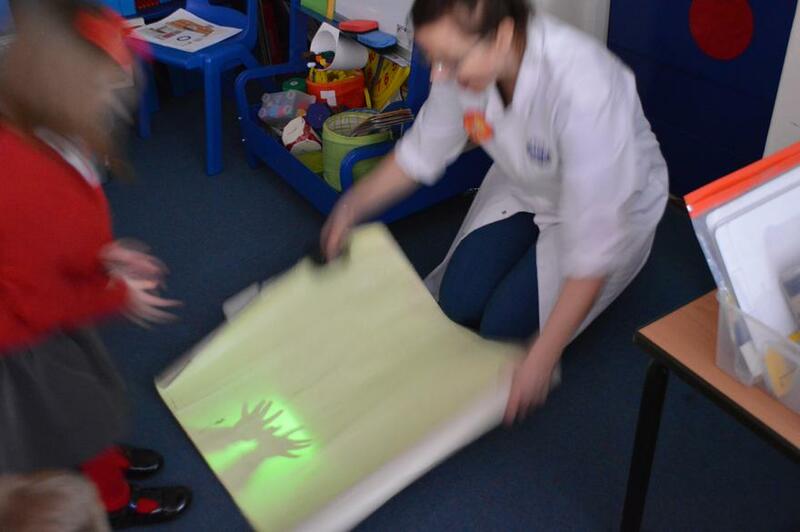 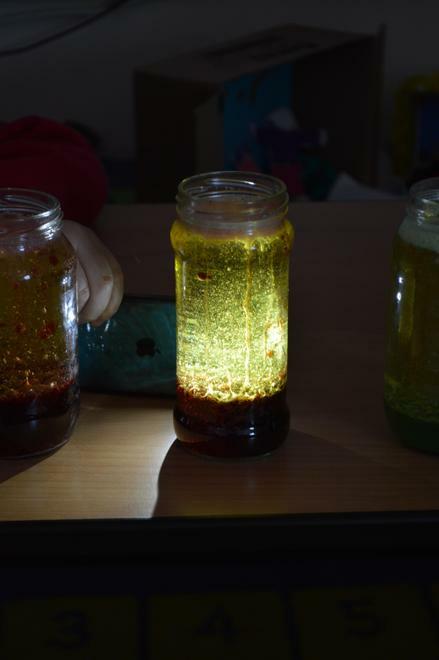 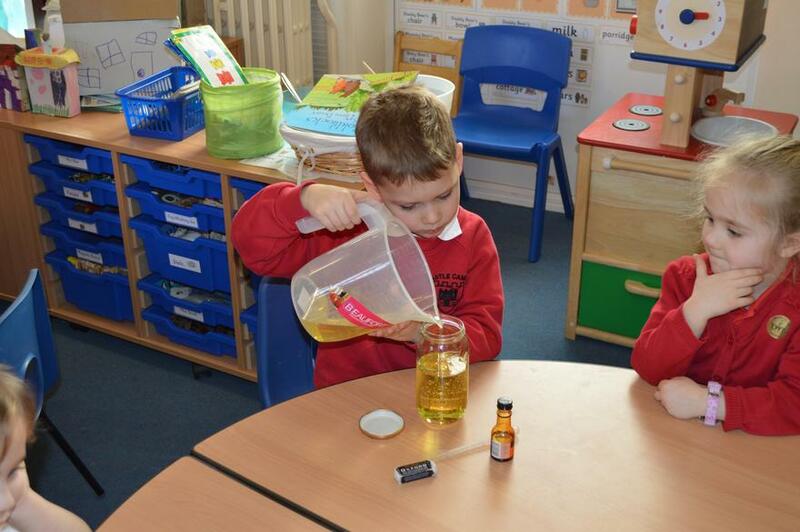 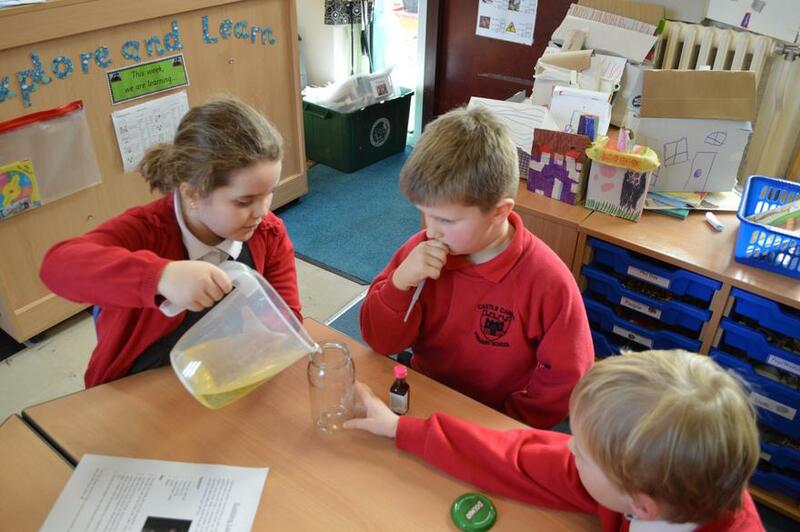 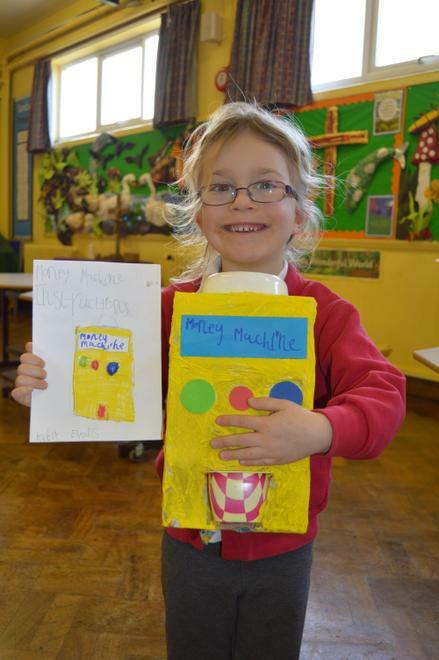 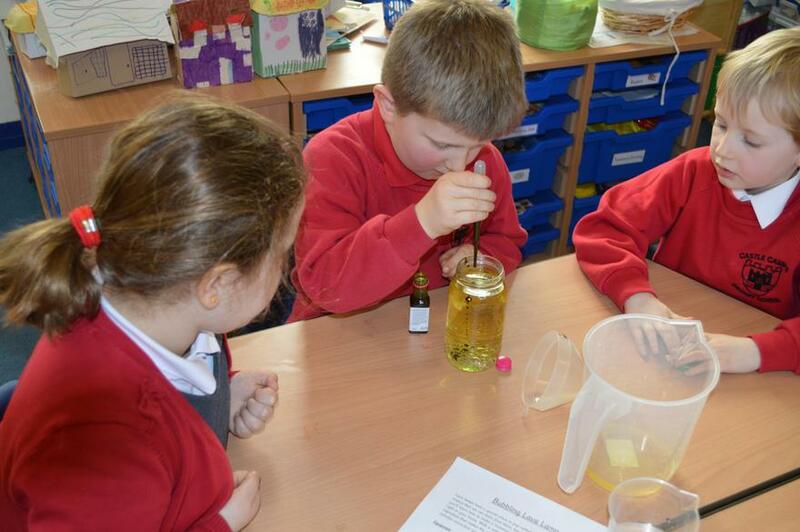 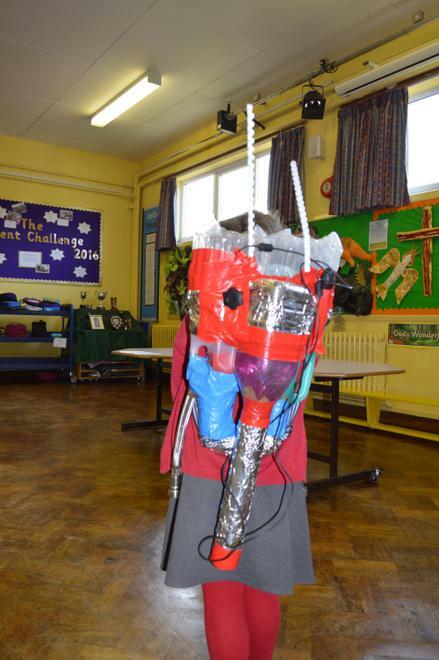 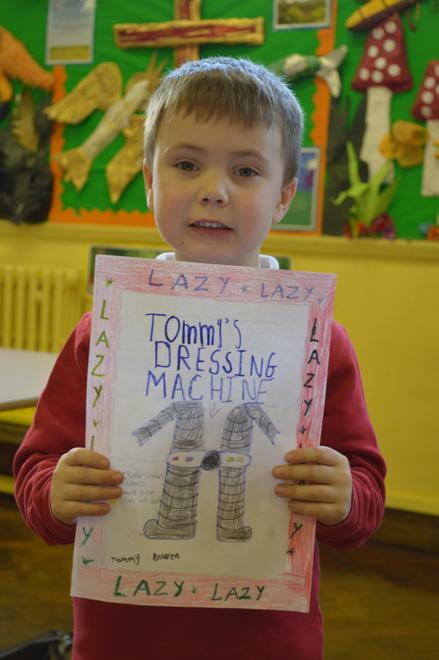 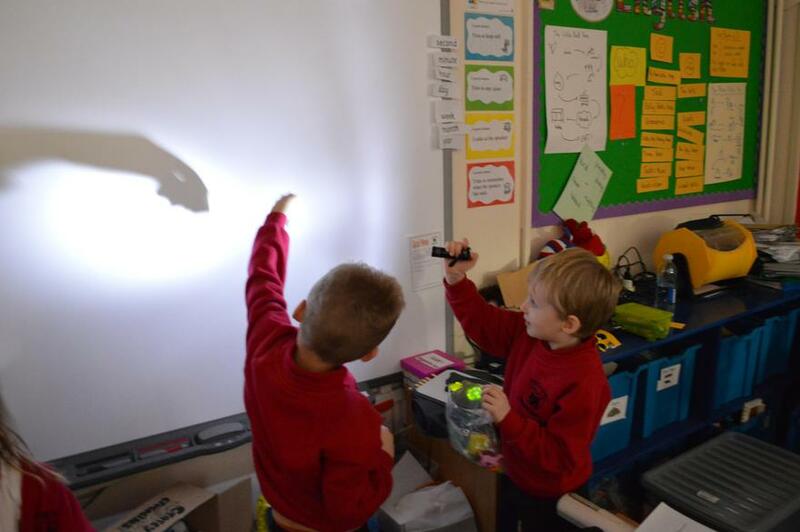 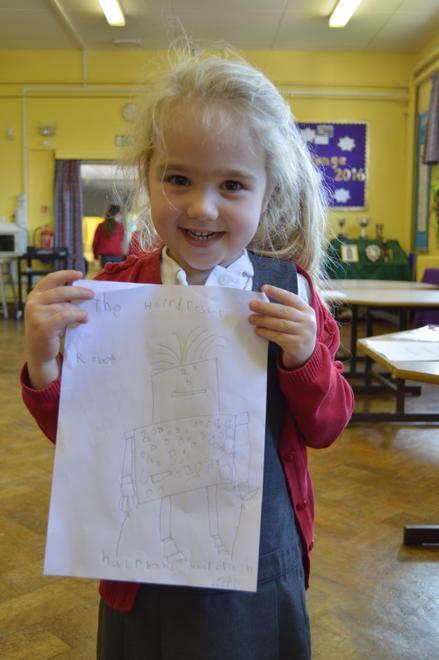 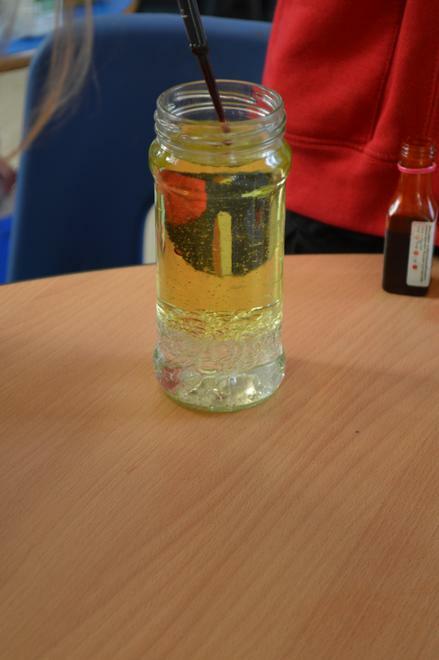 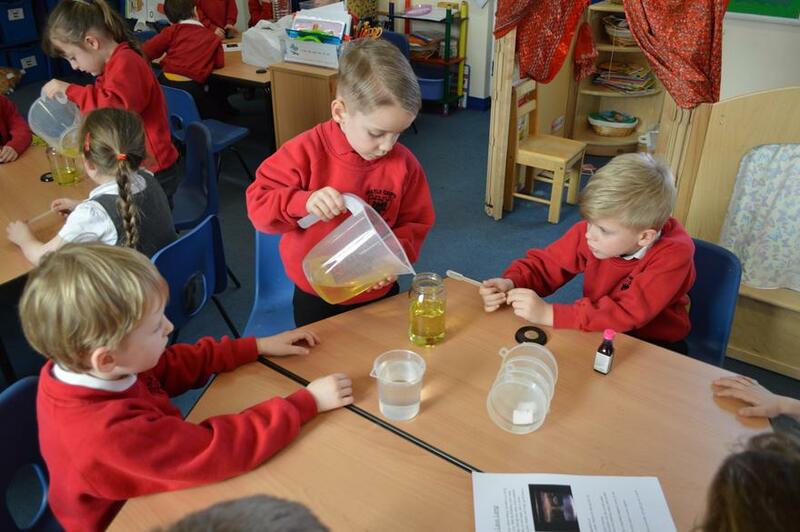 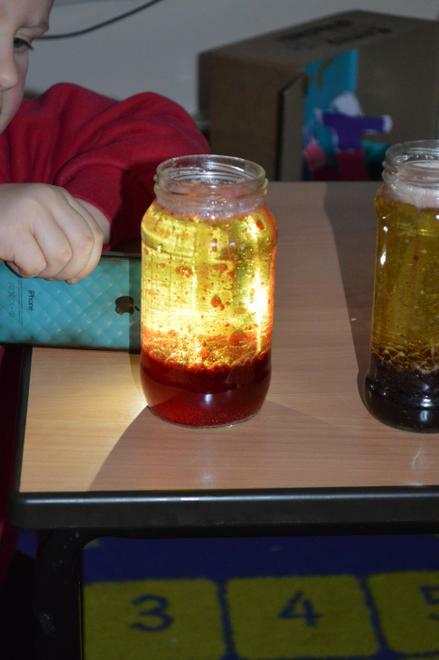 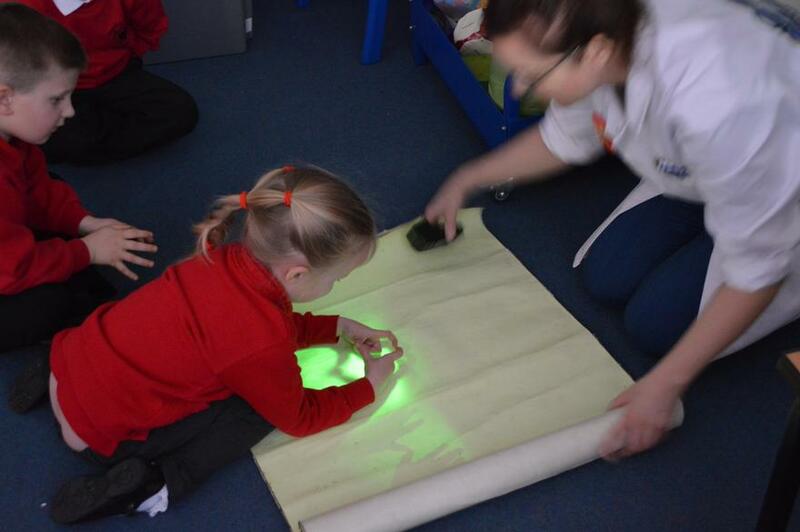 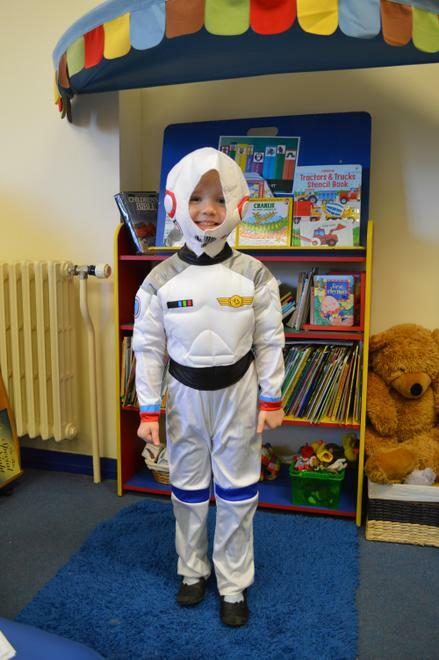 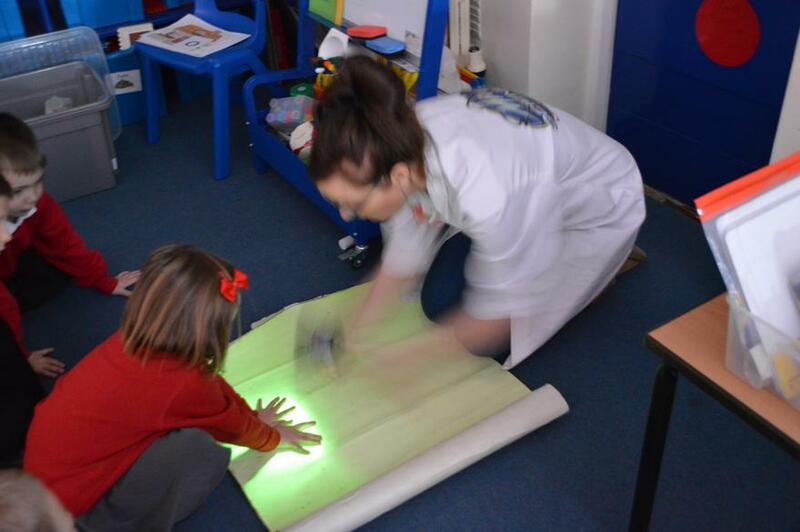 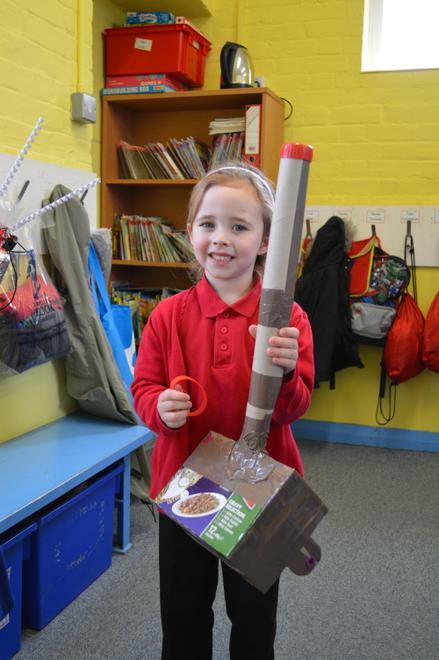 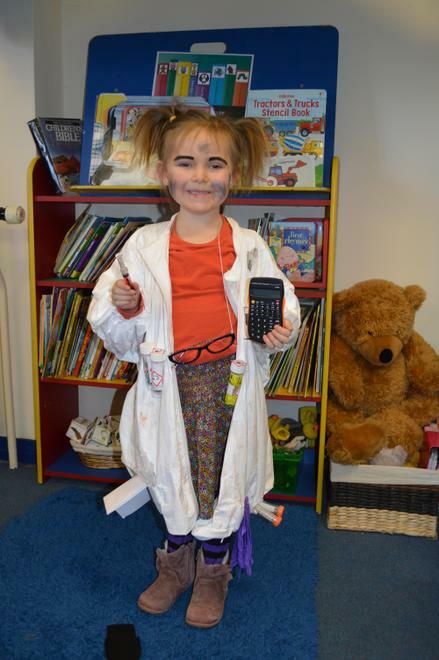 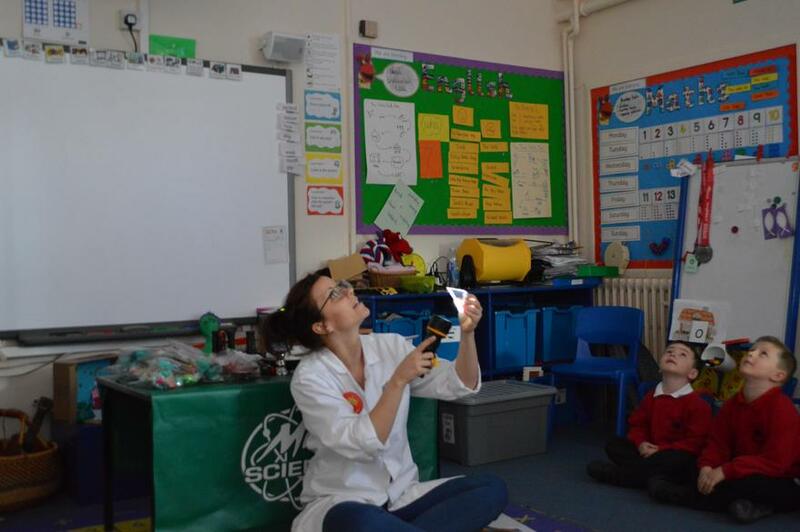 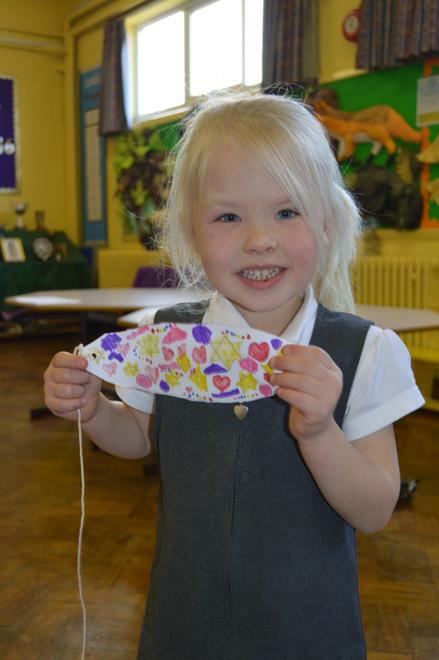 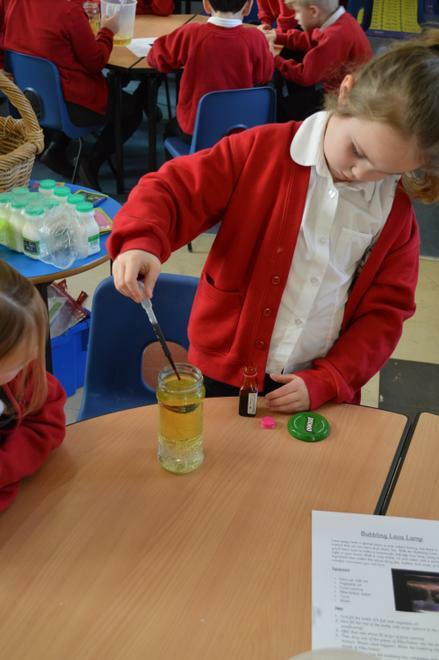 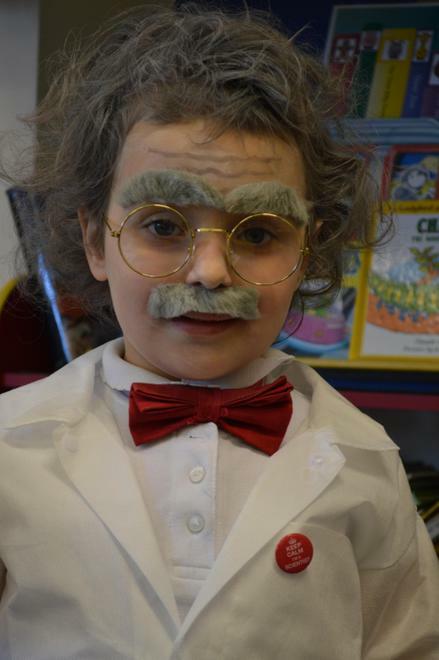 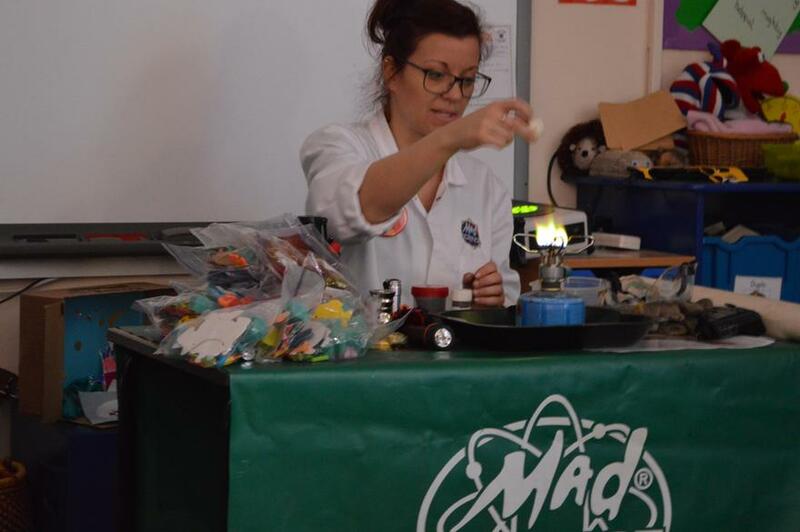 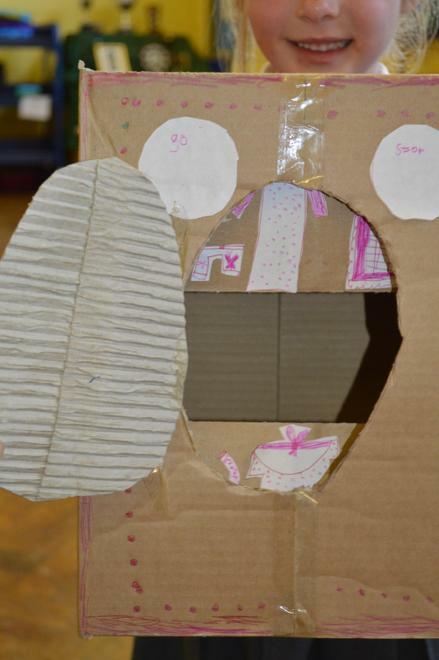 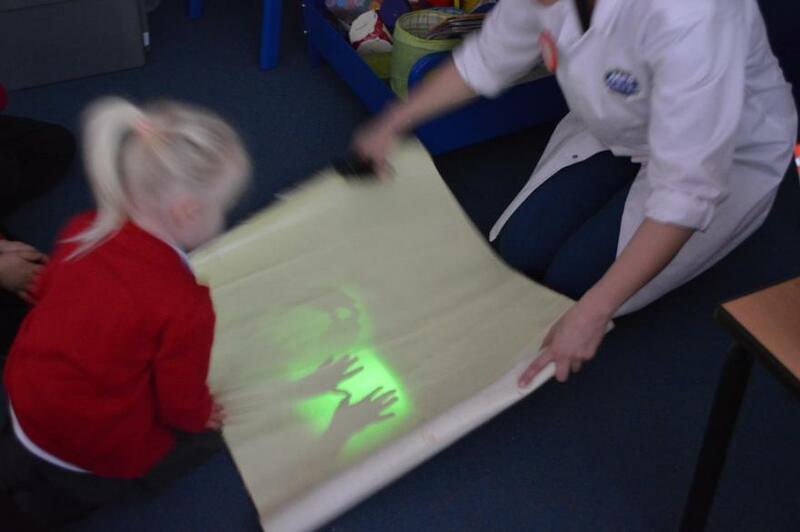 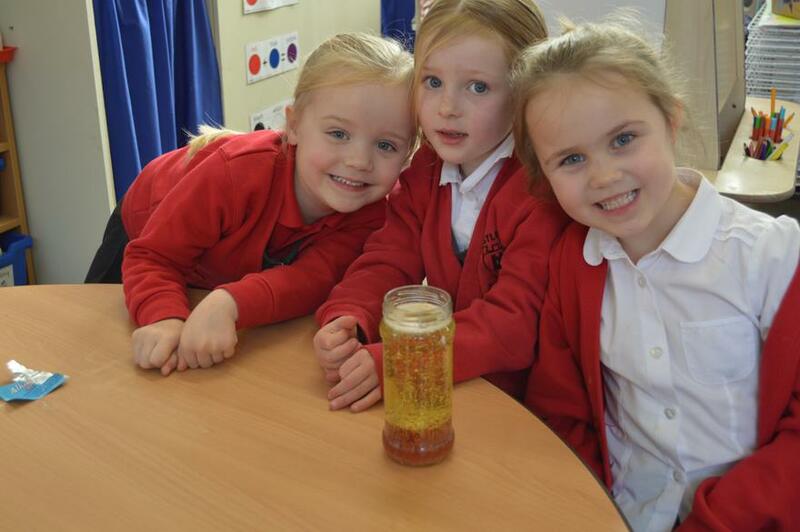 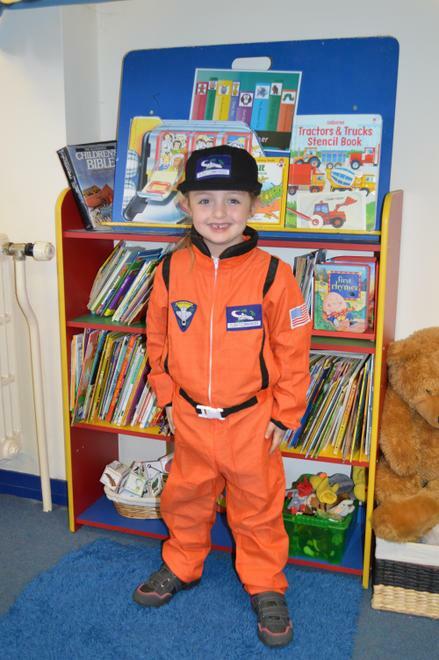 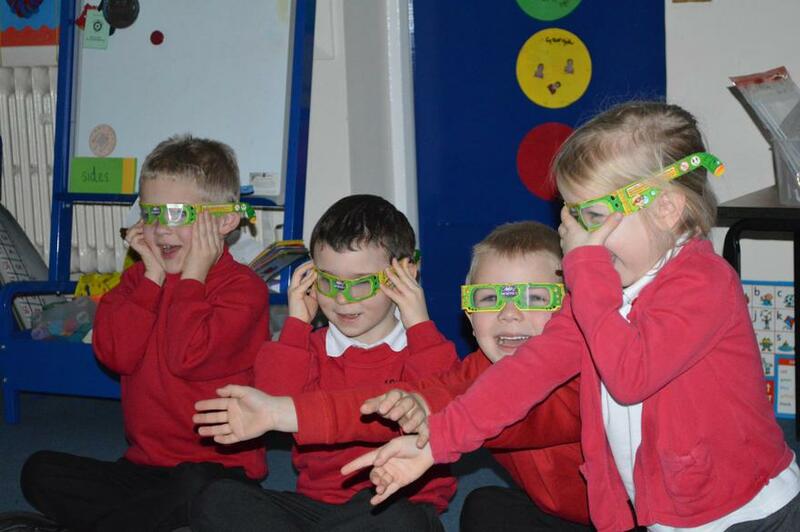 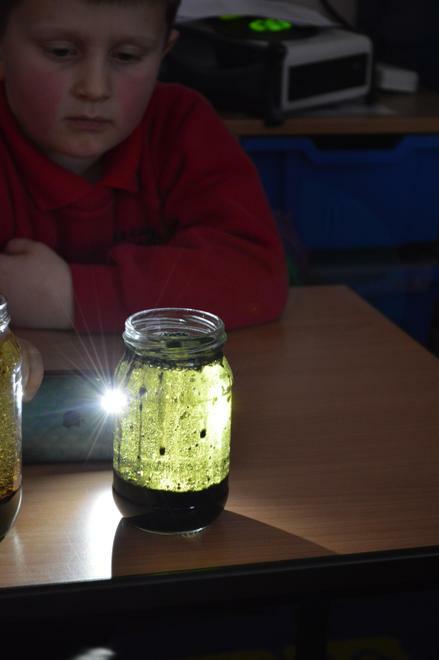 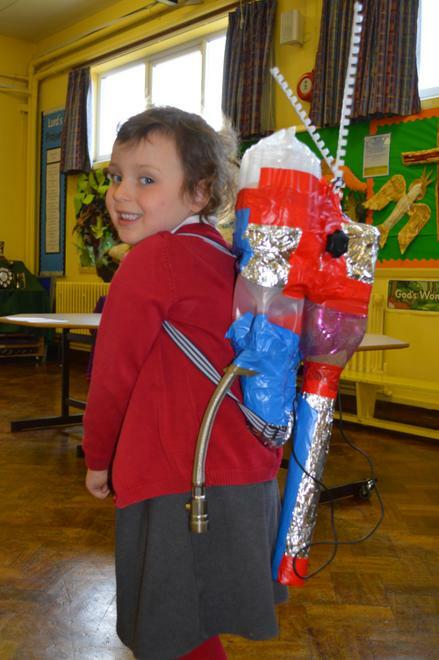 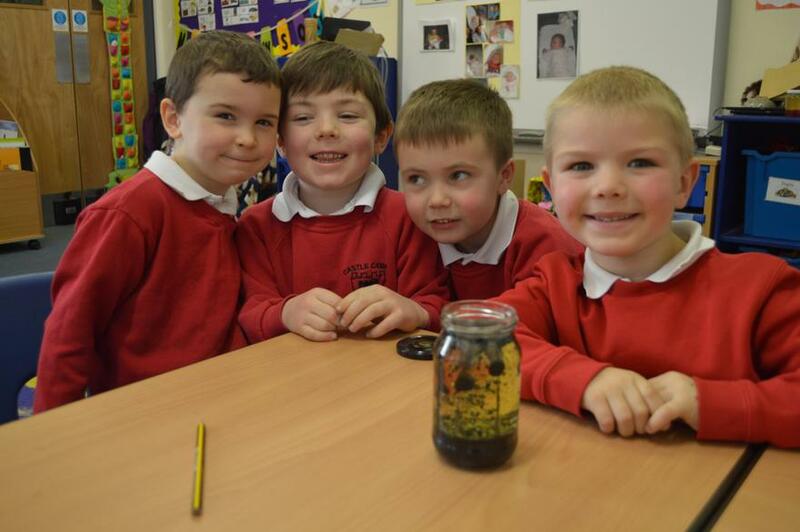 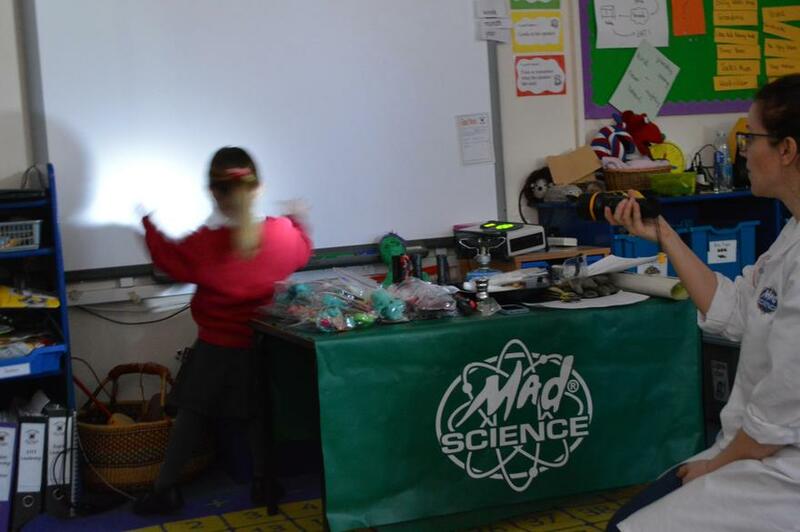 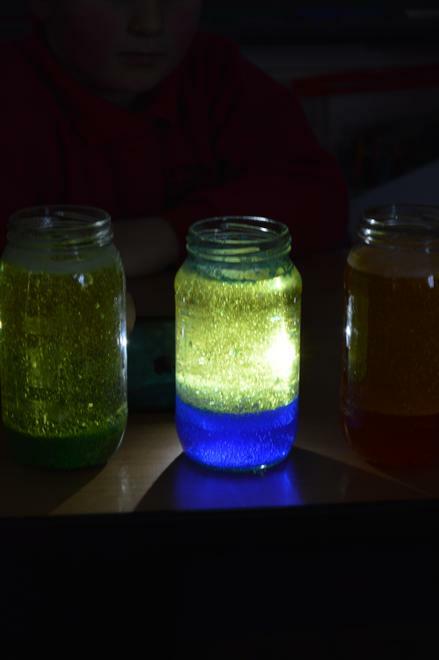 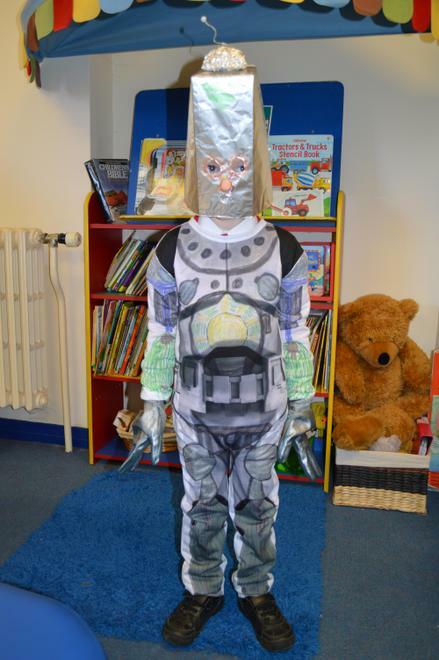 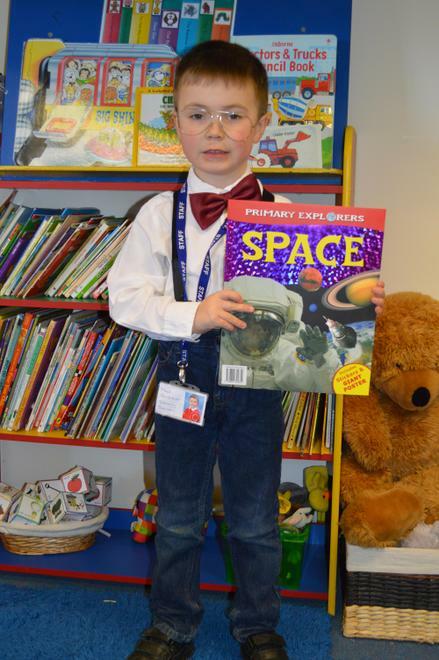 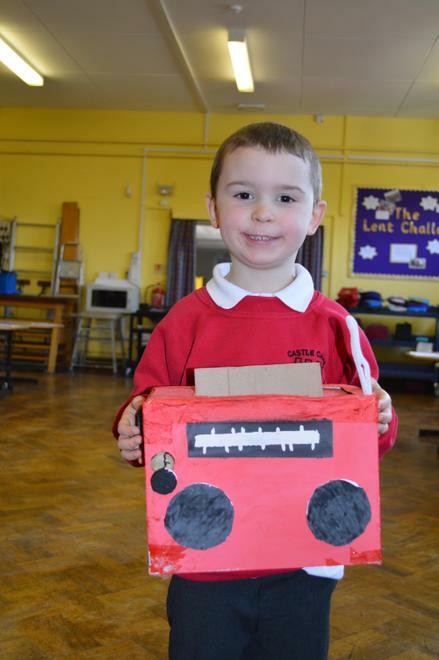 Science Week - Inventions made for home learning. 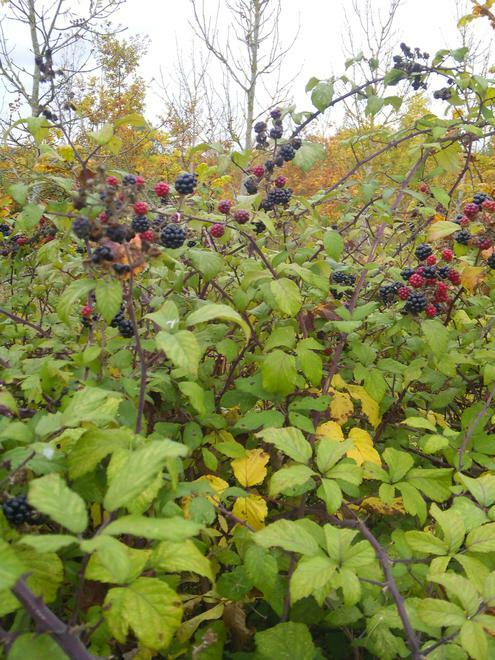 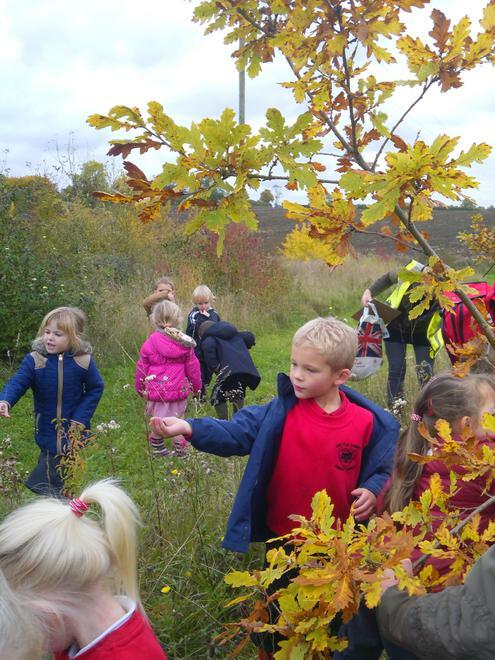 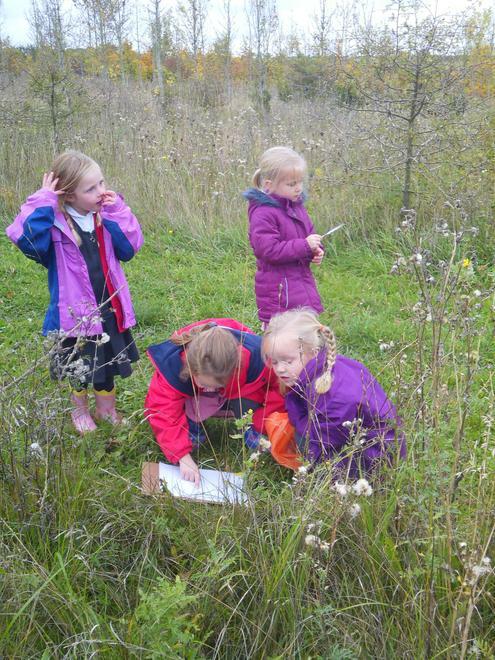 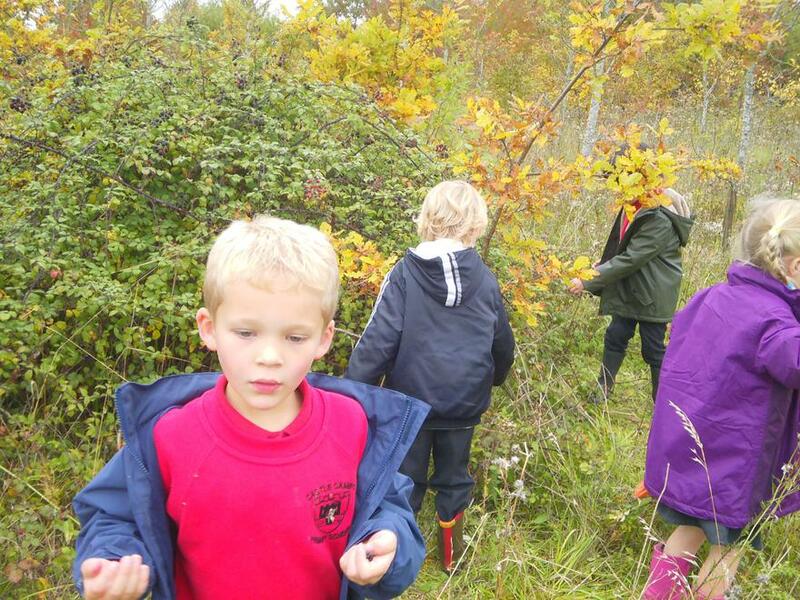 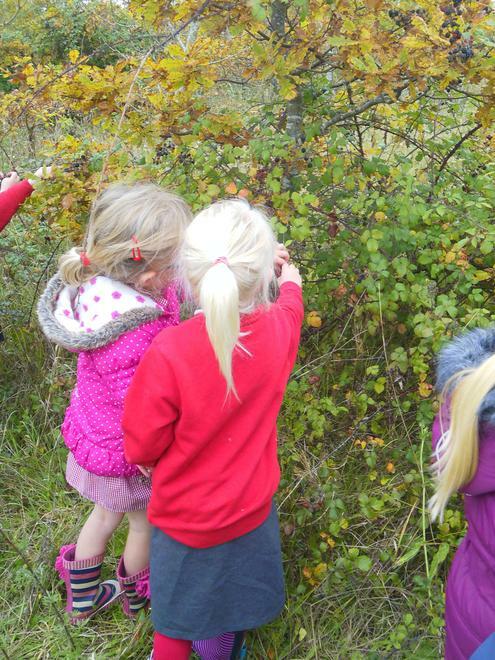 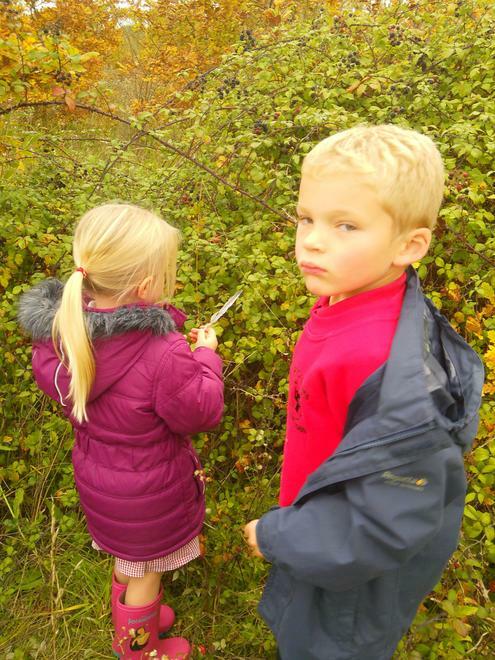 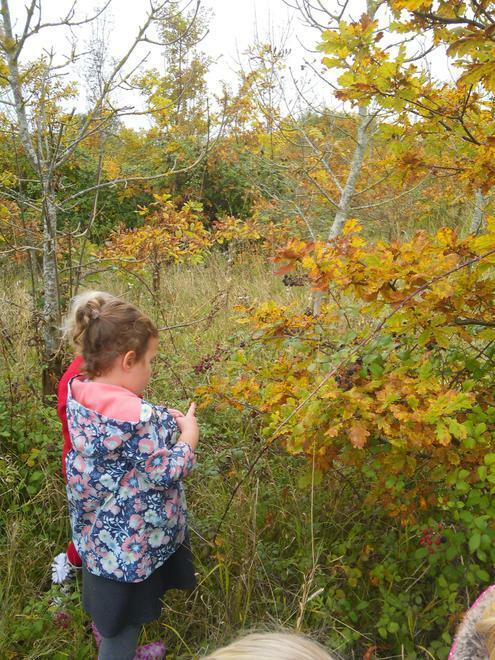 On Monday we walked to the Millenium Wood to look for signs of autumn with all our senses. 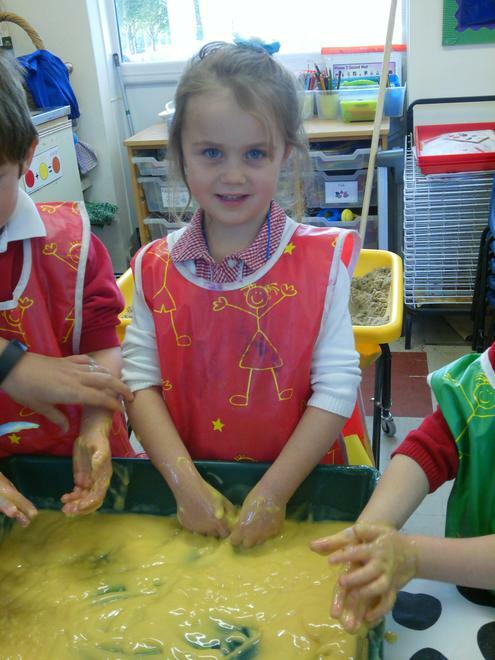 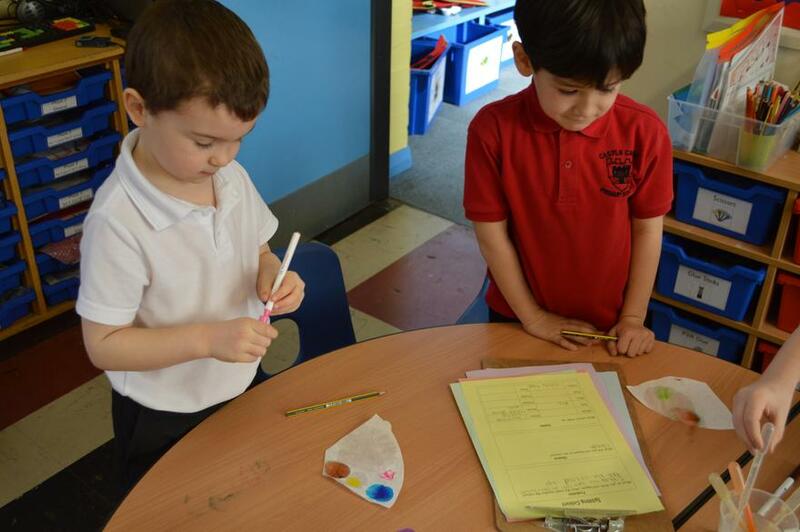 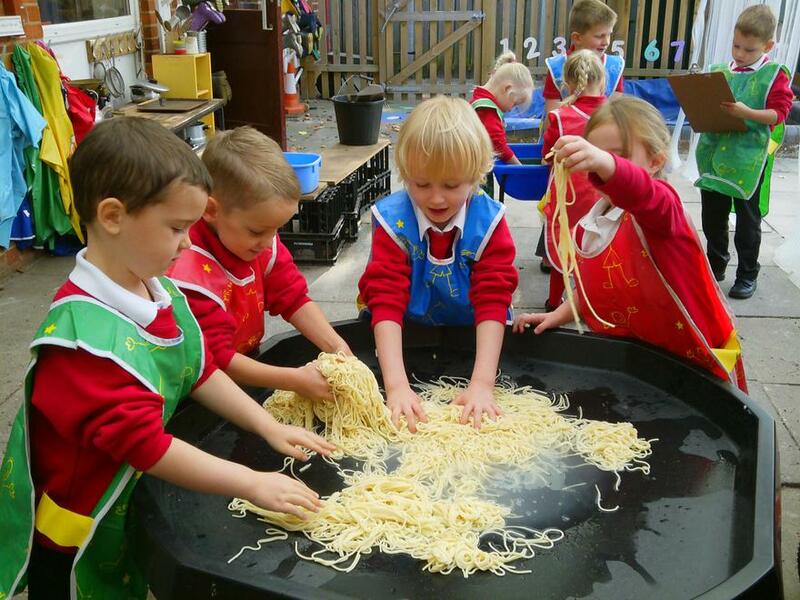 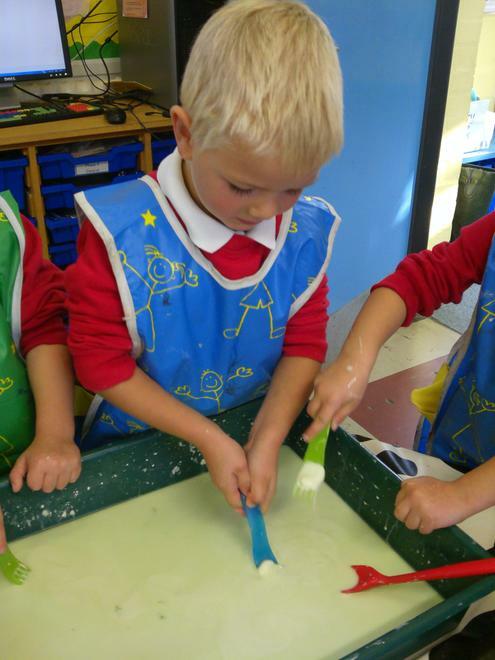 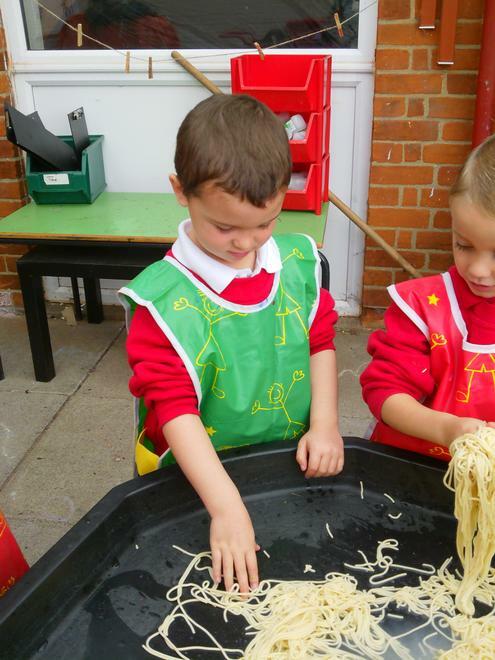 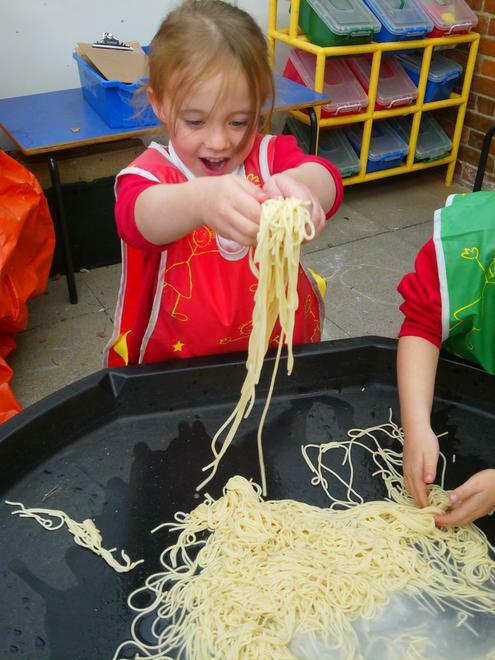 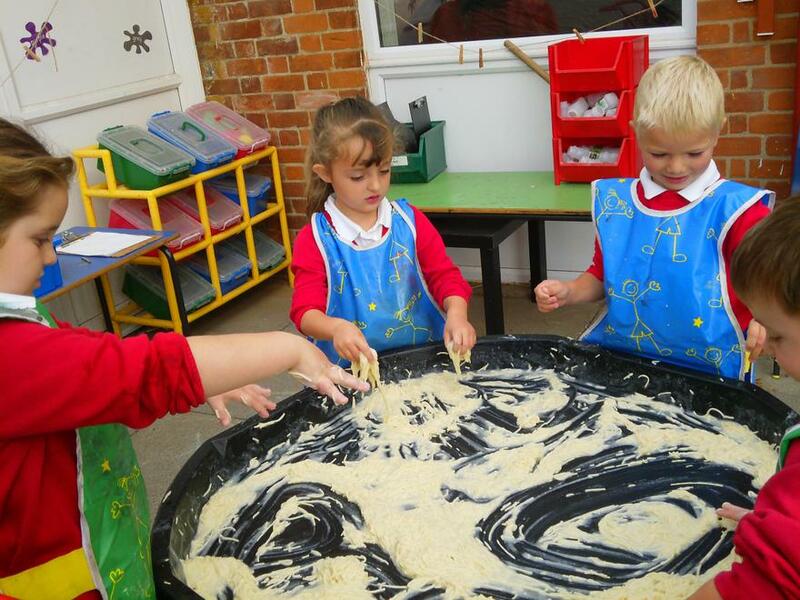 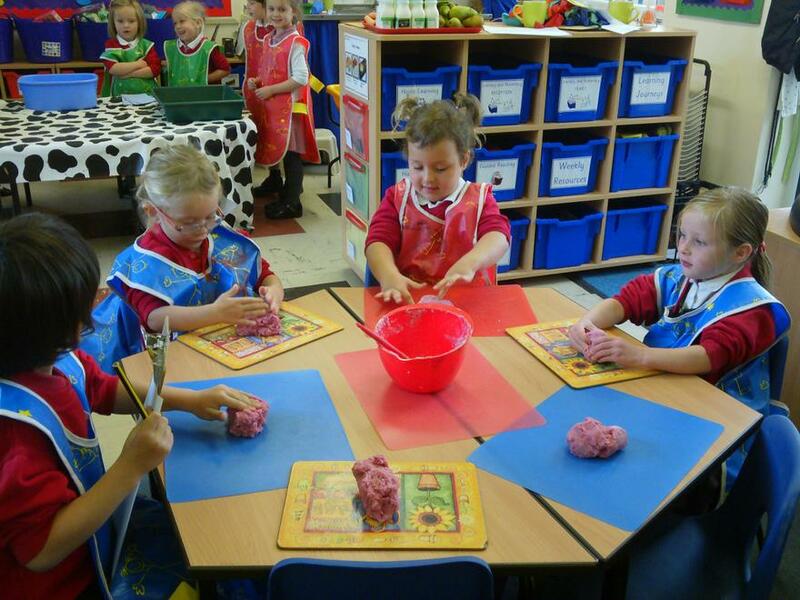 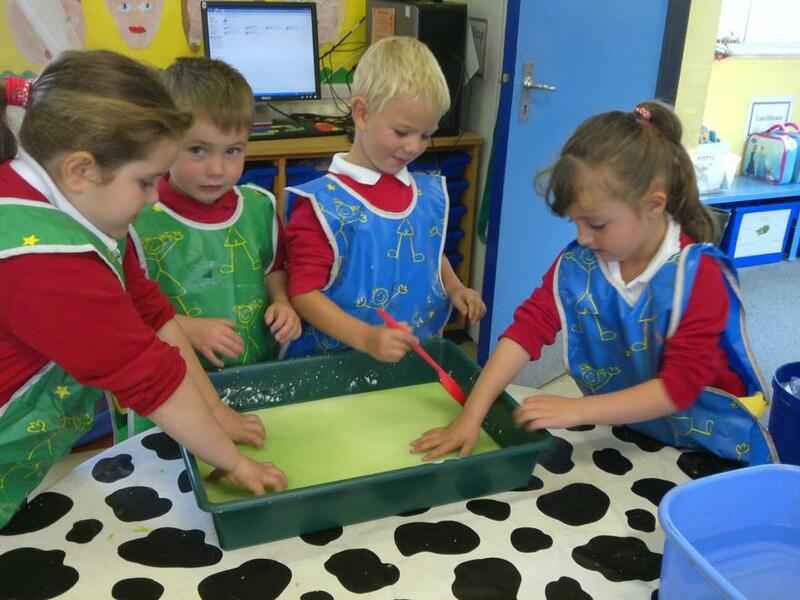 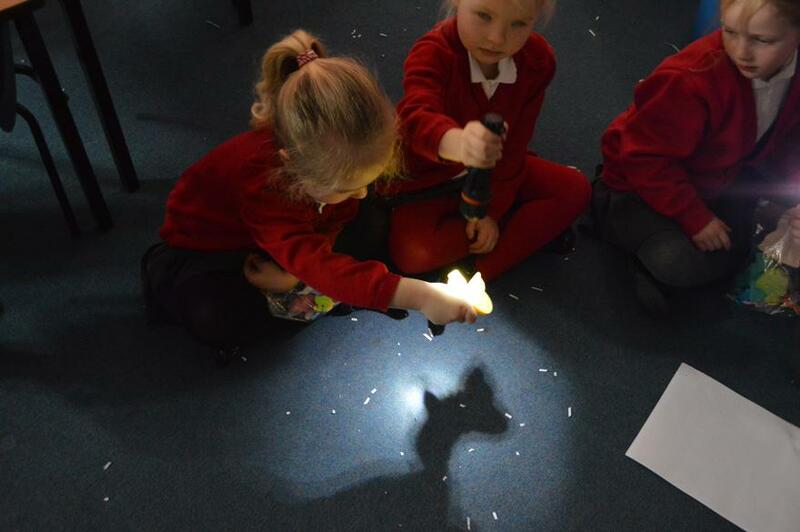 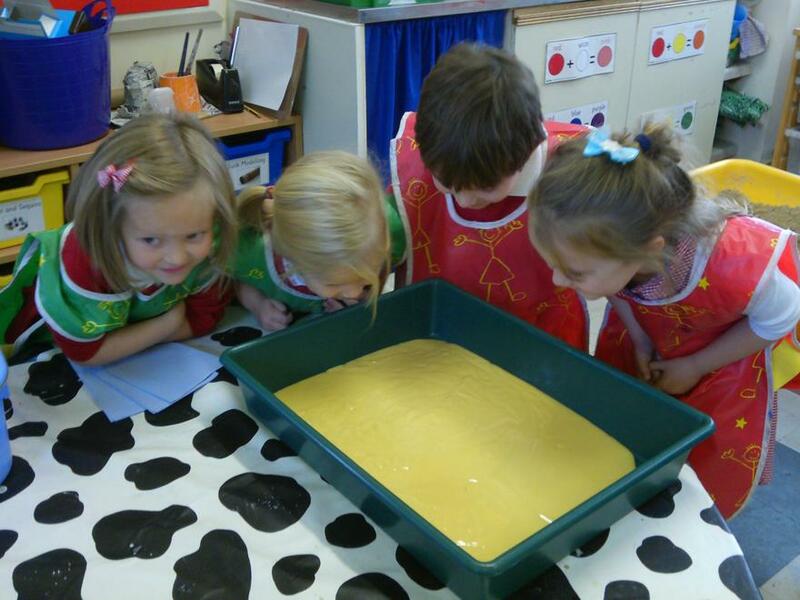 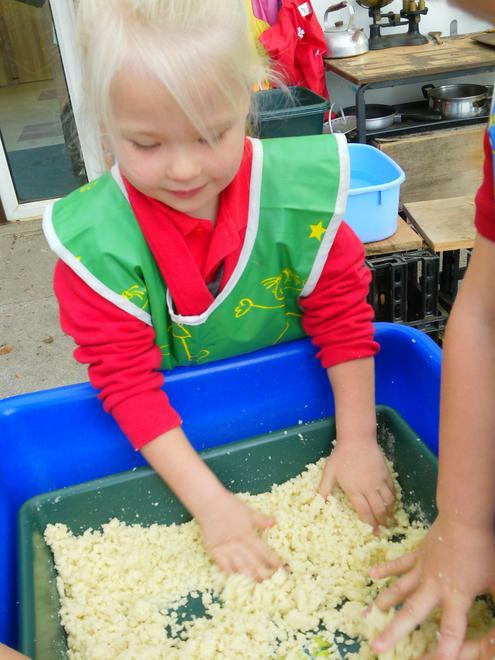 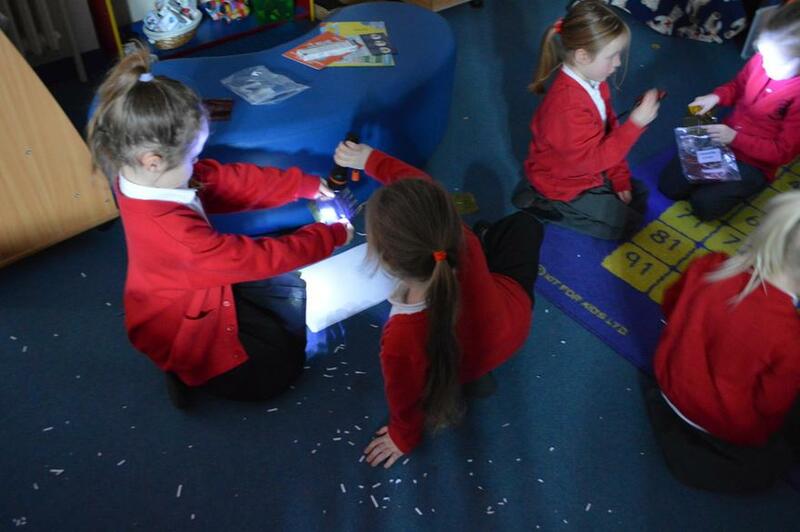 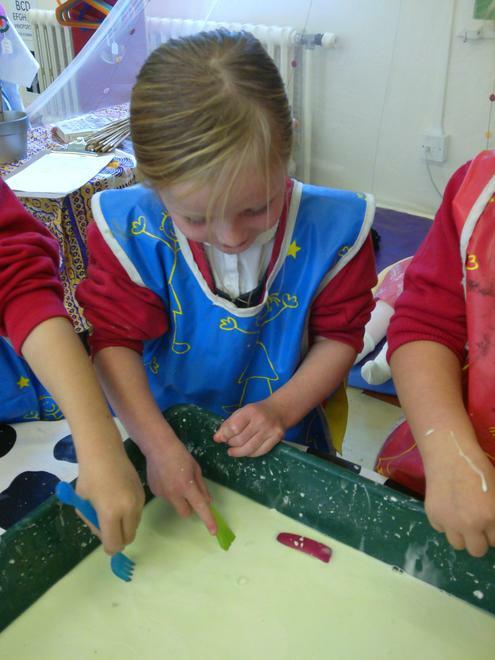 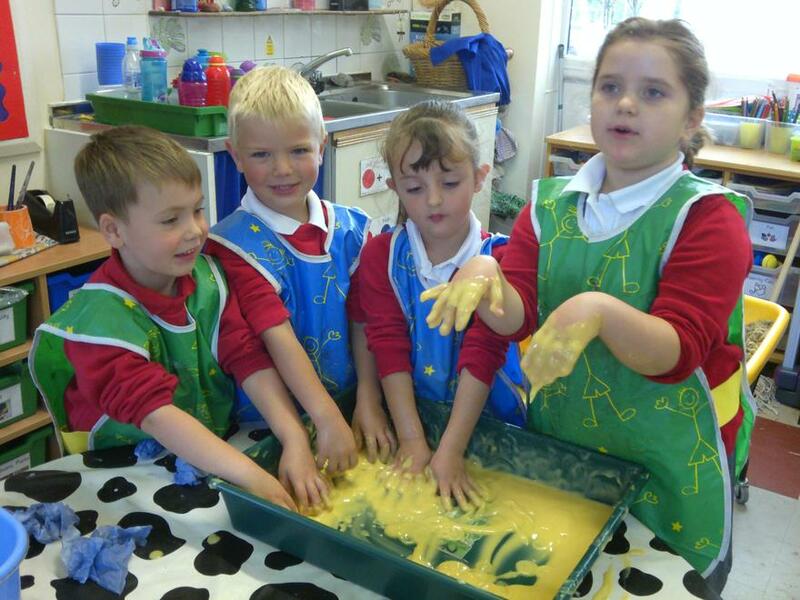 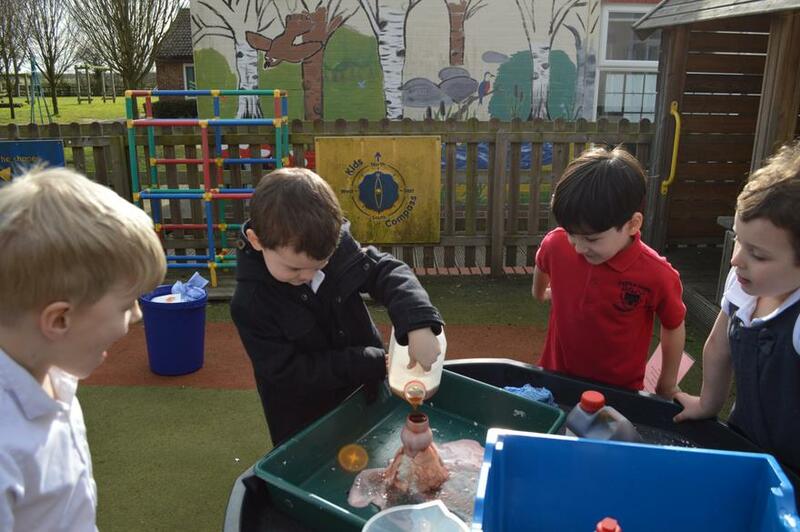 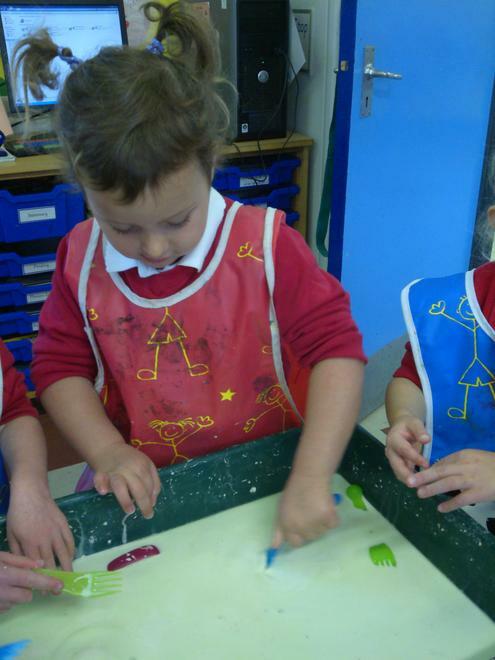 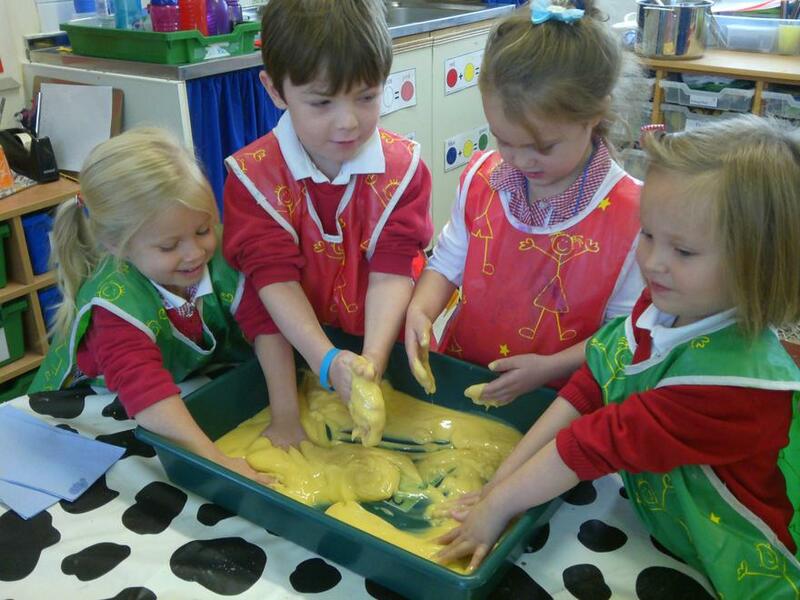 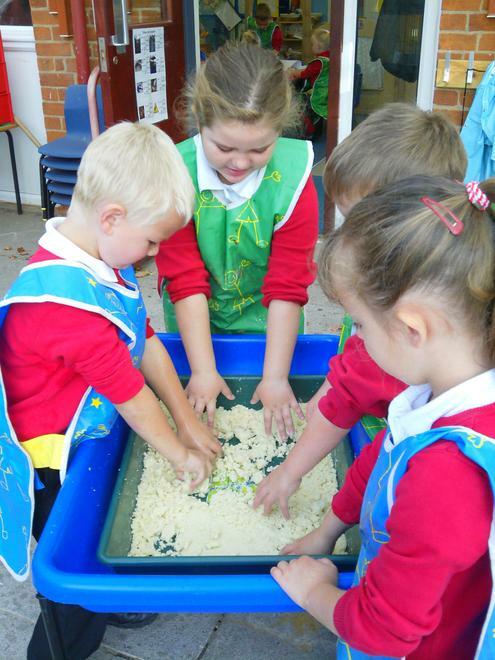 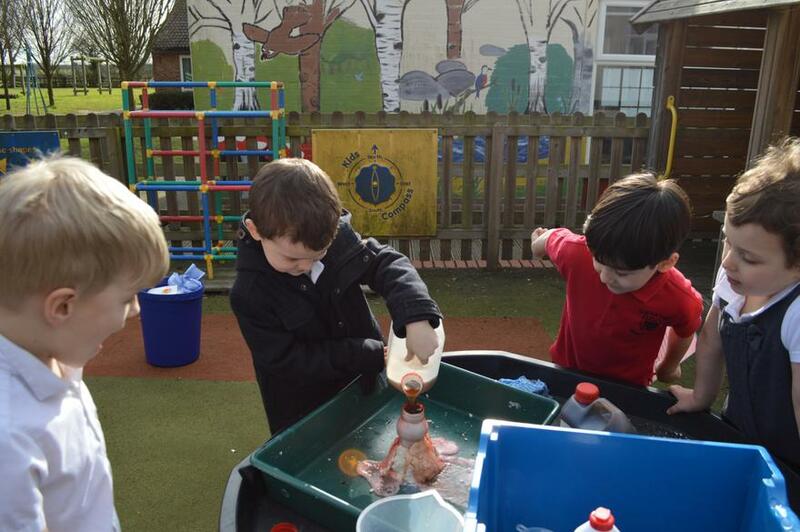 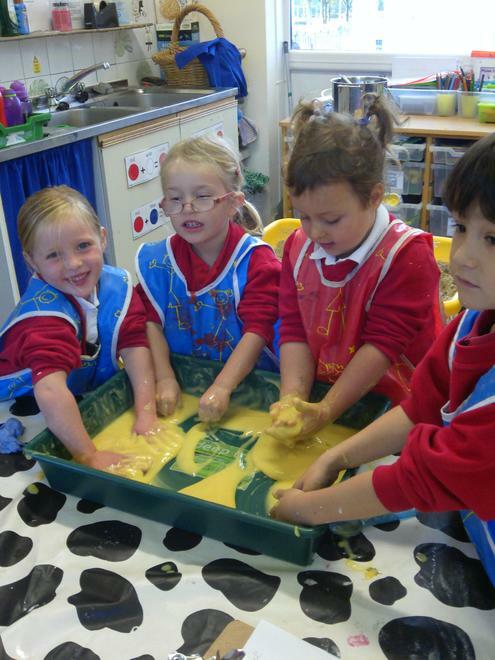 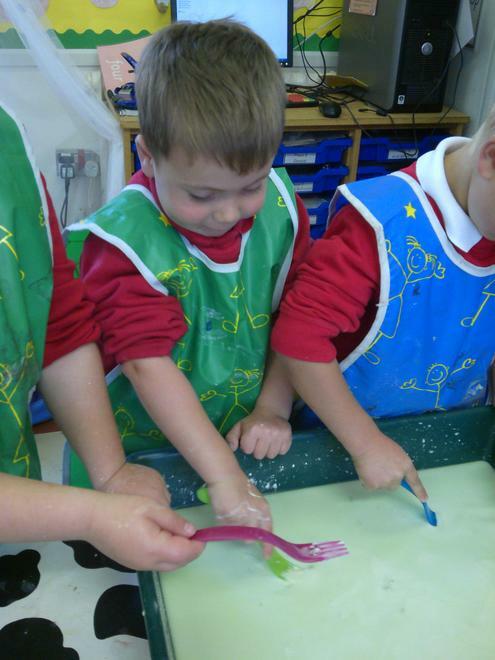 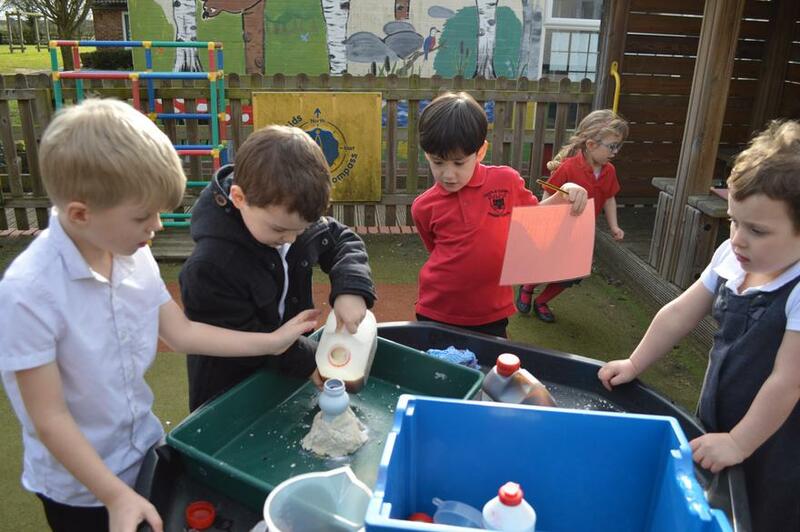 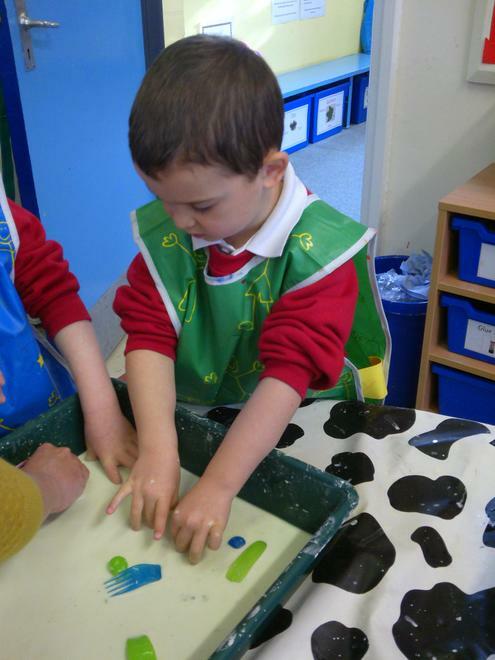 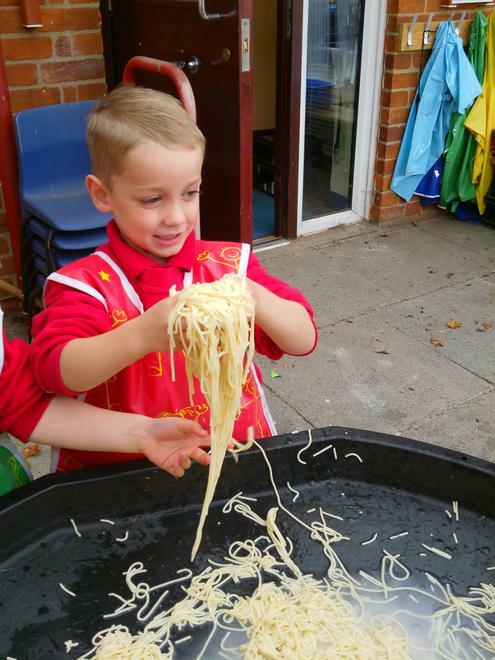 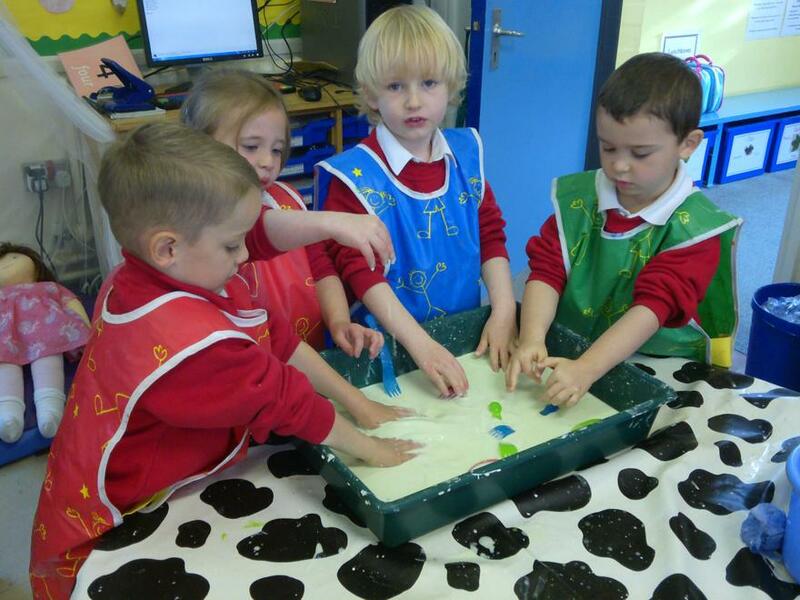 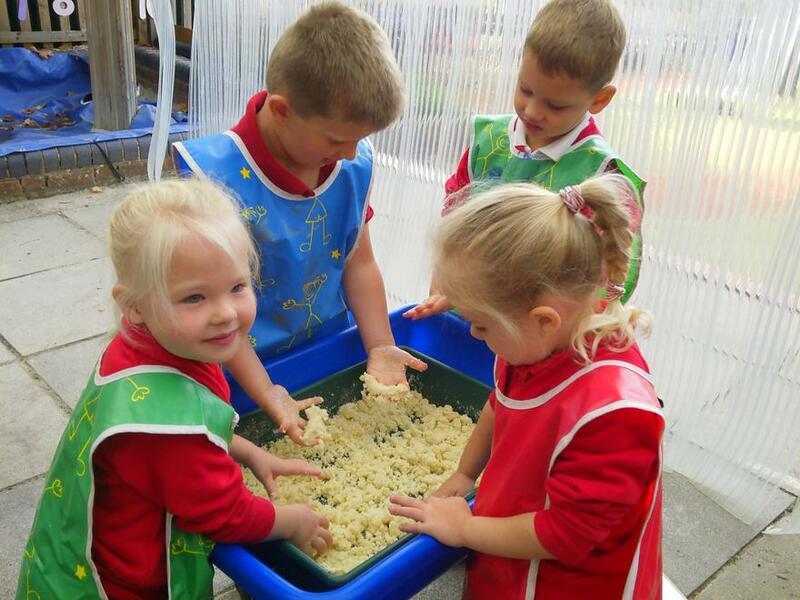 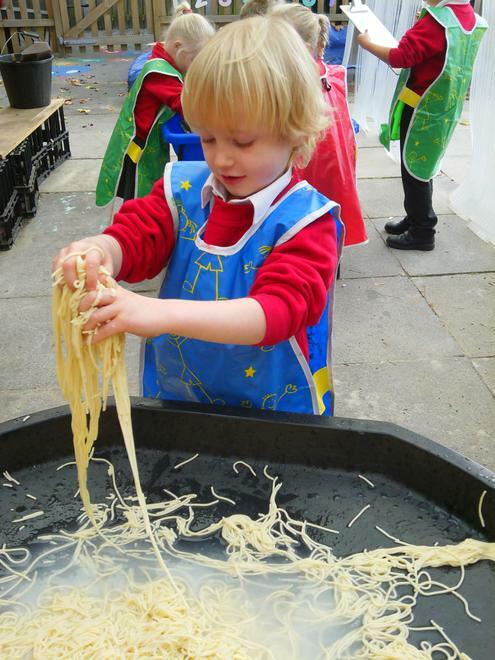 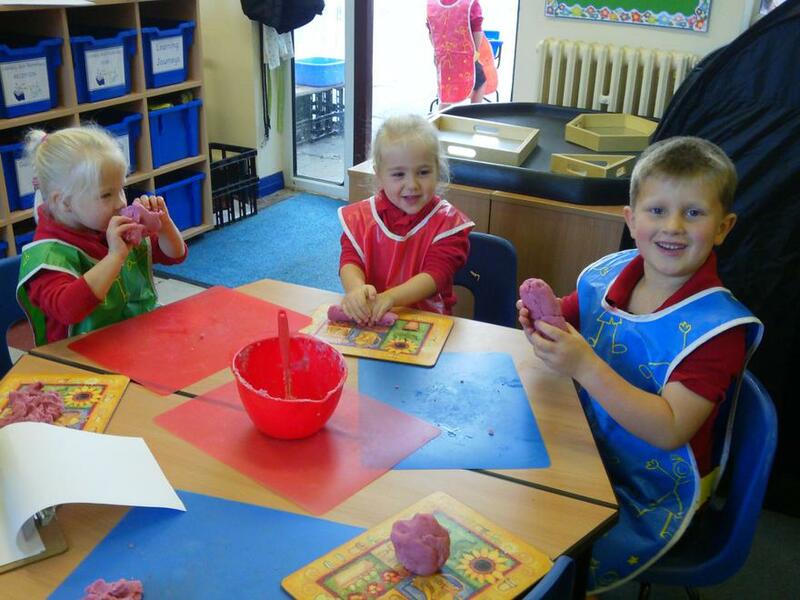 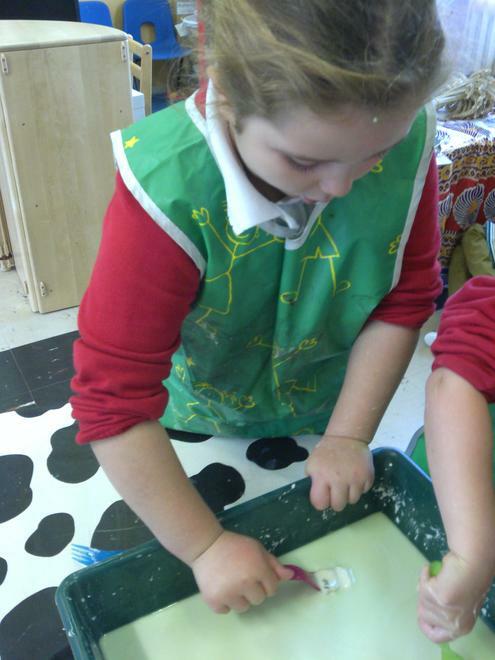 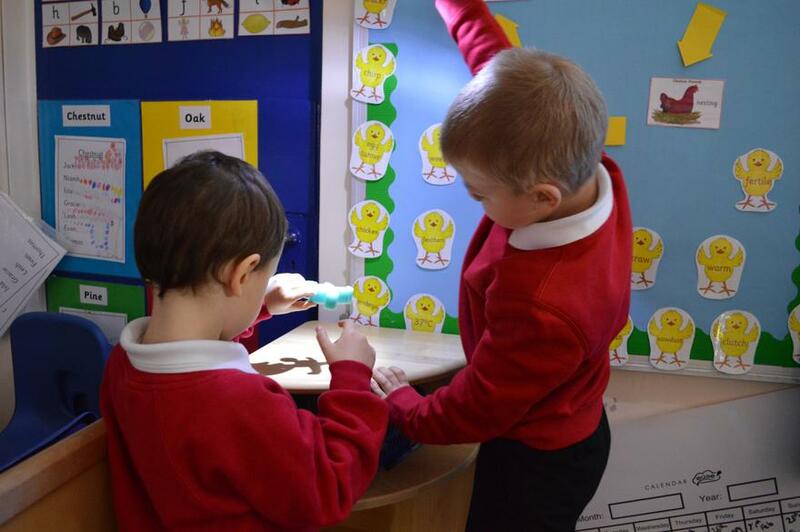 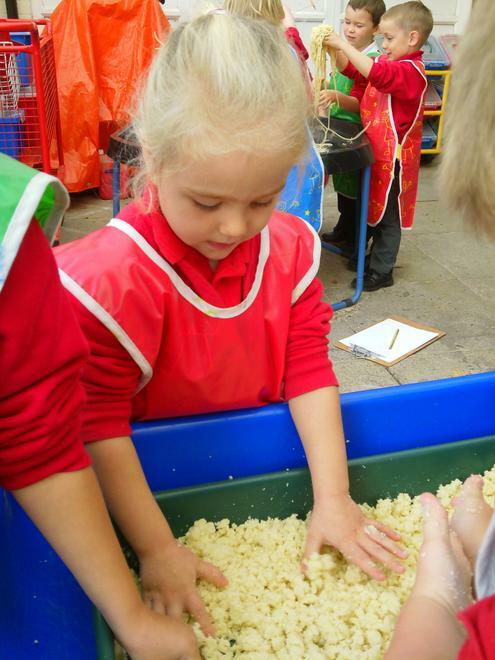 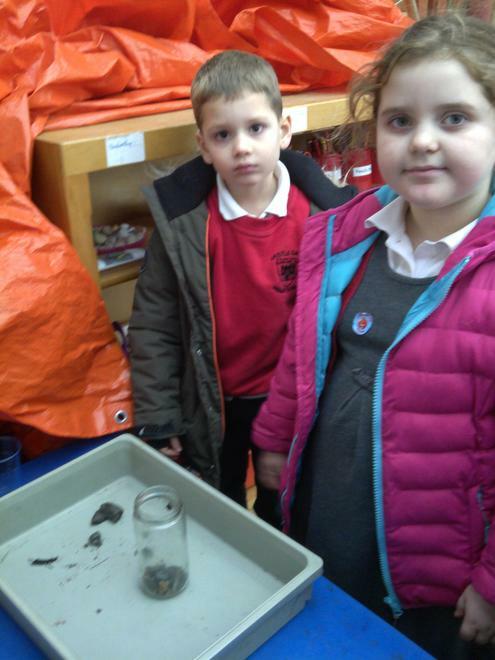 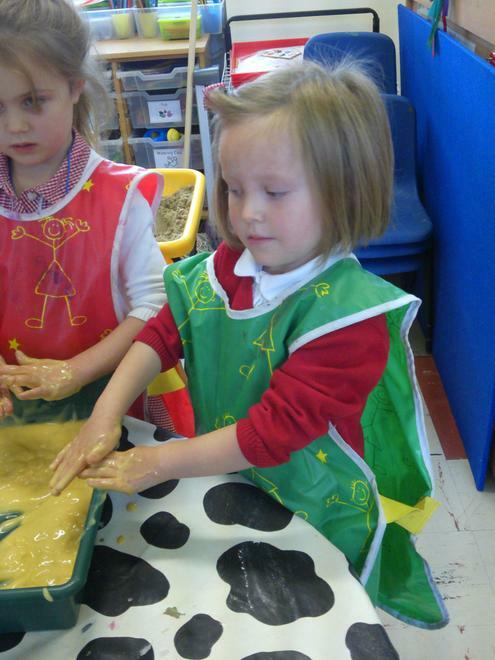 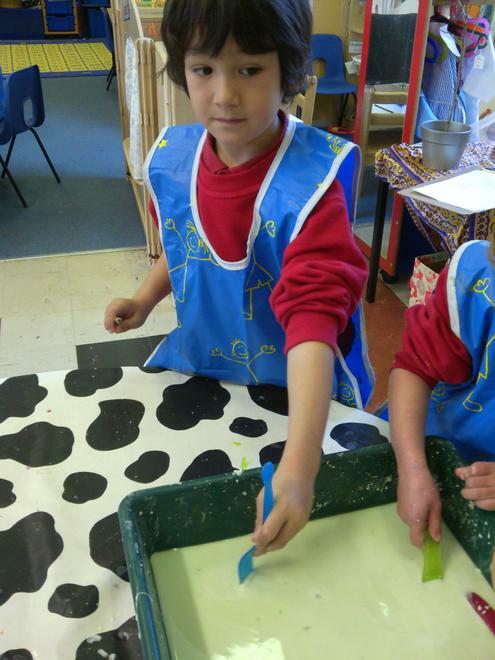 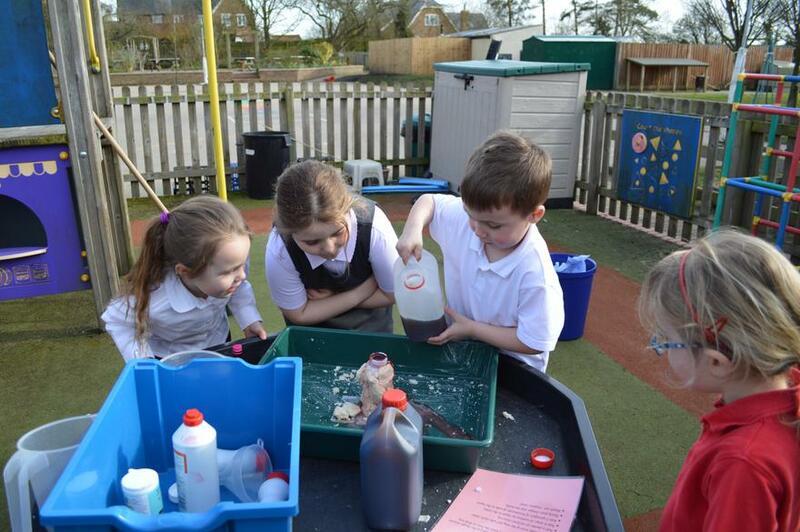 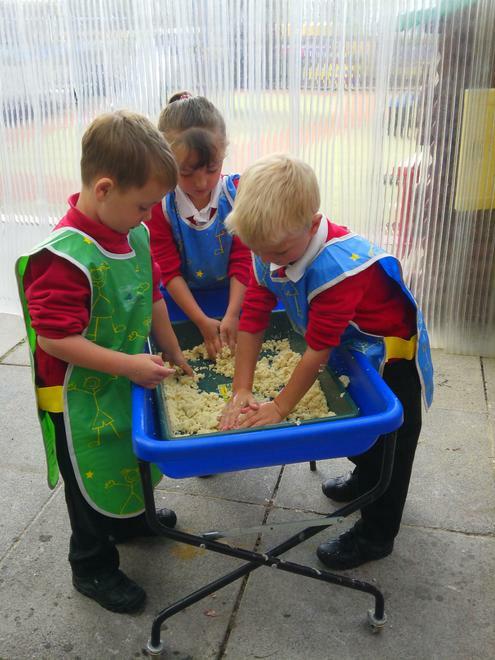 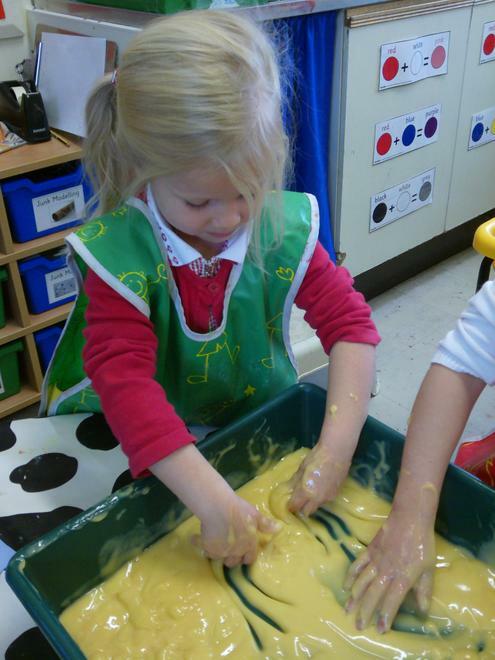 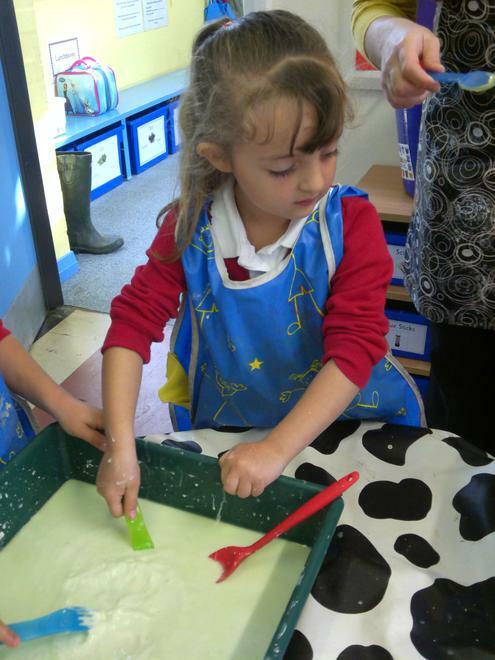 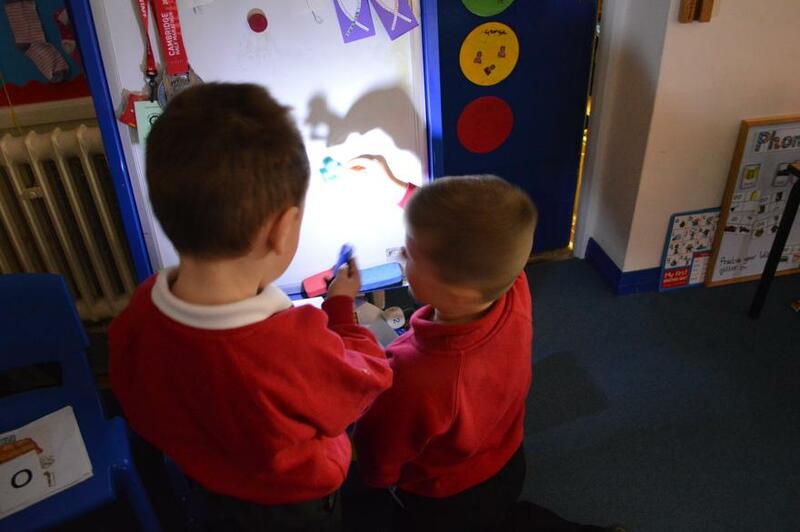 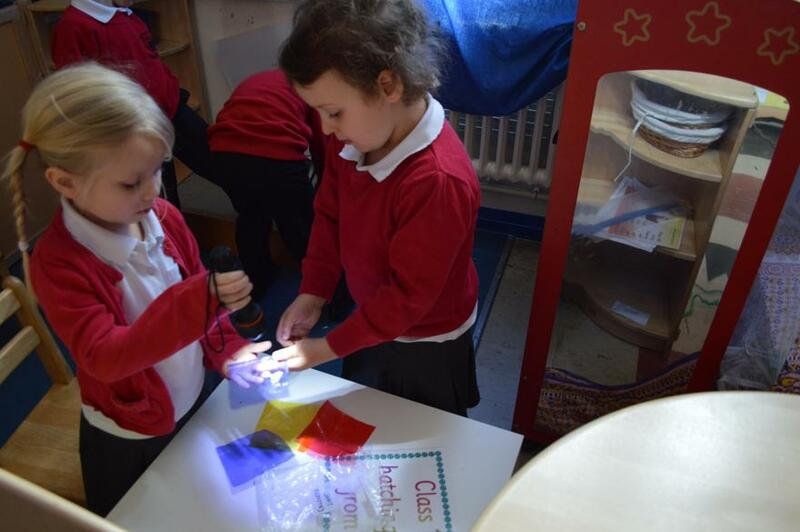 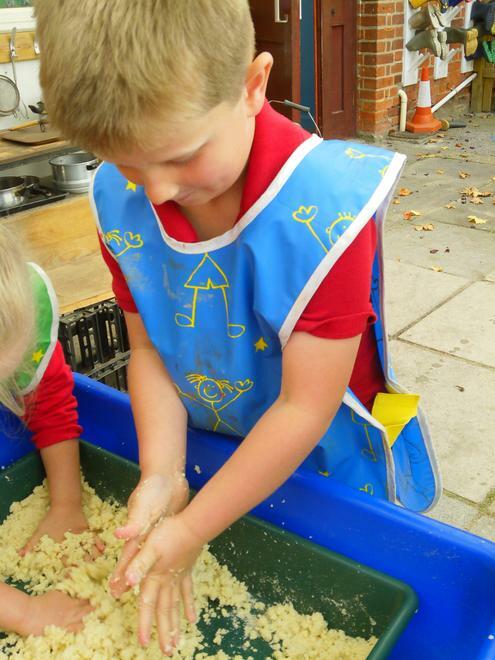 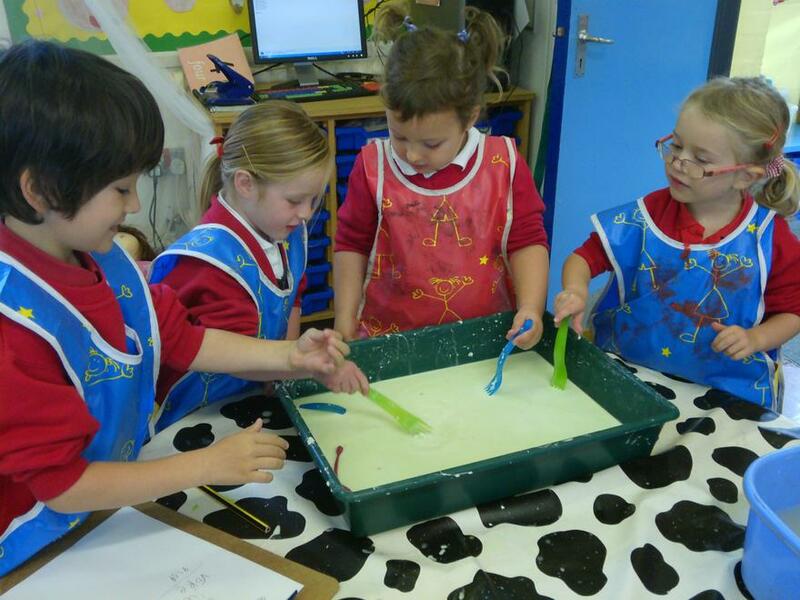 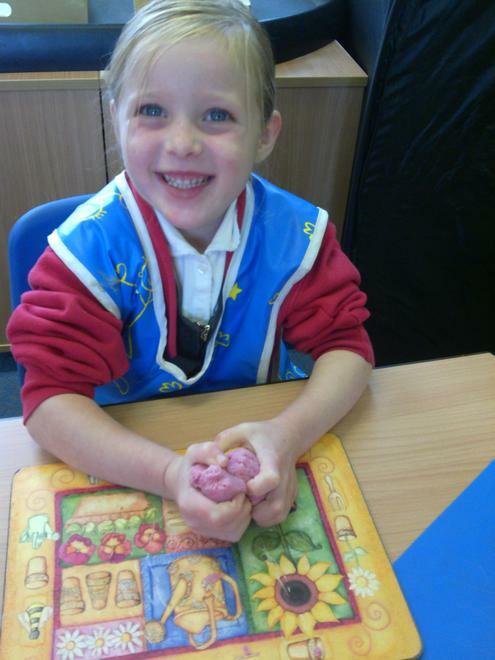 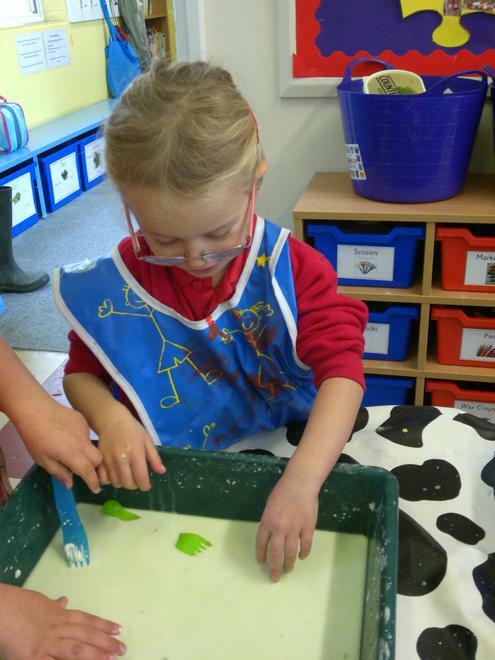 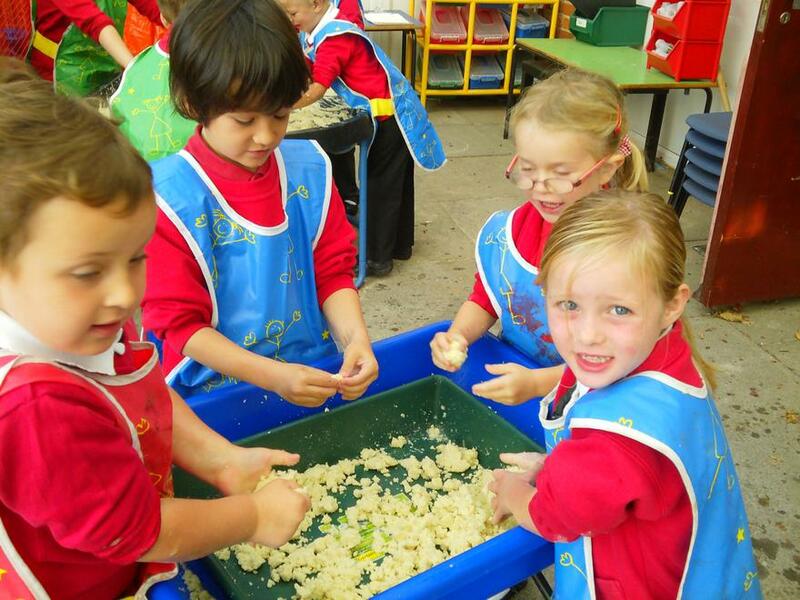 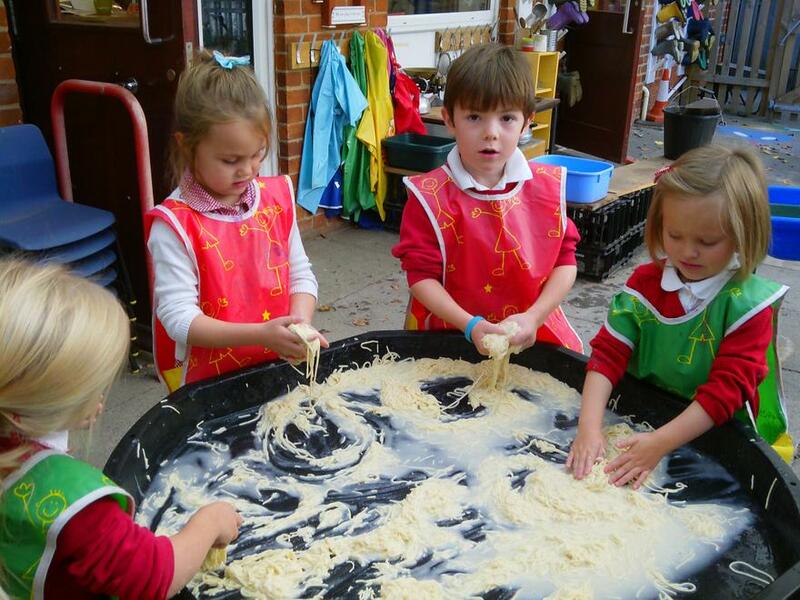 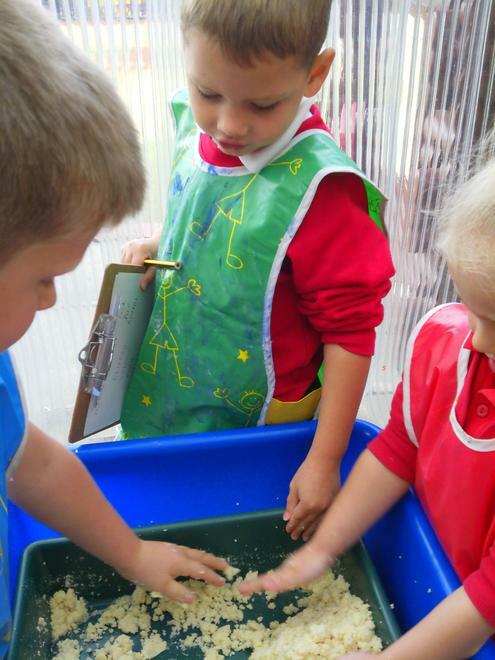 We have been learning about our 5 senses by investigating through messy play. 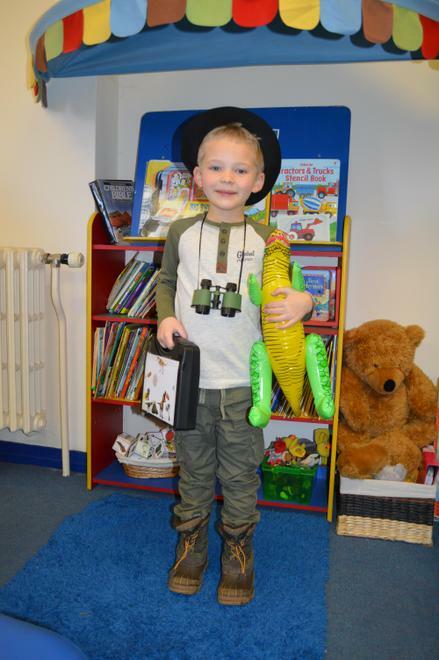 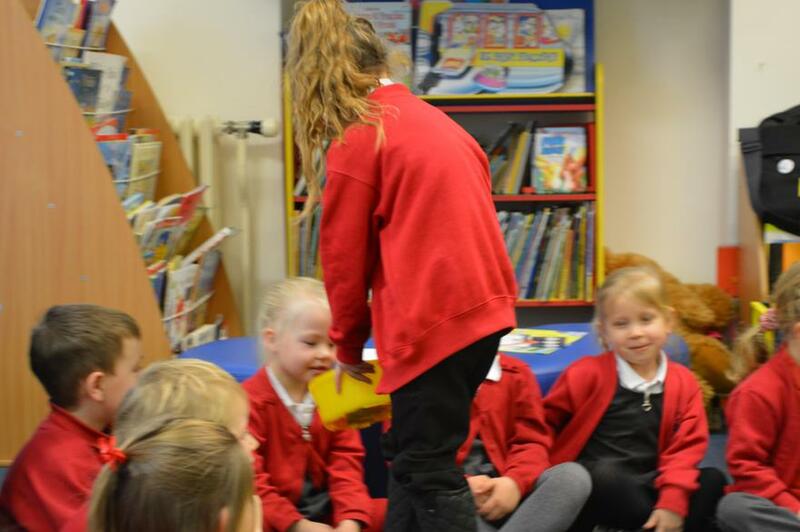 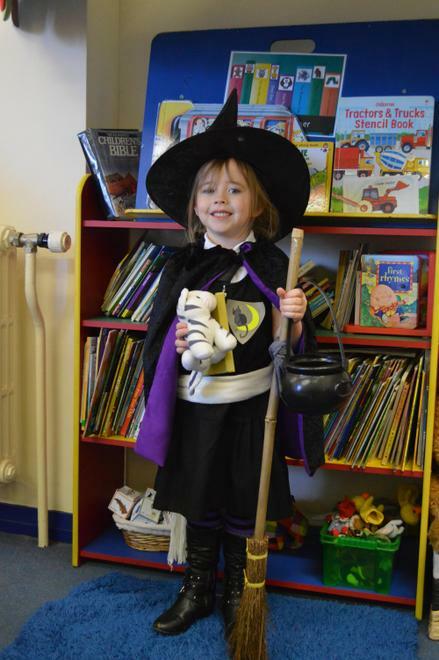 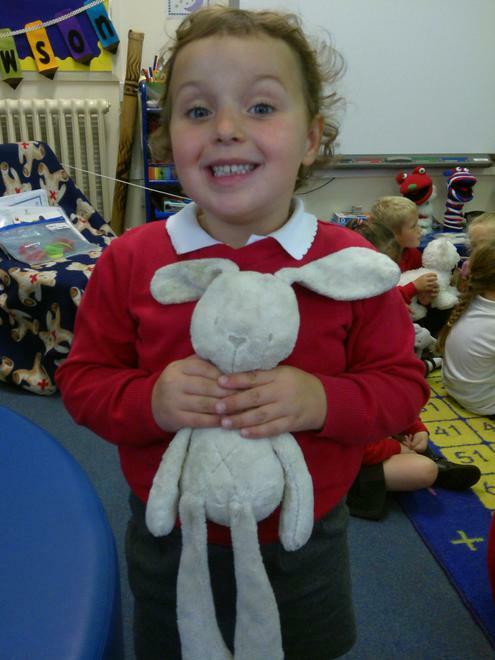 We read the books 'Where's My Teddy? 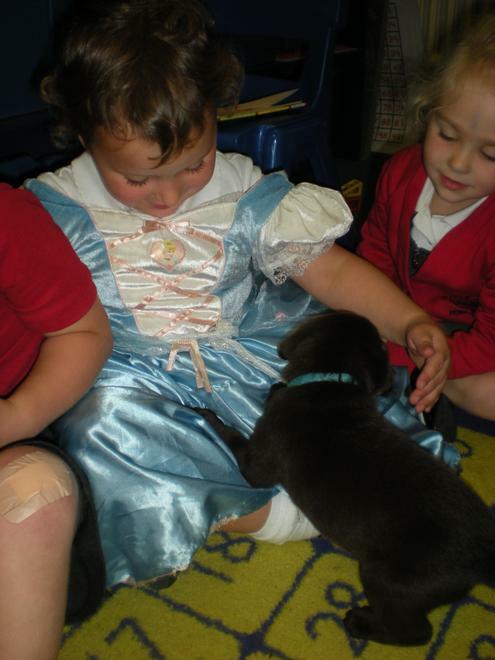 ', 'Dogger' and 'What Shall We Do Blue Kangaroo?' 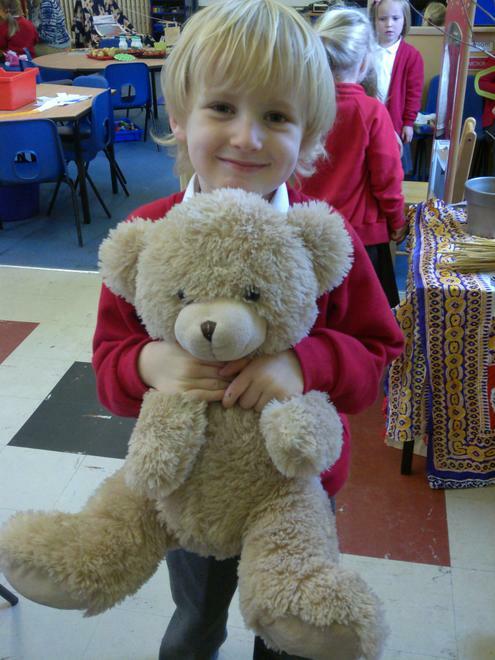 all about losing teddies. 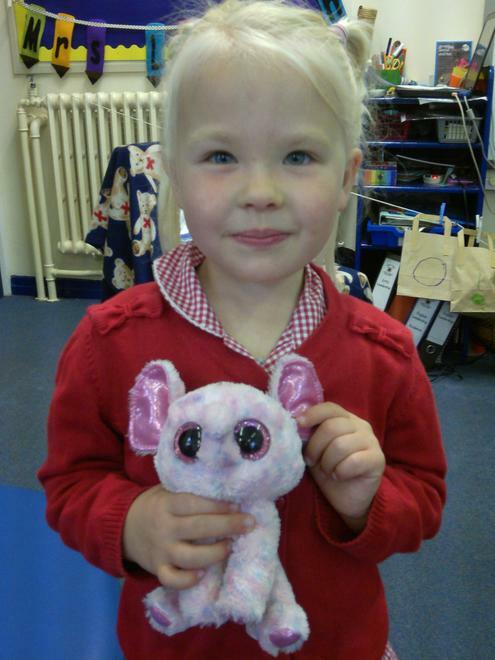 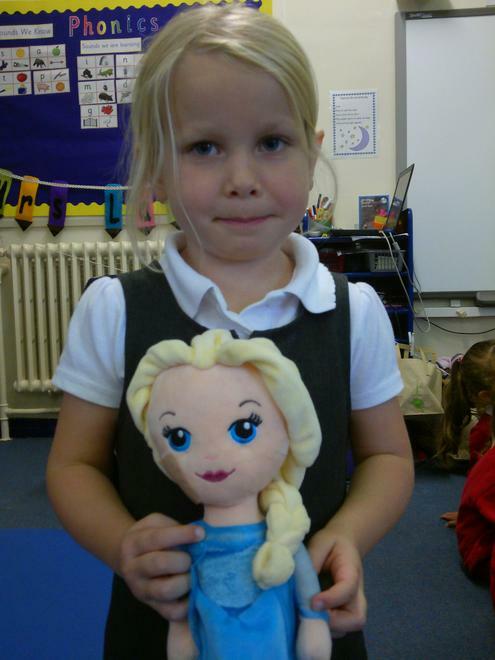 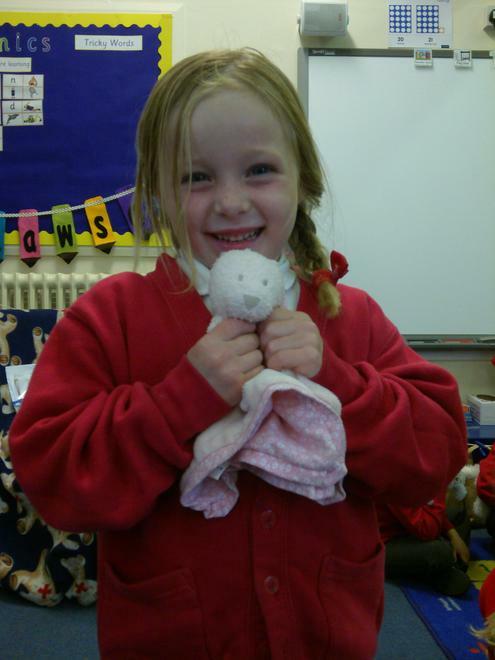 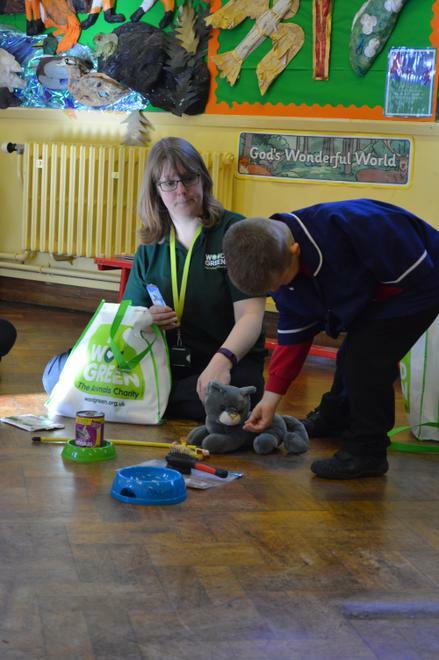 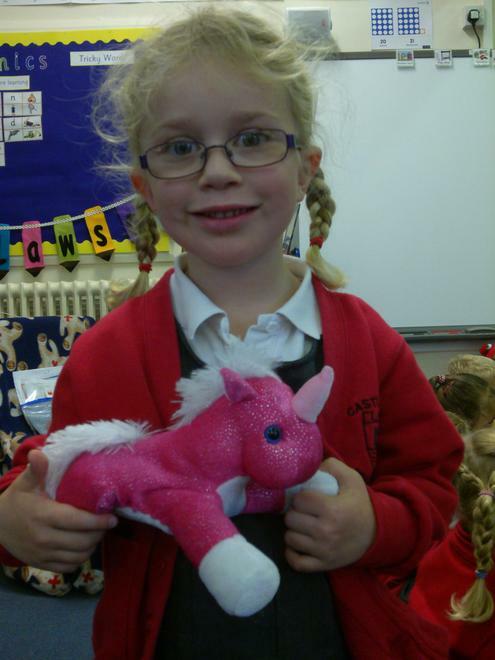 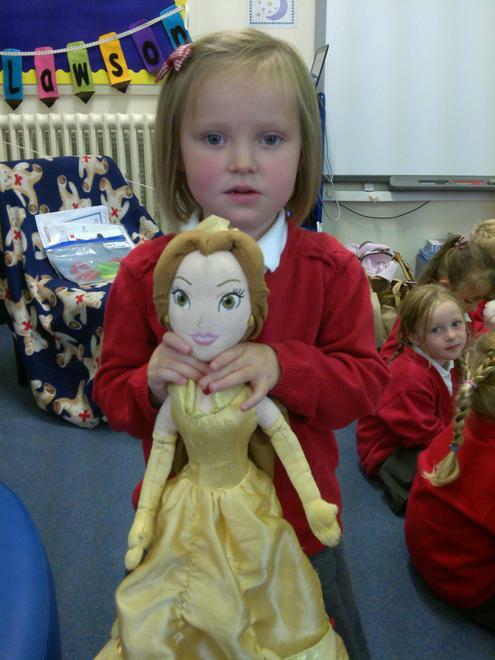 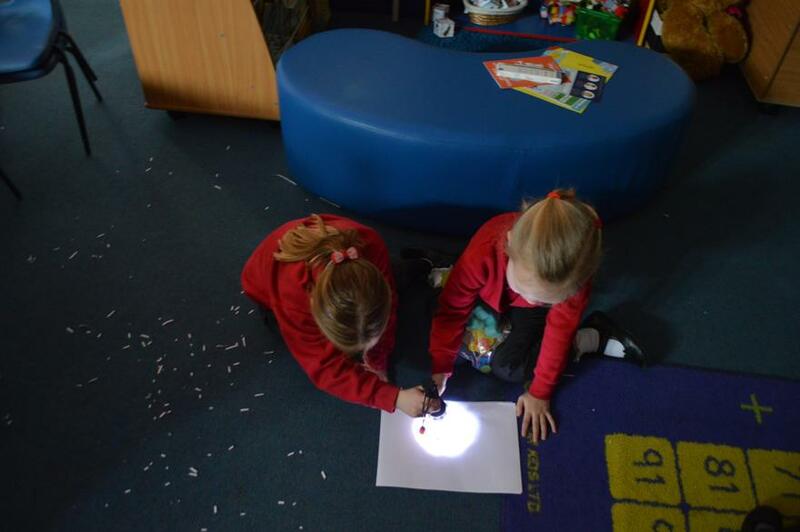 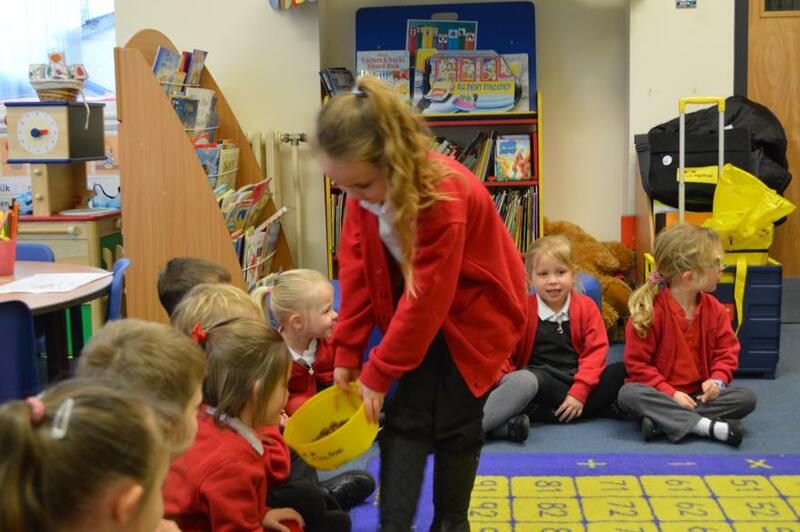 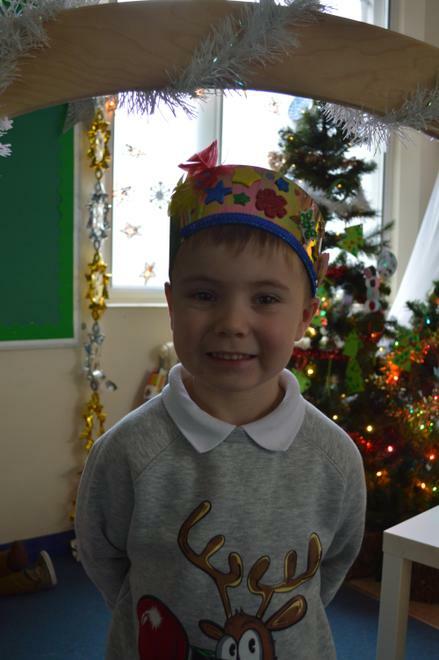 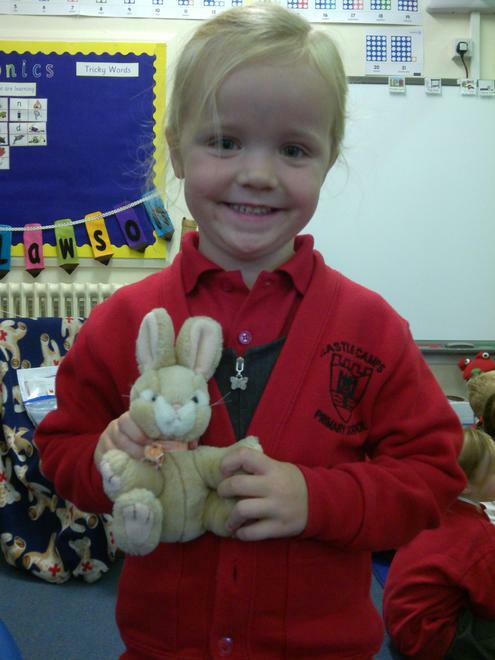 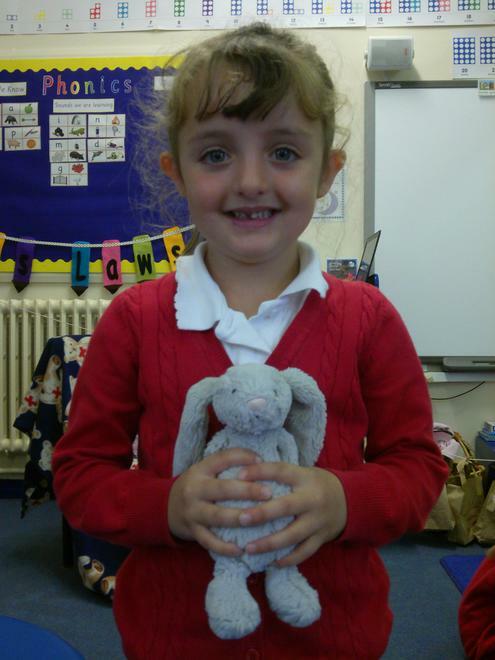 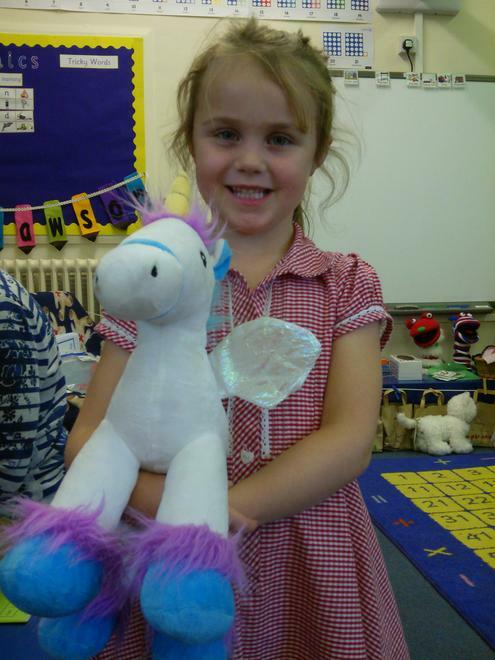 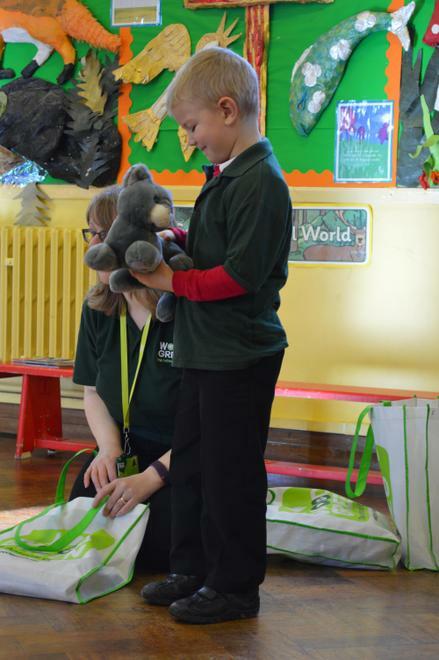 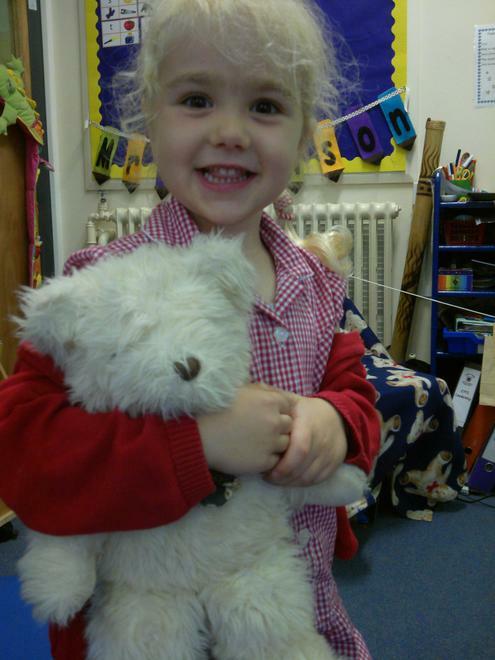 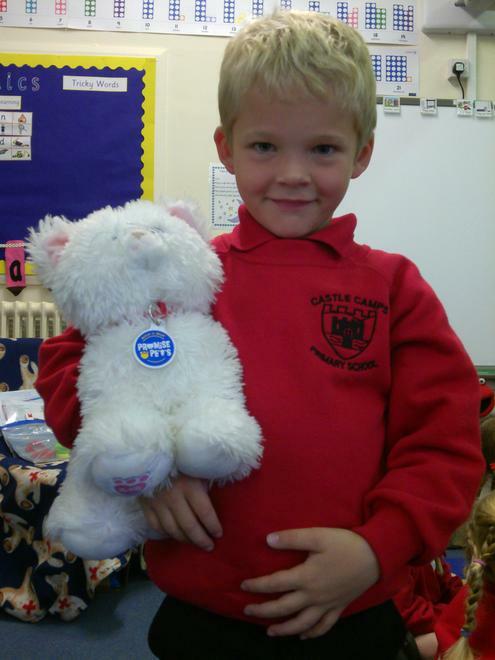 We brought in our own teddies and wrote labels and made missing posters. 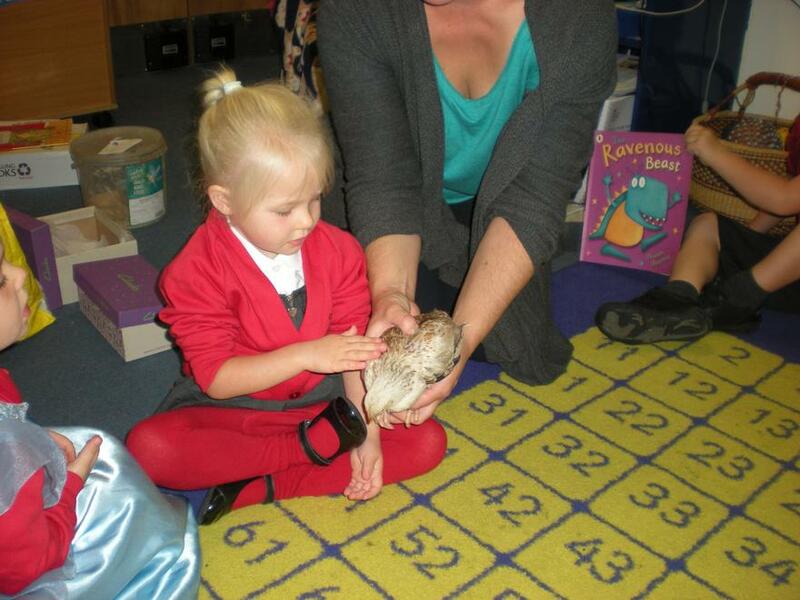 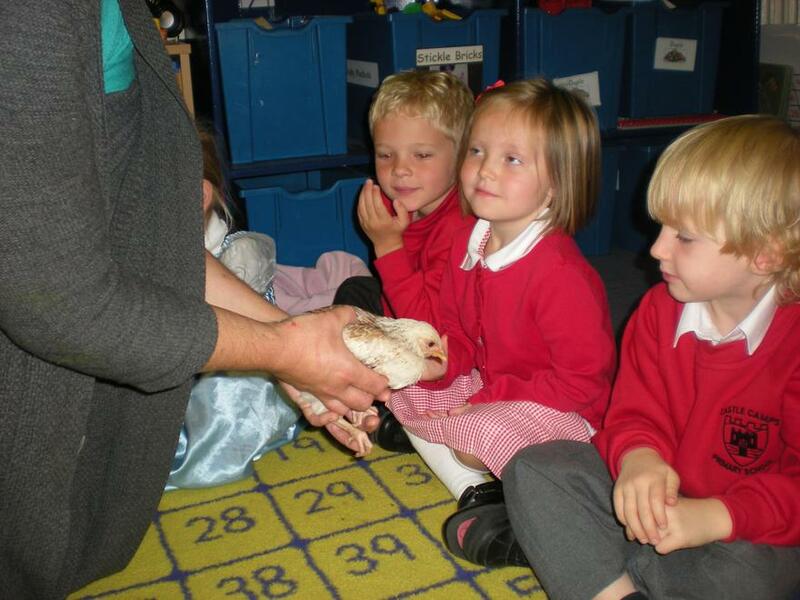 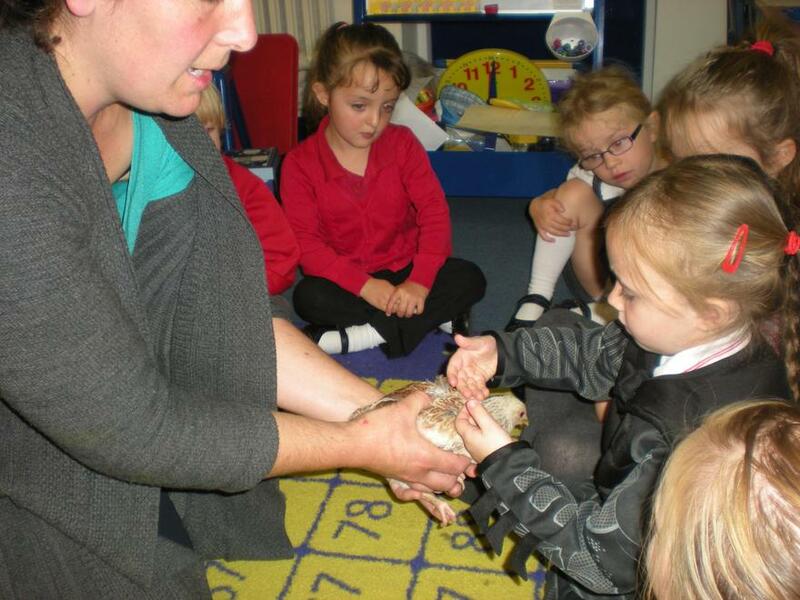 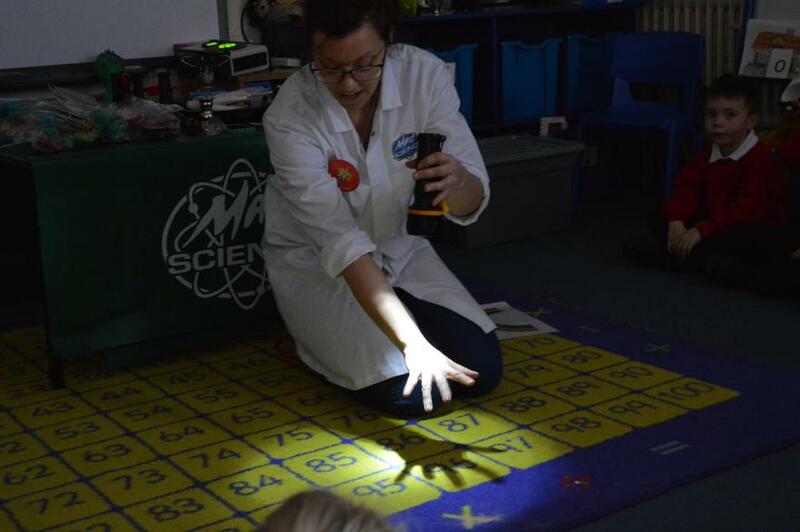 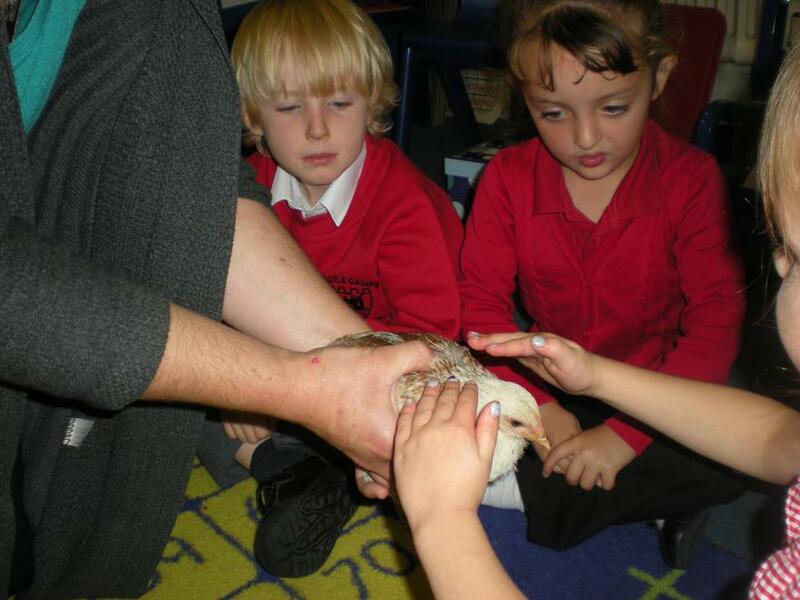 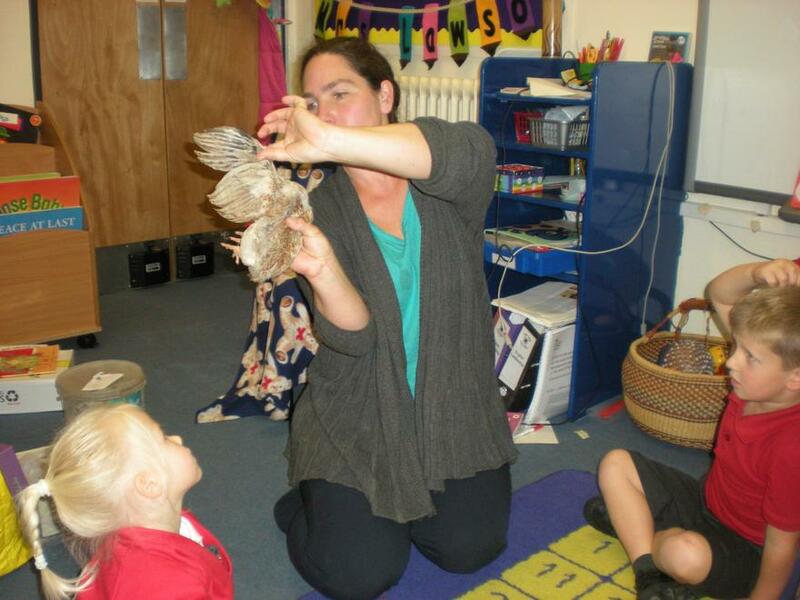 Mrs Spencer brought her chicks to visit us at school. 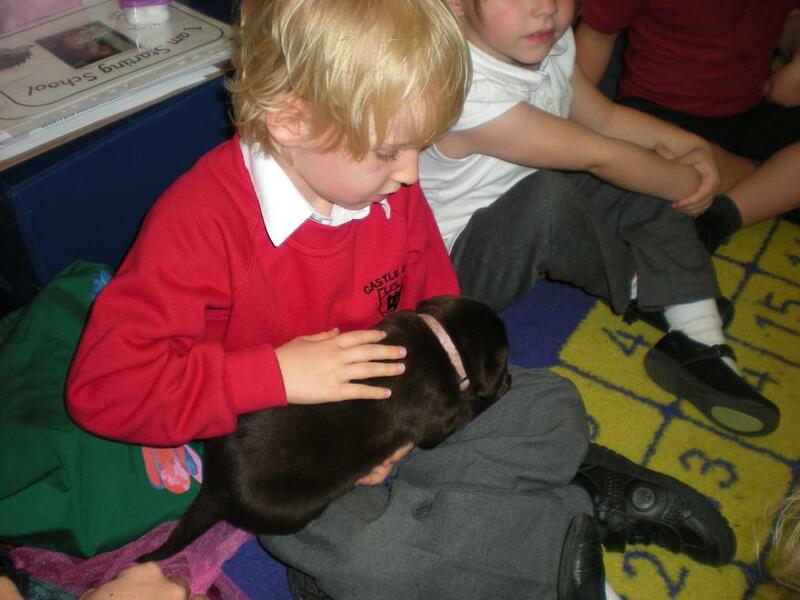 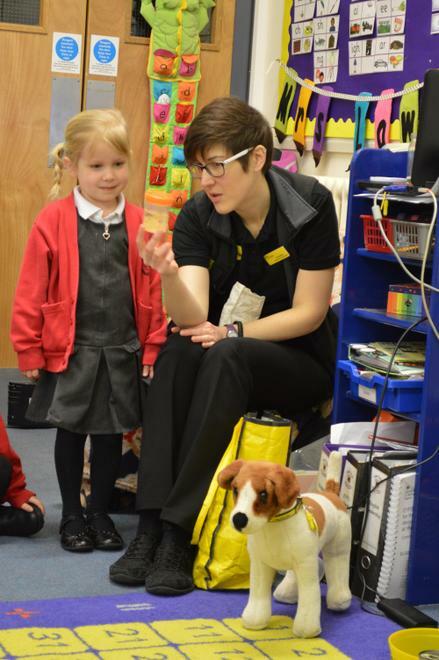 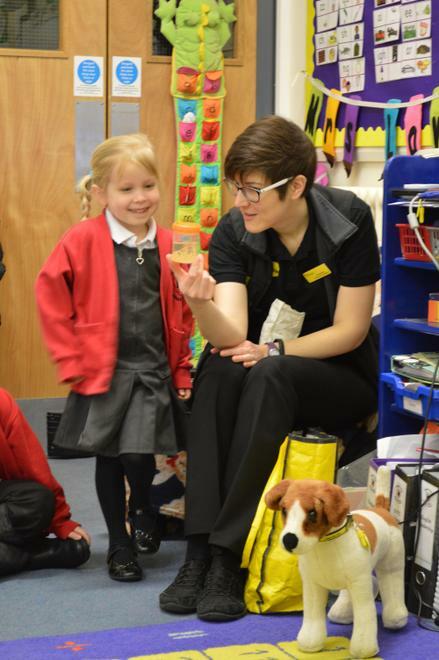 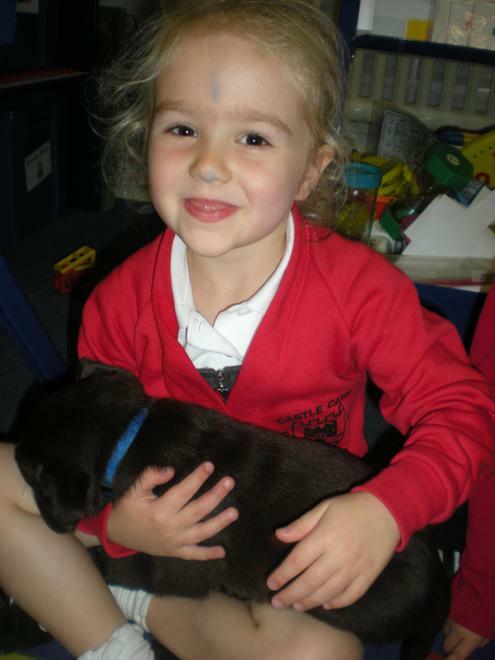 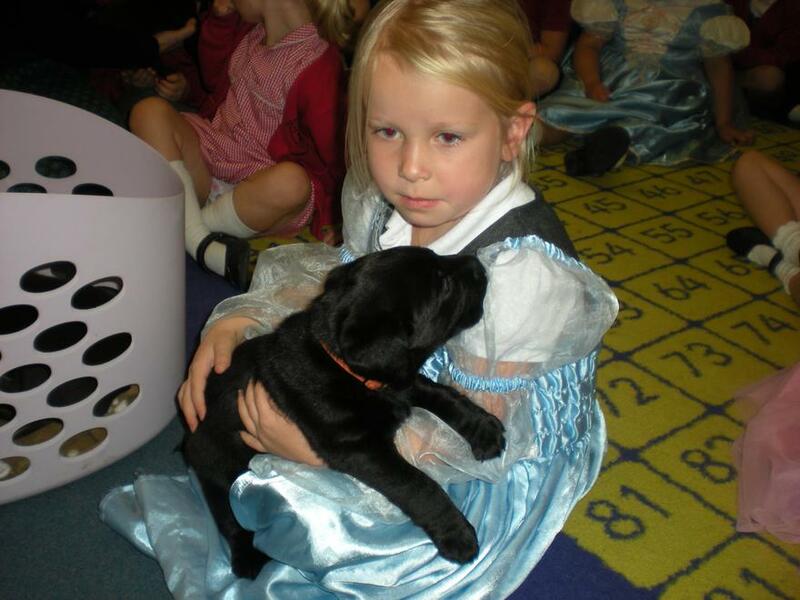 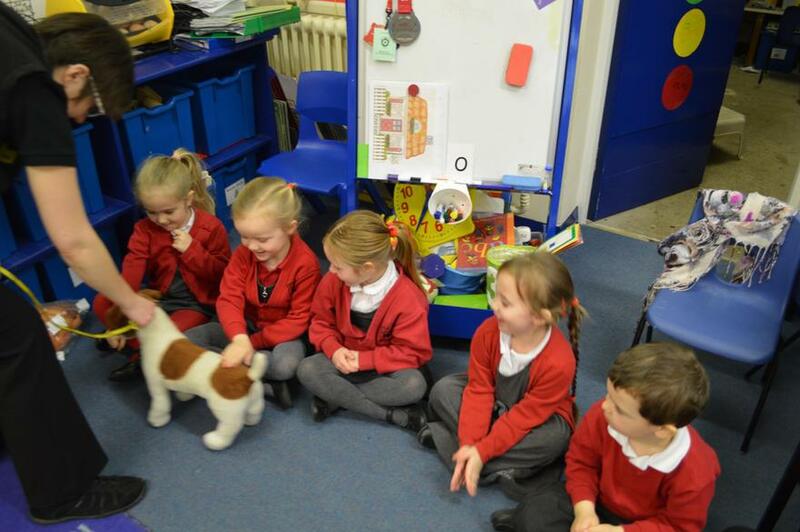 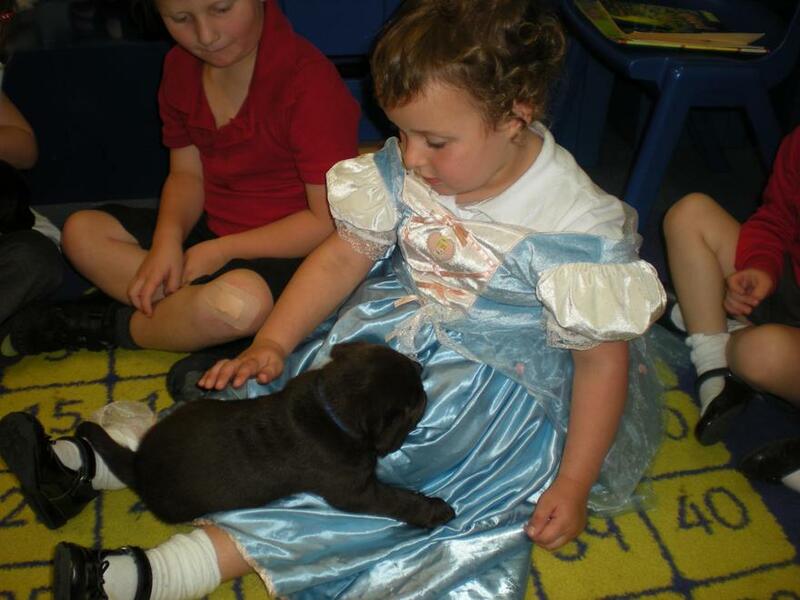 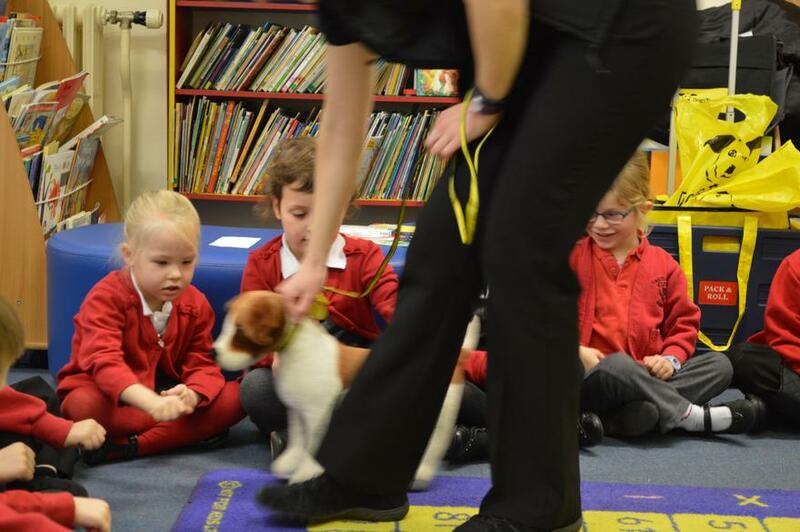 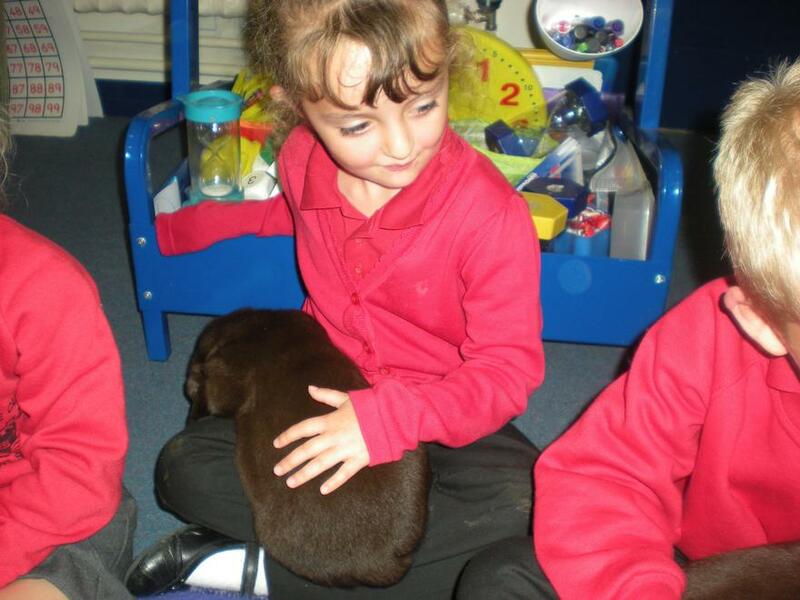 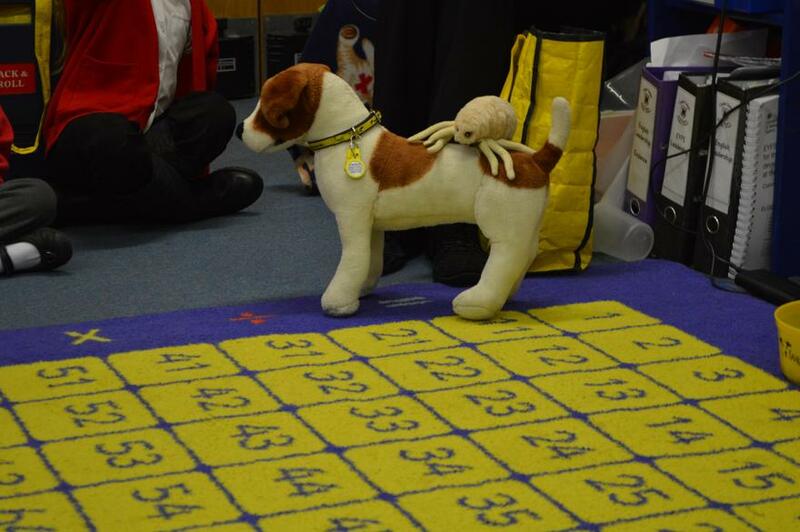 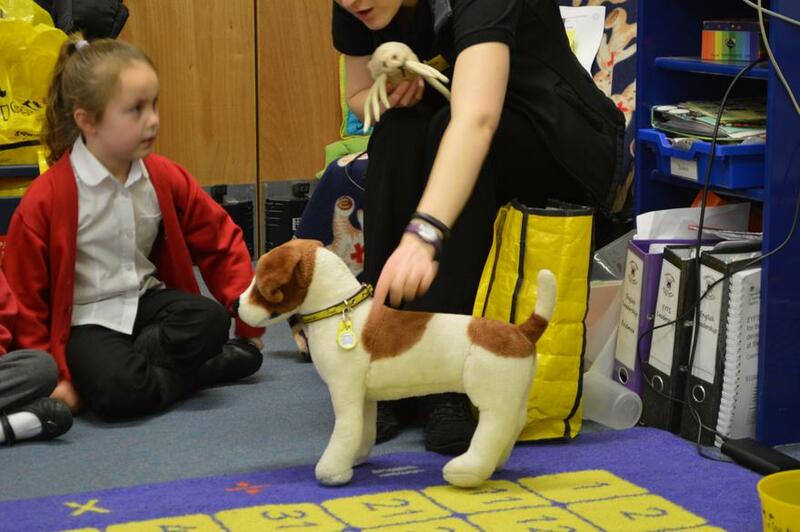 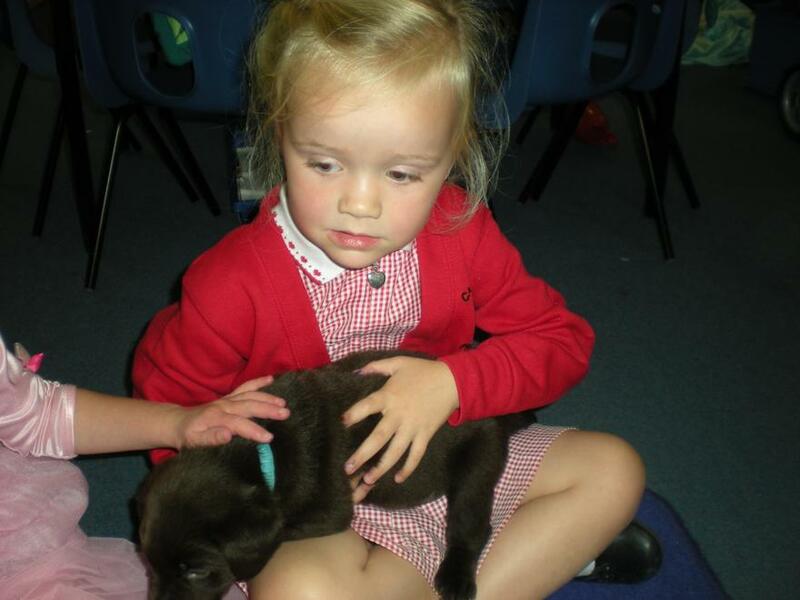 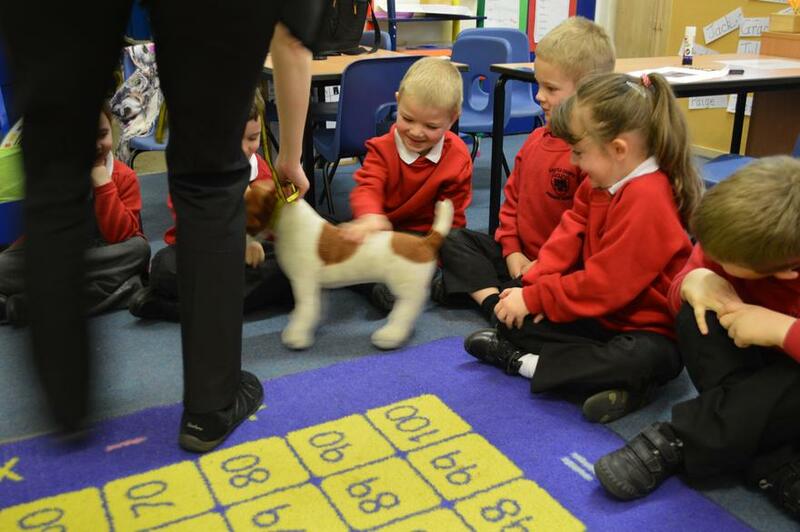 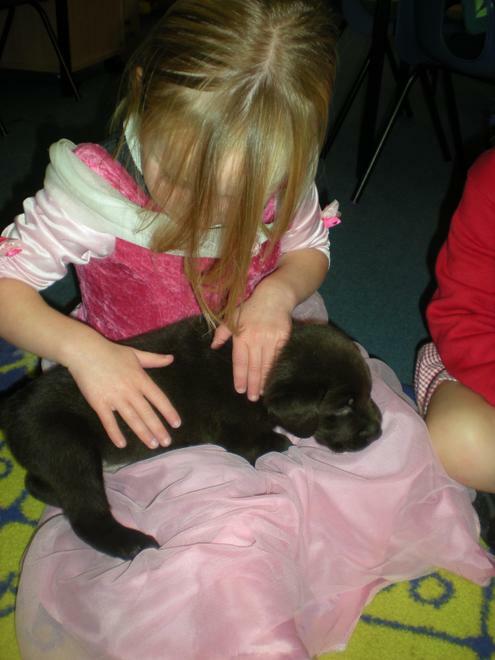 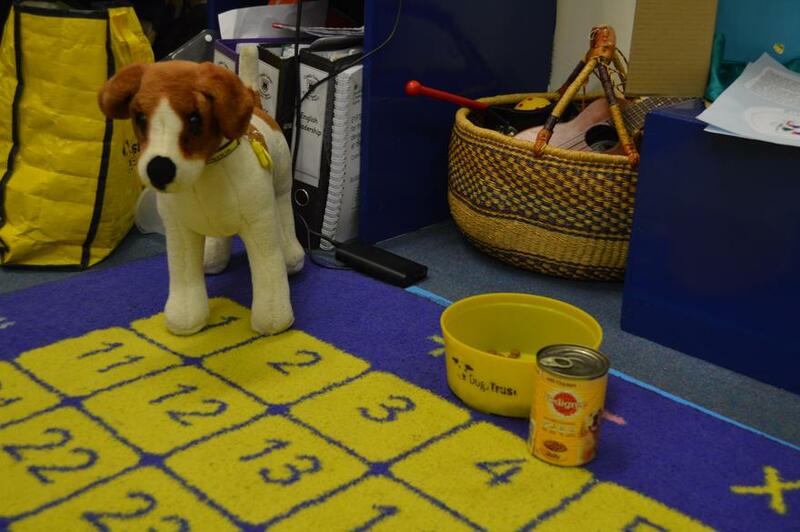 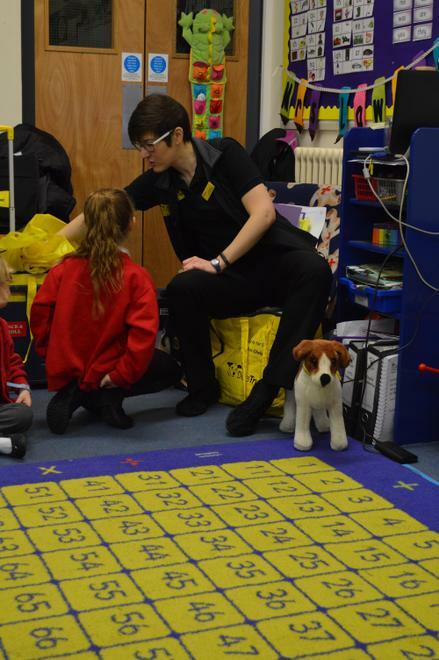 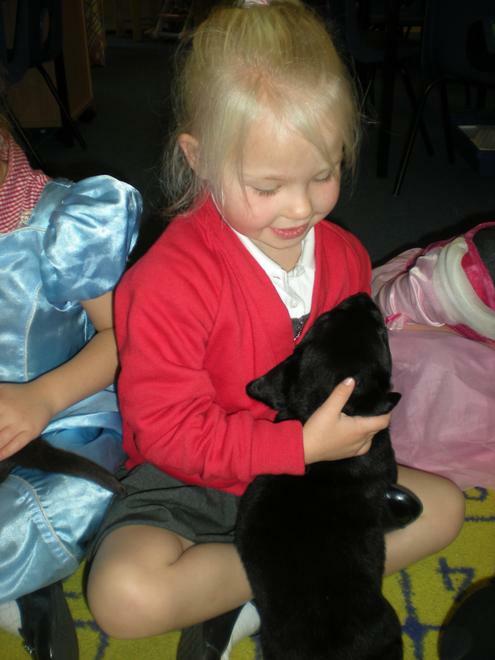 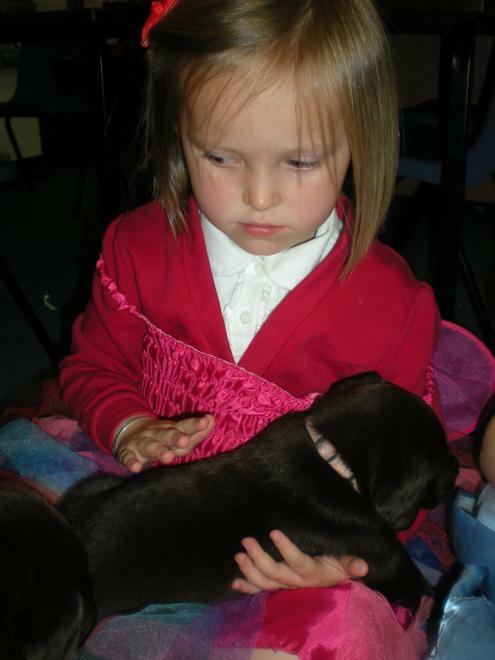 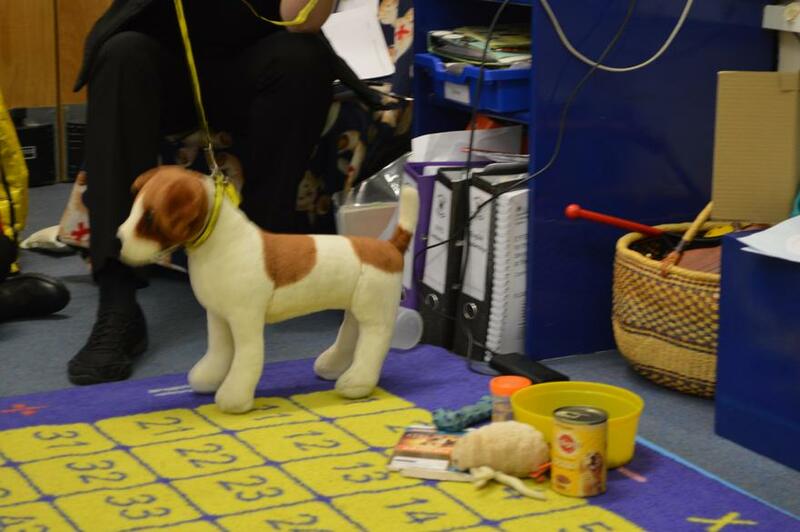 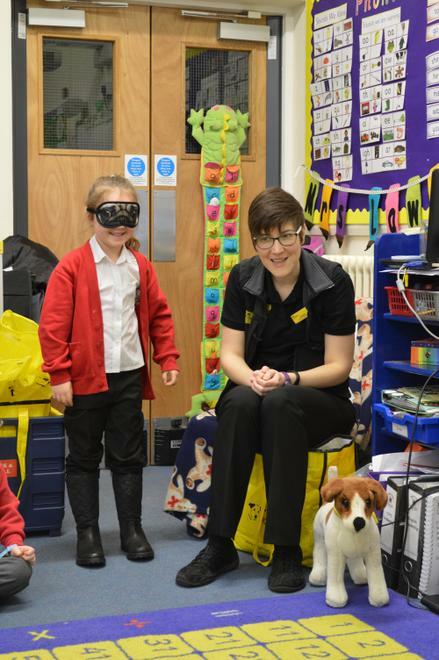 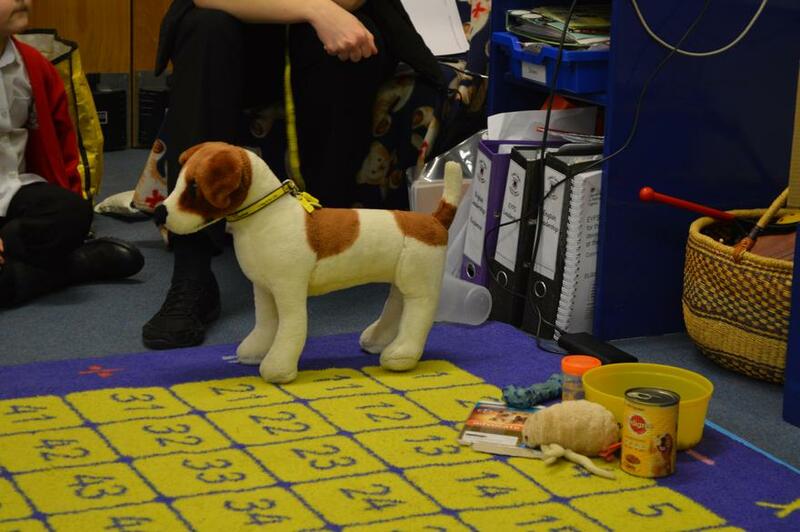 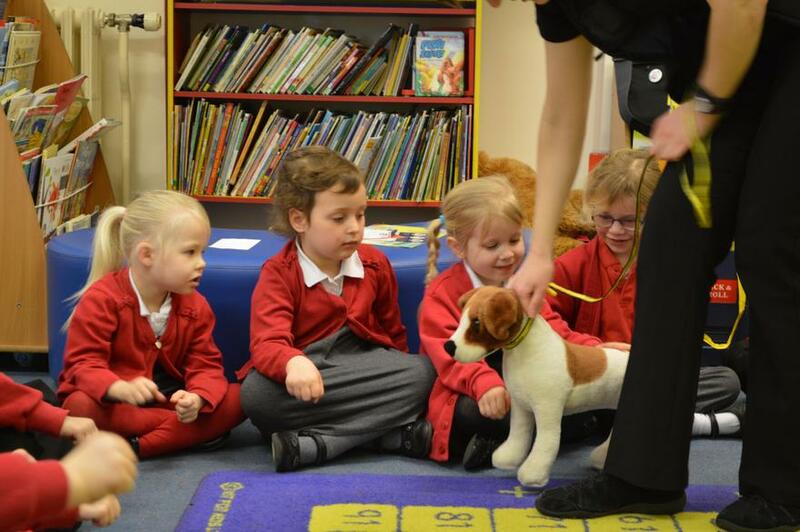 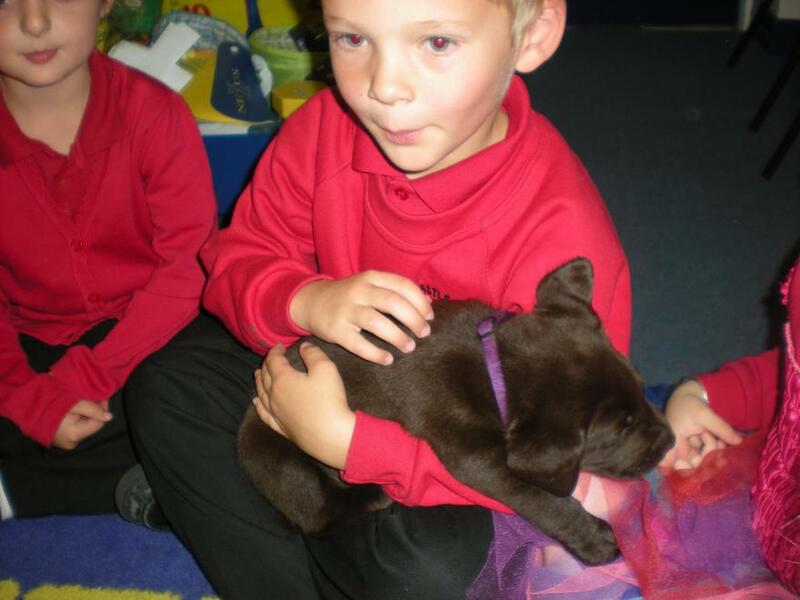 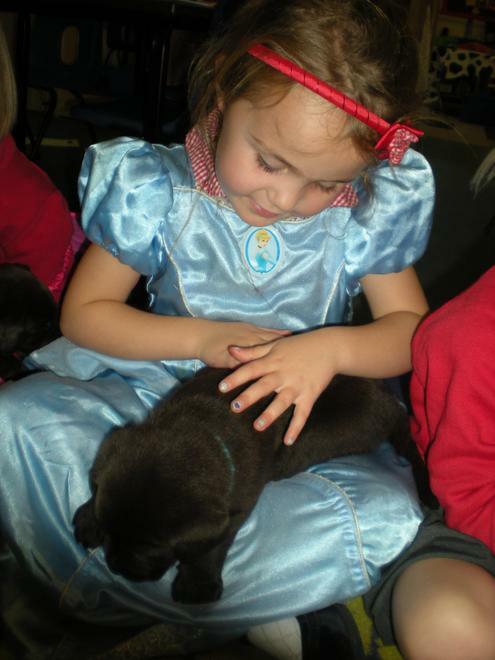 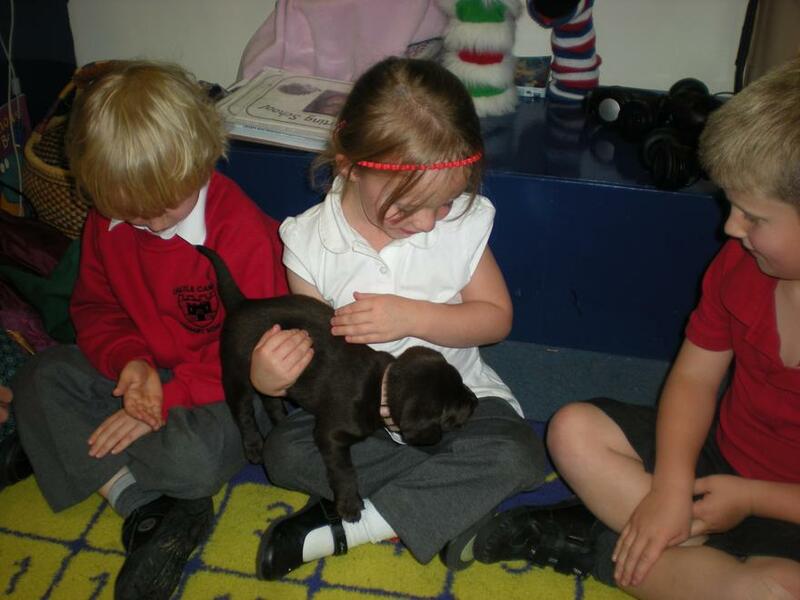 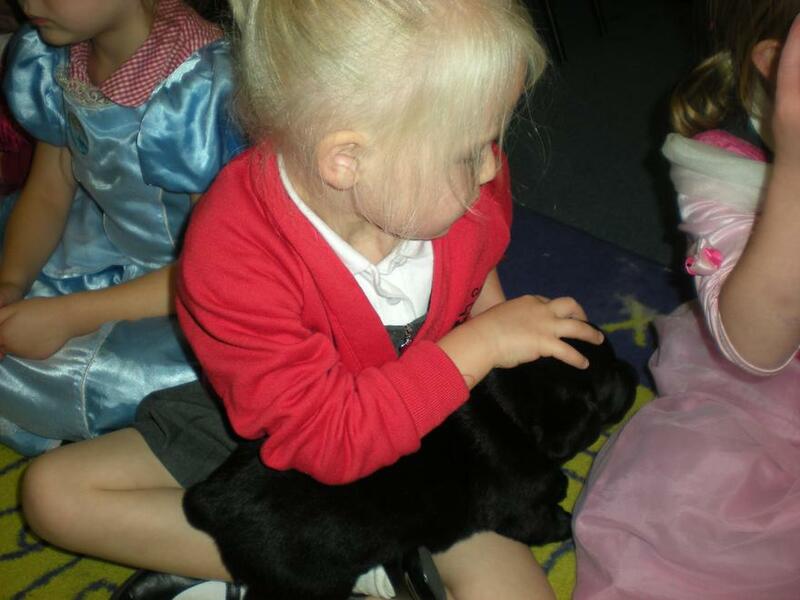 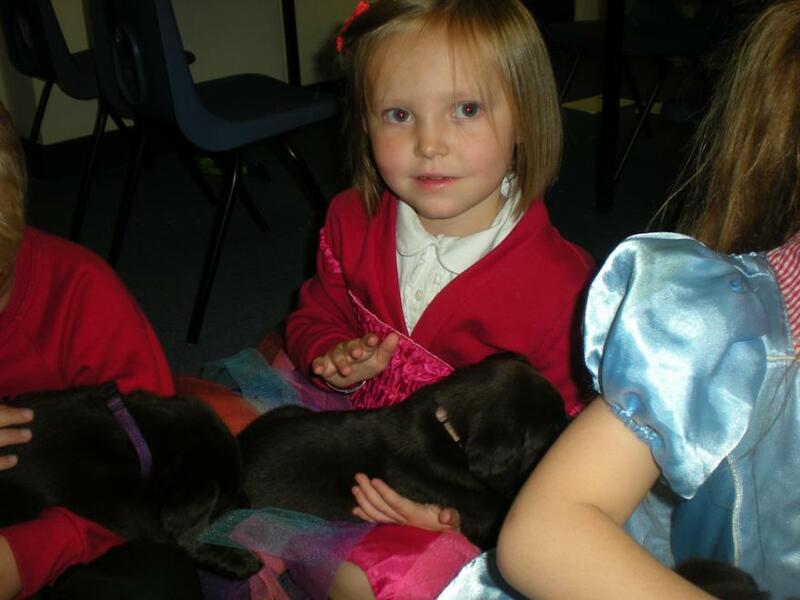 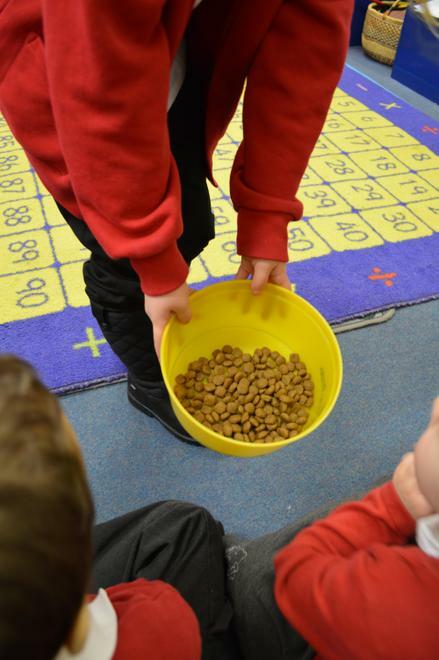 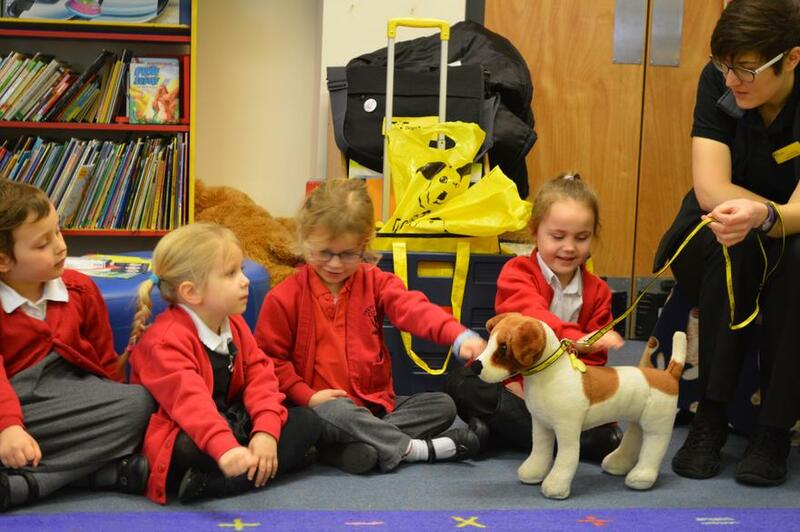 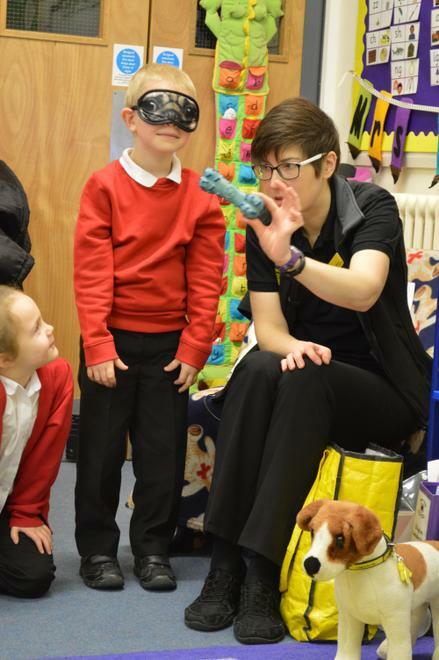 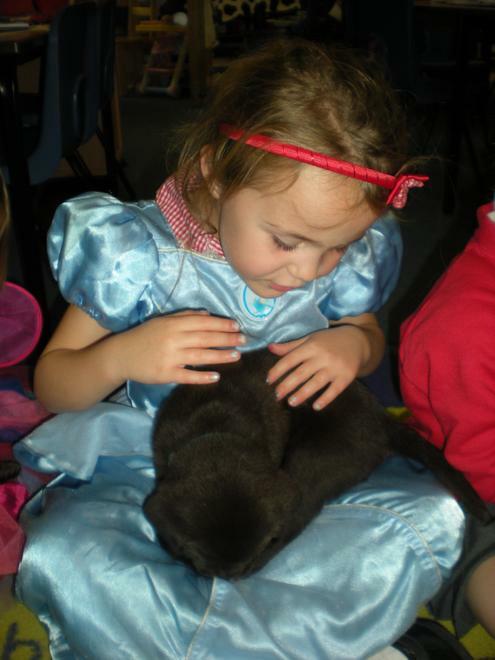 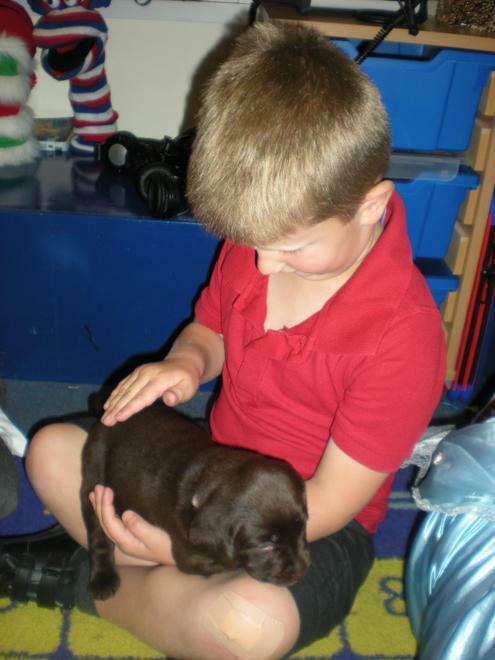 We love having visitors - Mrs Bircher brought her puppies in to meet us. 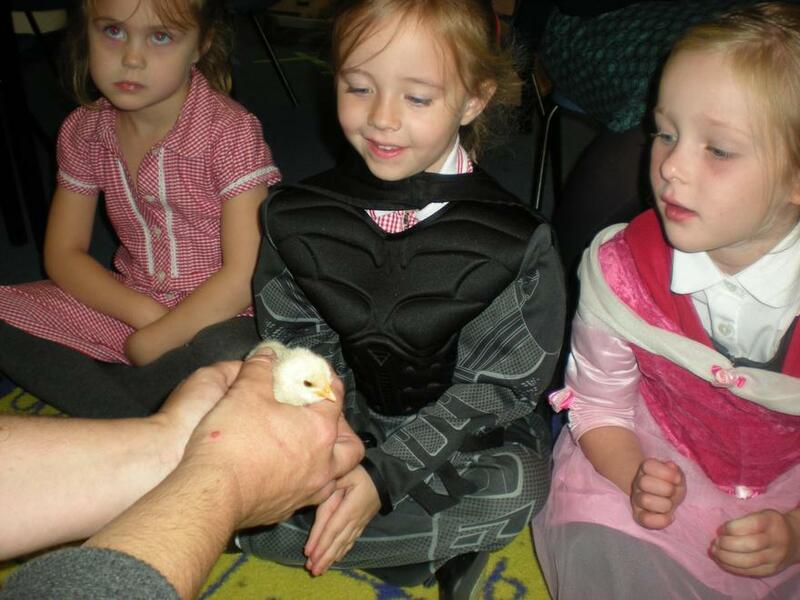 Our Value for October is Community.